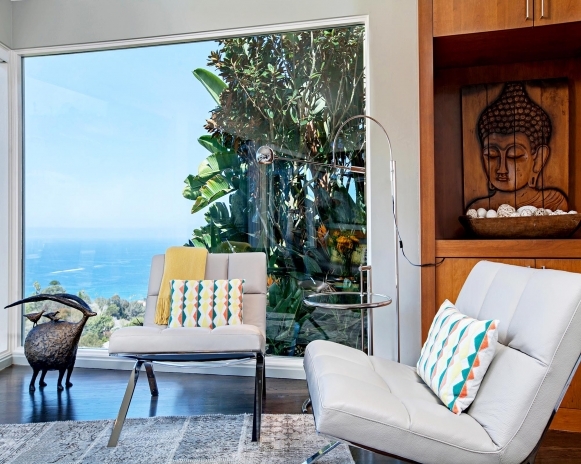 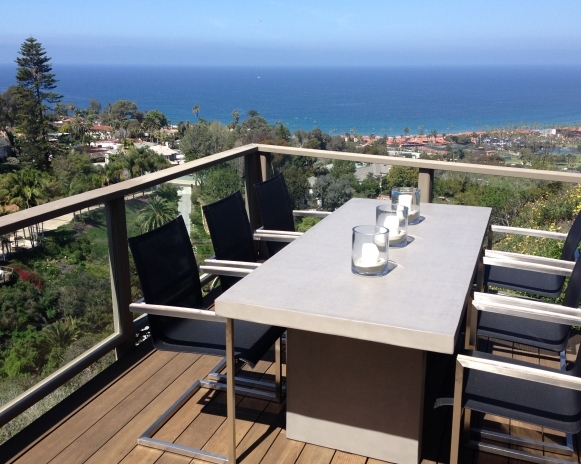 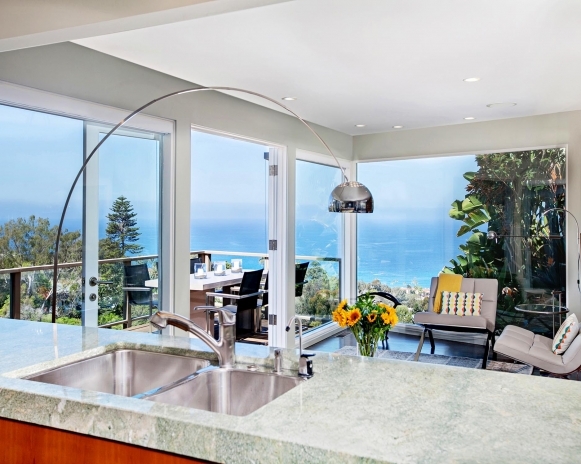 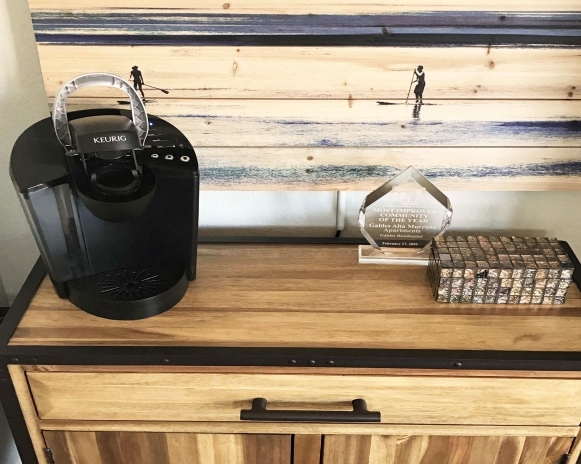 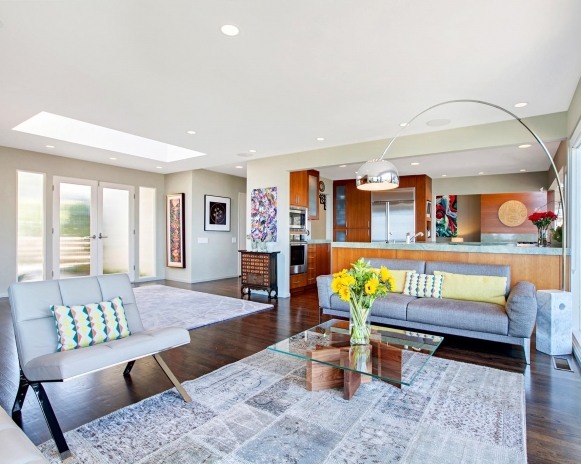 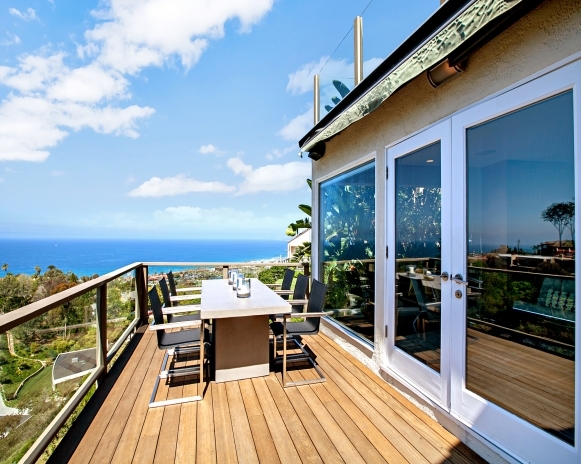 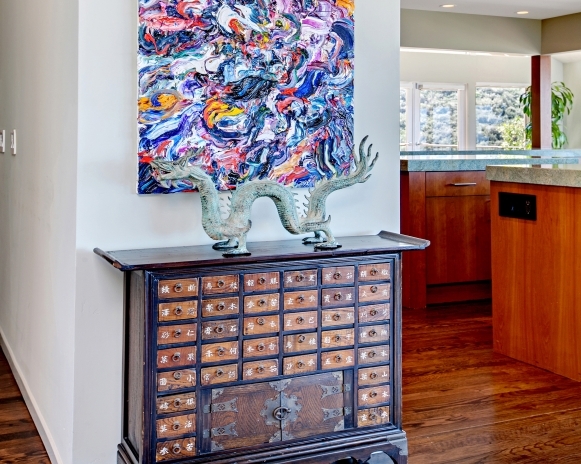 Situated high above the ocean with breathtaking views of La Jolla, California, this residence is a warm, yet contemporary nest for its owners, who enjoy the views, natural surroundings and their art collection. 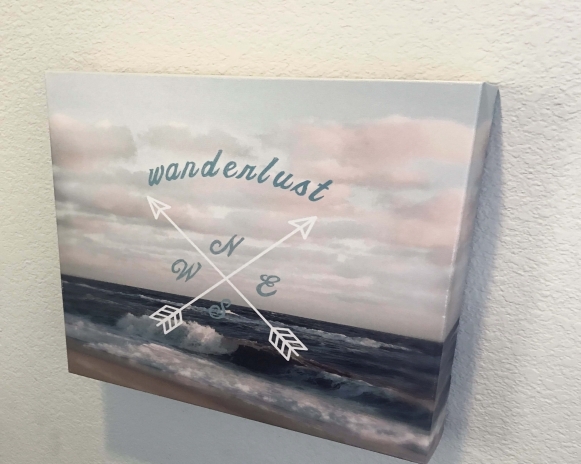 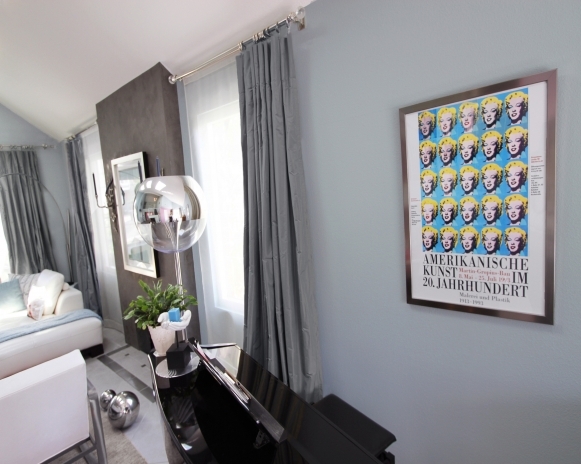 The German/American clients were looking for a sophisticated design that would focus on the display of their modern art collection. 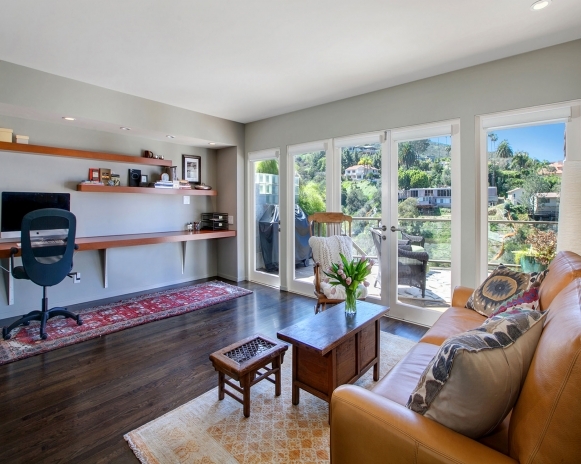 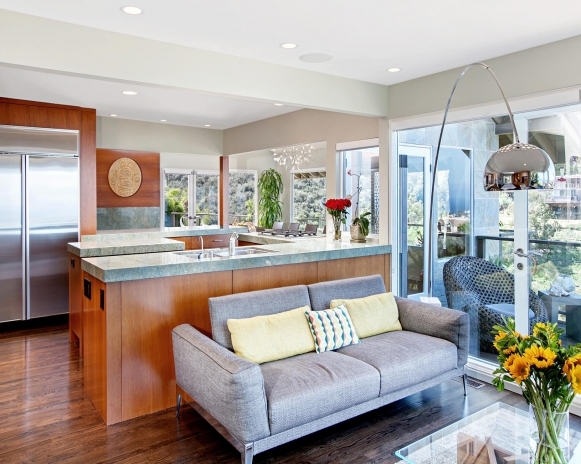 The idea was to maximize the sense of space by keeping an open floor plan. 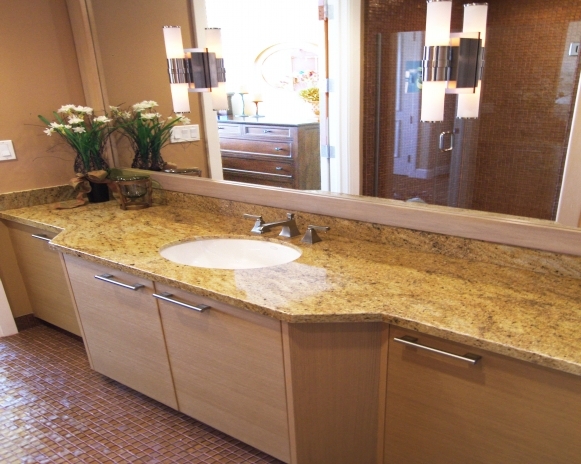 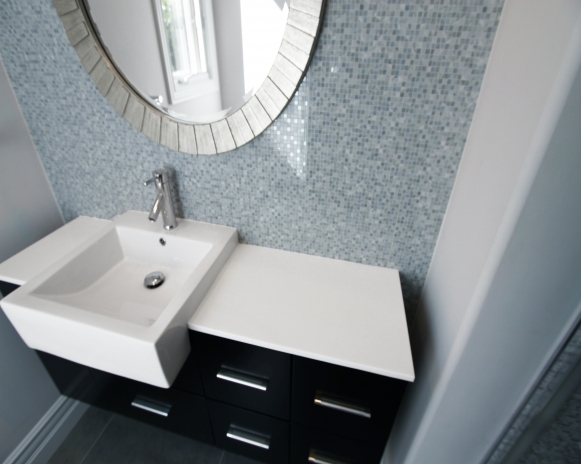 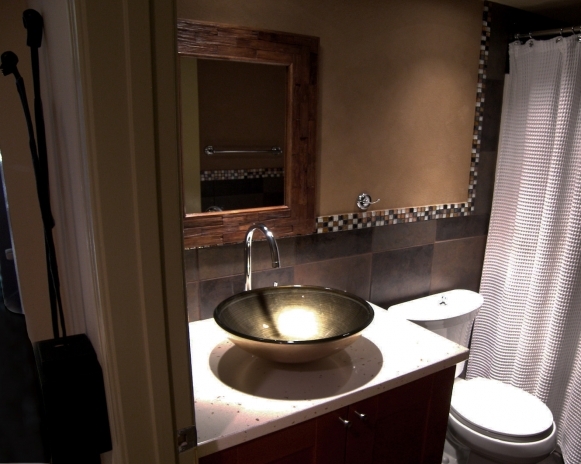 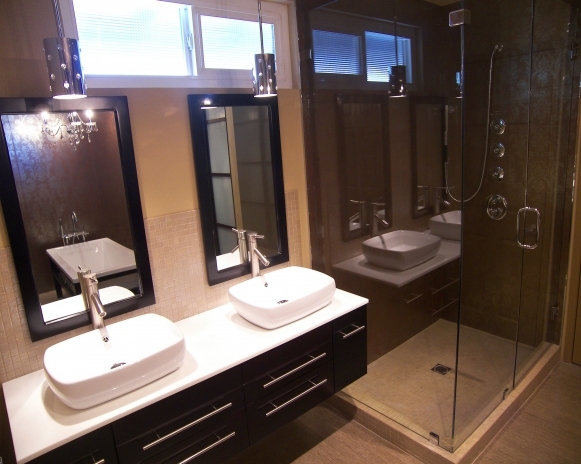 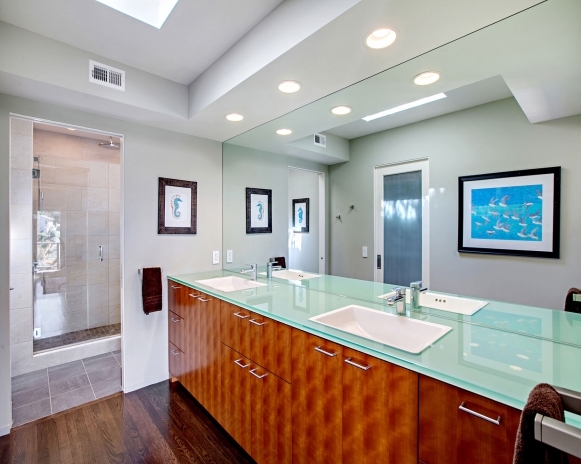 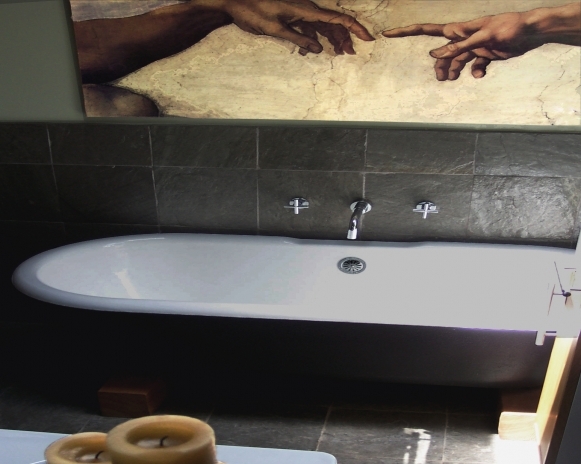 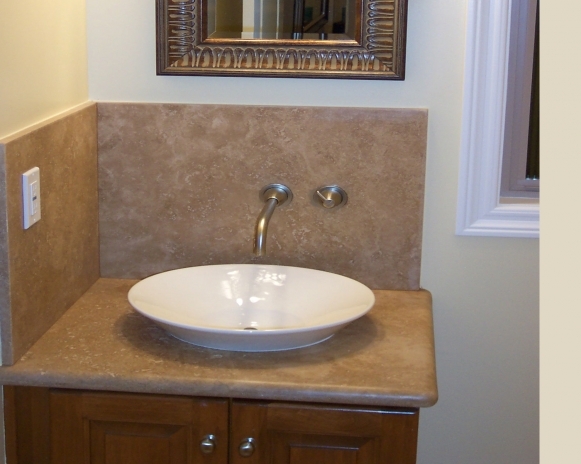 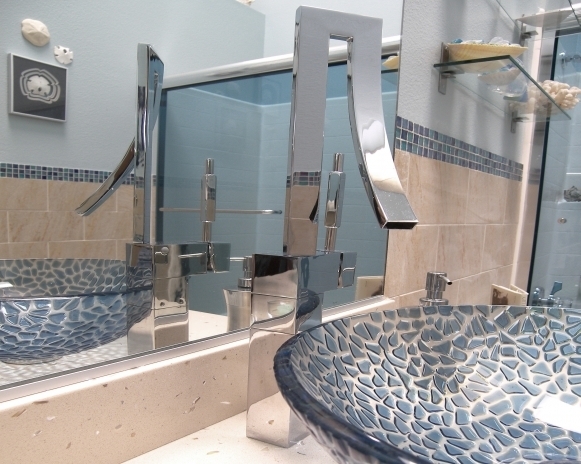 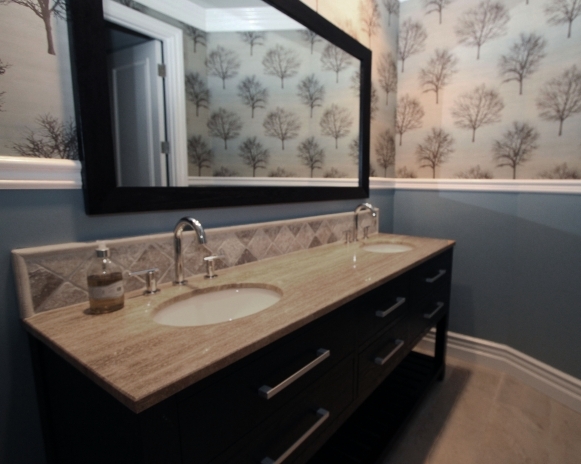 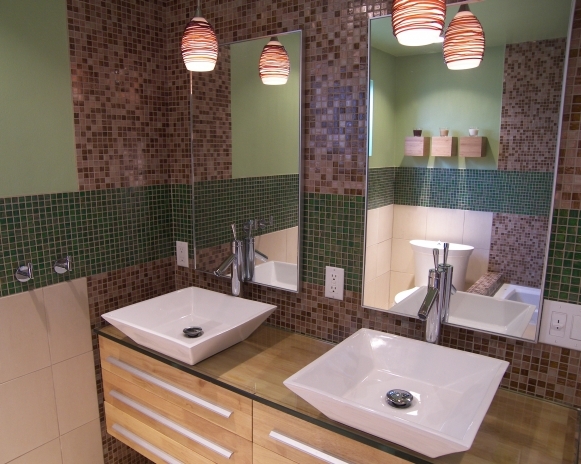 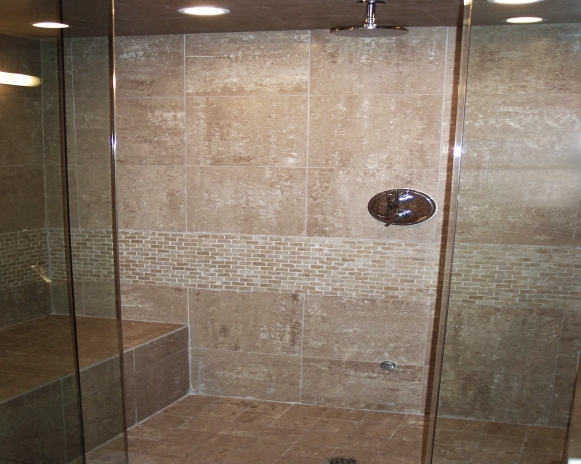 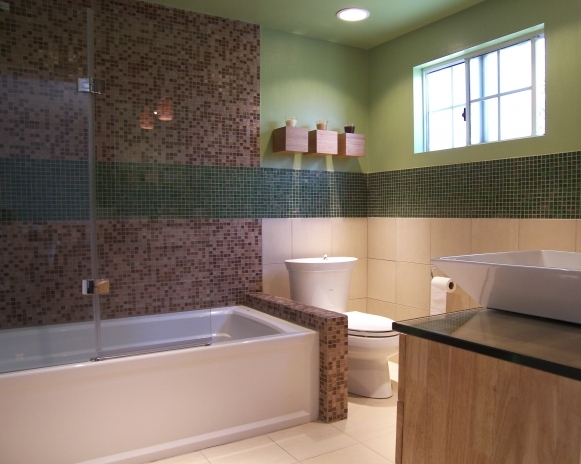 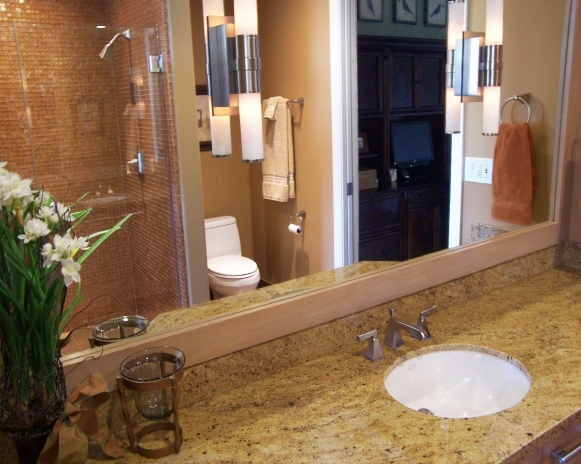 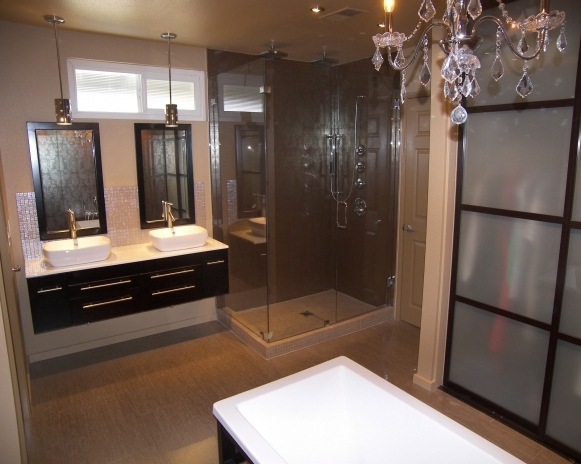 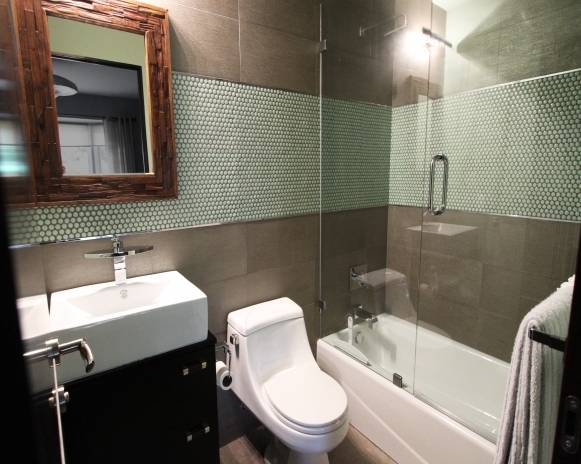 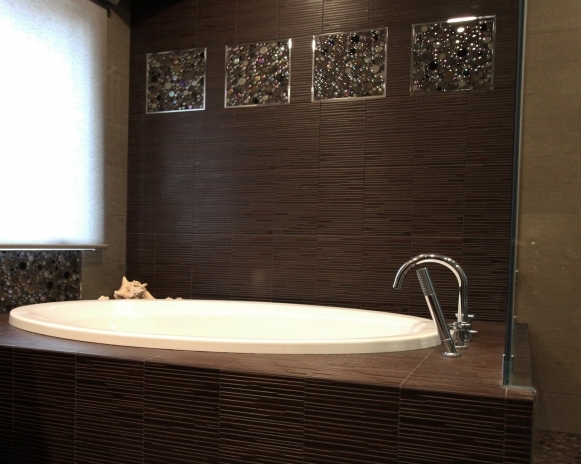 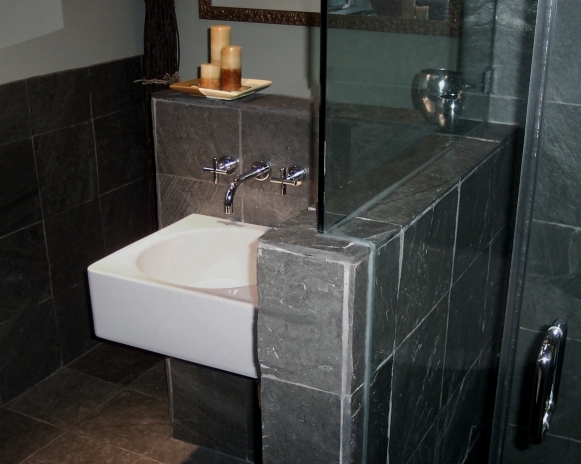 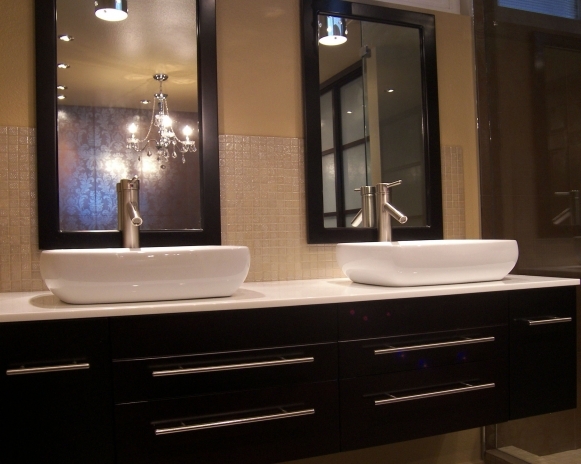 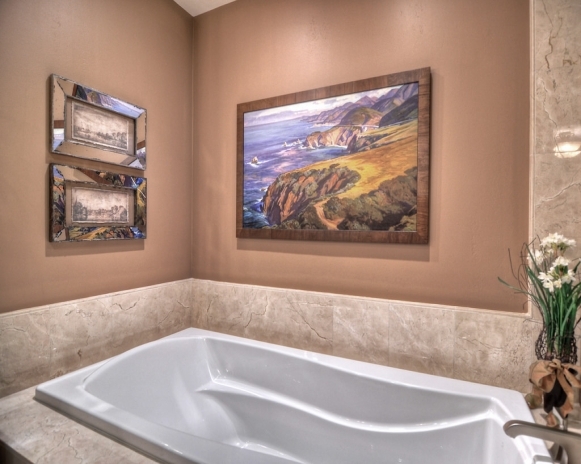 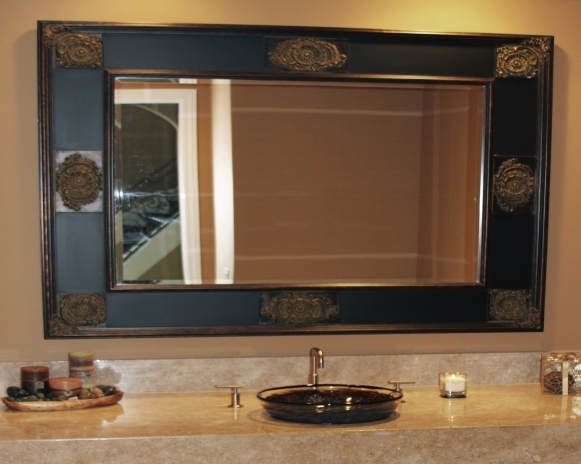 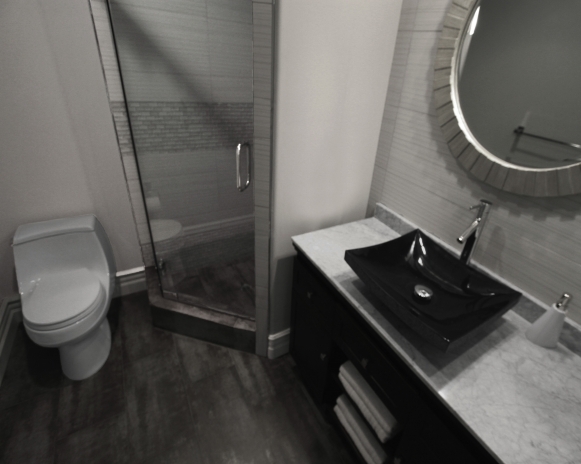 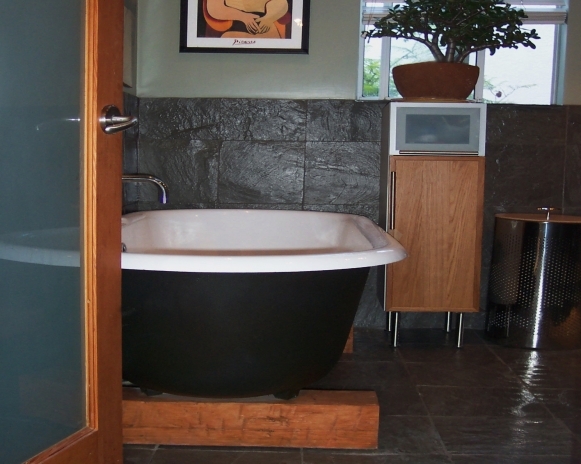 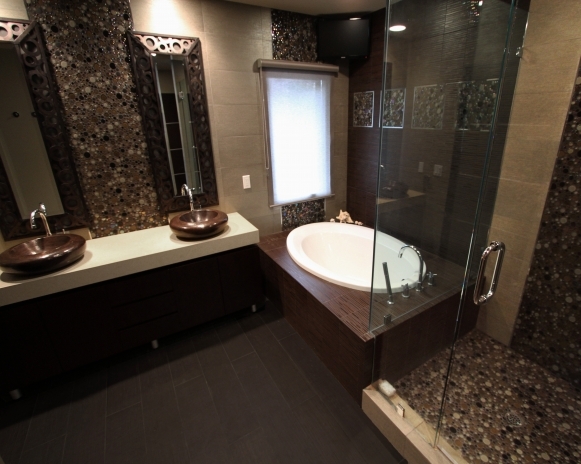 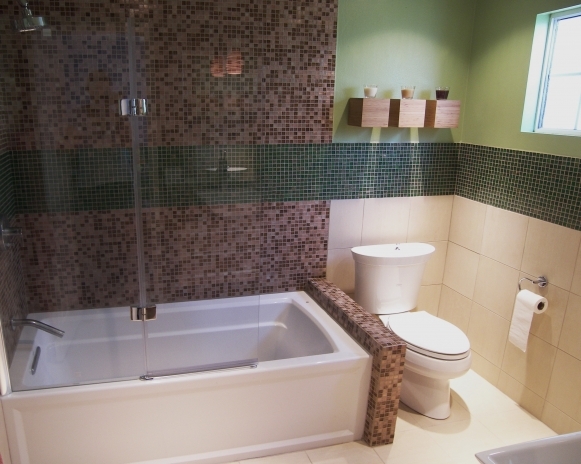 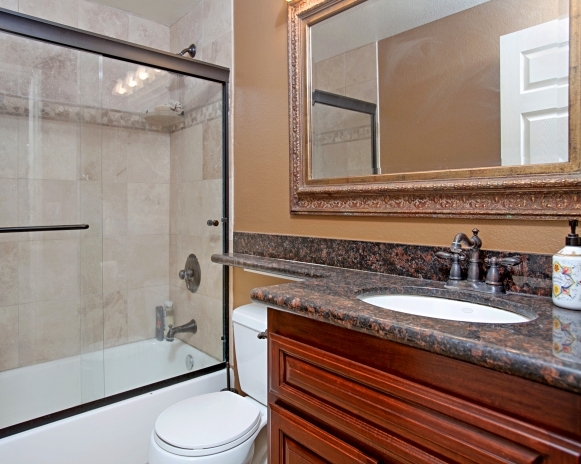 Complete renovation of a traditional master bathroom and transformation into a modern showpiece. 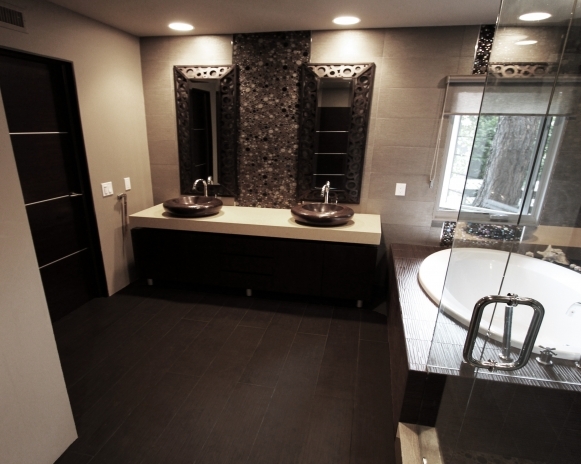 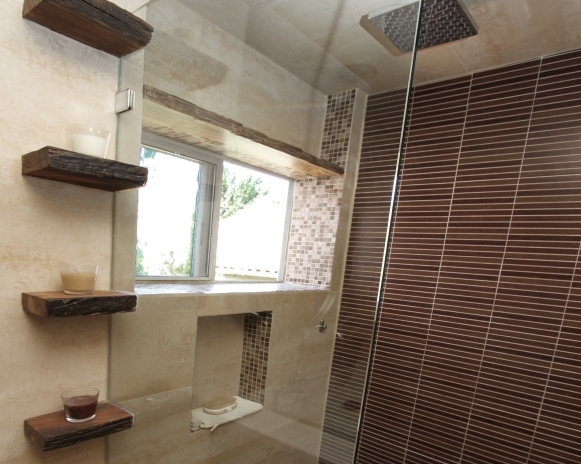 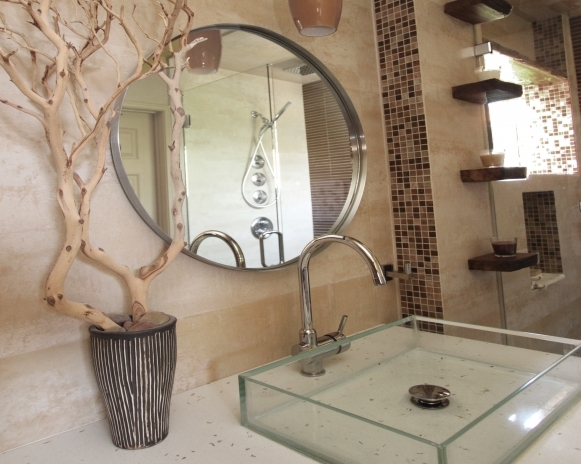 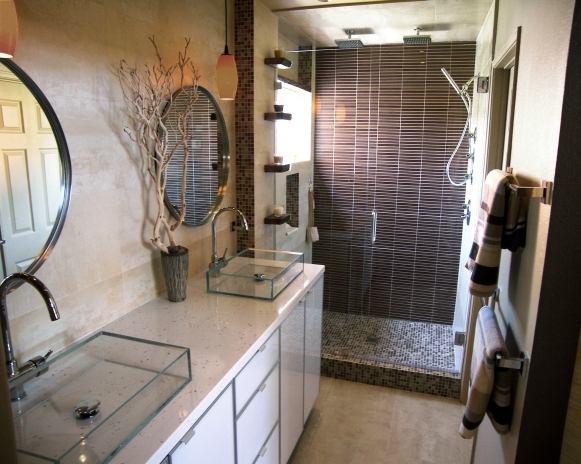 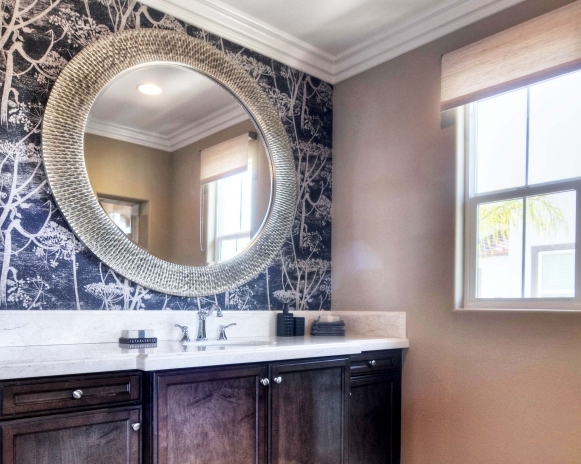 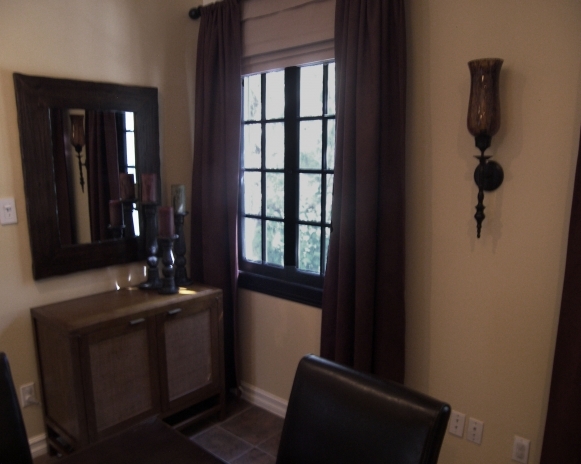 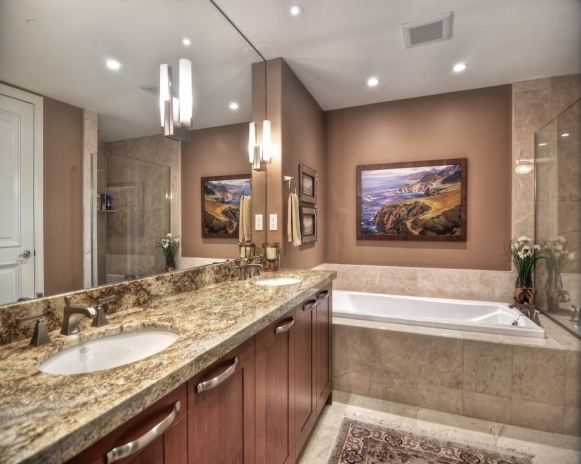 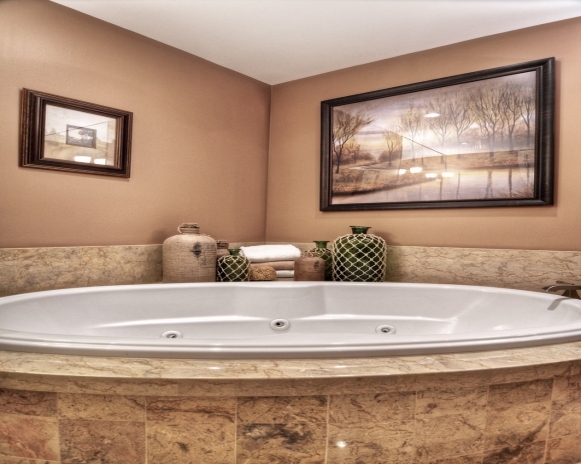 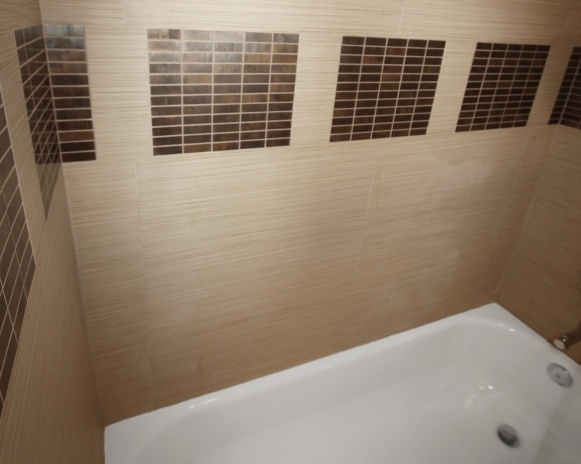 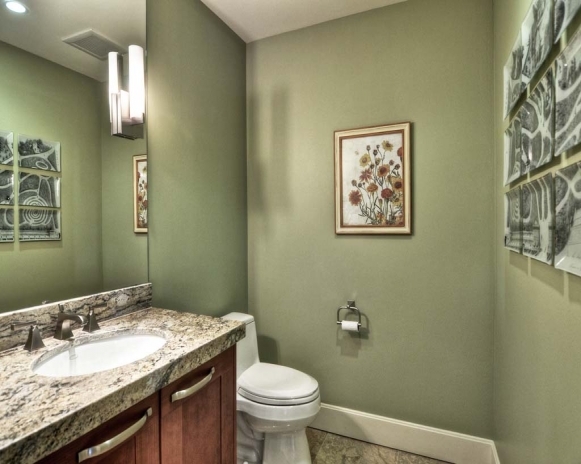 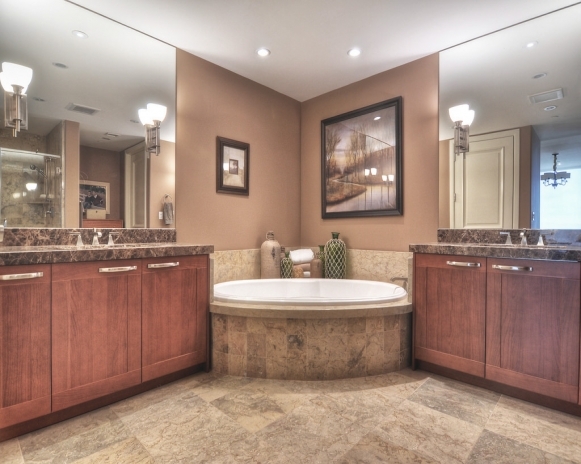 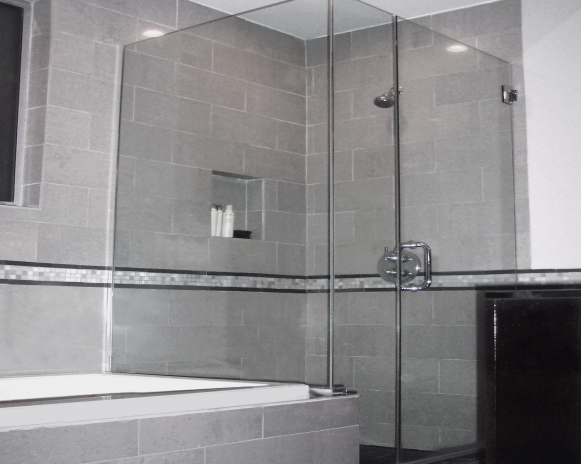 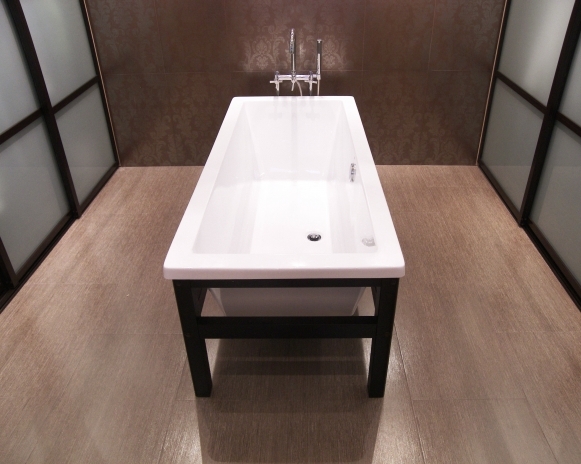 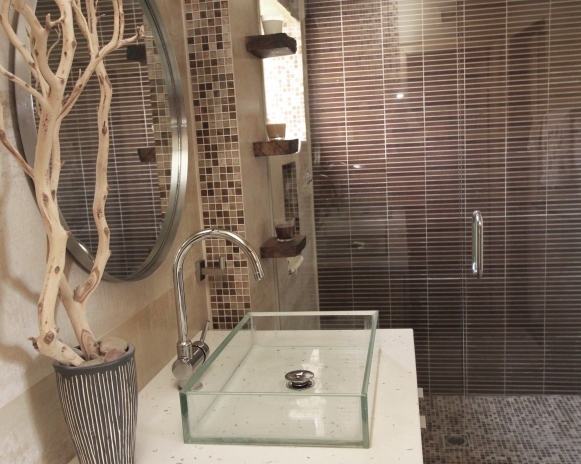 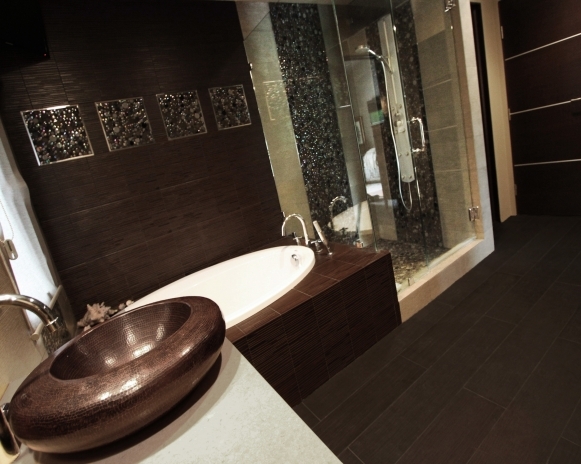 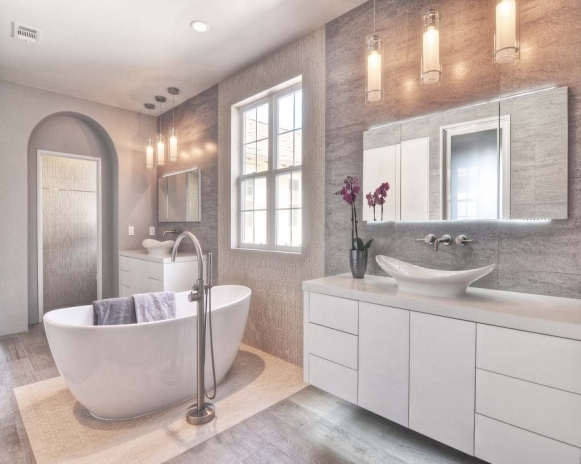 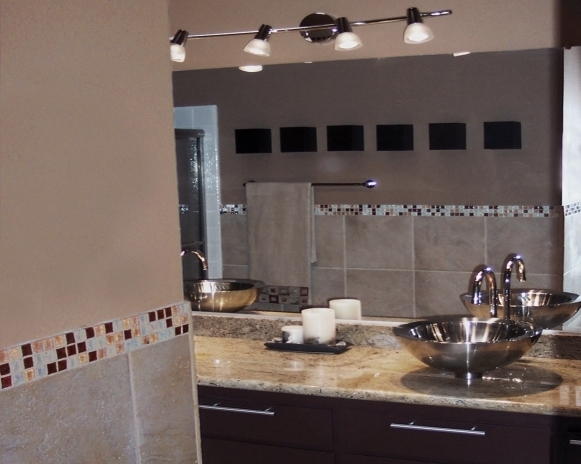 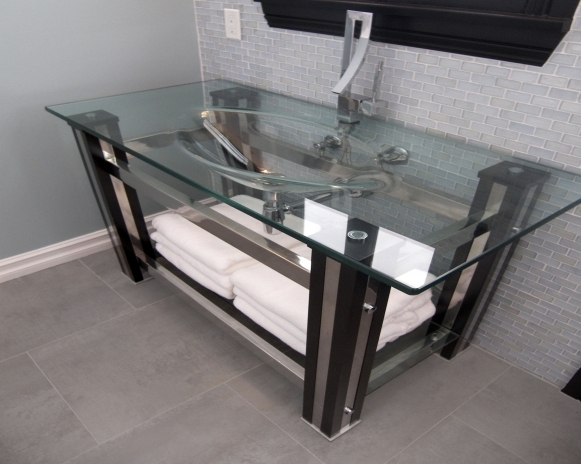 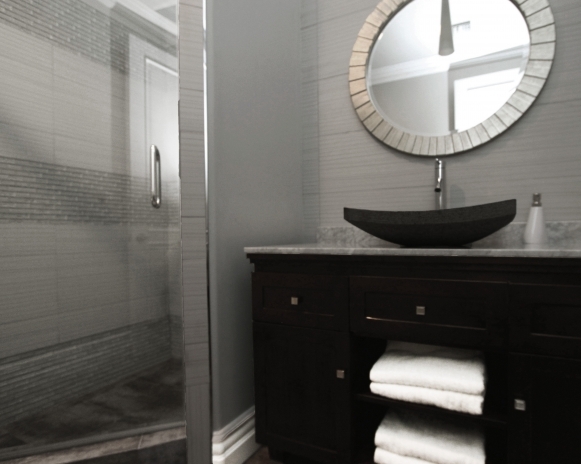 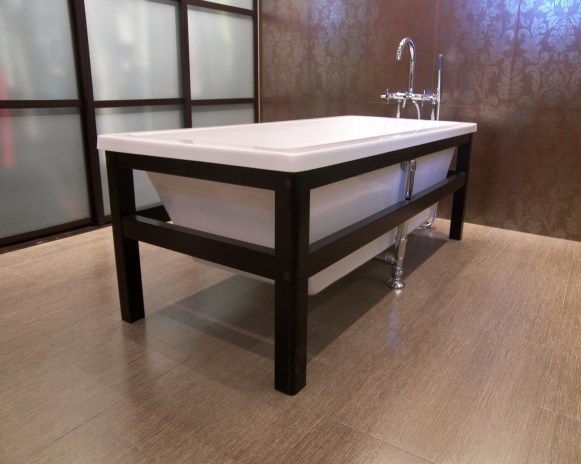 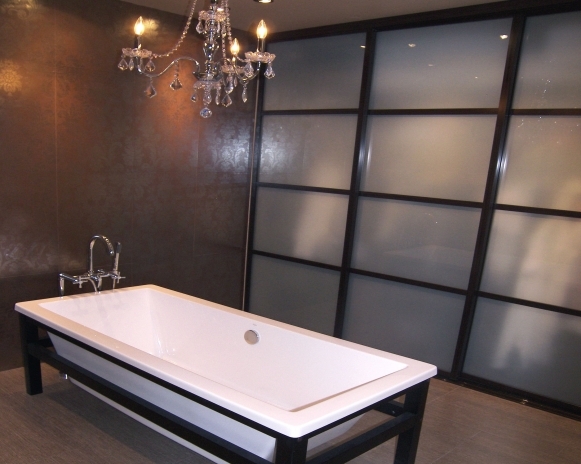 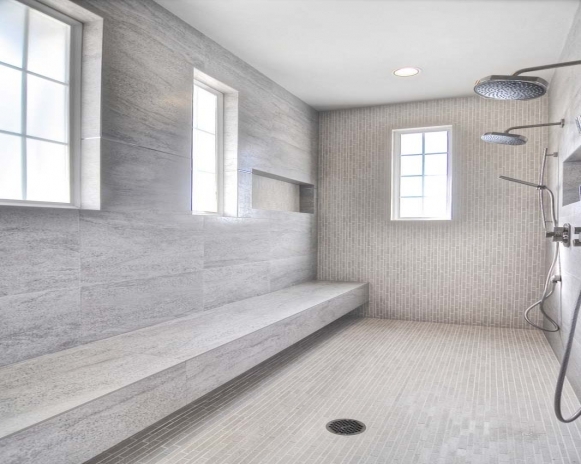 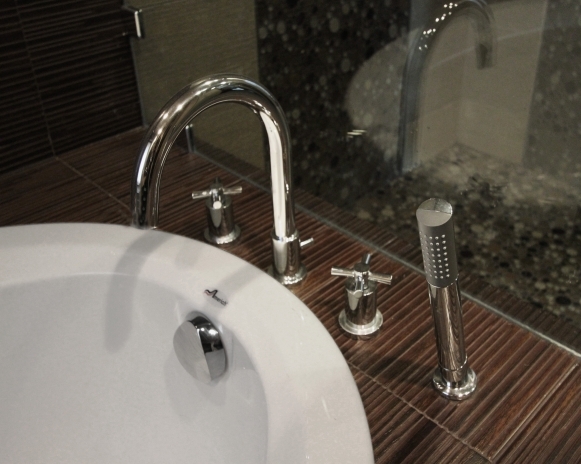 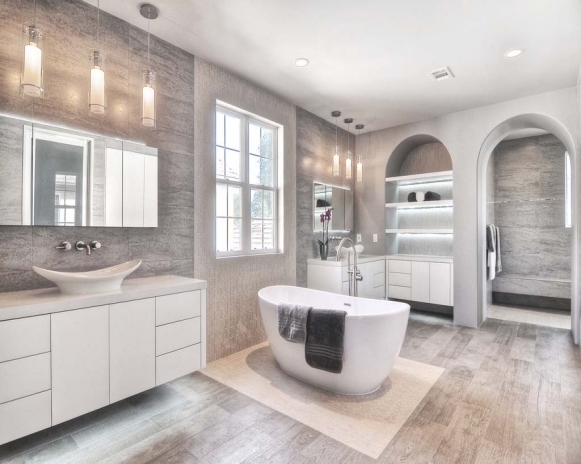 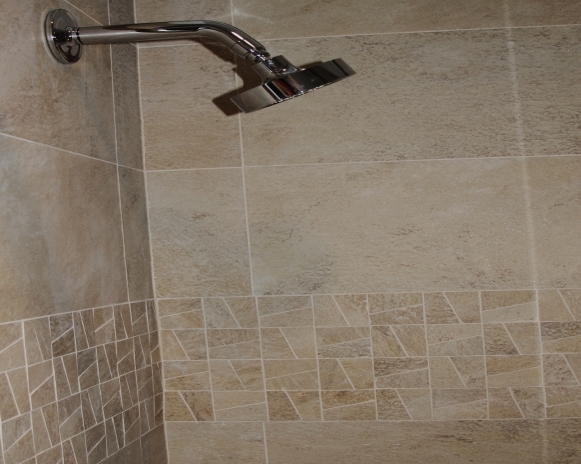 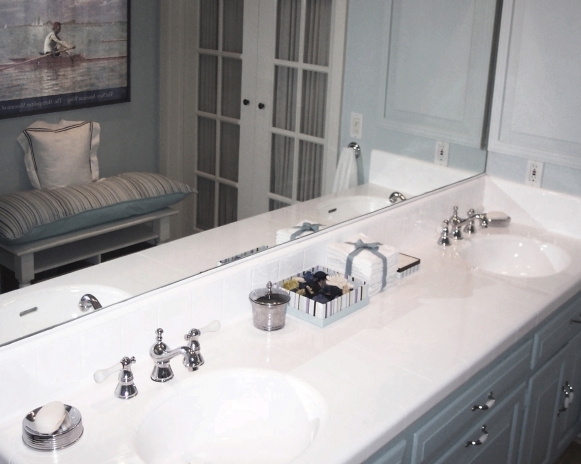 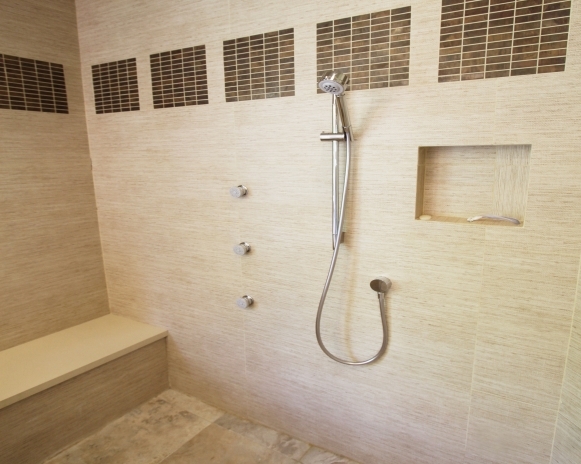 The result is a serene master bath with spa quality and an understated, timeless elegance. 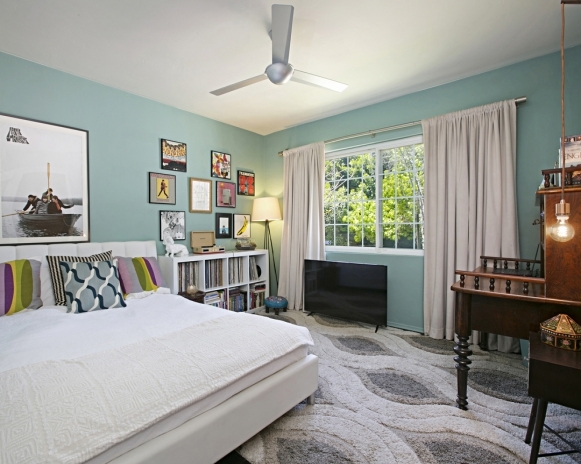 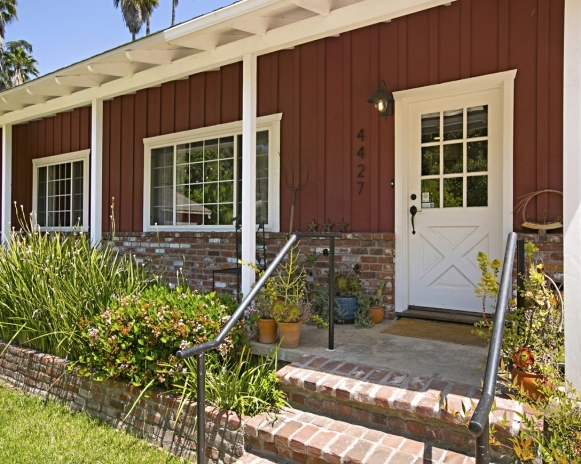 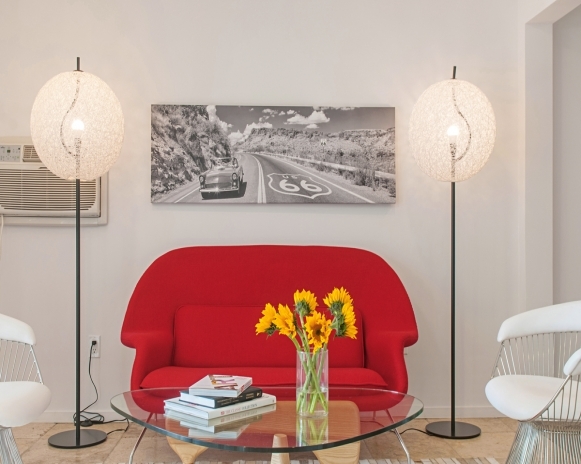 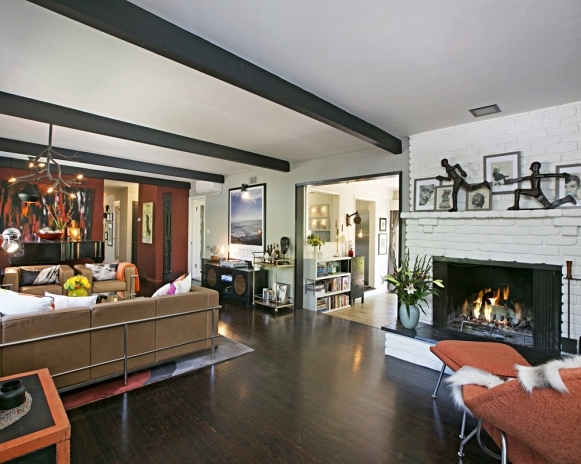 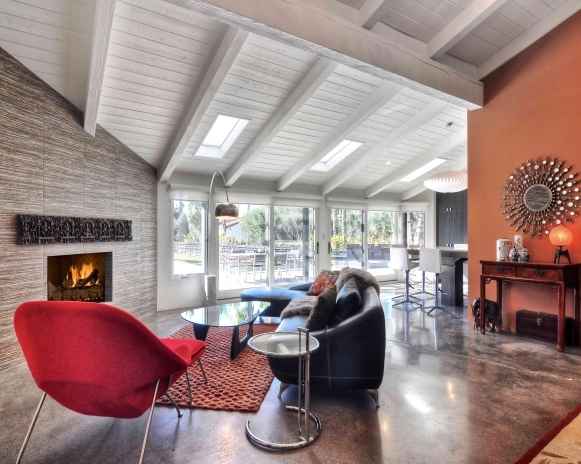 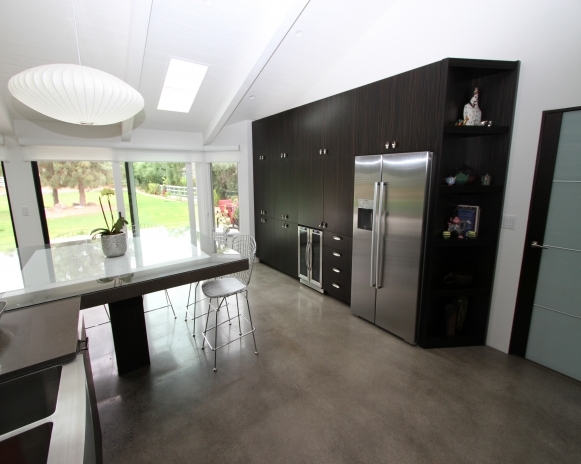 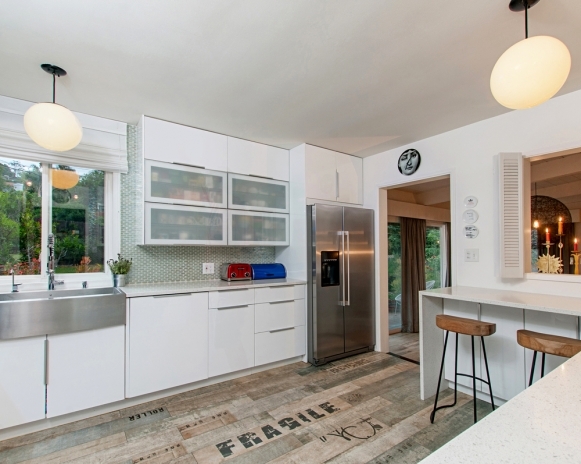 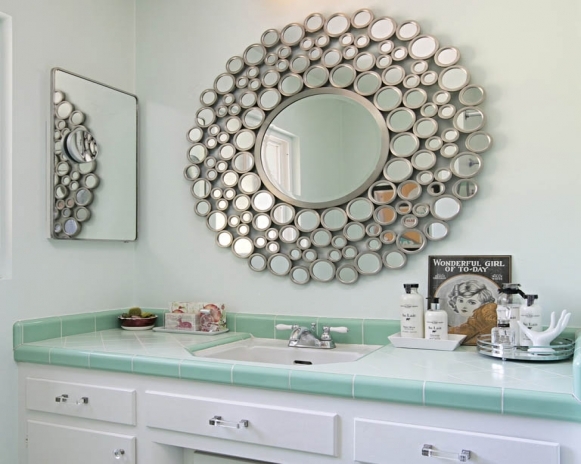 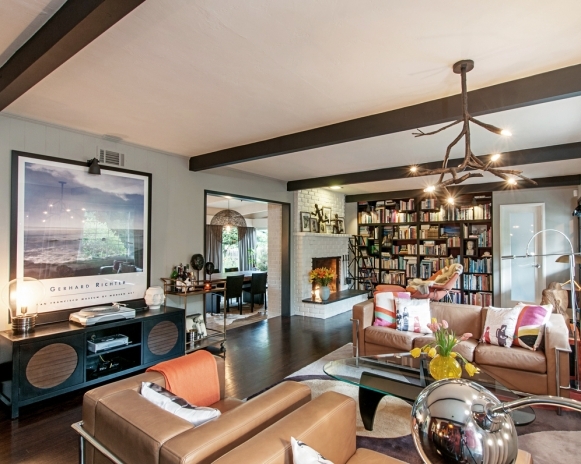 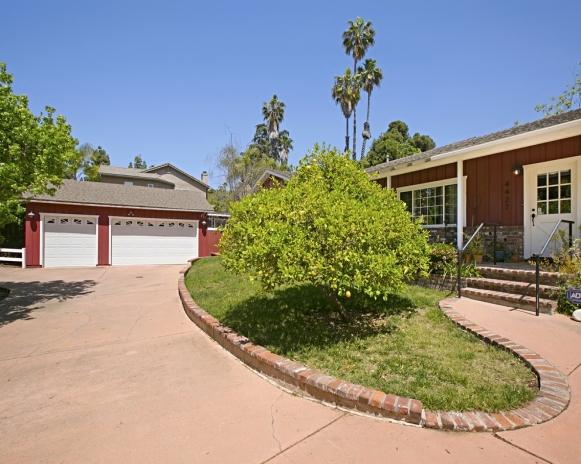 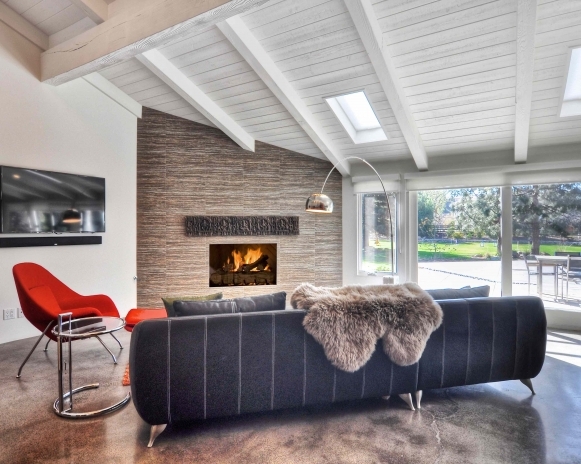 A delightful mid-century ranch house has been updated for living in style. 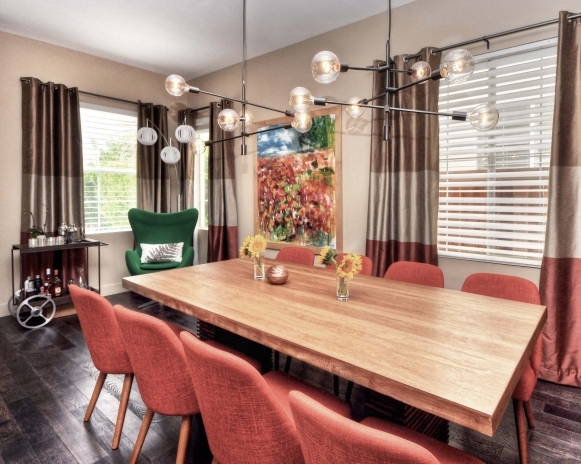 Classic Scandinavian furniture combined with rustic contemporary items set the stage for grand entertaining. 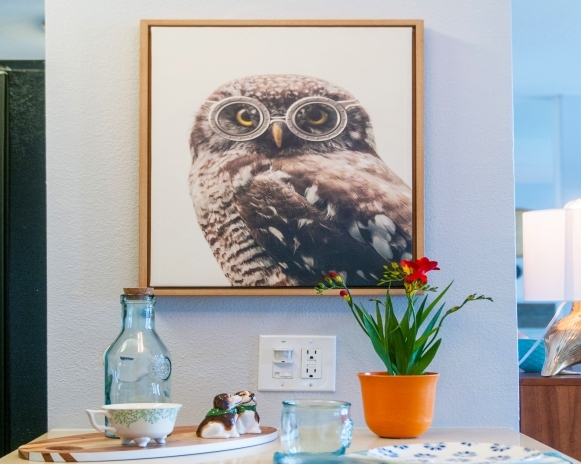 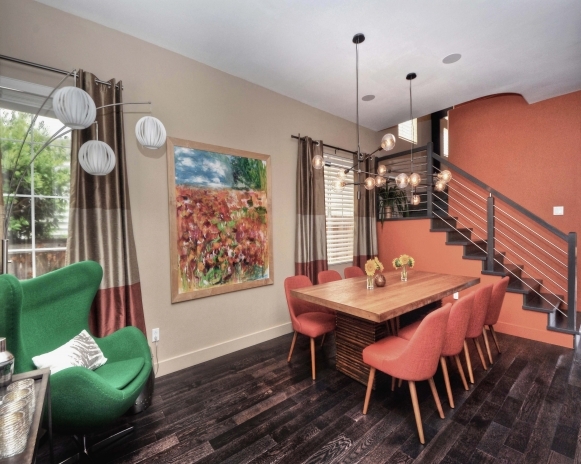 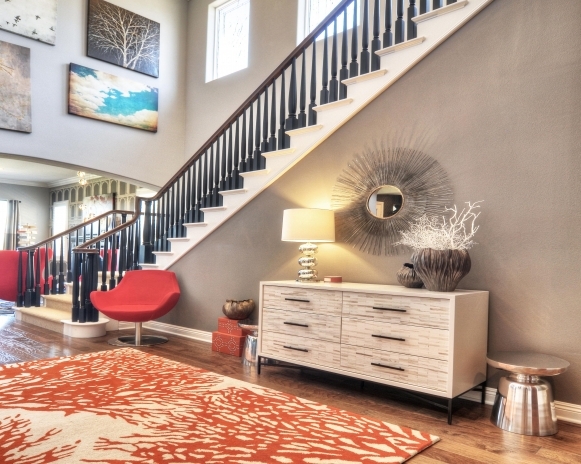 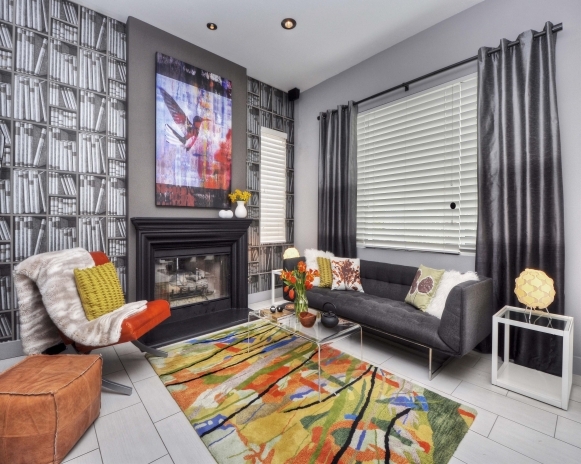 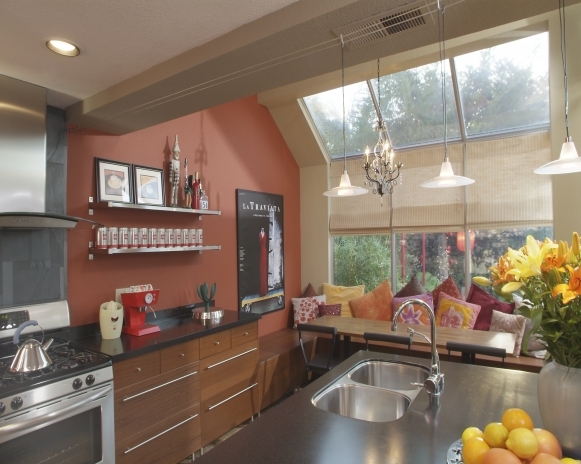 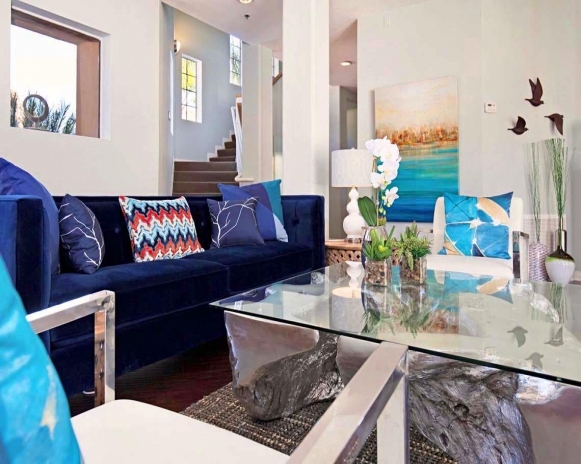 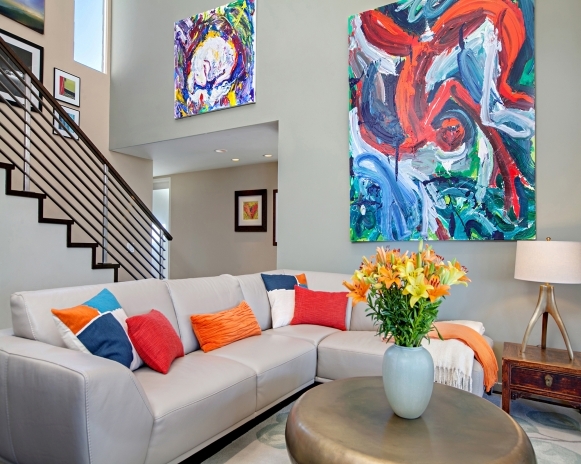 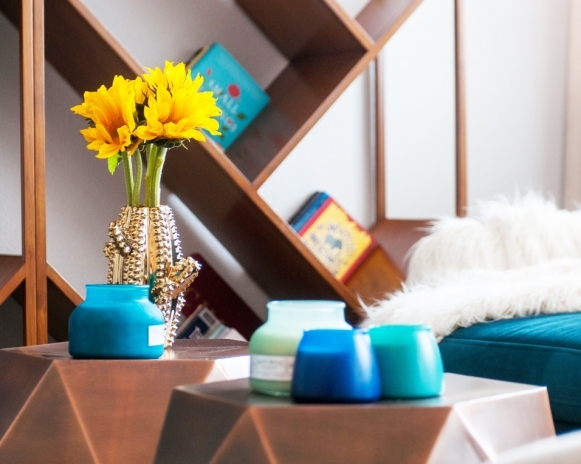 A vibrant and playful flair make this home fun and liveable. 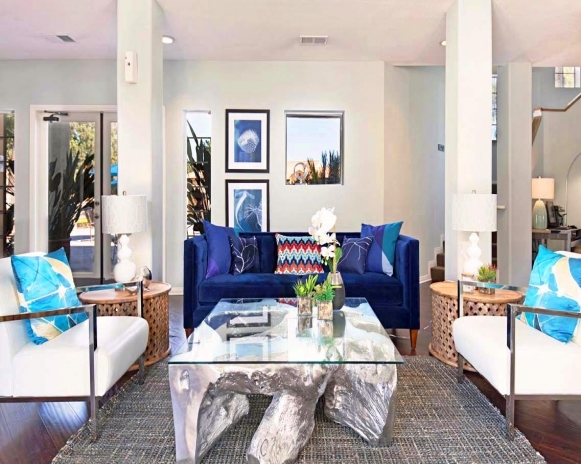 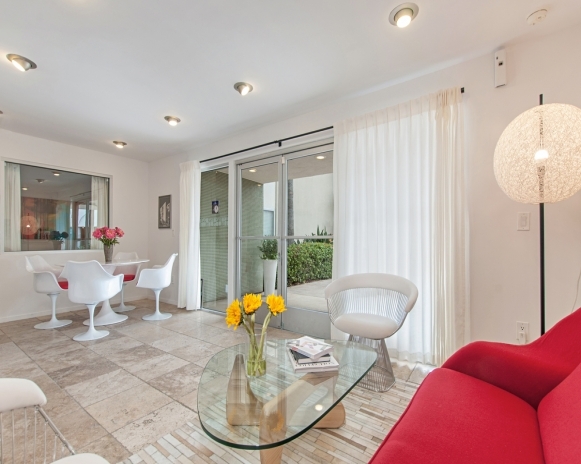 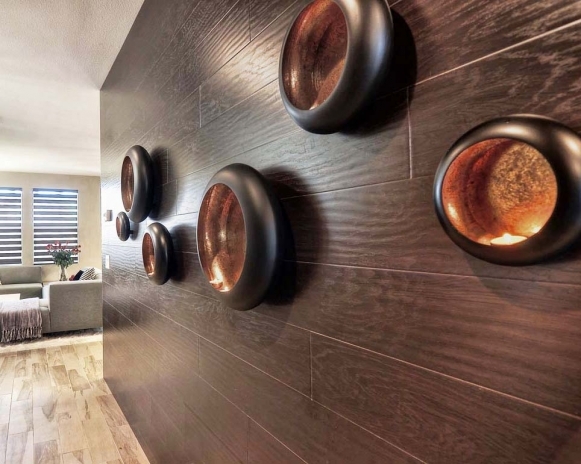 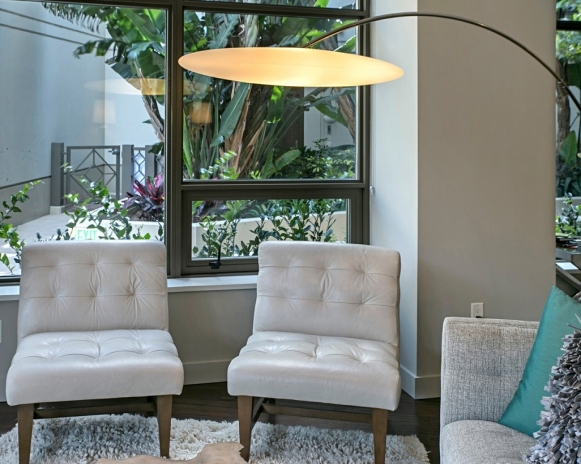 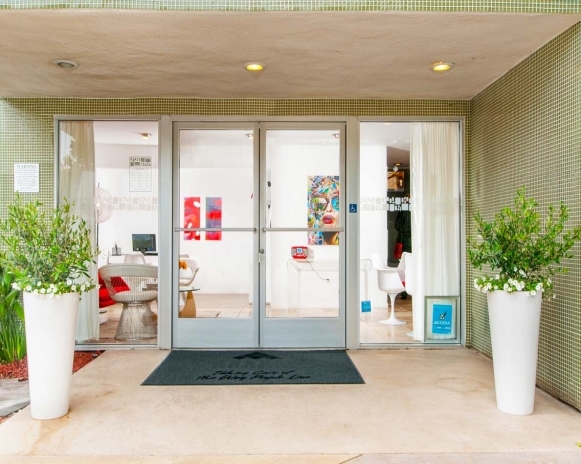 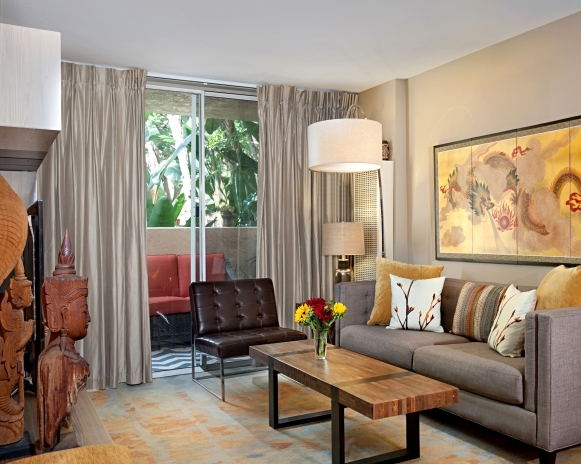 Classic mid-century modern design for this San Diego lobby, inspired by the desert modern dwellings in Palm Springs. 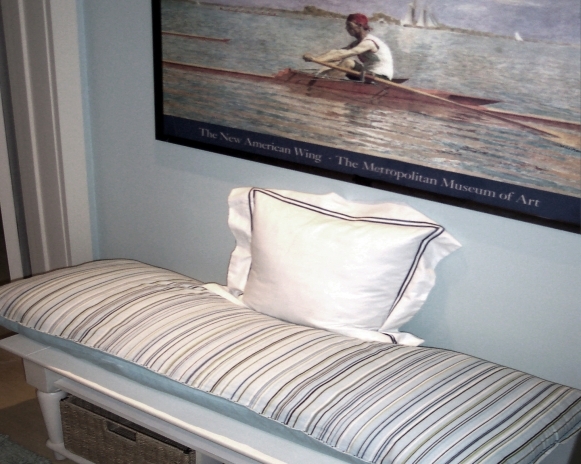 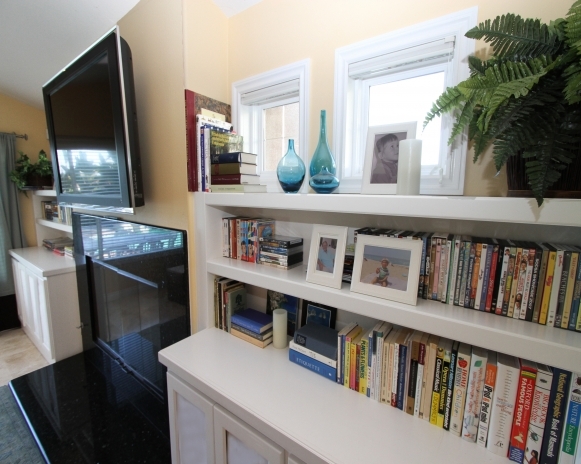 The small space has been kept light and airy. 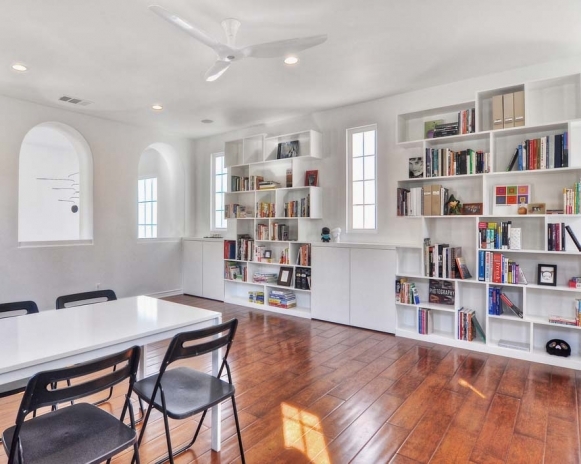 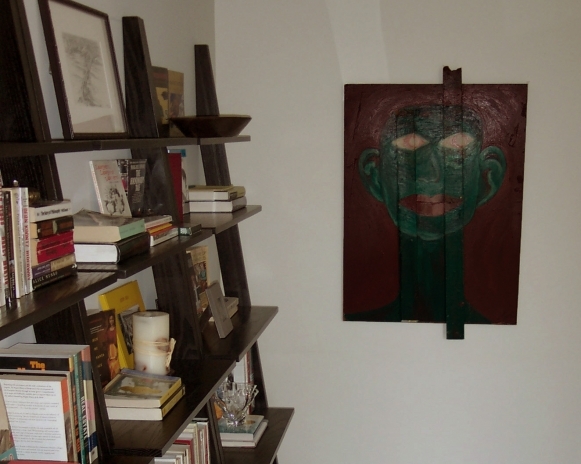 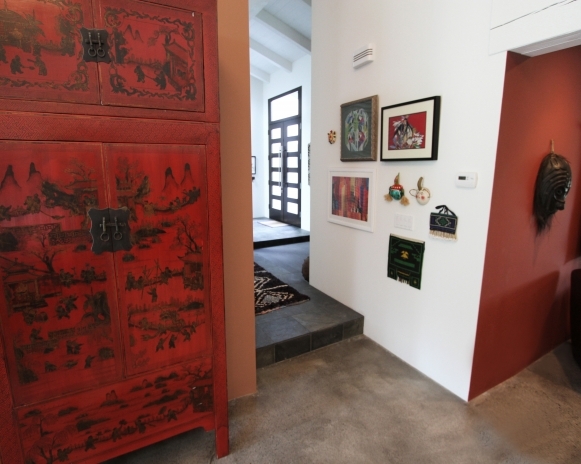 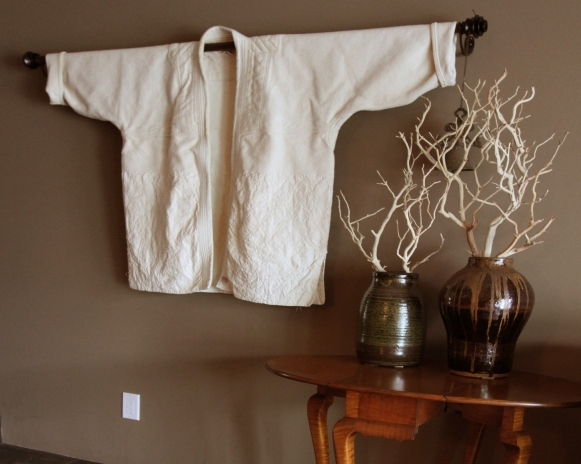 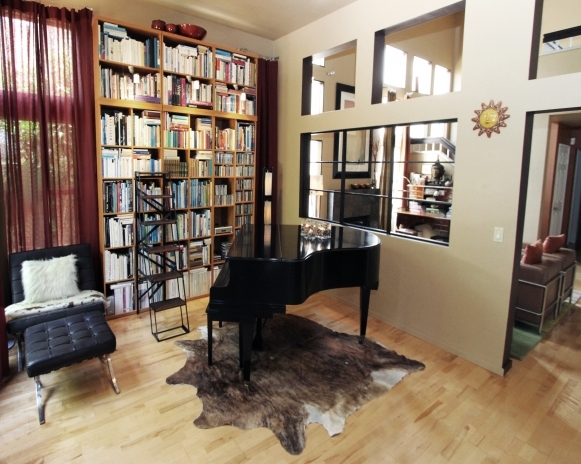 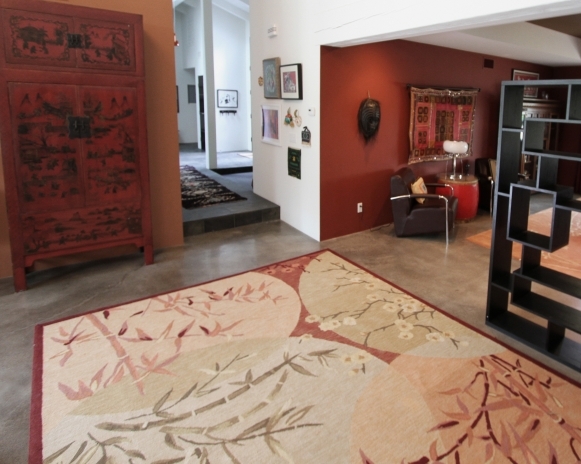 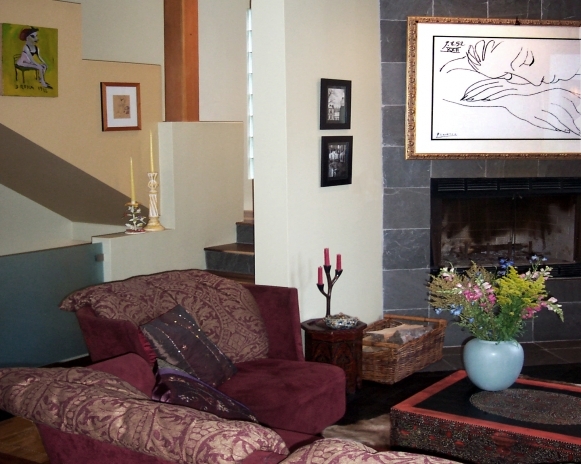 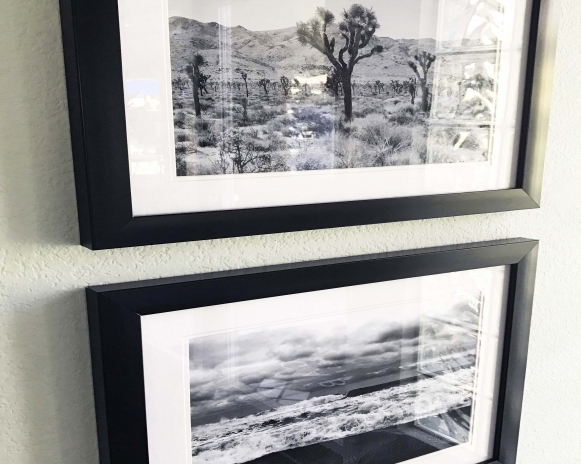 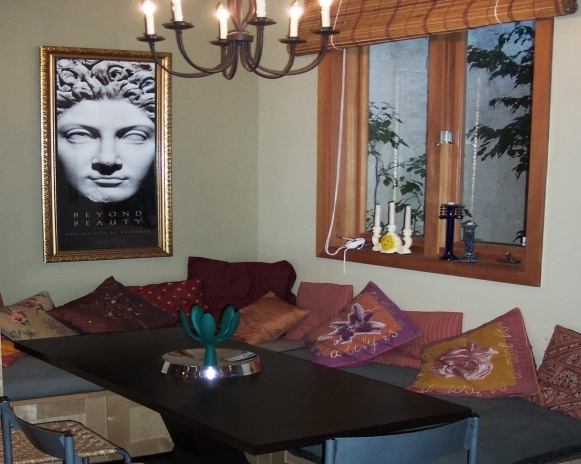 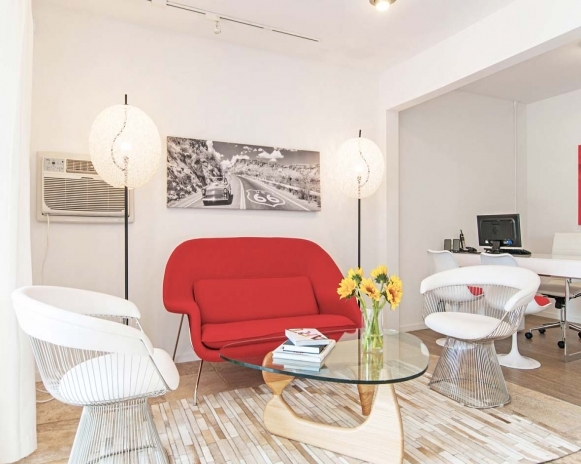 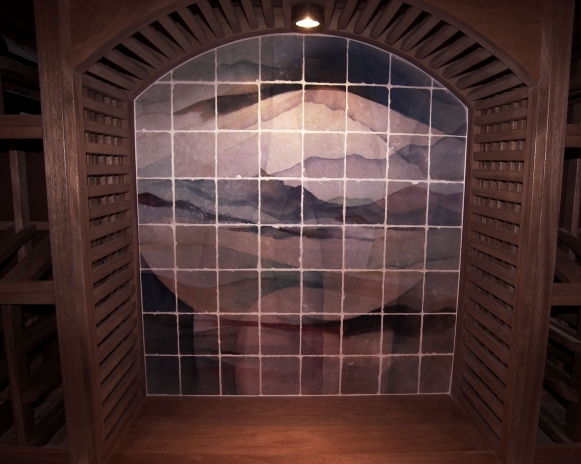 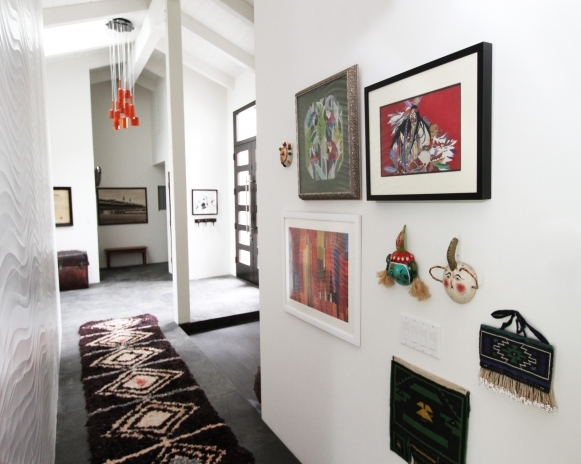 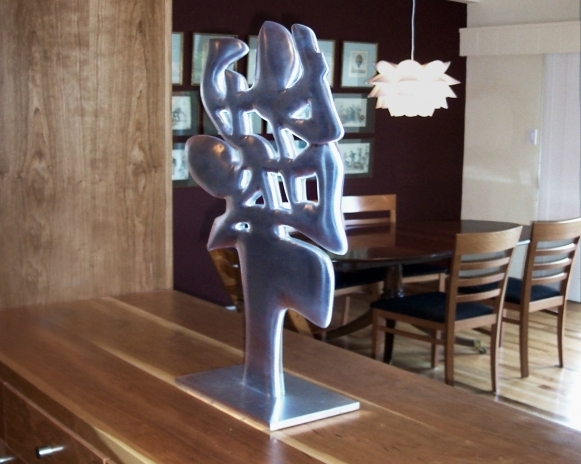 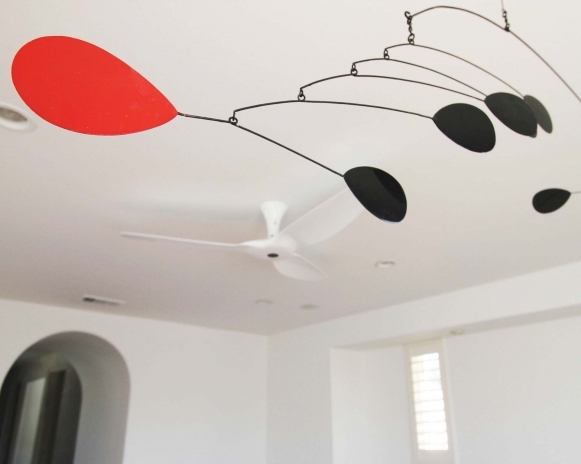 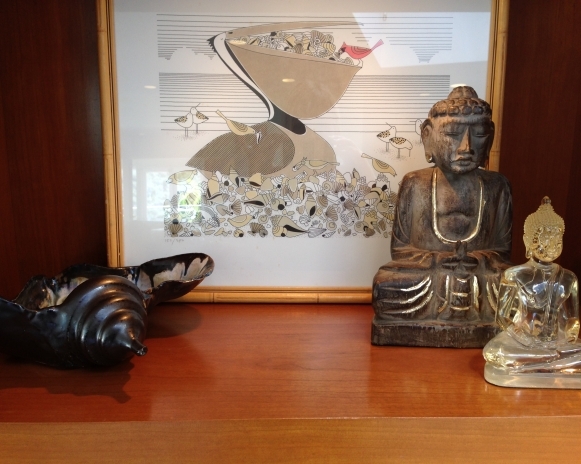 Home of an American/Japanese couple with an appreciation for contemporary art and design. 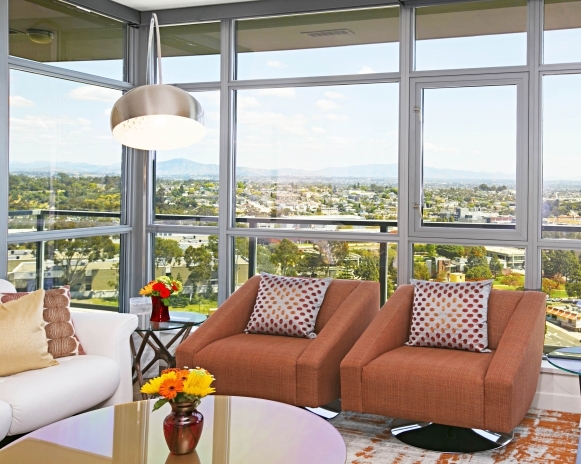 Breathtaking views of the city of San Diego. 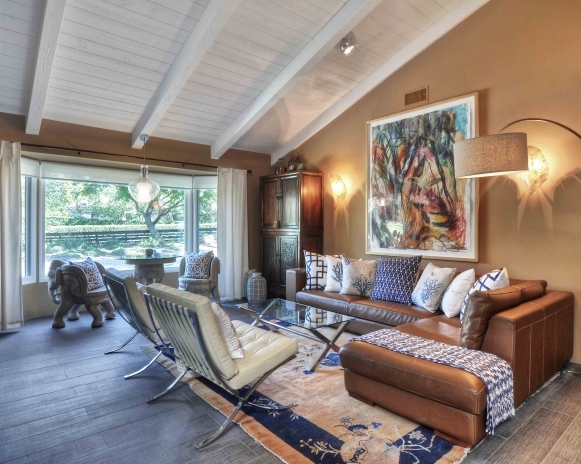 A Southern California traditional Ranch House that has not been touched since the 1970’s received a complete makeover in order to bring it into the new century. 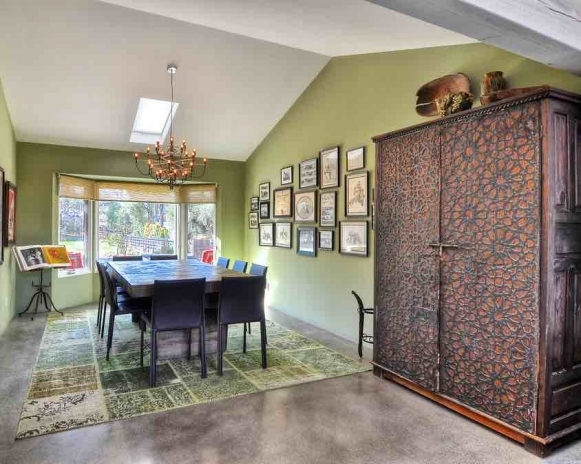 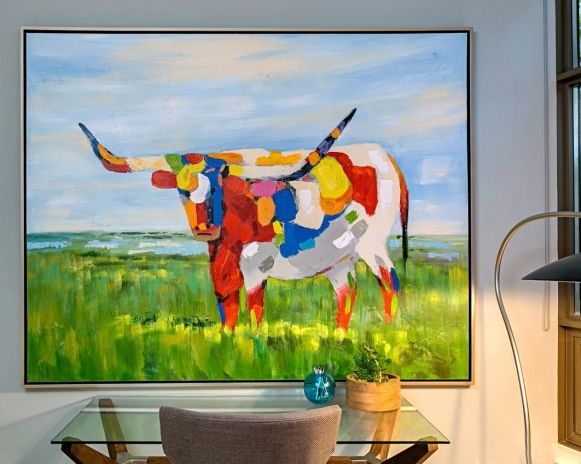 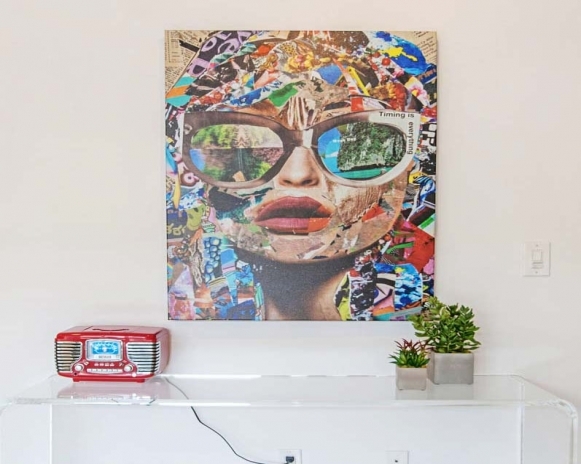 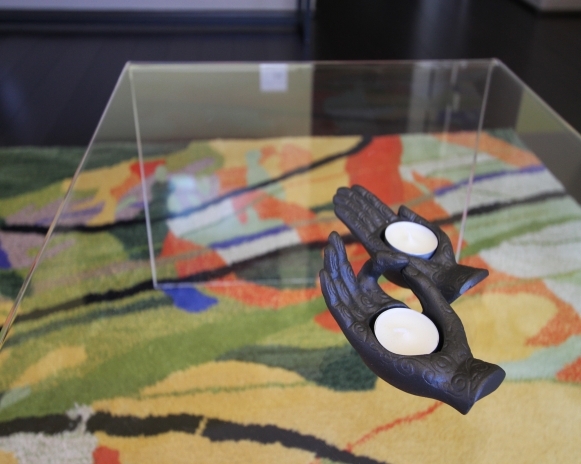 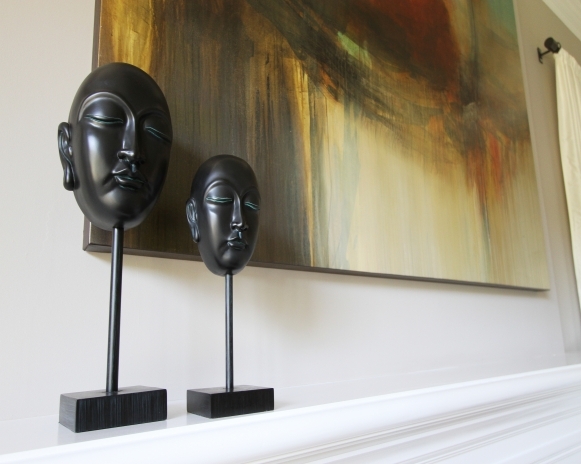 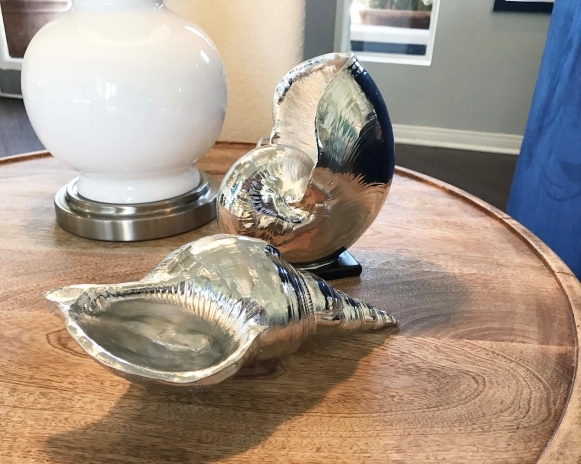 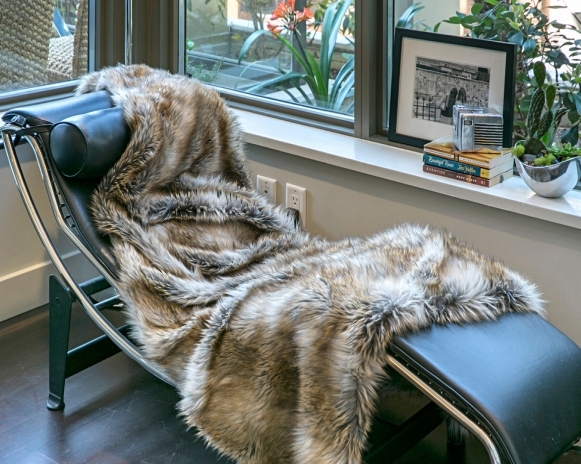 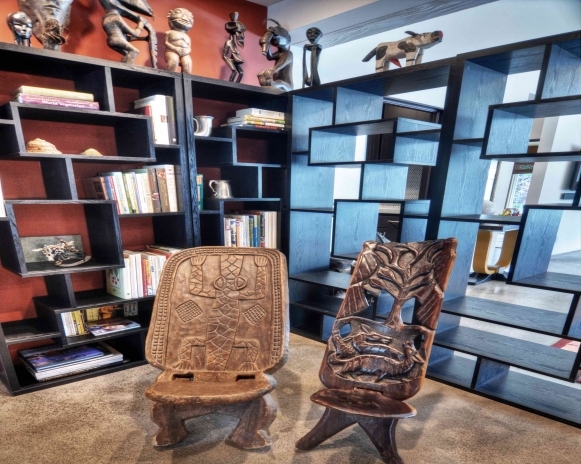 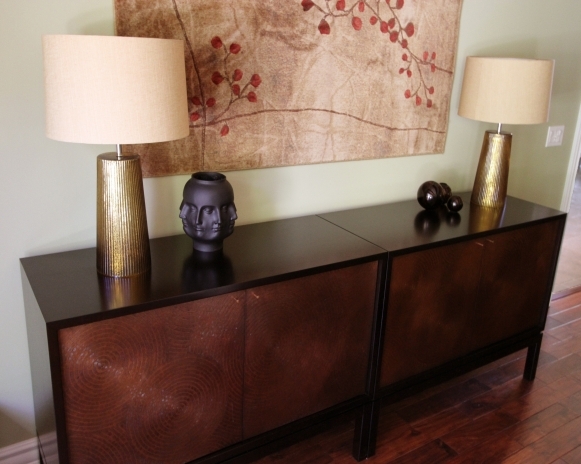 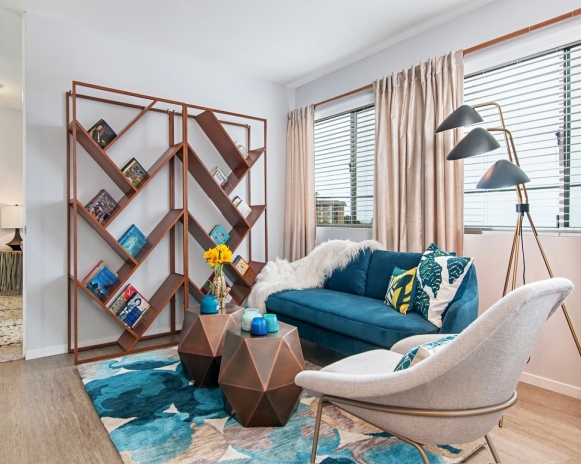 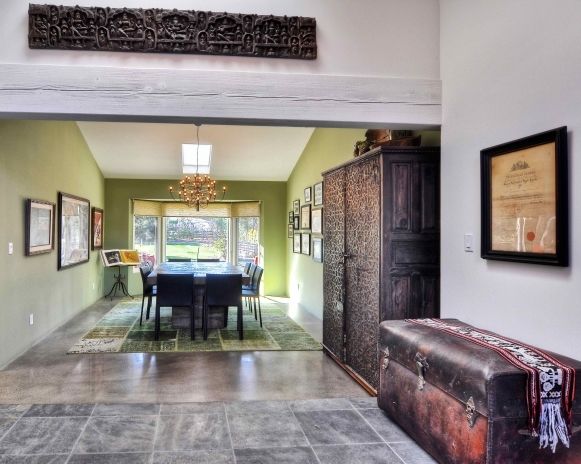 The new home owners, a well traveled family of Indian and American heritage, were looking for a modern, mid-century inspired space that could incorporate their vast collection of artifacts from many countries. 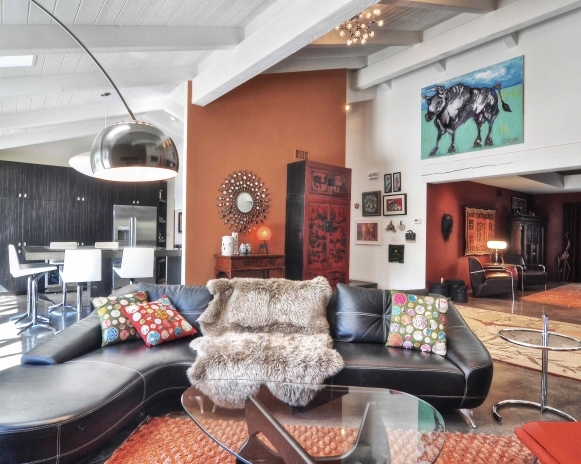 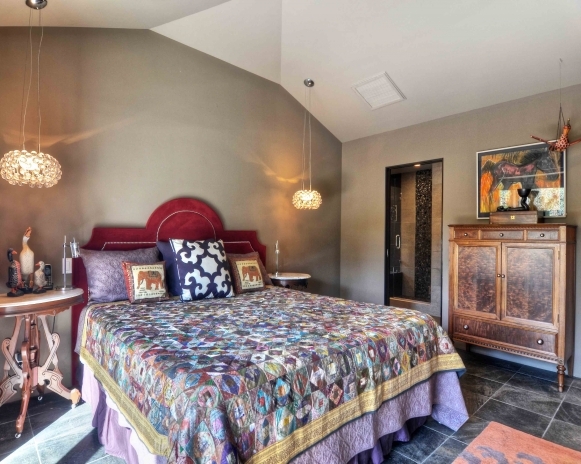 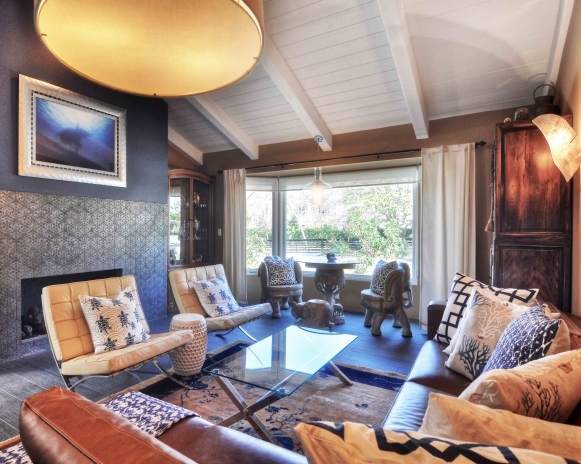 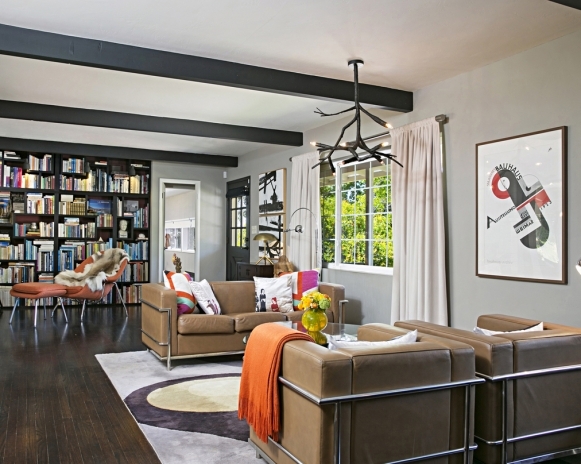 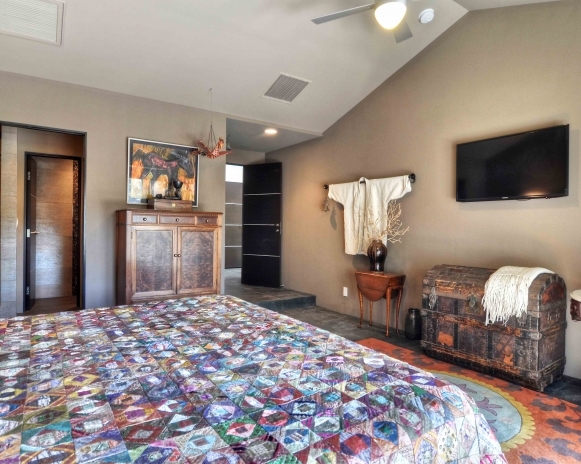 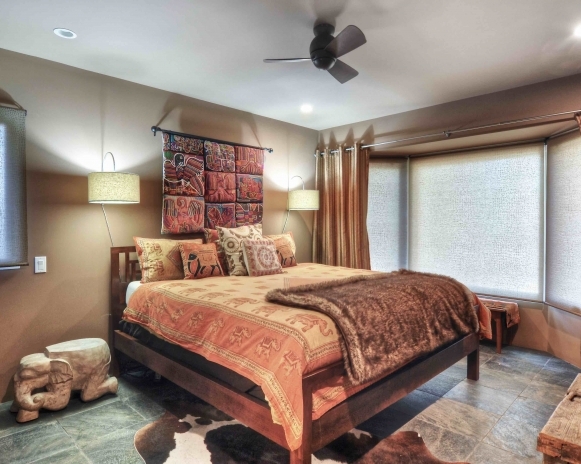 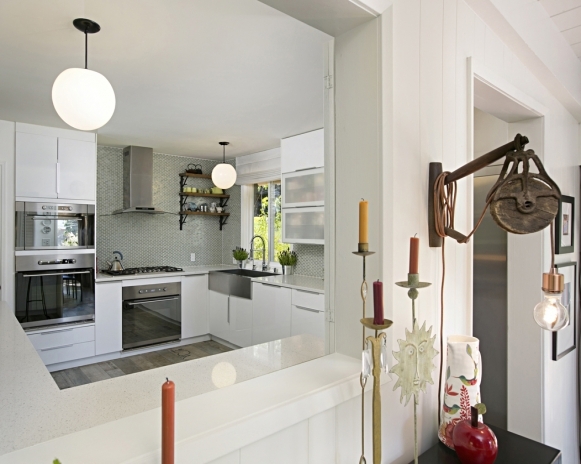 The interior design of the Eclectic Ranch House is a vibrant mix of old and new, rustic and sleek. 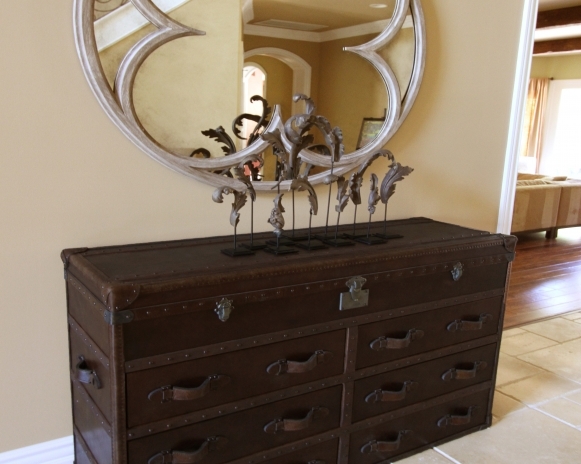 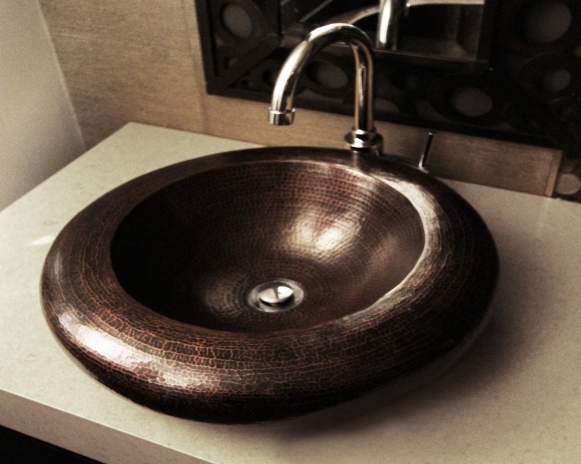 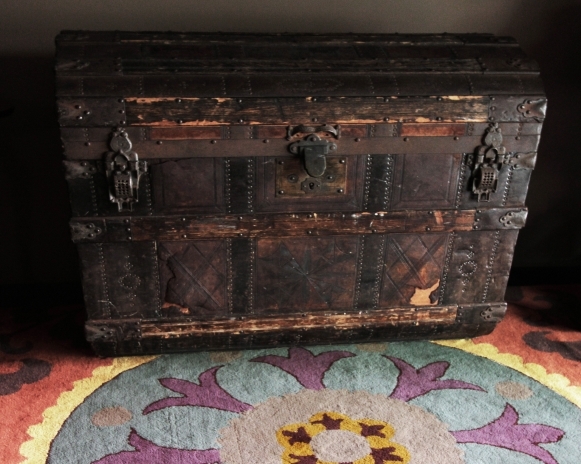 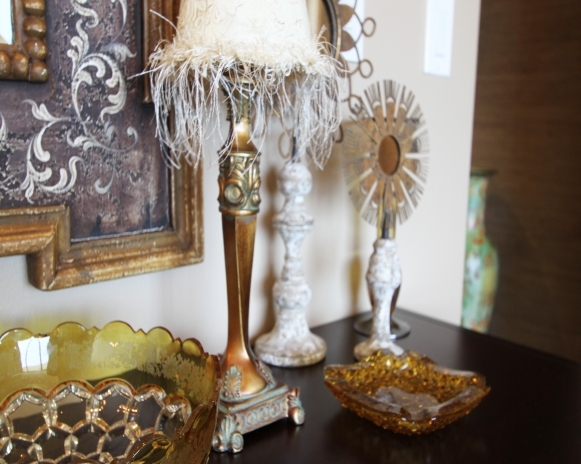 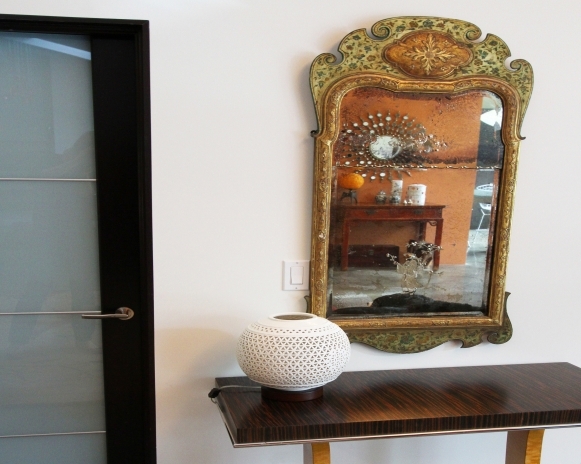 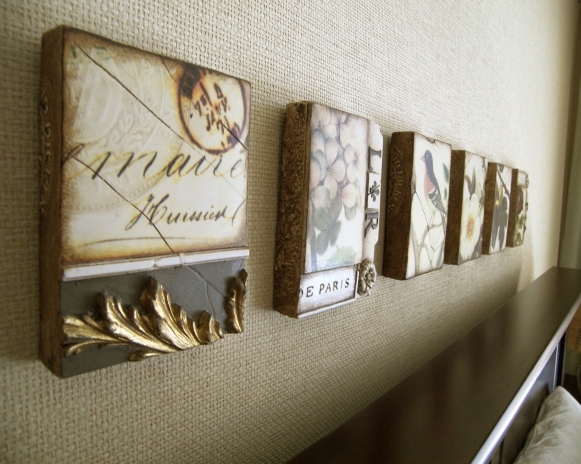 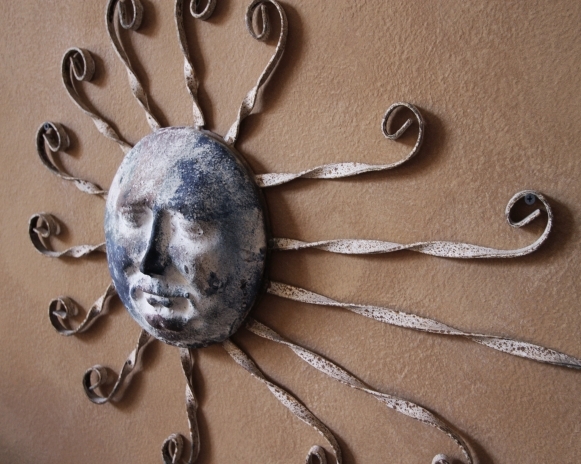 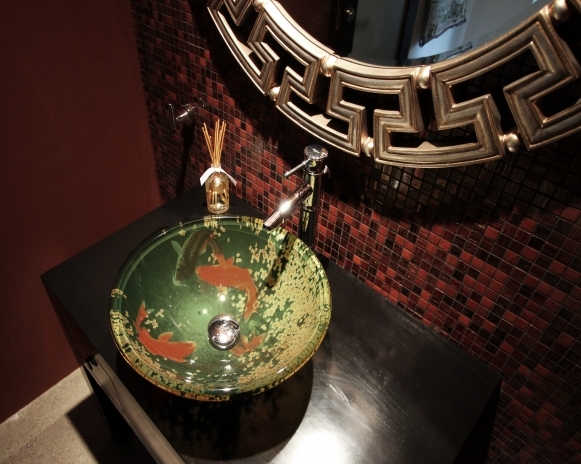 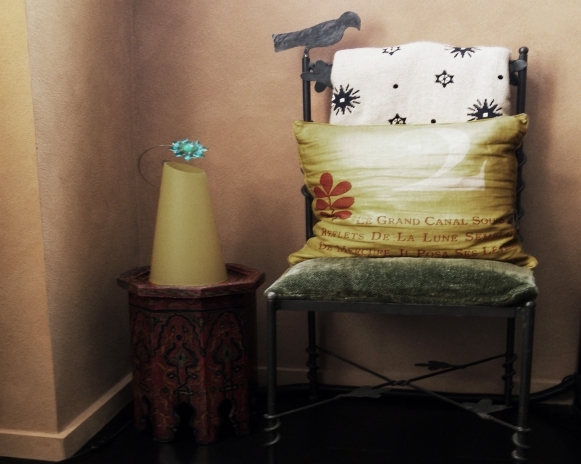 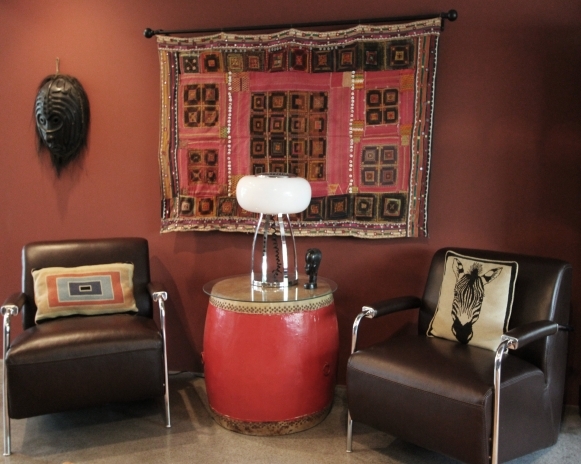 Mixing different periods and countries of origin in a global design with a bohemian touch. 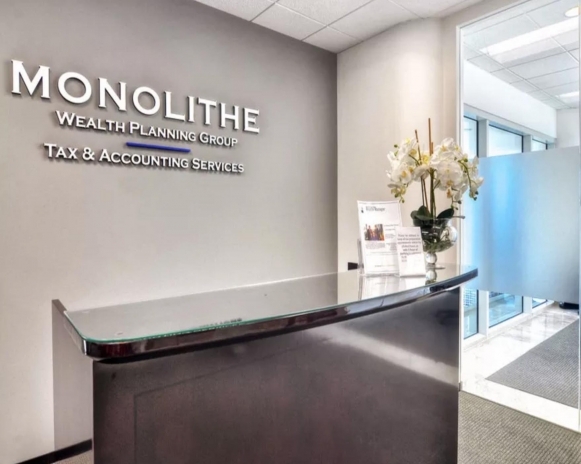 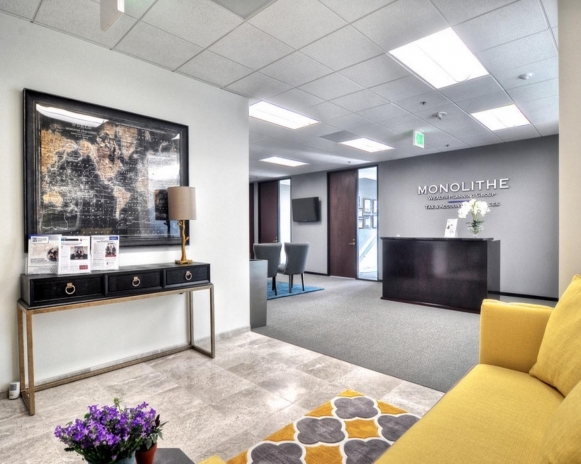 Lobby design of a wealth management company. 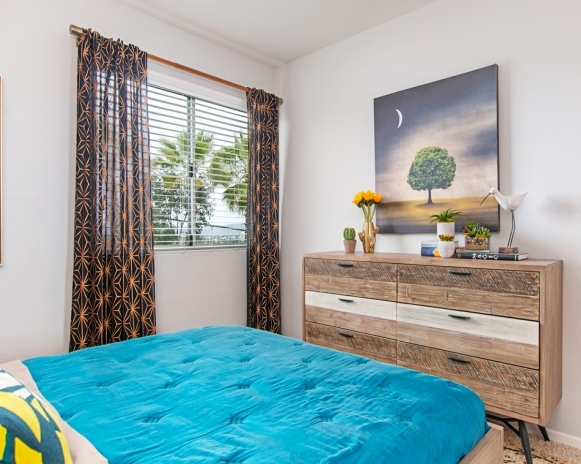 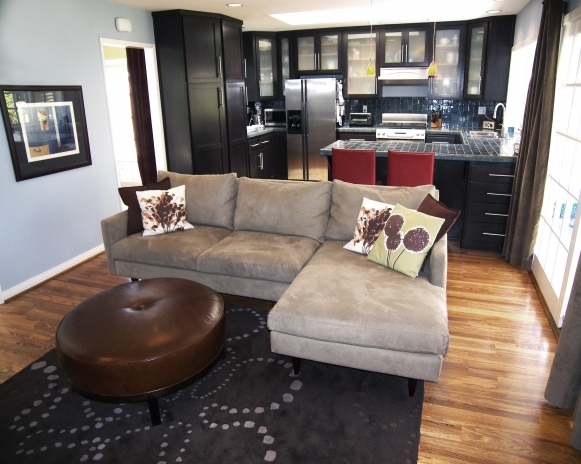 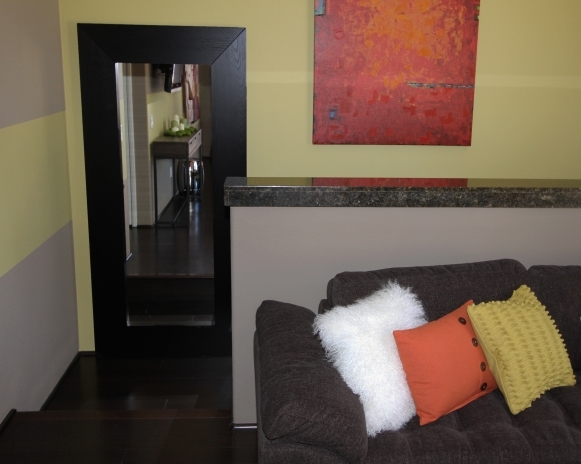 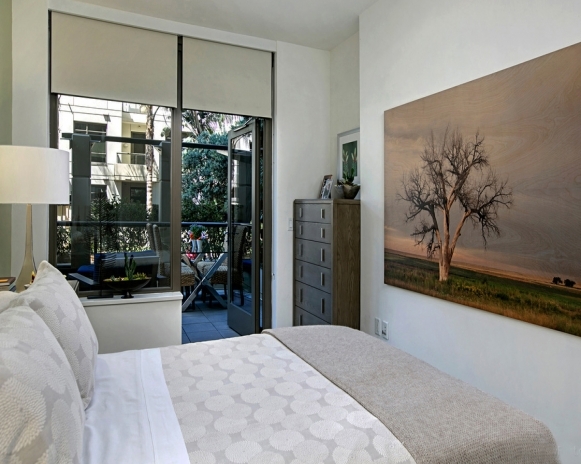 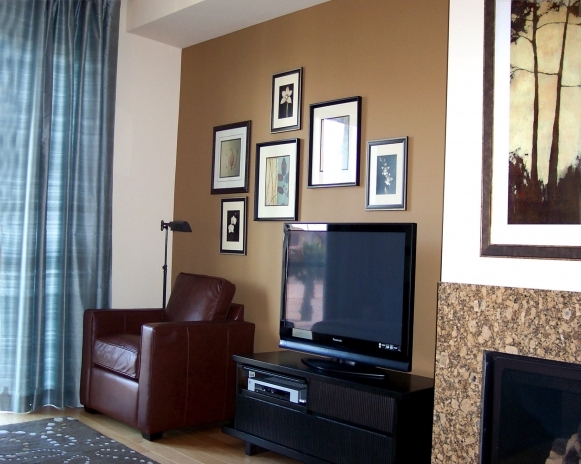 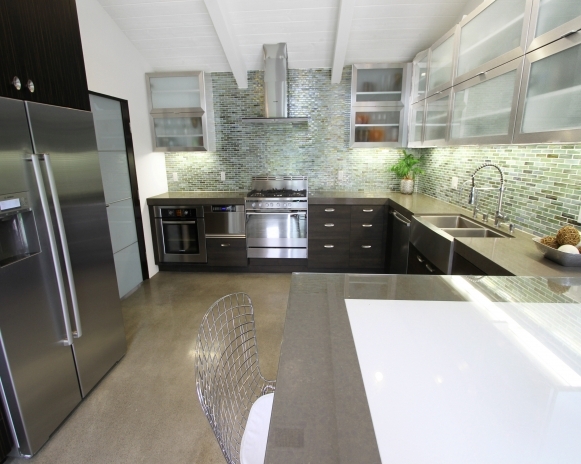 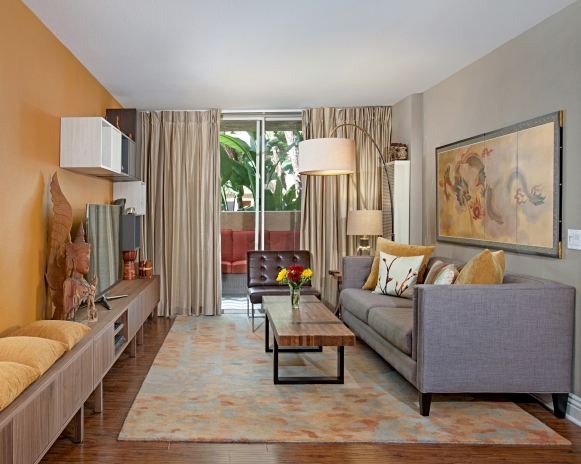 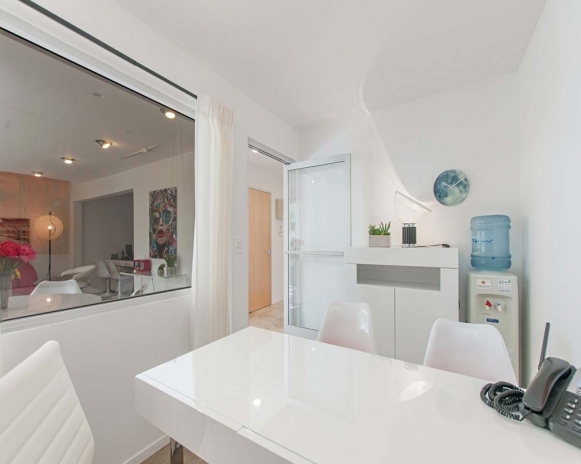 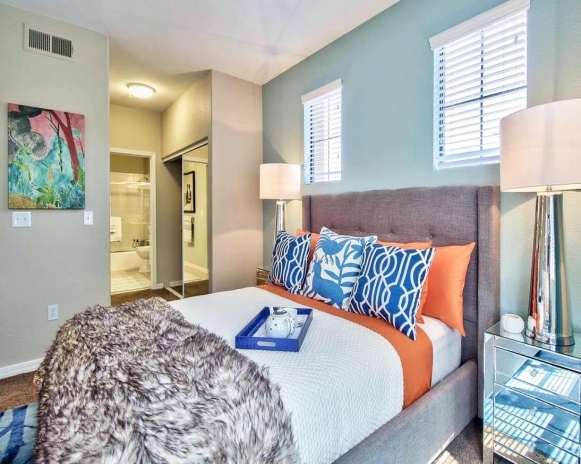 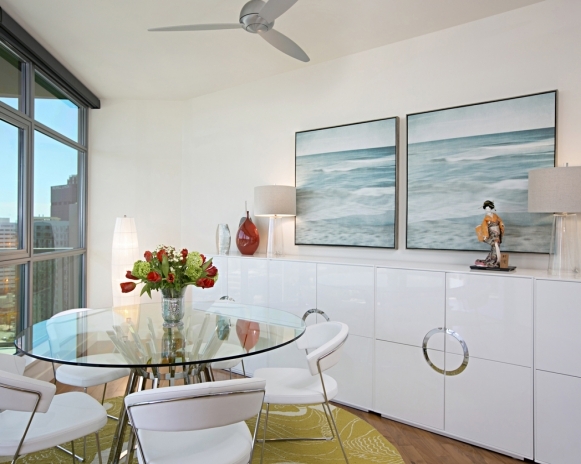 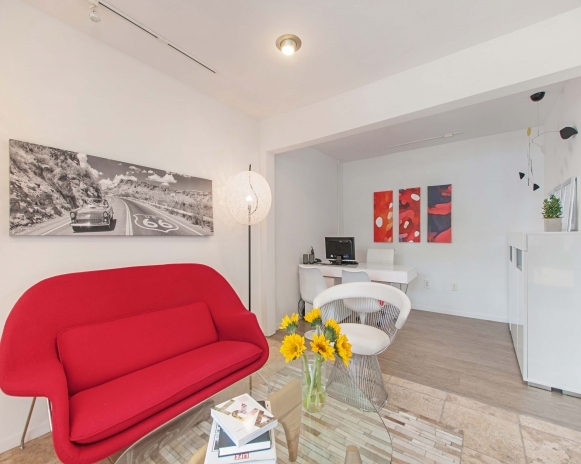 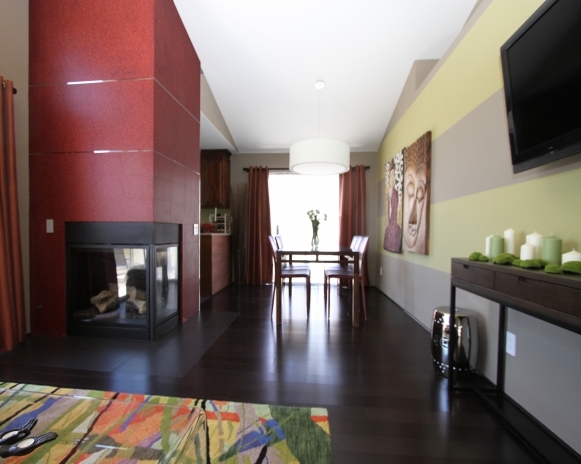 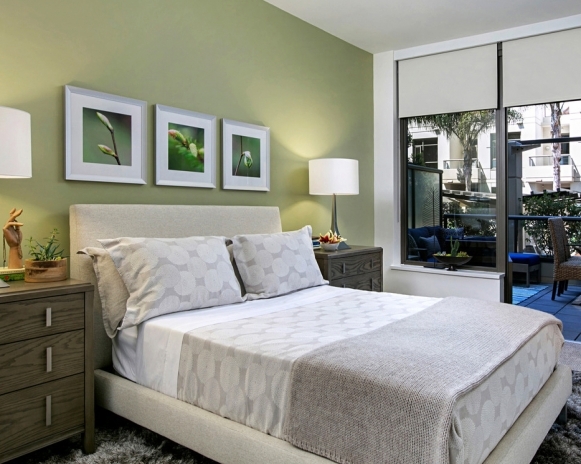 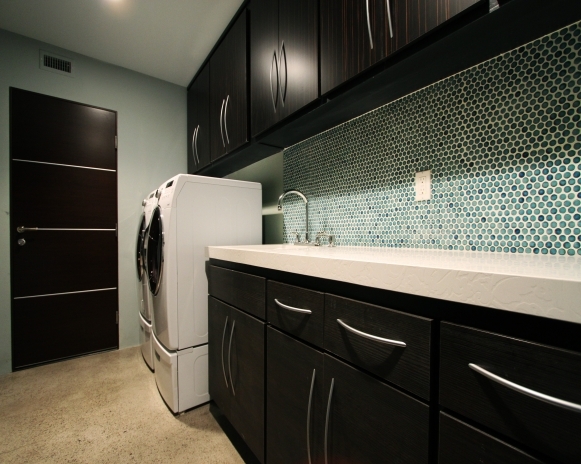 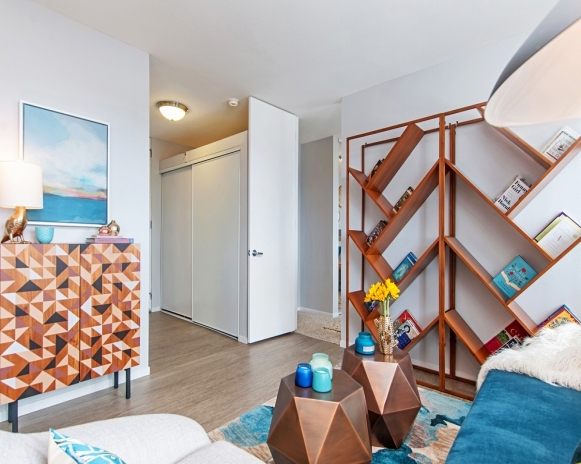 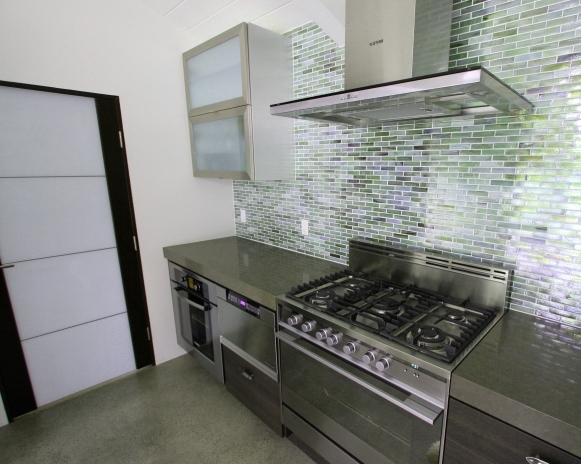 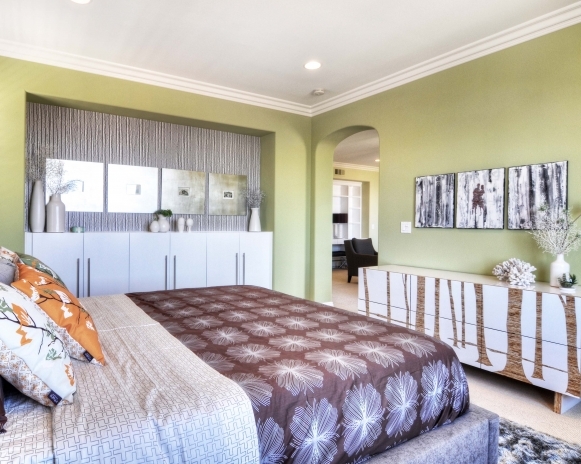 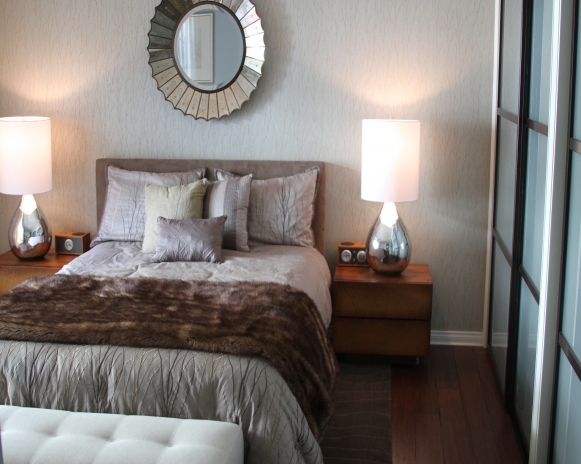 Contemporary global design for a small scale apartment in the city of San Diego. 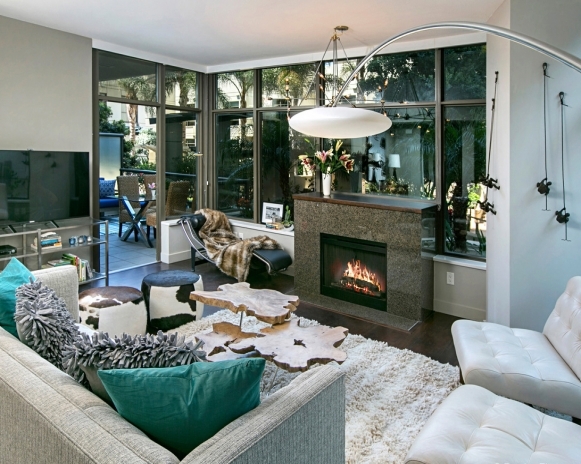 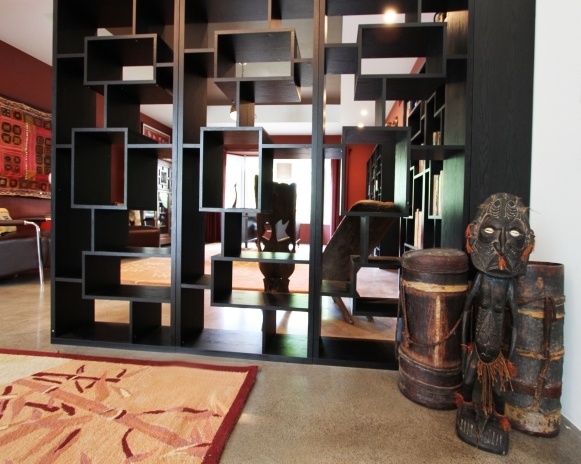 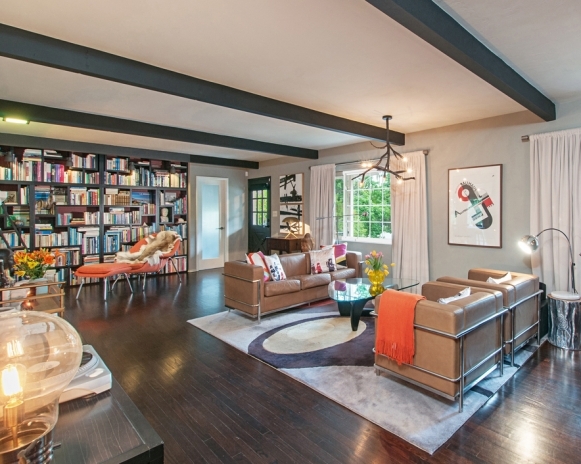 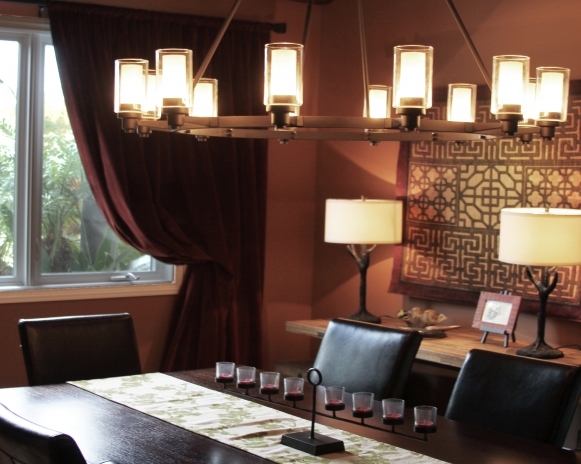 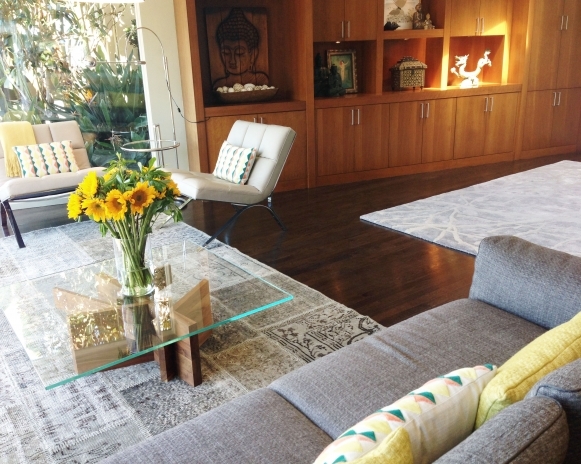 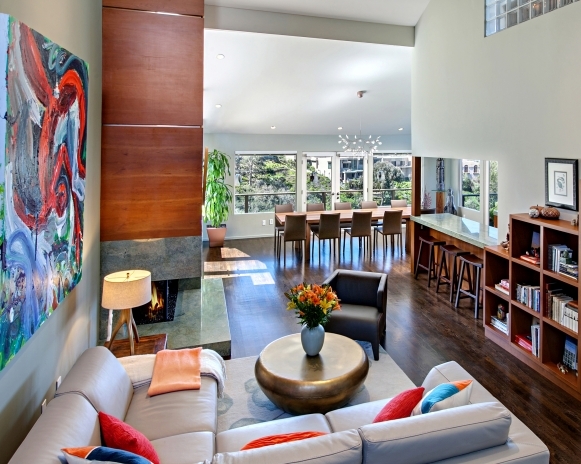 The Brazilian owner, a world traveler, wanted to maximize the space for entertaining. 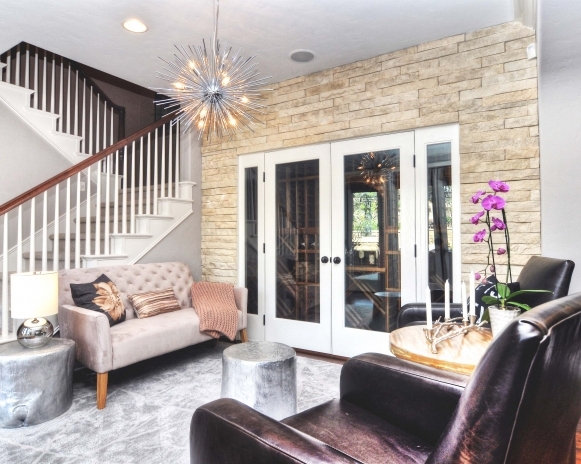 A young American couple of Chinese origin was looking for a contemporary design as opposed to a classic Mediterranean interior. 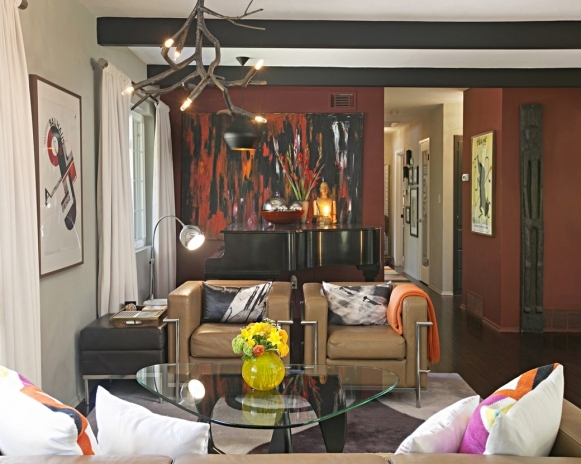 They craved for something colorful, edgy and fun. 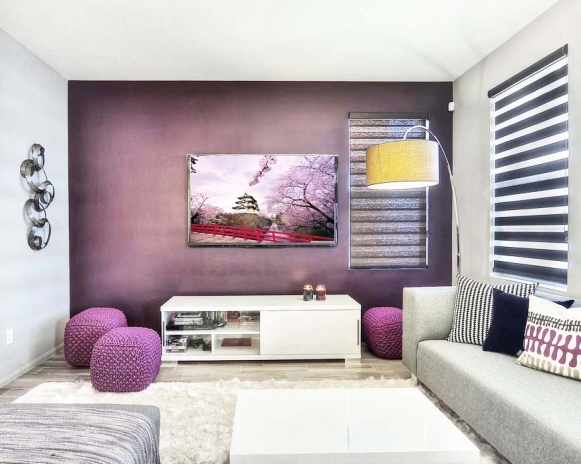 A variety of colors and textures have been integrated in the interest of creating a lively and vivacious atmosphere that illustrates the couple’s lifestyle. 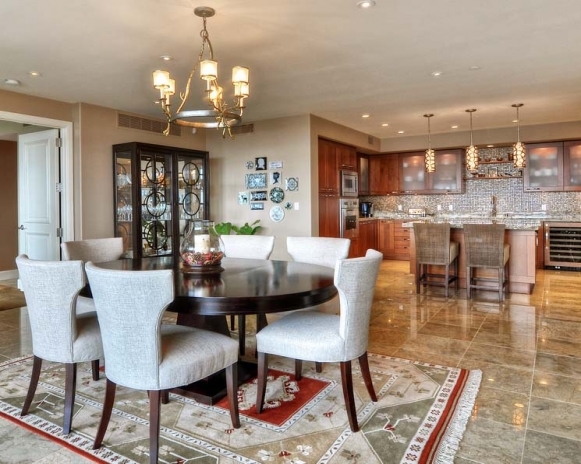 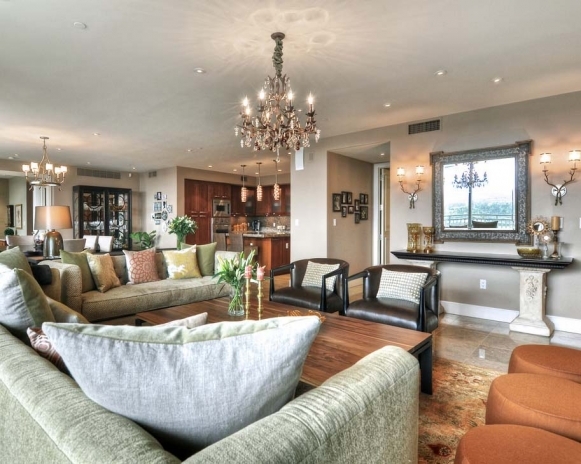 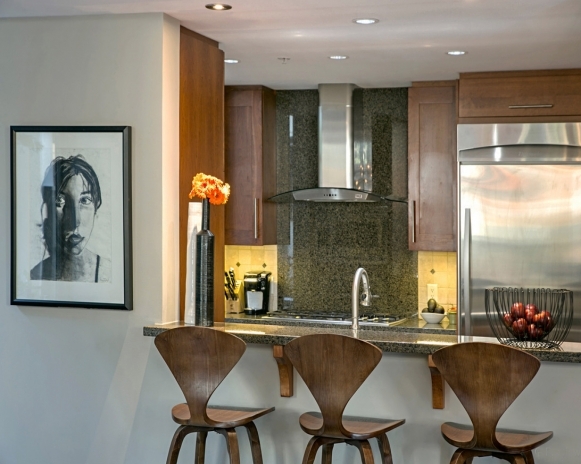 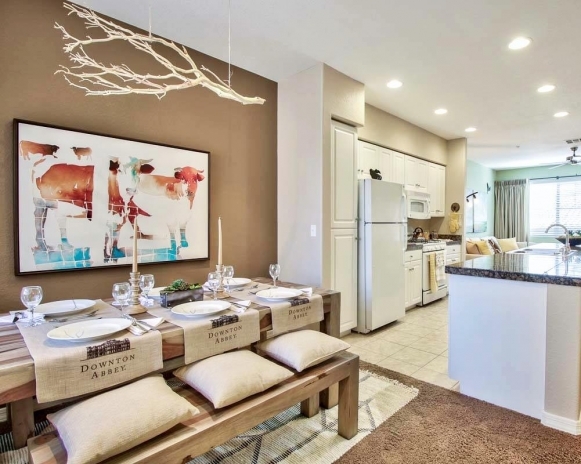 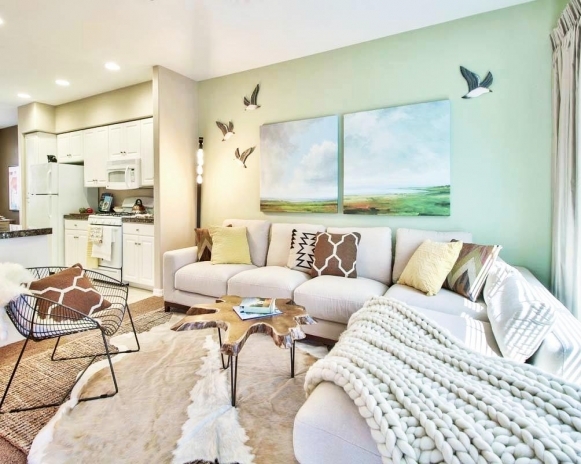 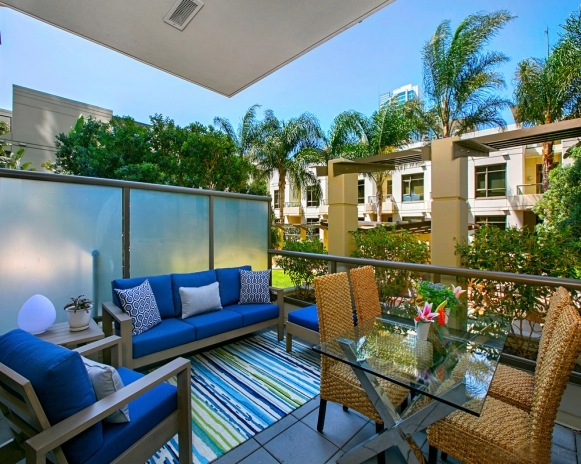 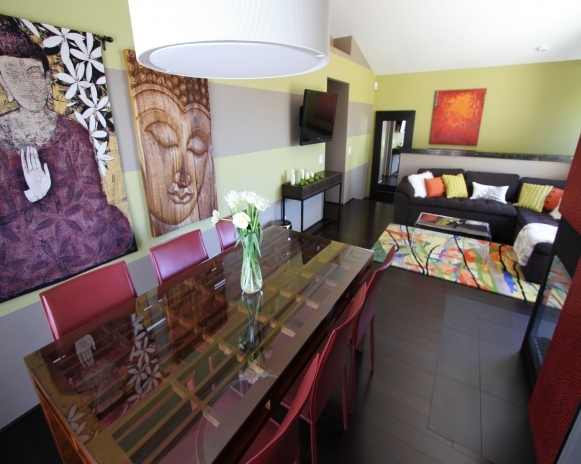 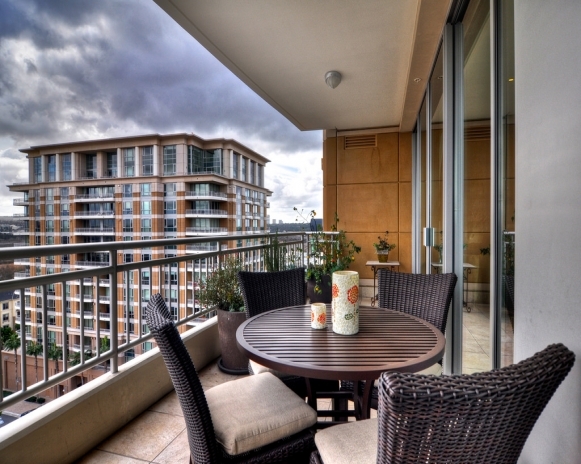 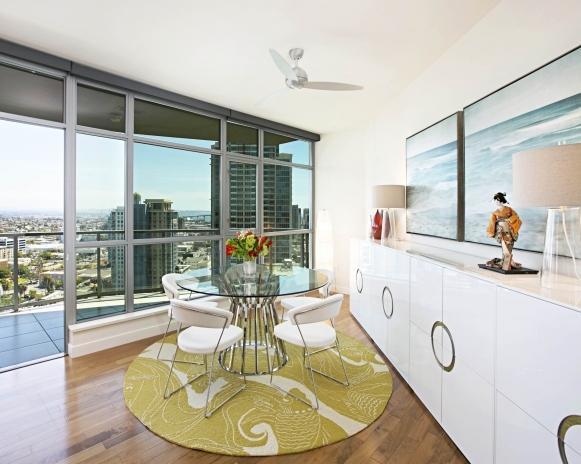 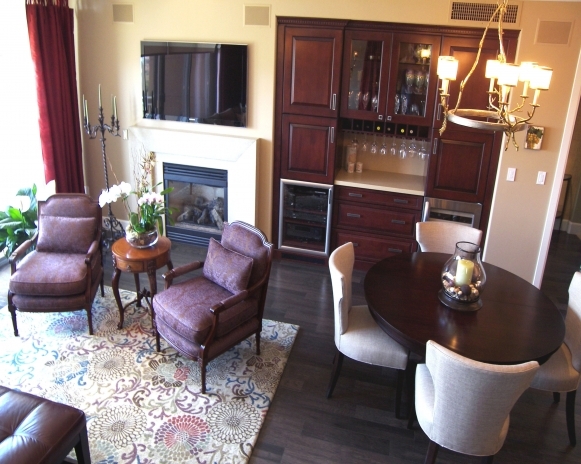 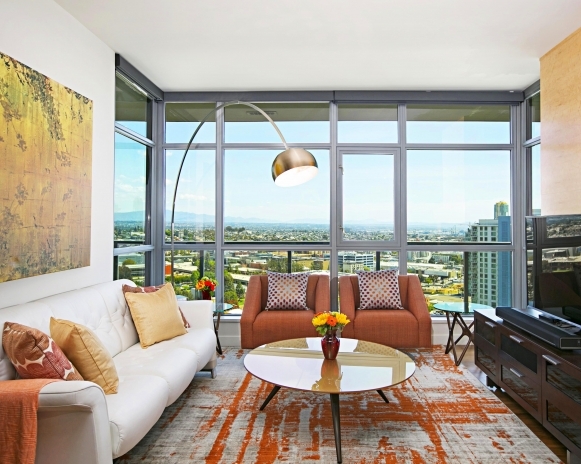 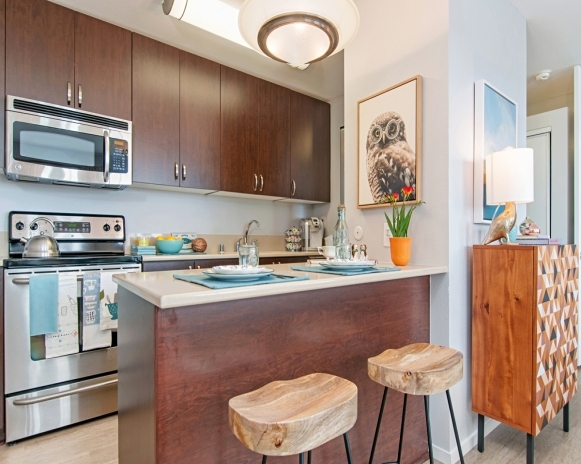 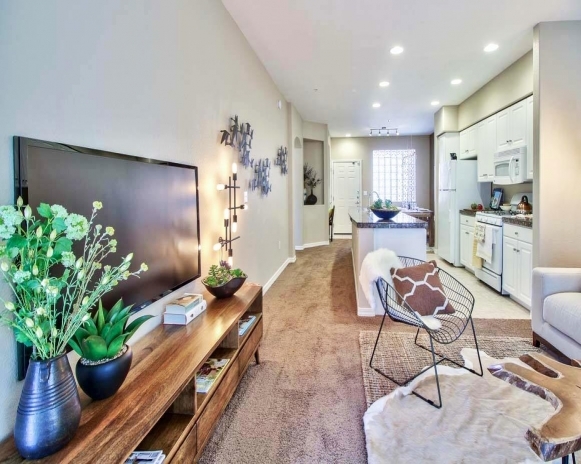 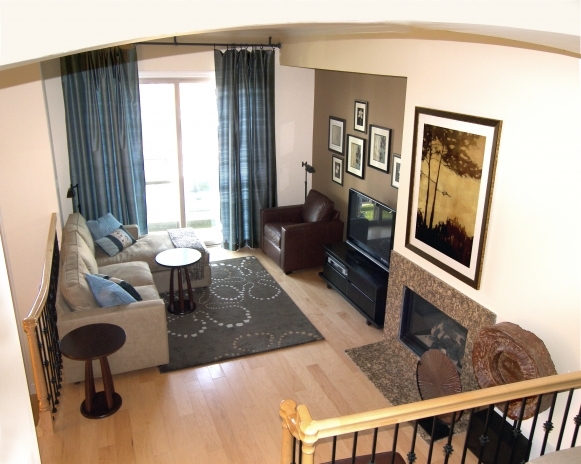 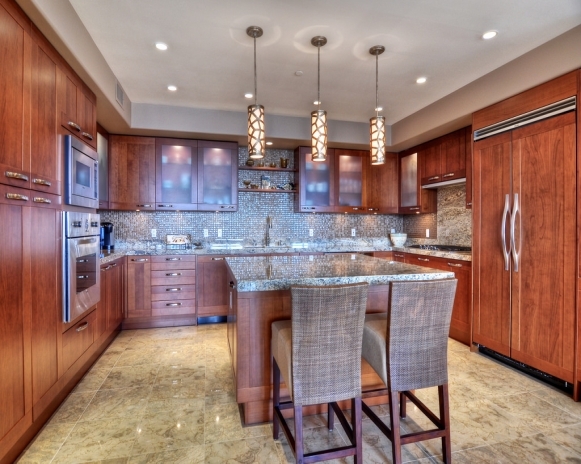 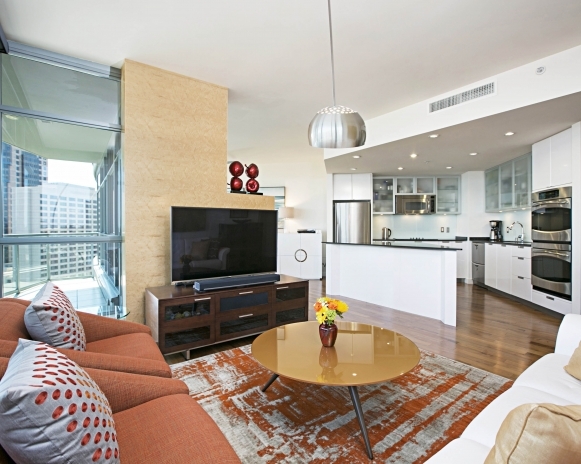 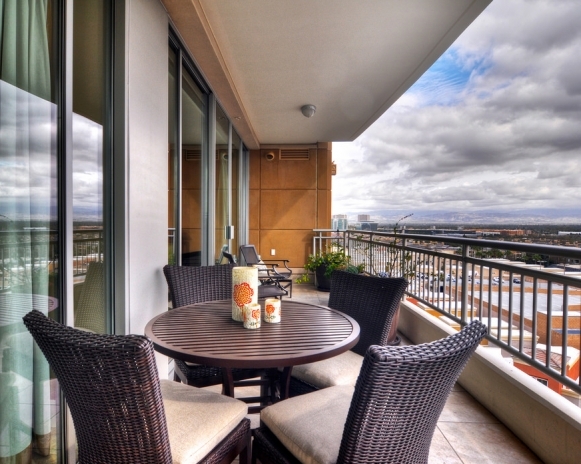 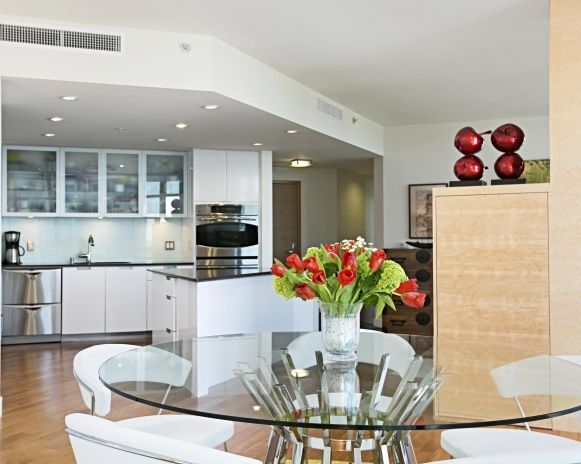 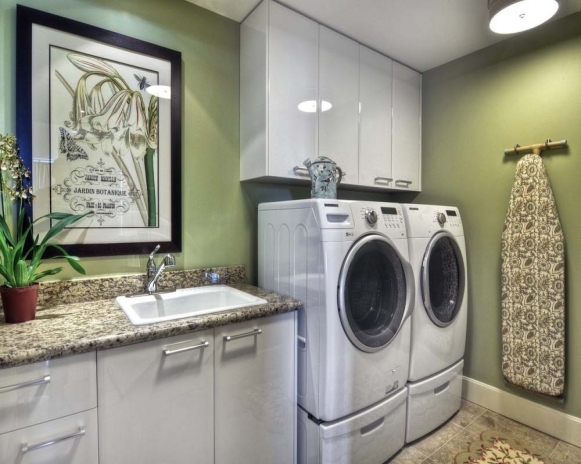 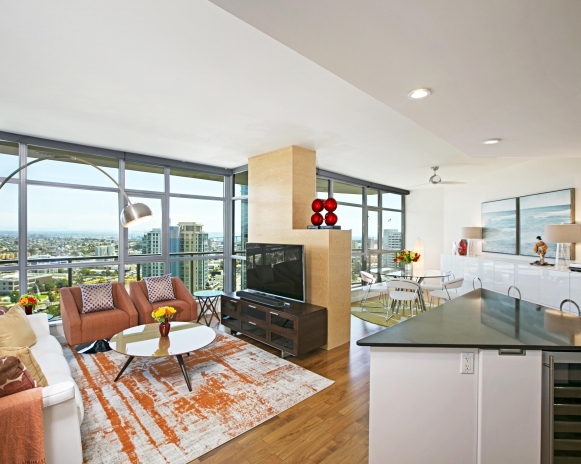 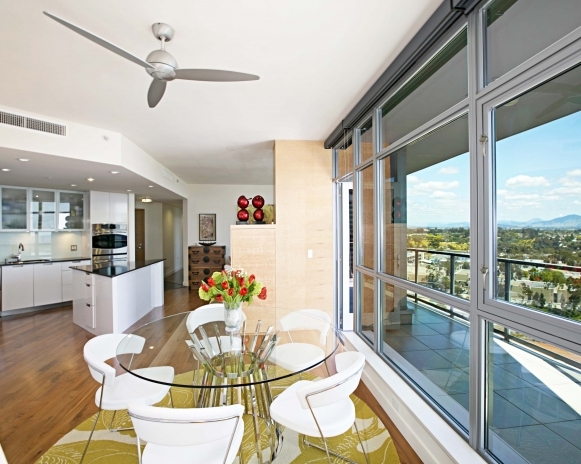 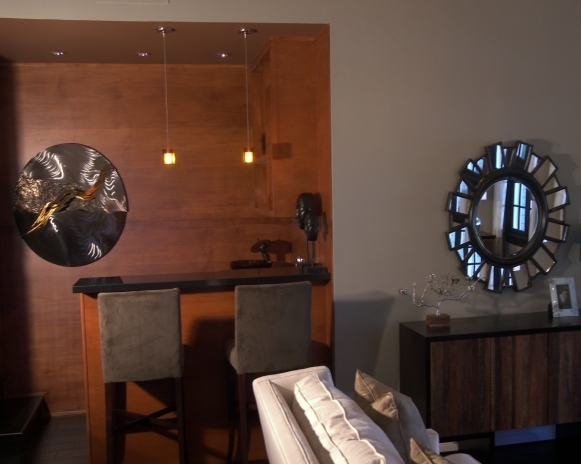 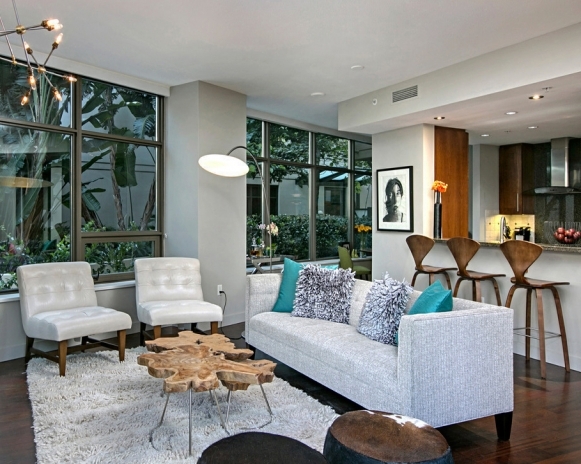 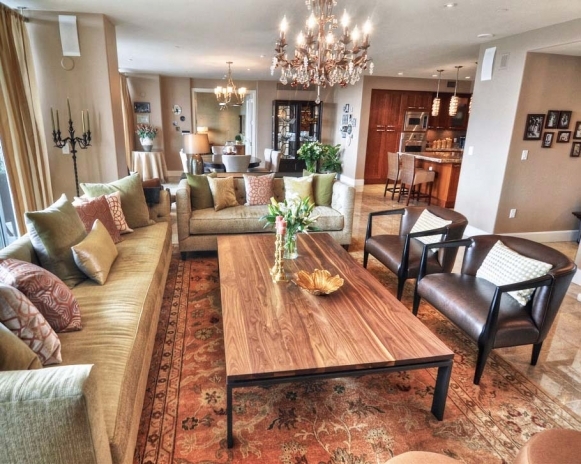 This loft is located in the Electra building, which is Downtown San Diego’s tallest residential tower. 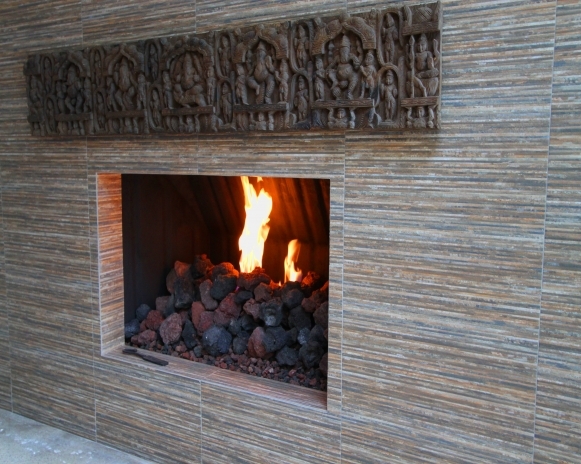 Especially unique is the old façade of the historic San Diego Gas and Electric building combined with a modern high rise structure. 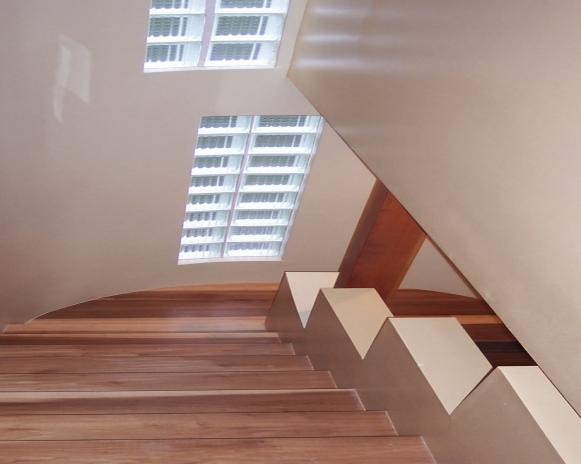 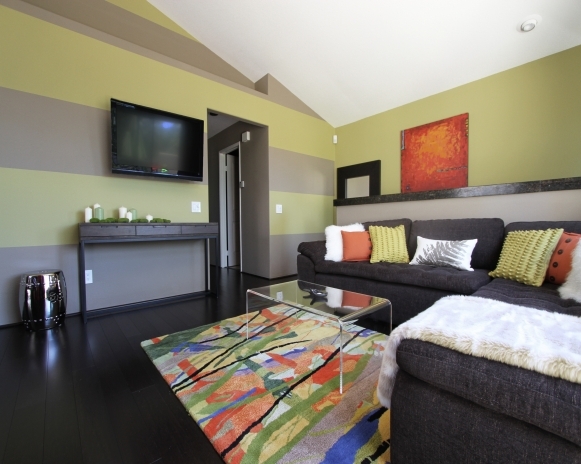 The design of the loft is youthful and contemporary, with an emphasis on comfortable and warm materials. 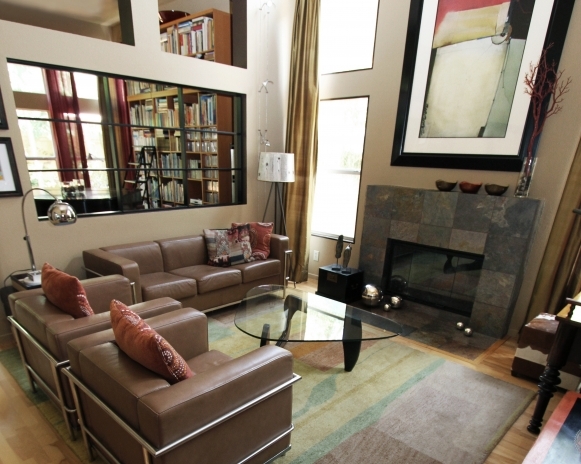 It make the space inviting and liveable. 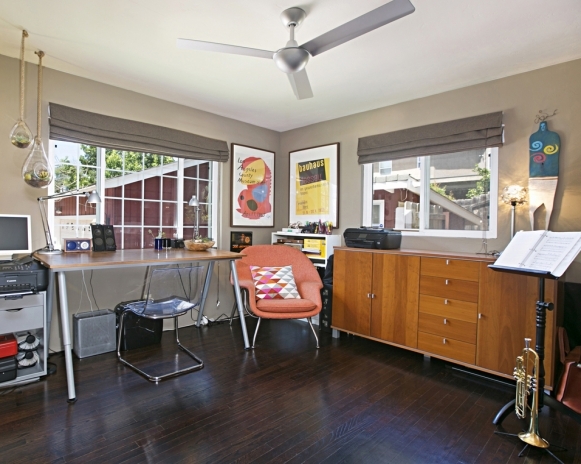 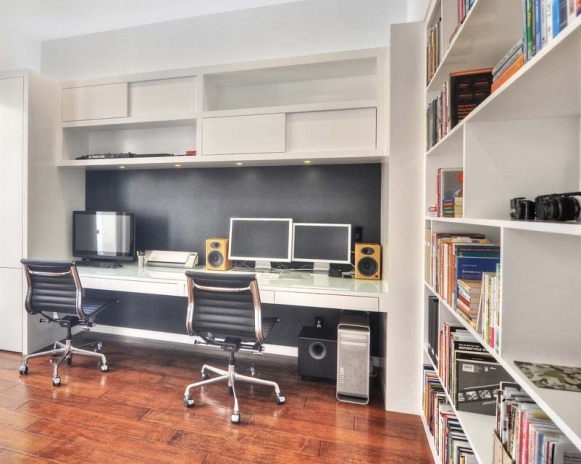 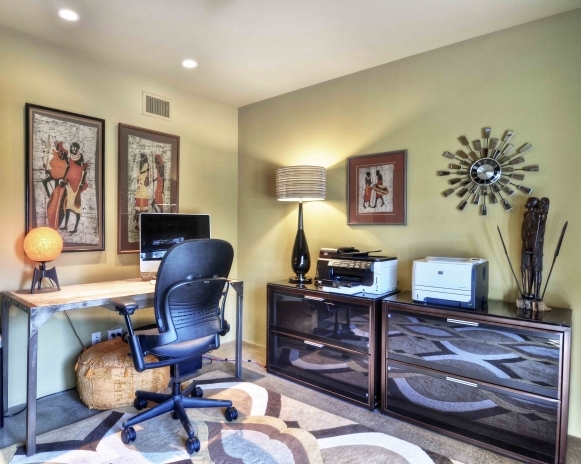 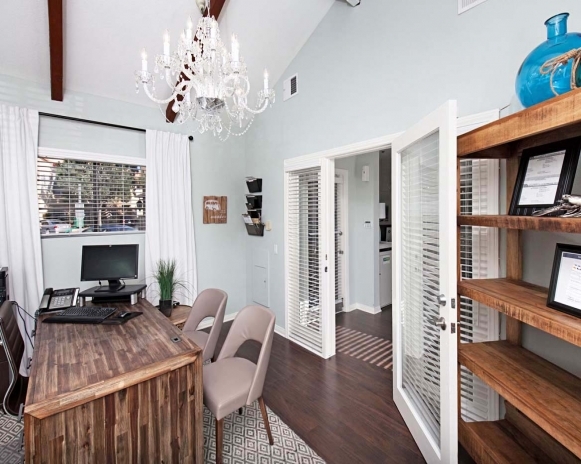 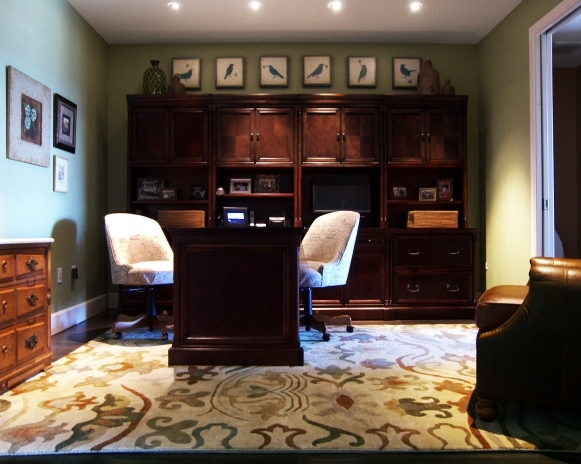 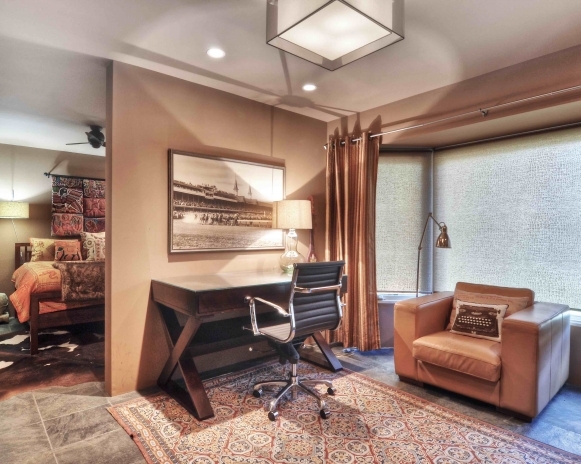 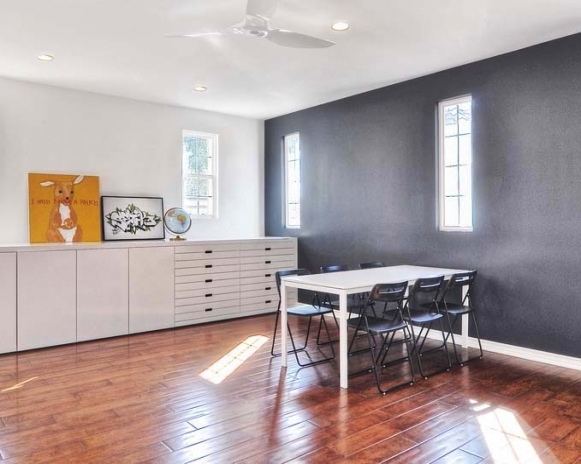 Home Office for two and Art Studio for the family. 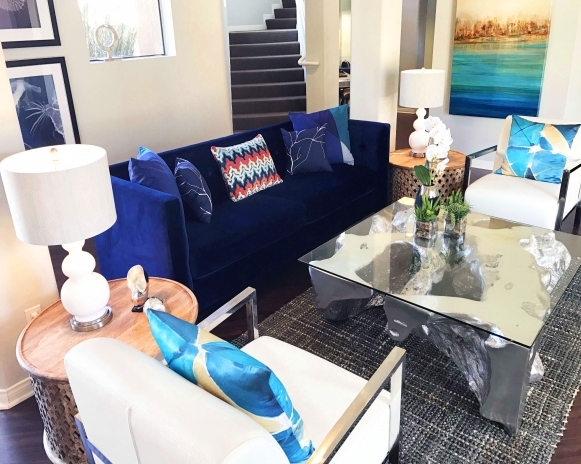 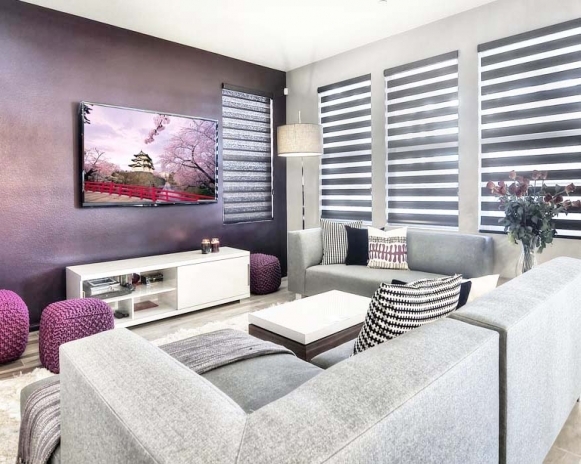 The home owners requested a sleek, modern design with their favorite monochromatic hues, and excluding any unnecessary embellishments. 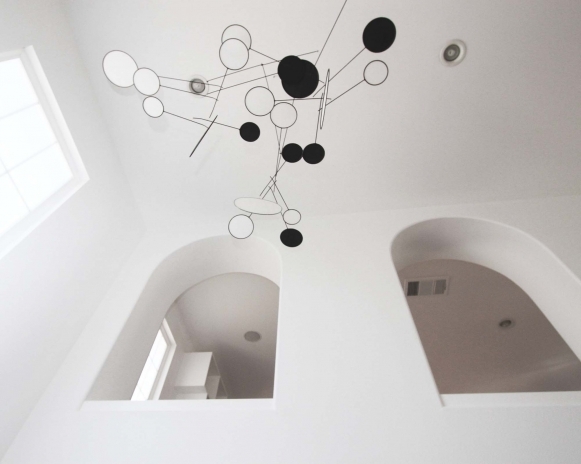 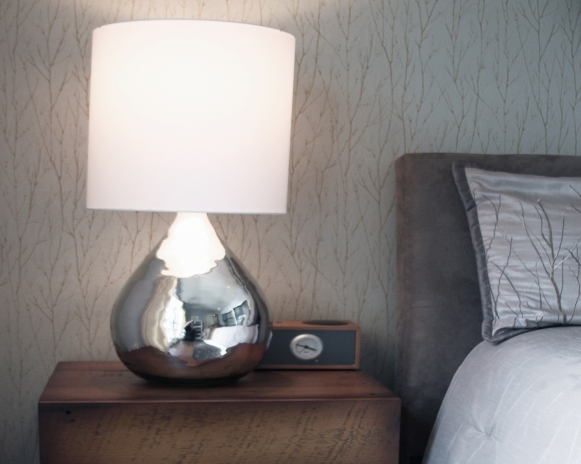 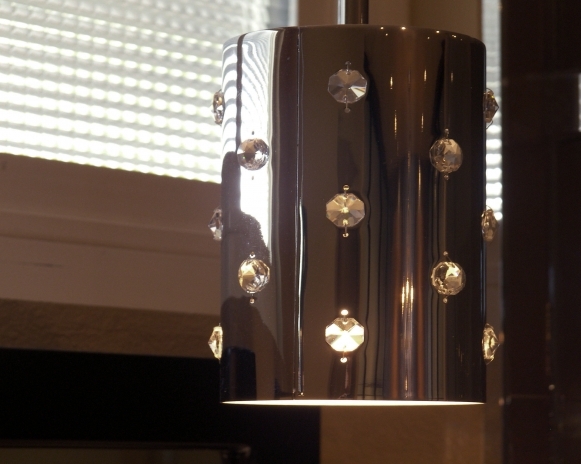 Tivoli was designed for a European couple living in SoCal with an appreciation for creativity in design. 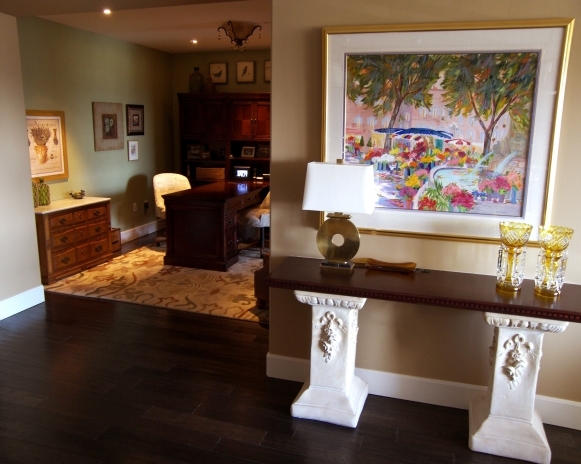 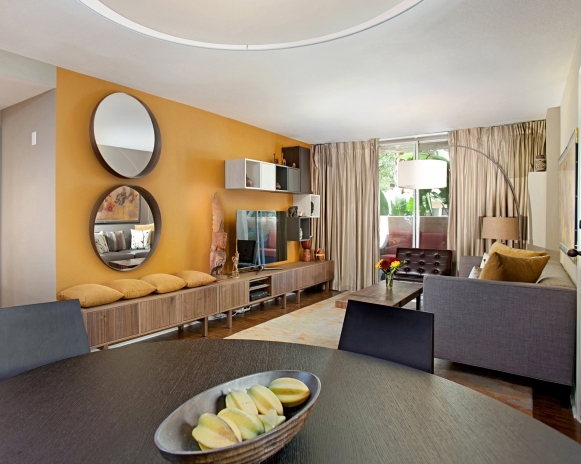 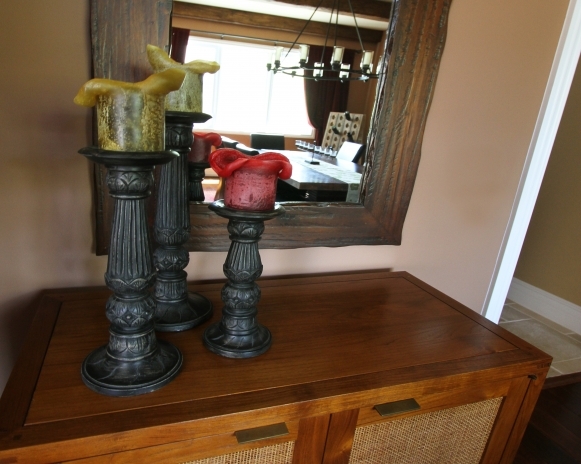 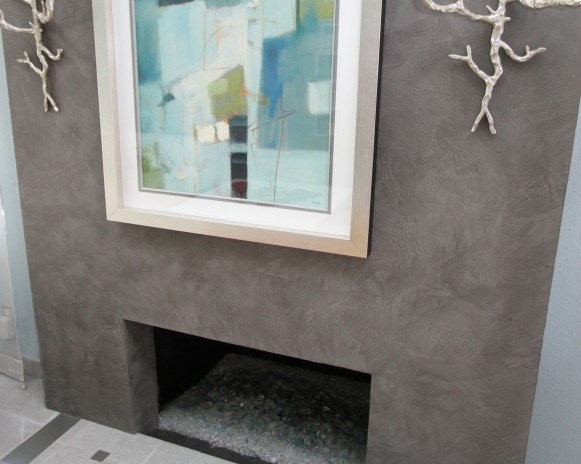 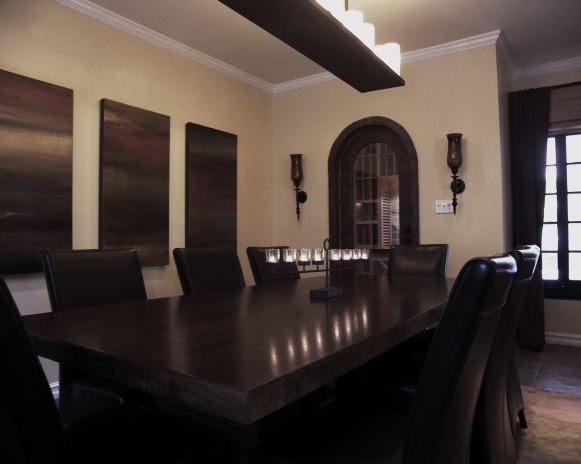 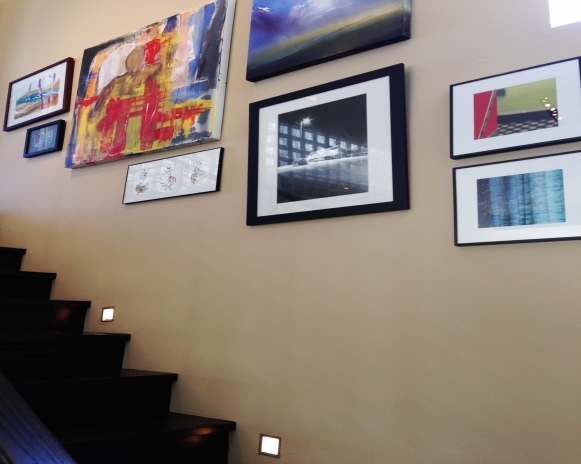 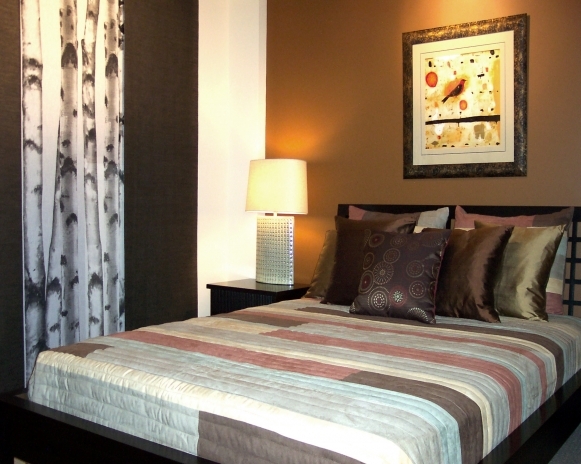 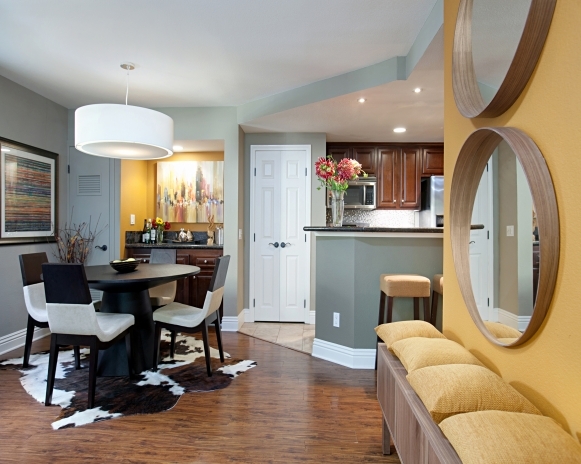 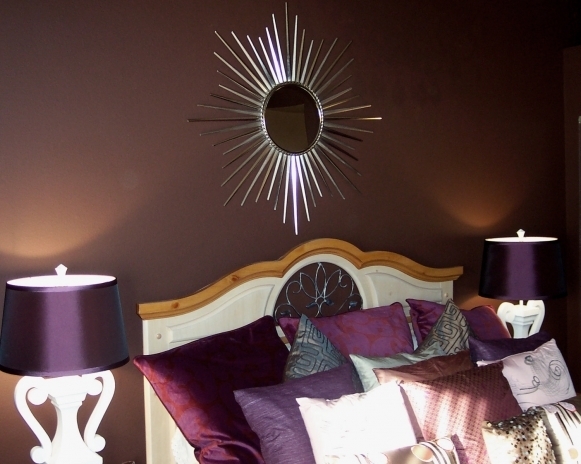 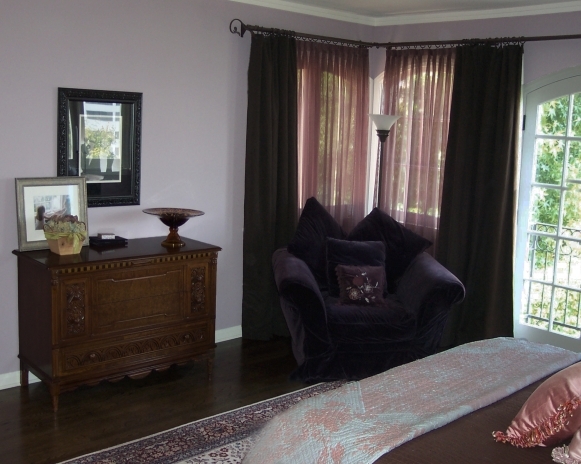 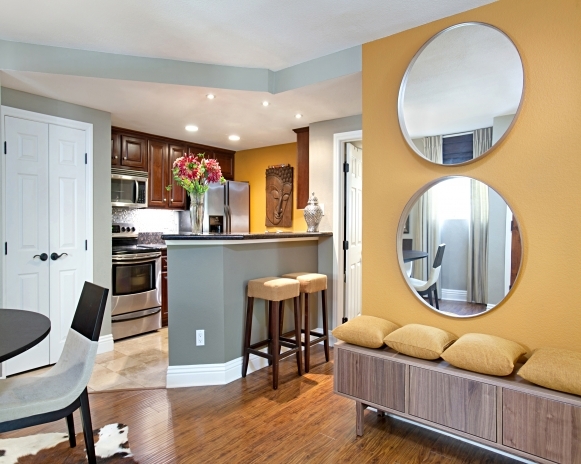 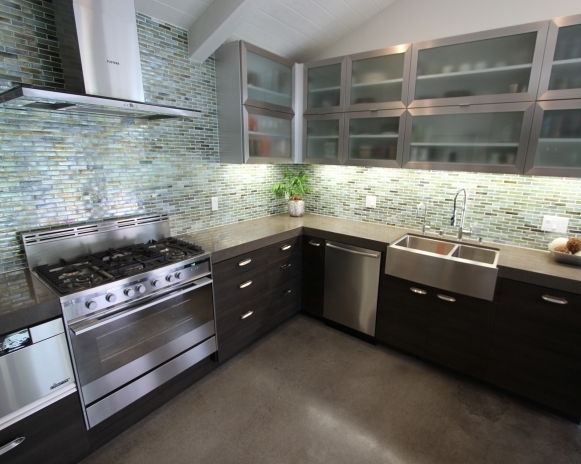 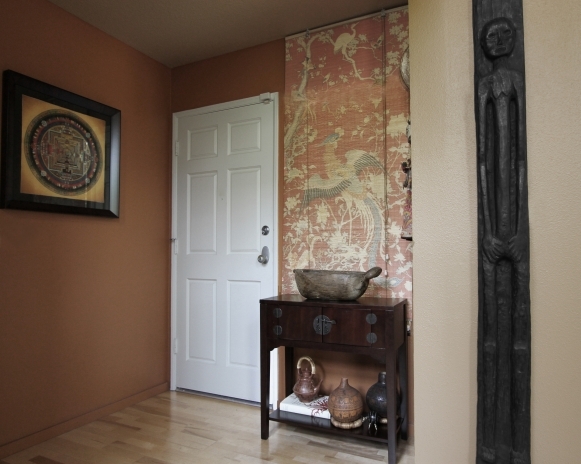 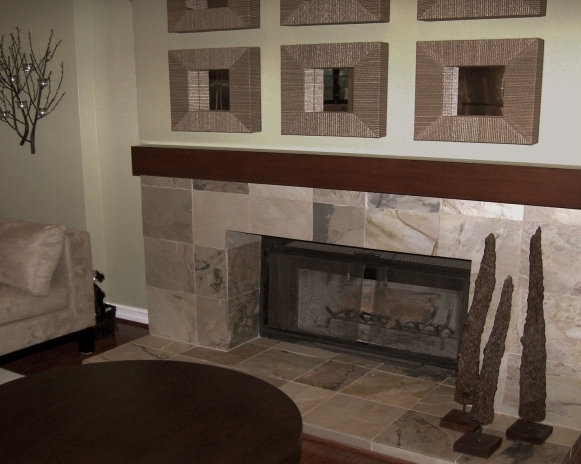 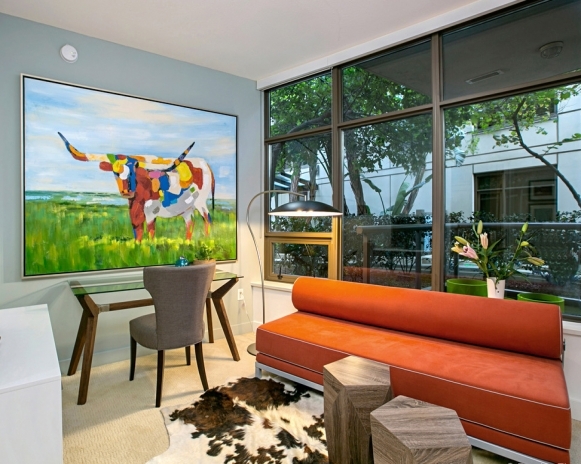 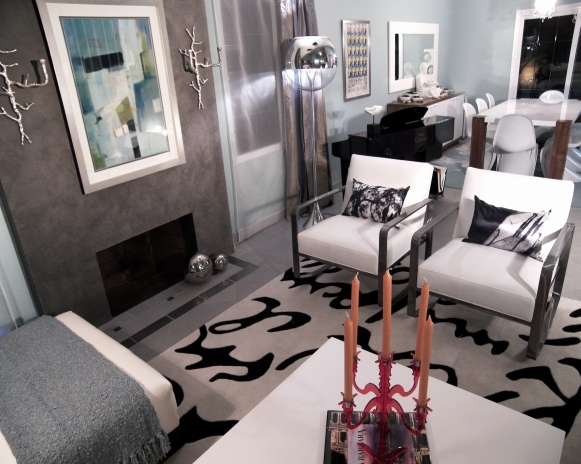 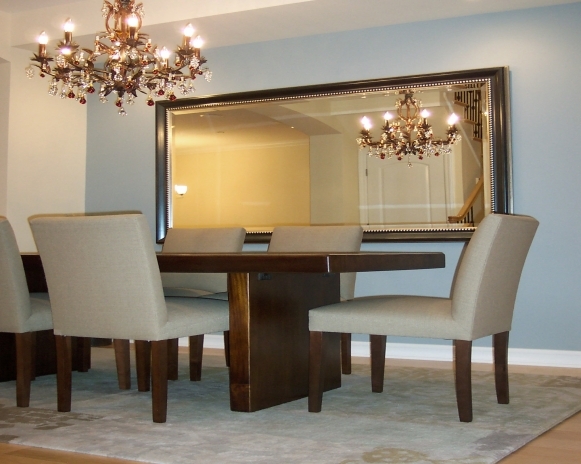 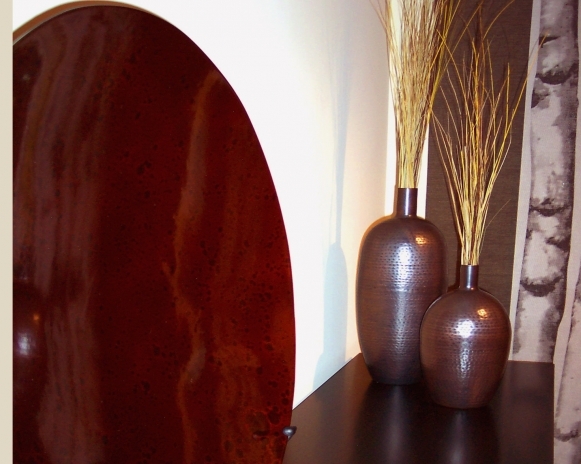 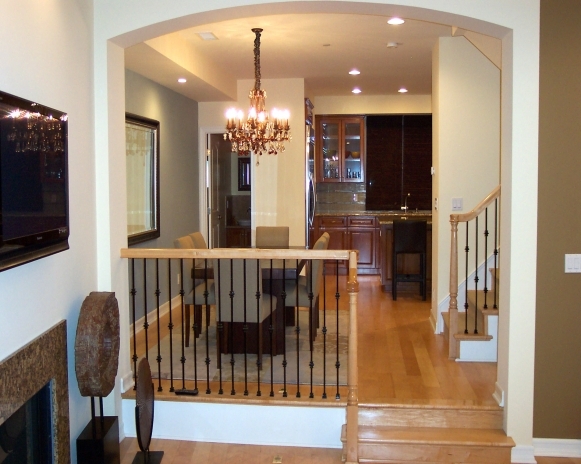 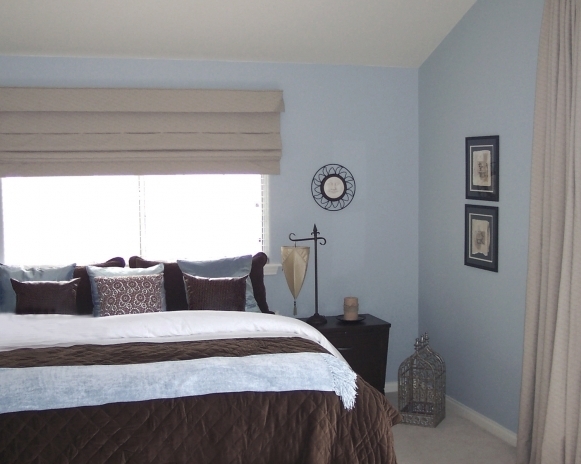 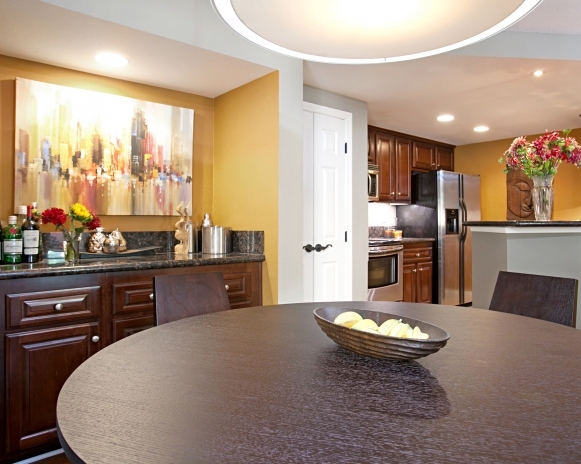 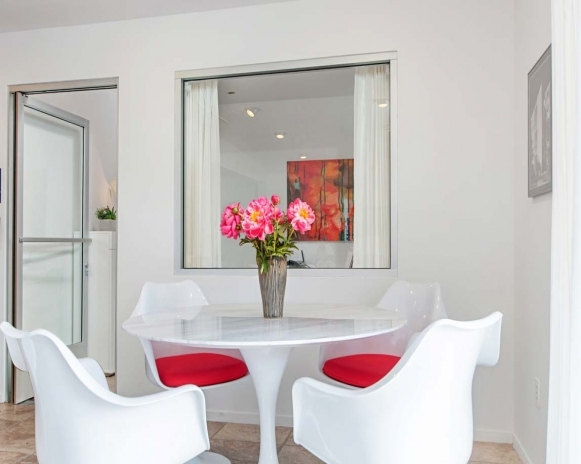 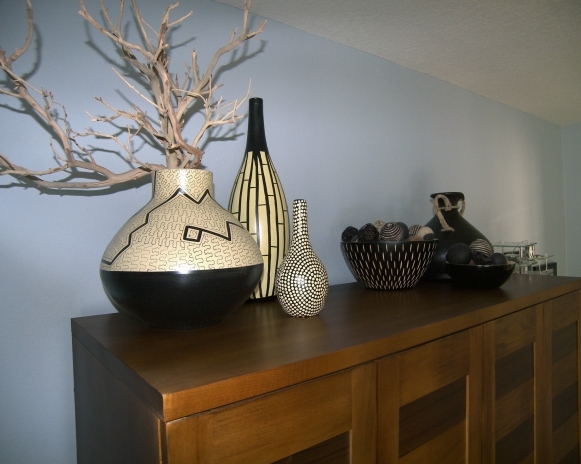 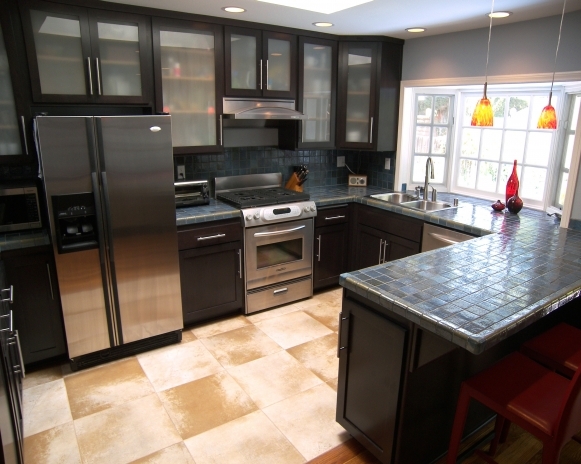 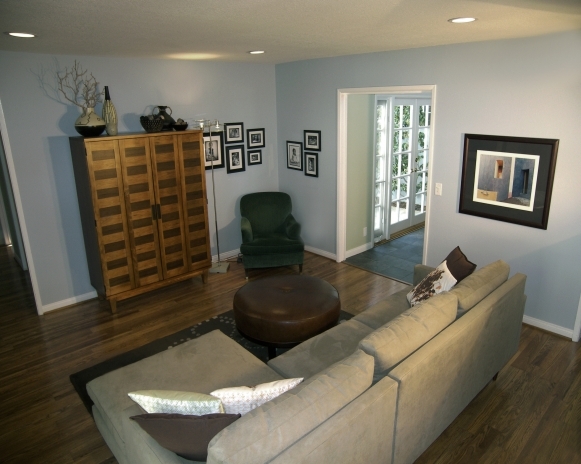 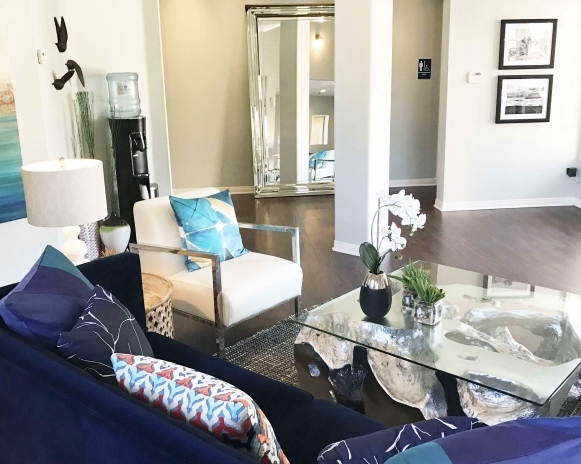 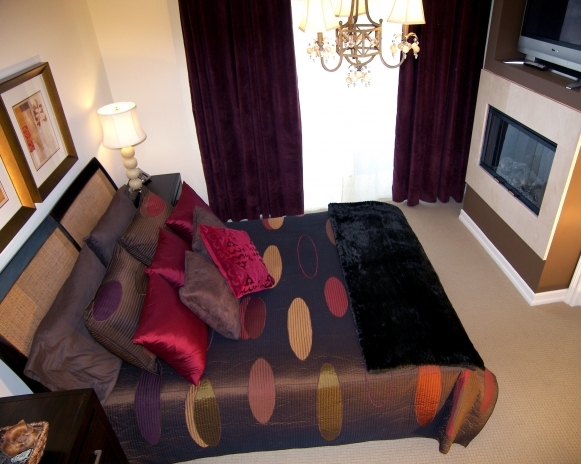 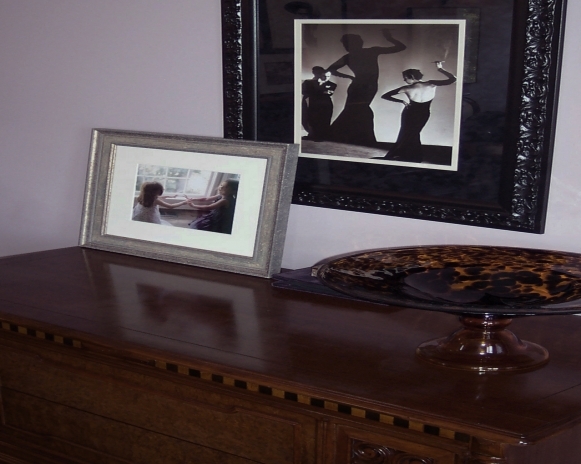 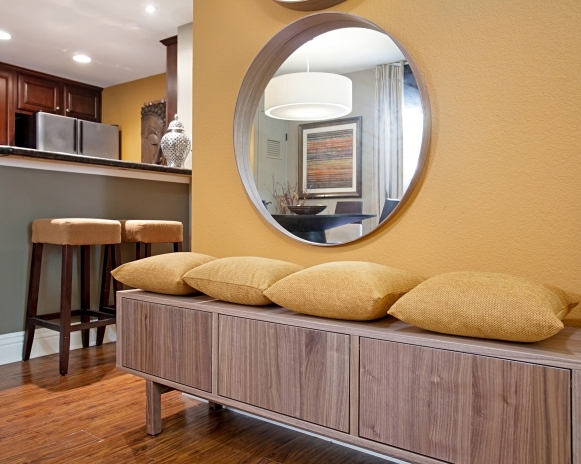 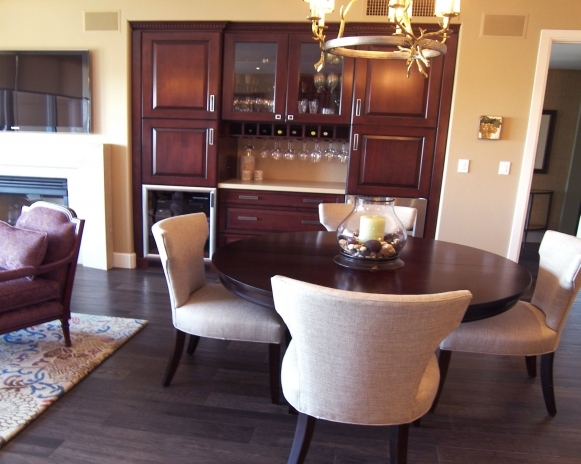 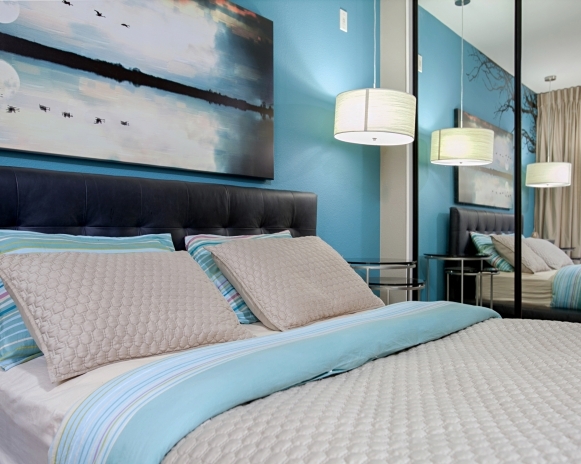 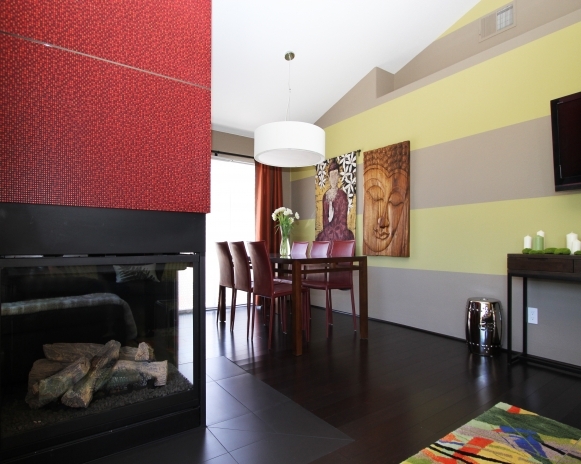 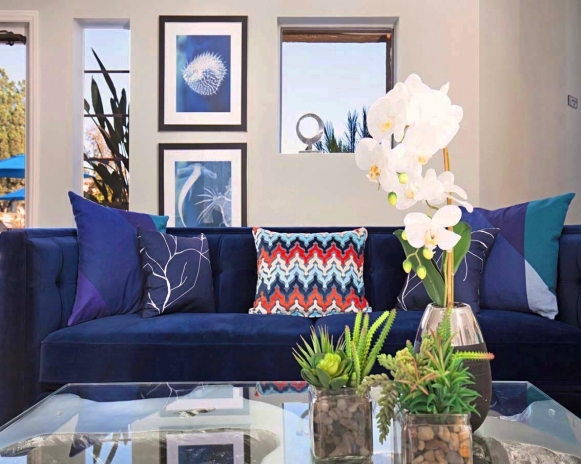 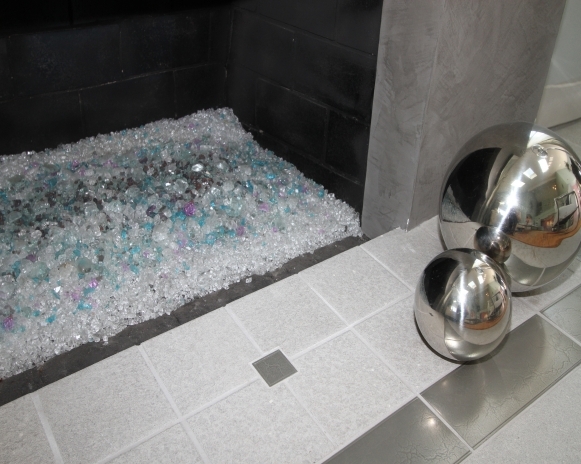 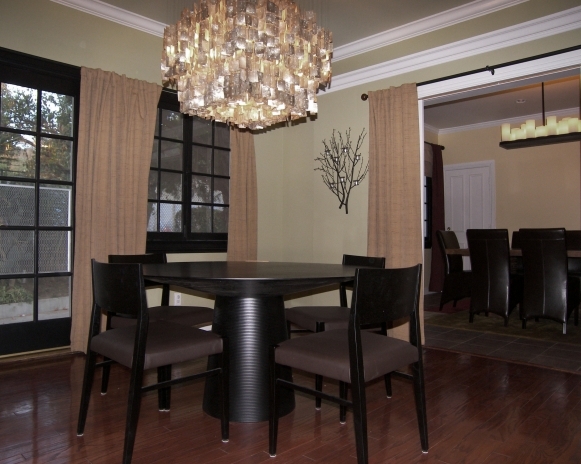 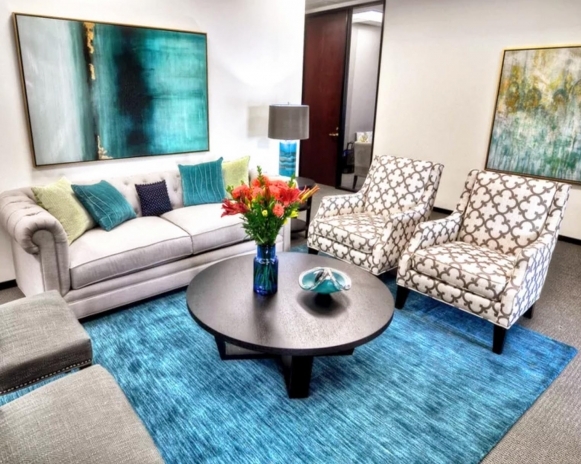 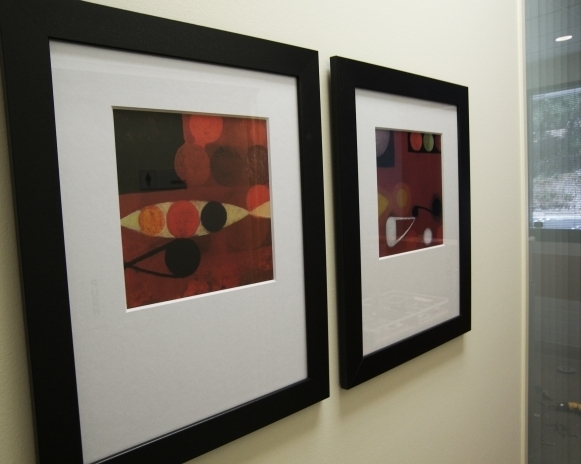 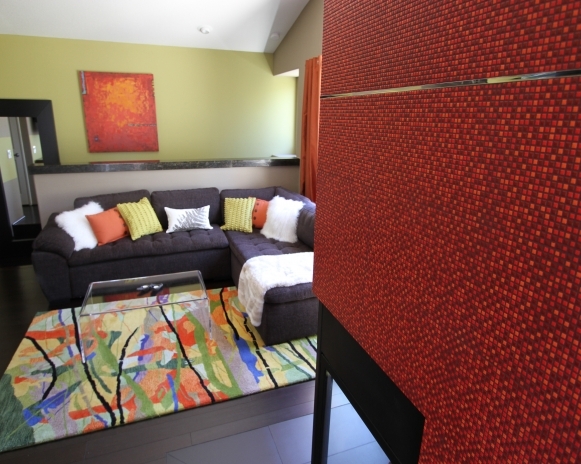 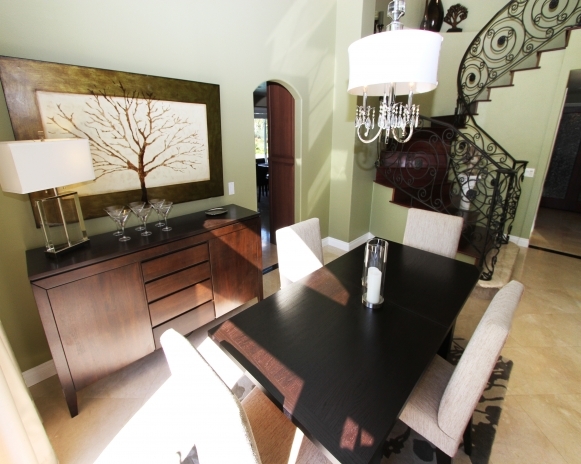 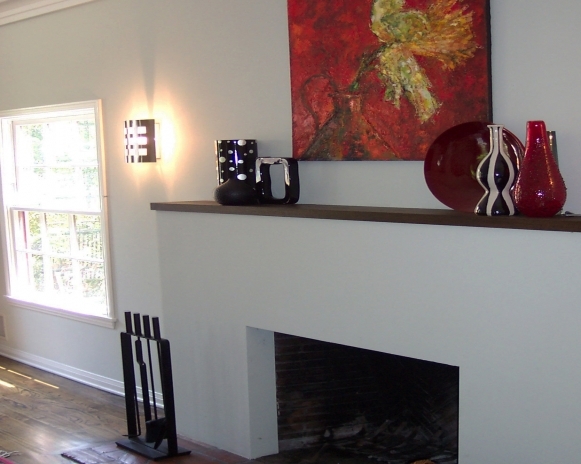 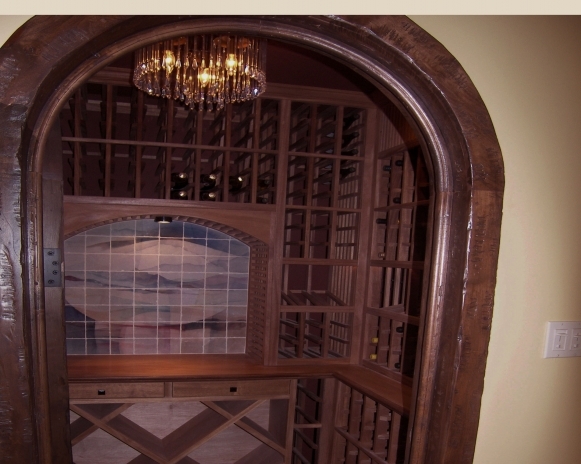 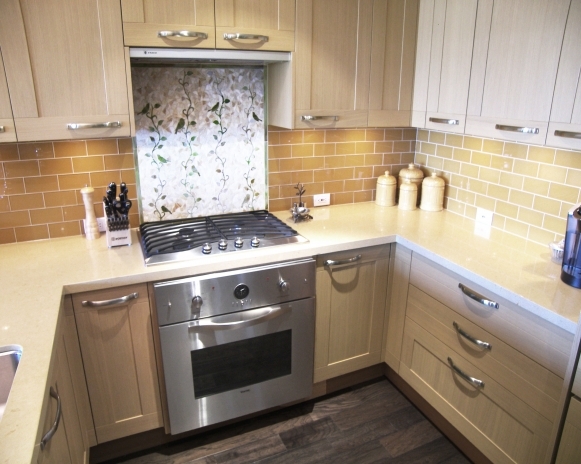 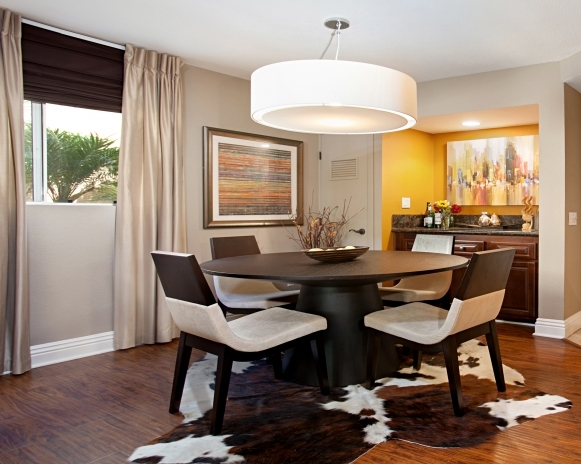 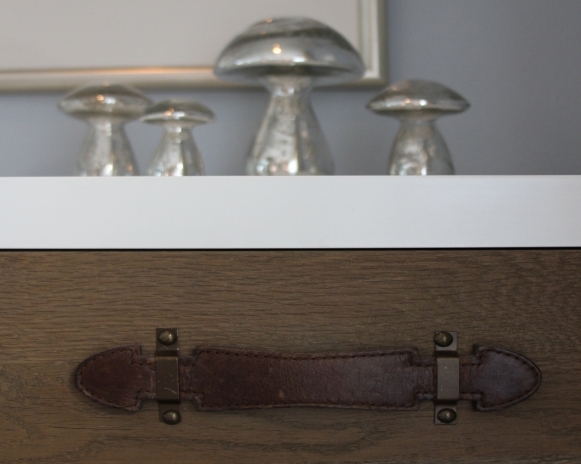 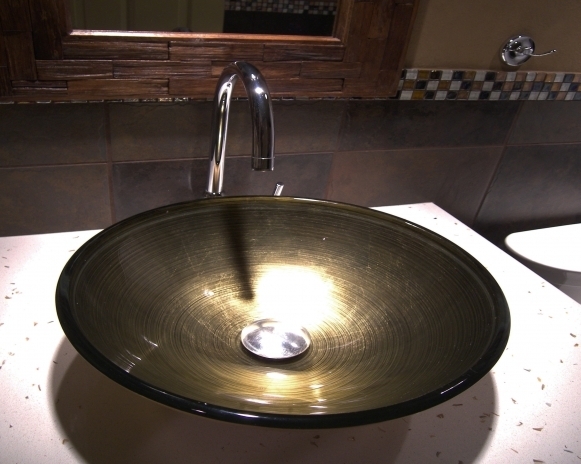 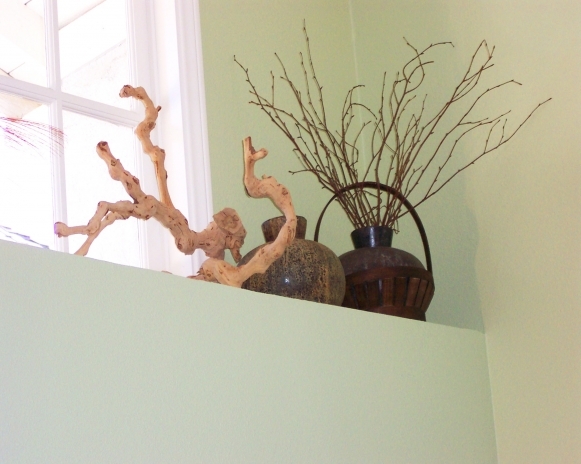 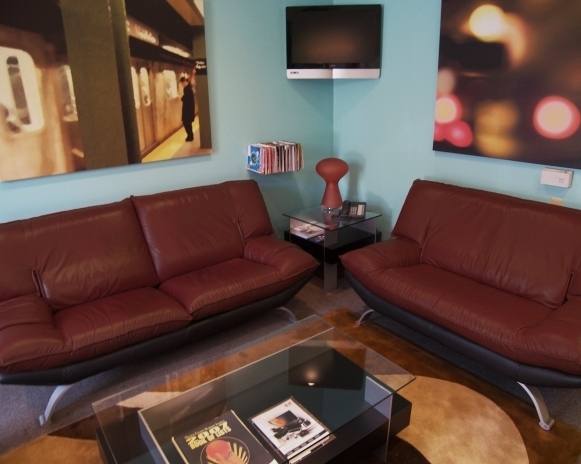 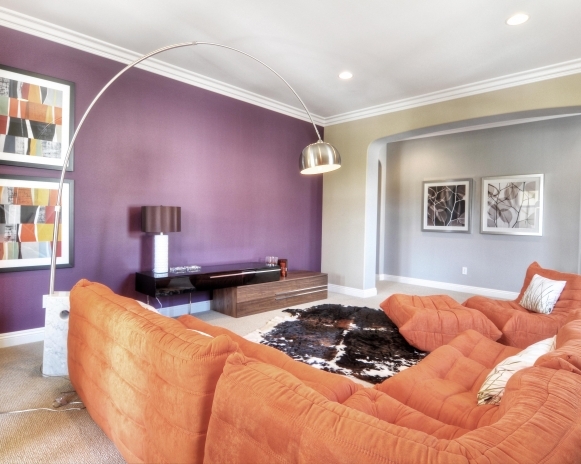 We went from bland to bold and vibrant, while maintaining a sophisticated contemporary atmosphere. 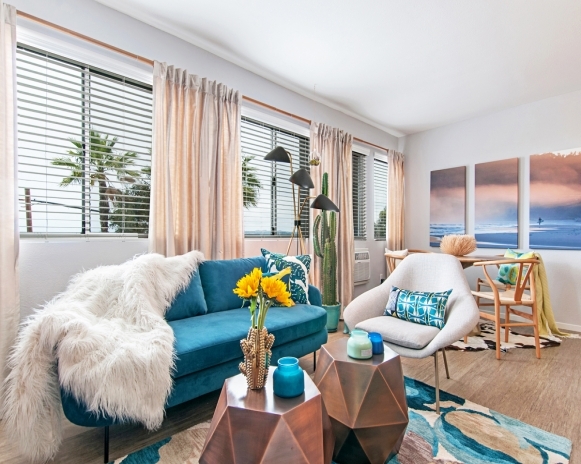 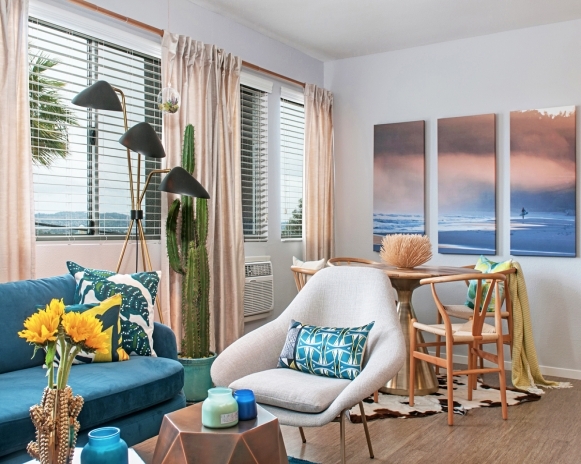 Model apartment with a contemporary beach theme. 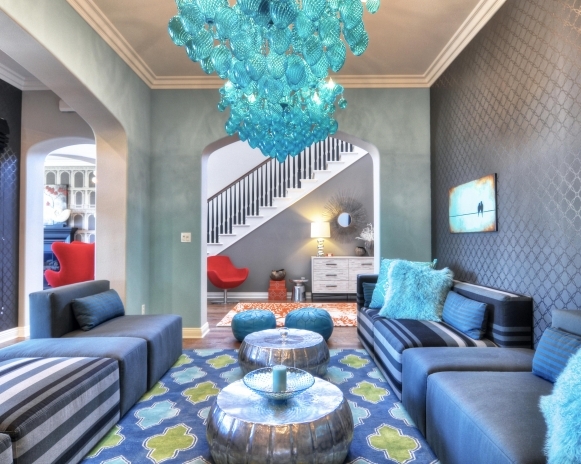 A maritime atmosphere has been created in this contemporary lobby space. 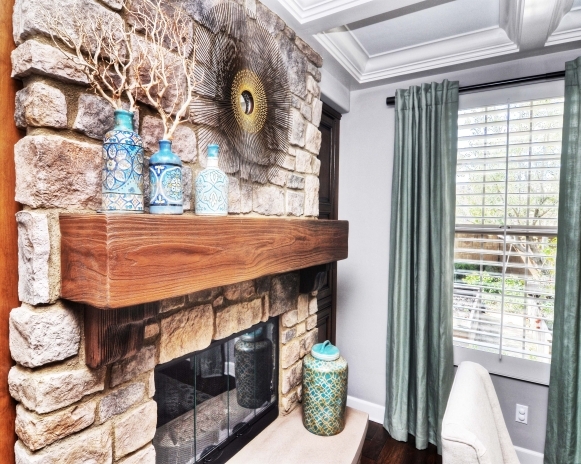 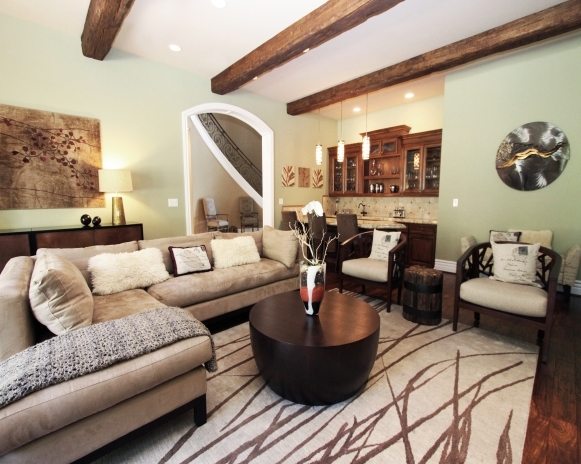 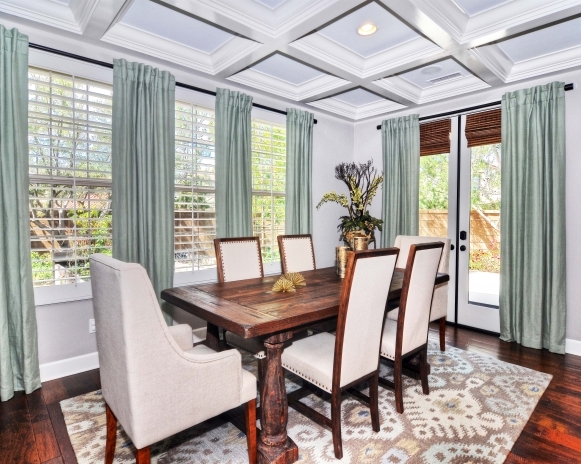 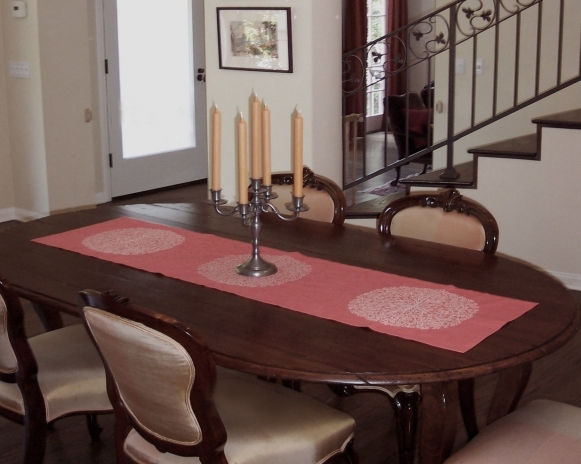 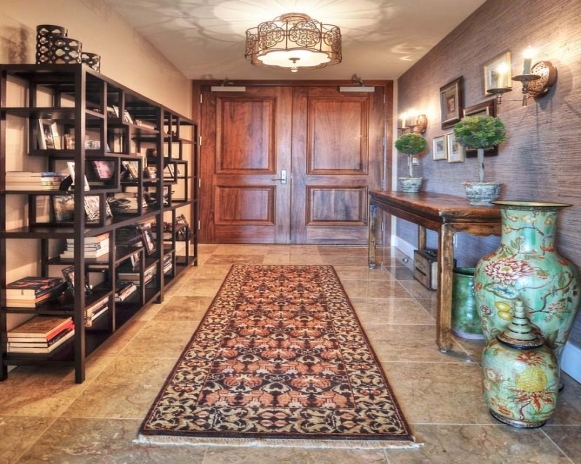 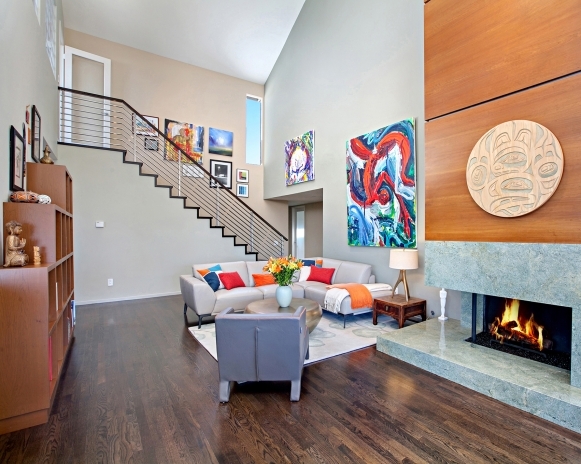 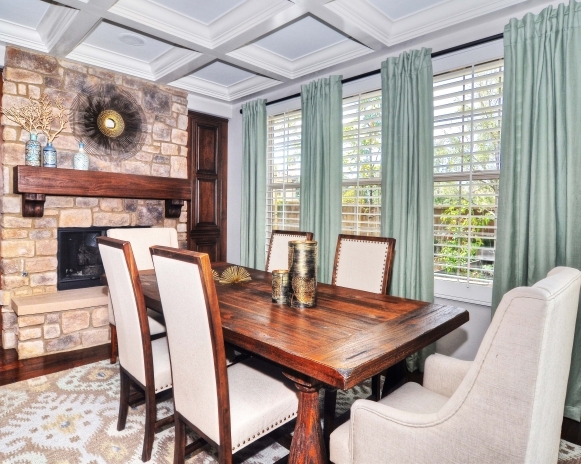 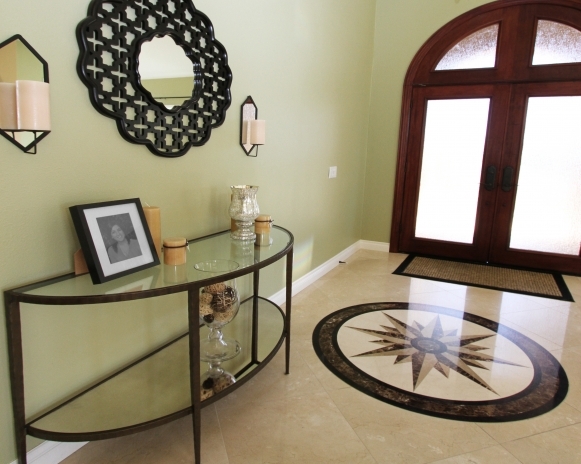 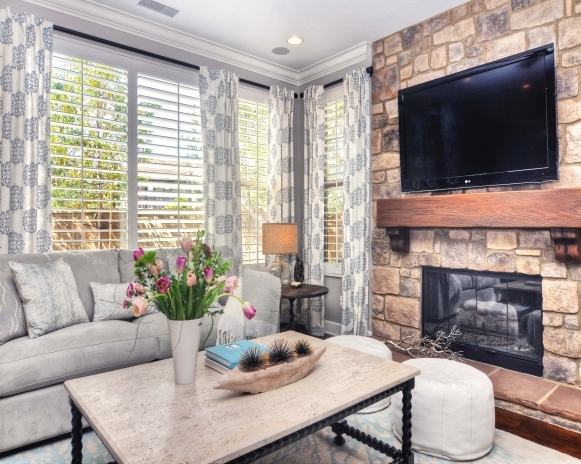 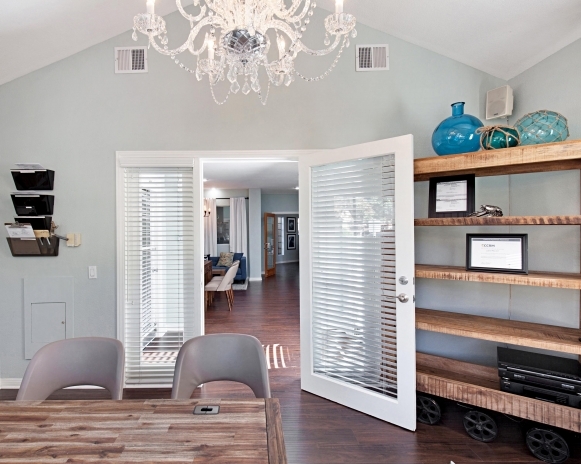 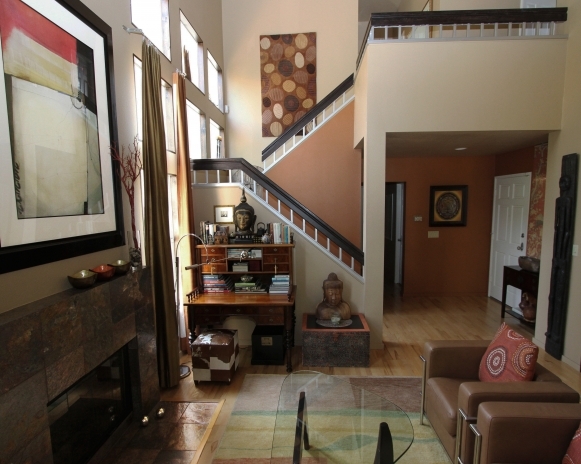 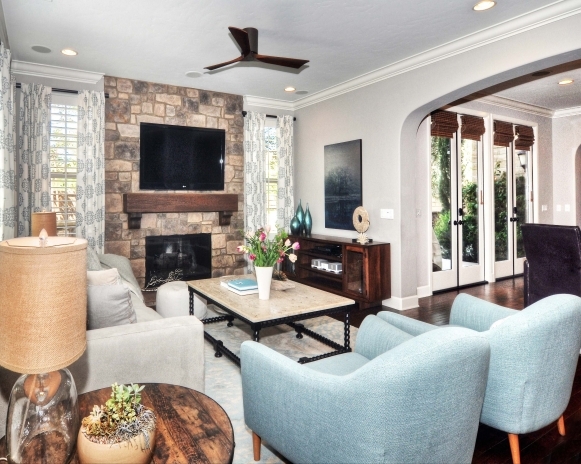 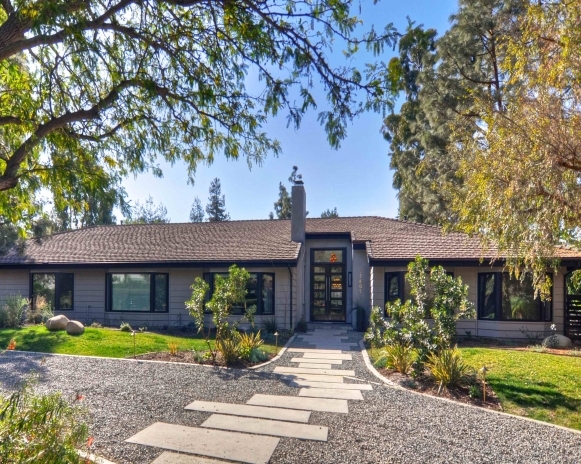 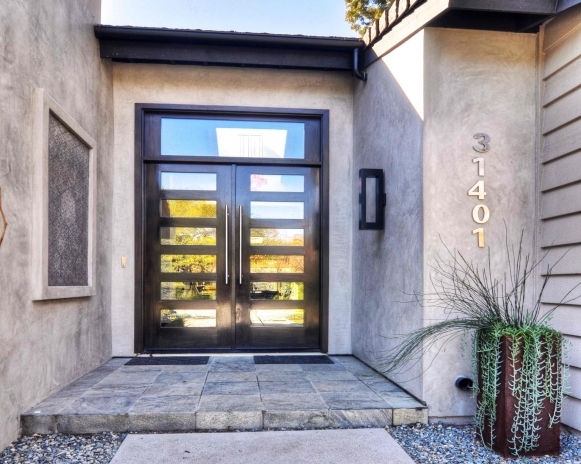 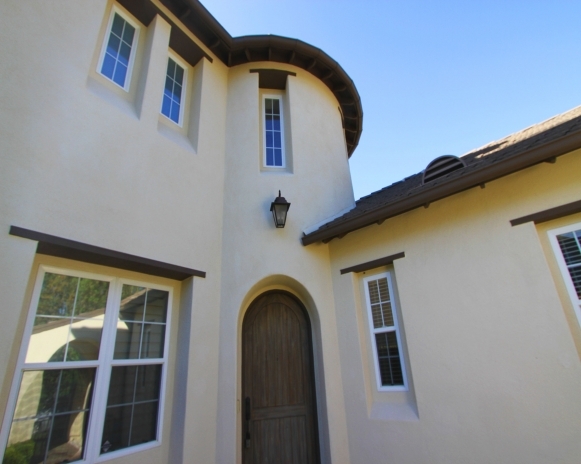 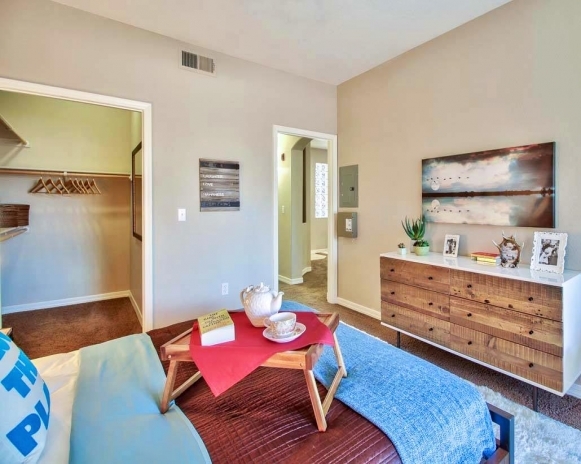 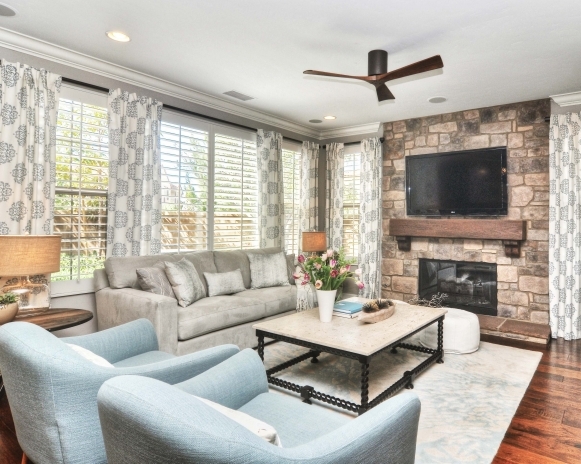 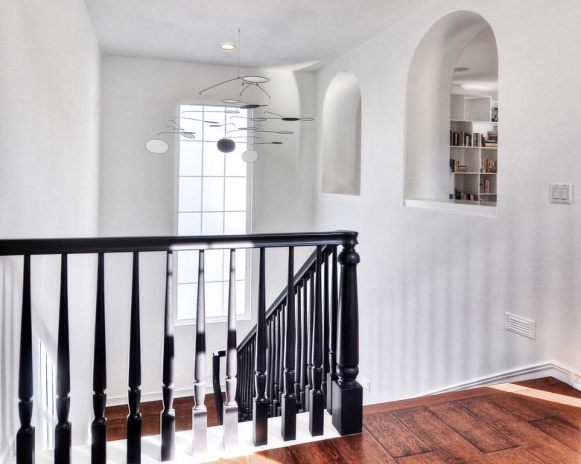 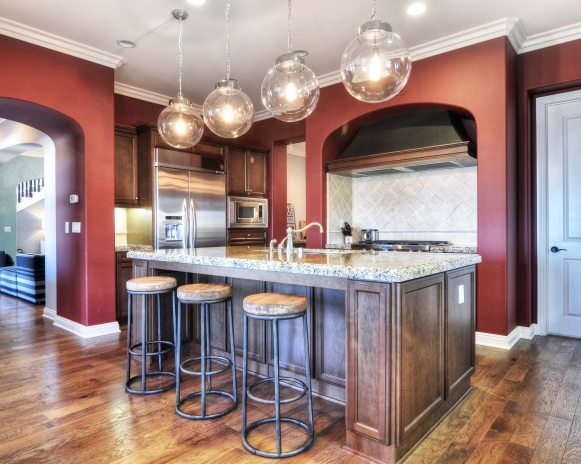 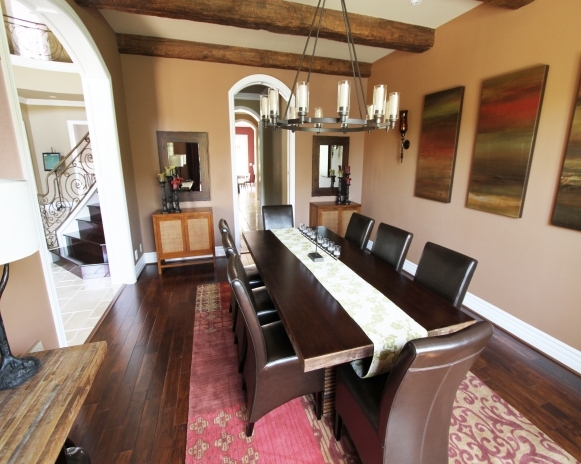 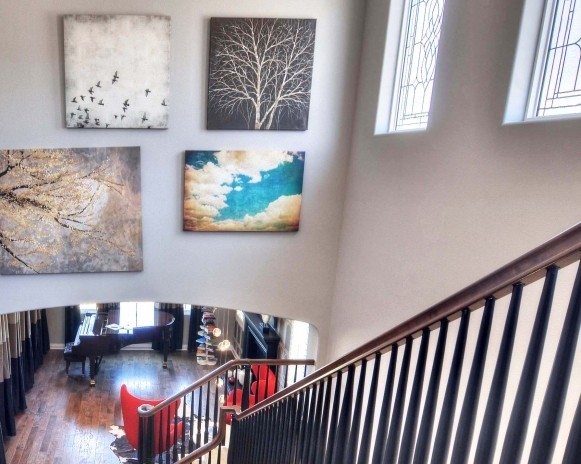 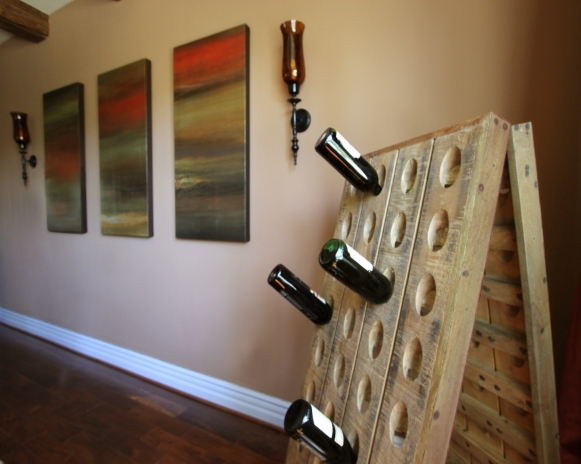 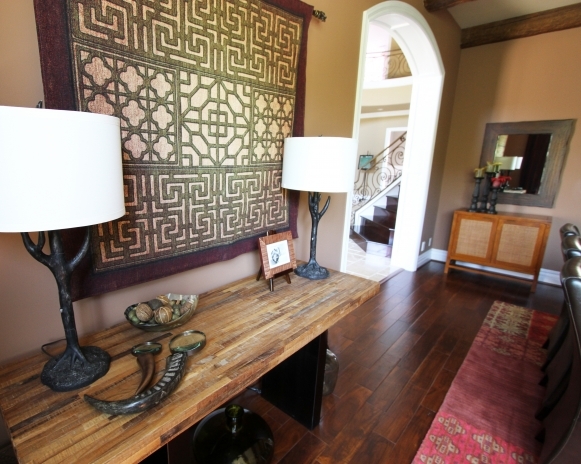 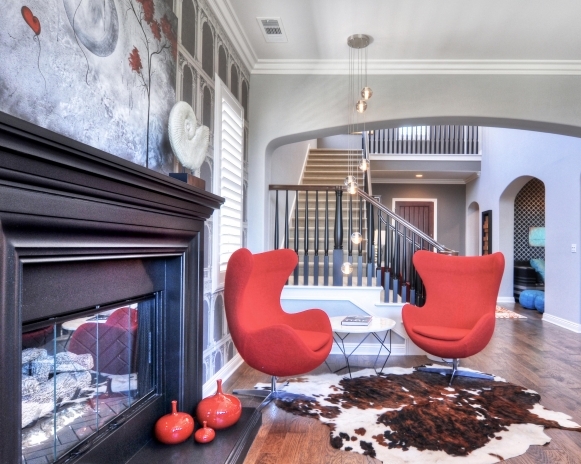 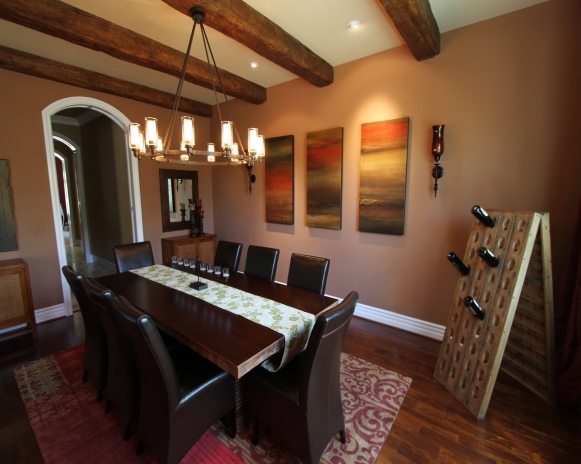 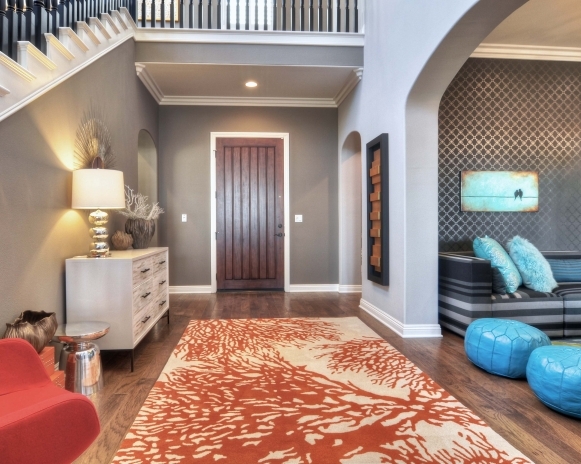 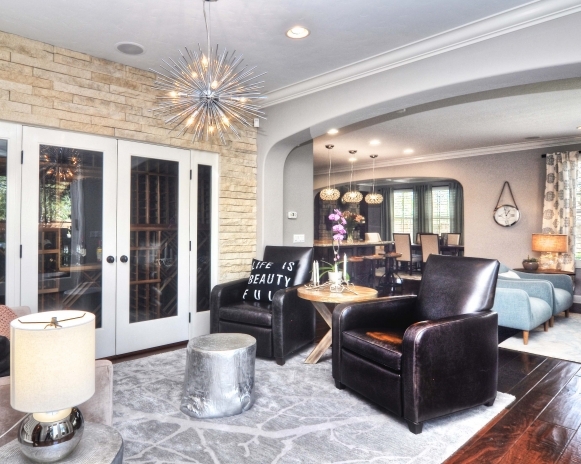 Casual elegance with rustic elements are features of this newer home with an open floor plan. 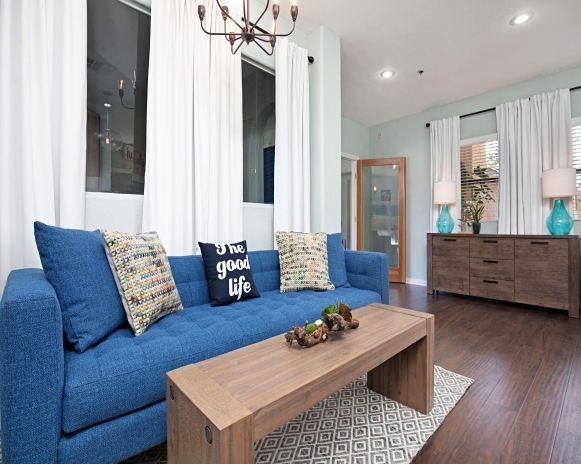 It was designed for a young family looking for a stylish yet comfortable and inviting space for family life and gatherings. 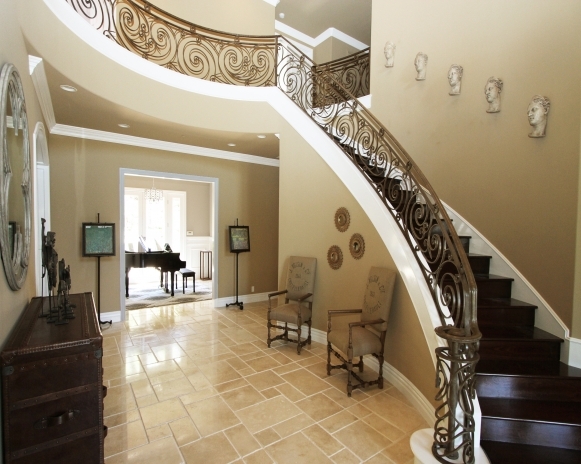 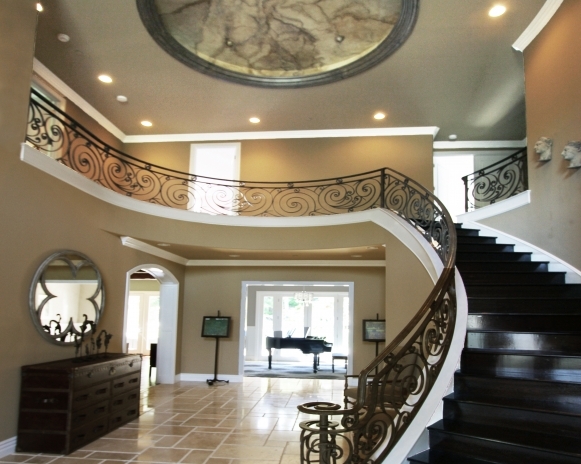 Underlying the grand architecture of this 8000 sqf dwelling in Calabasas, CA, we infused glamour, elegance and spirit, while keeping it comfortable, warm and livable. 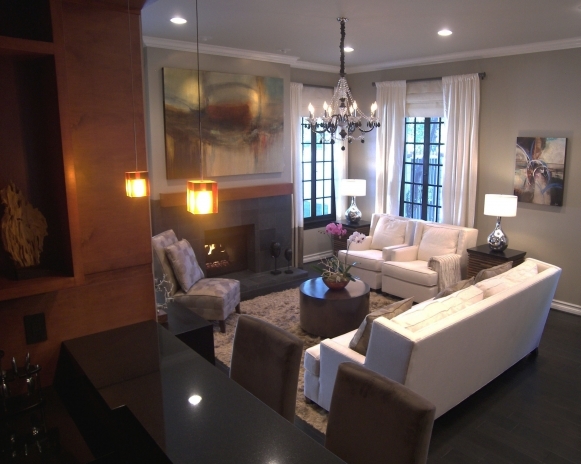 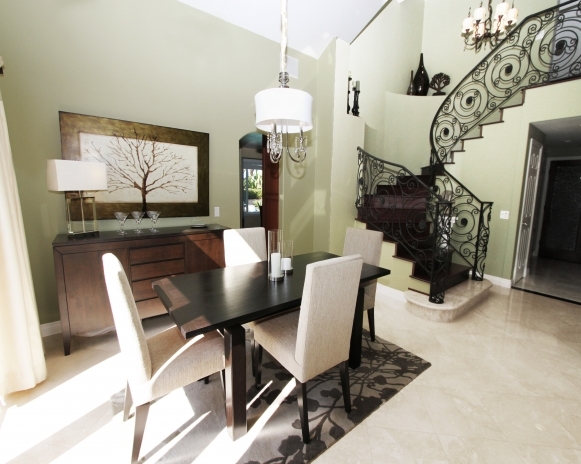 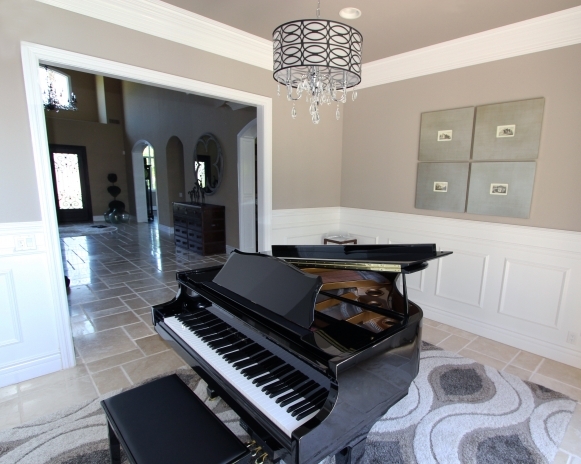 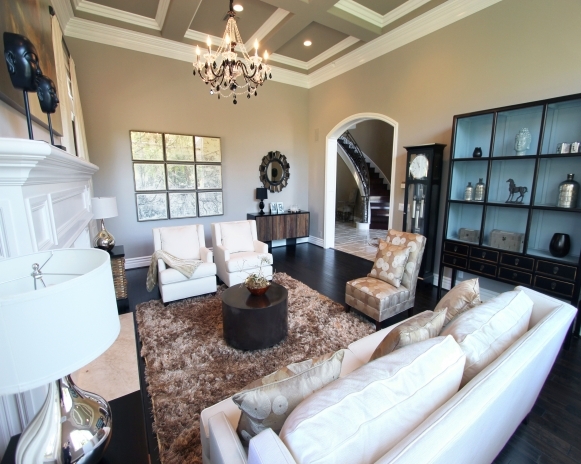 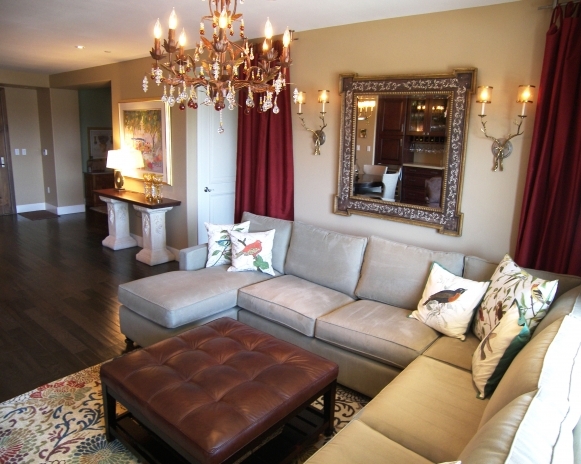 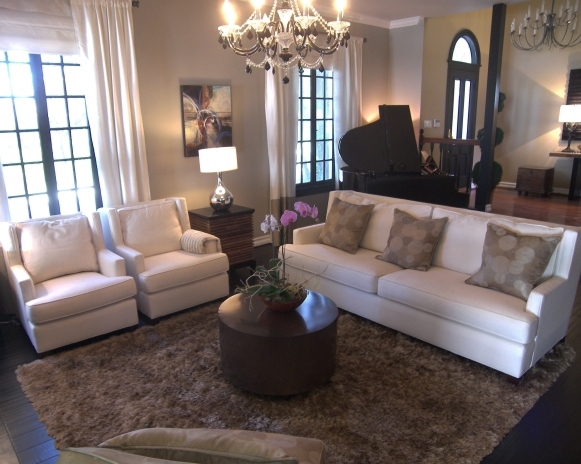 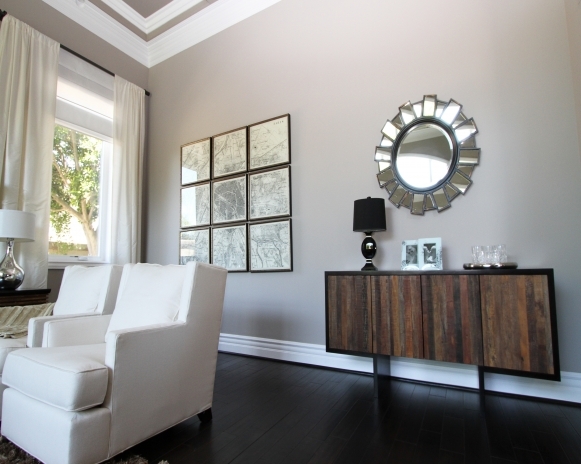 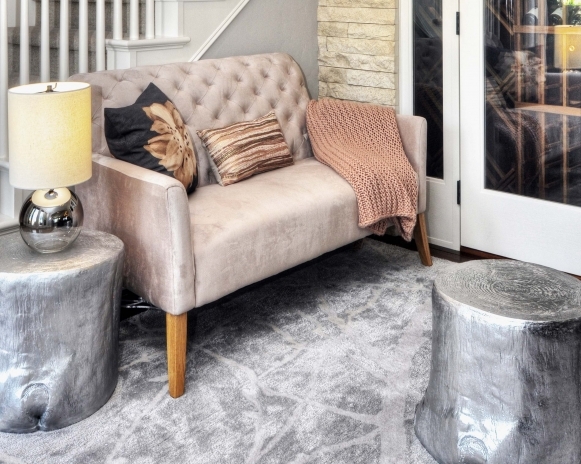 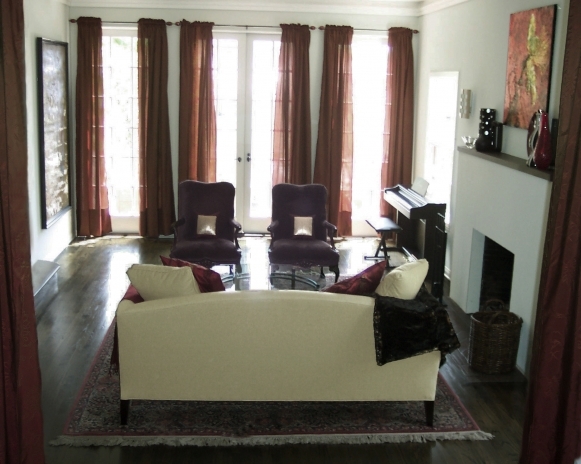 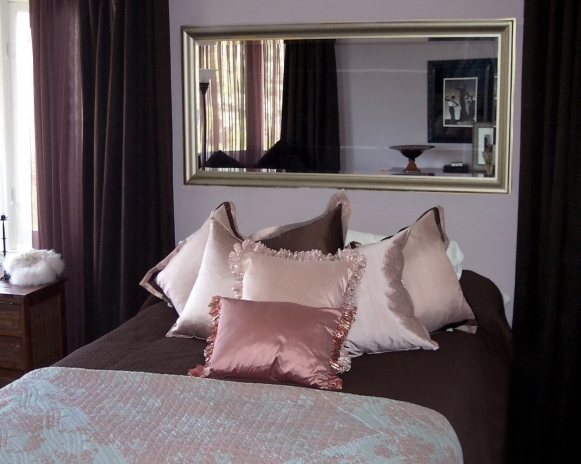 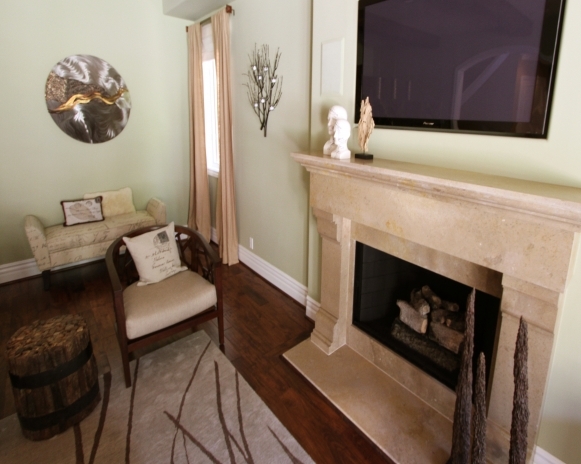 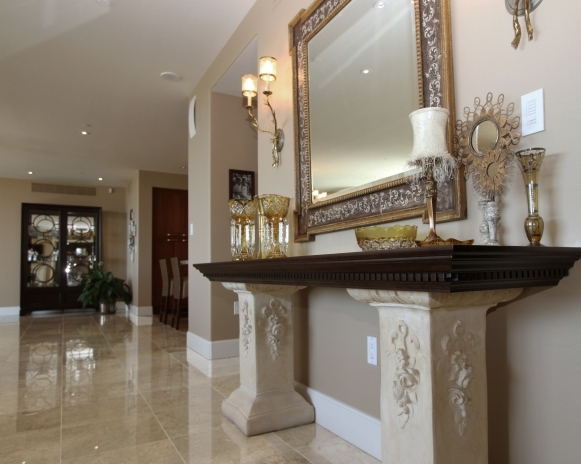 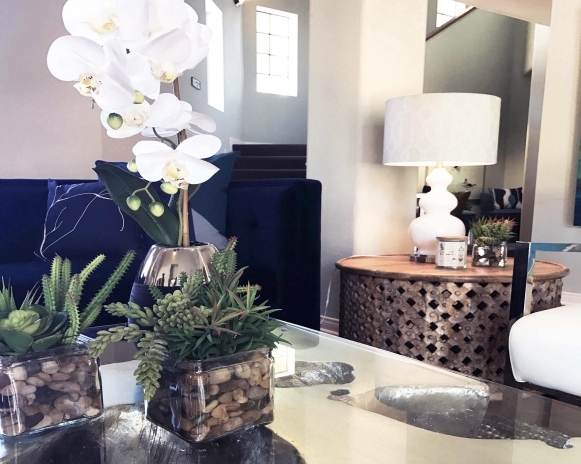 Sophisticated, simple, yet invitingly luxurious - this home was designed to radiate casual elegance. 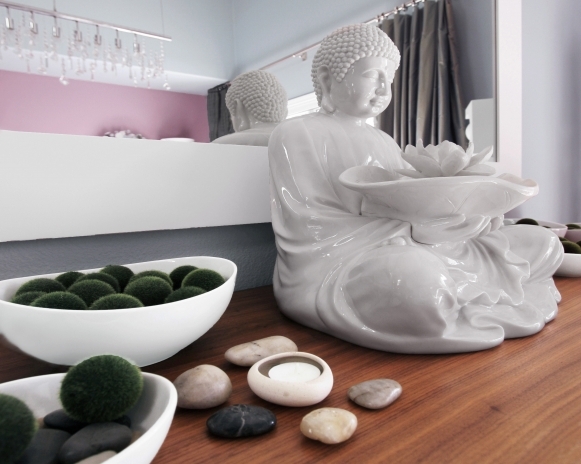 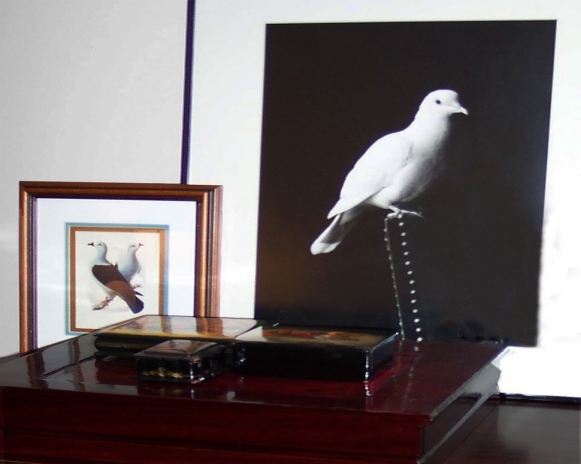 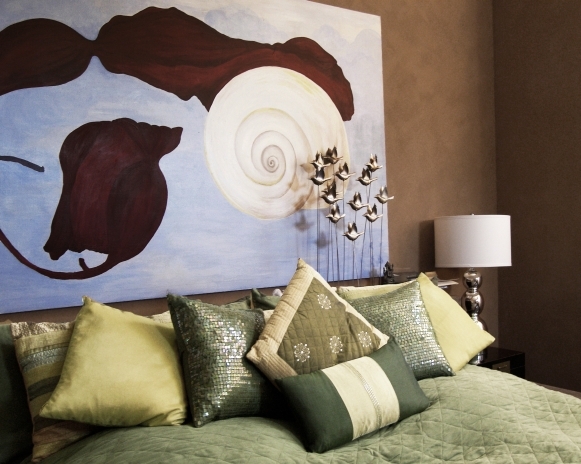 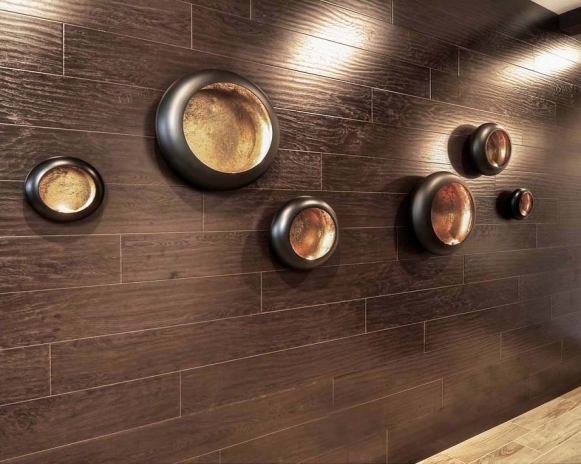 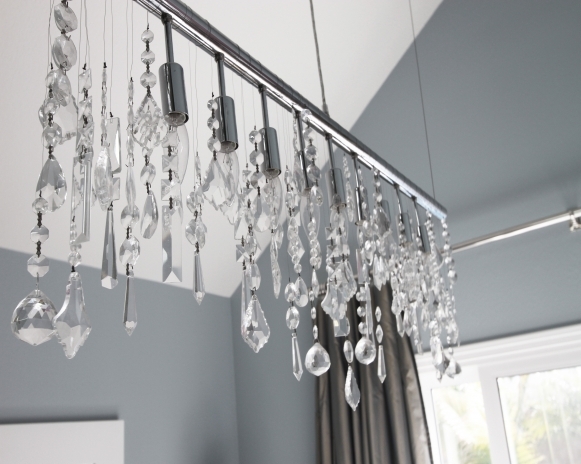 An elegant space that is simultaneously stimulating and calming. 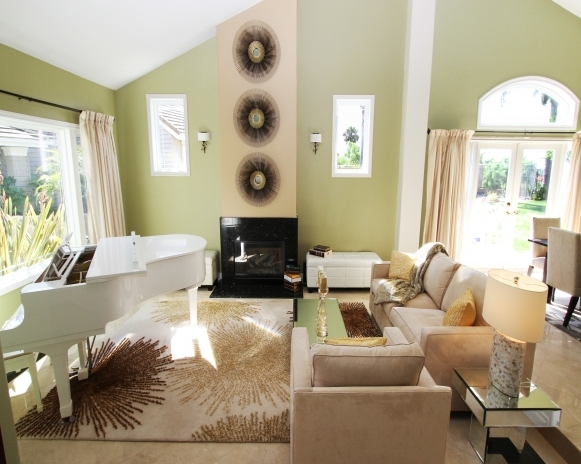 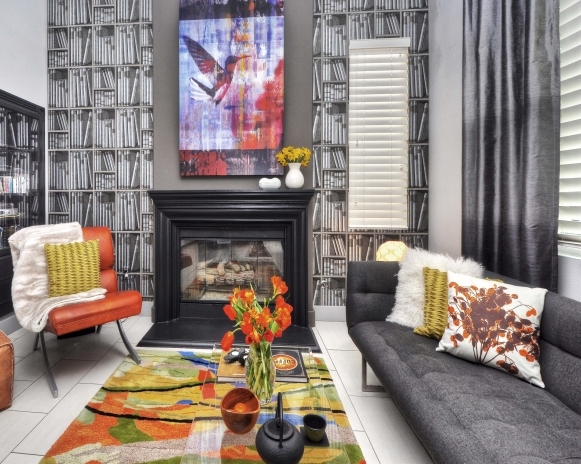 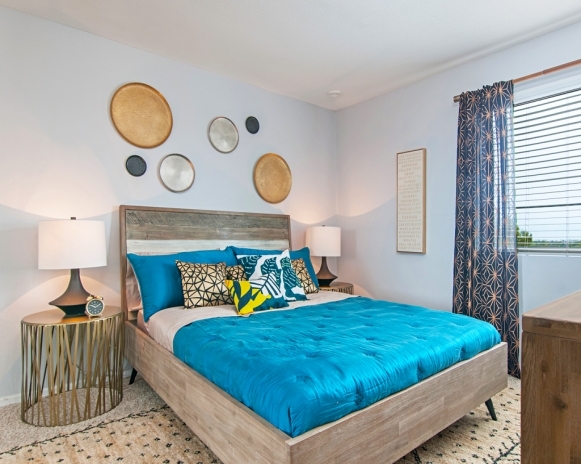 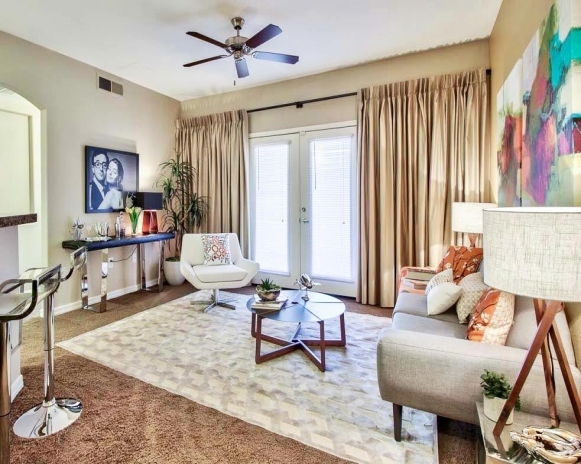 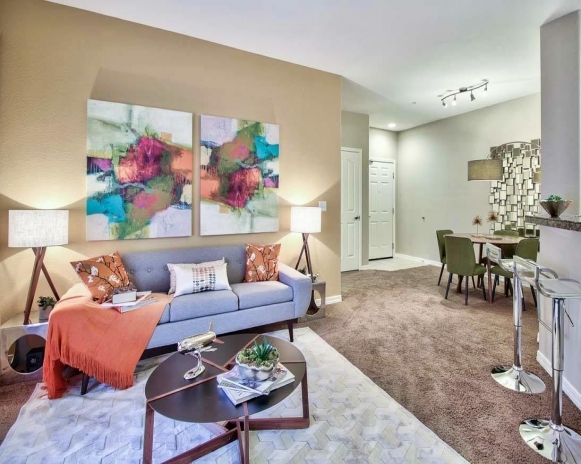 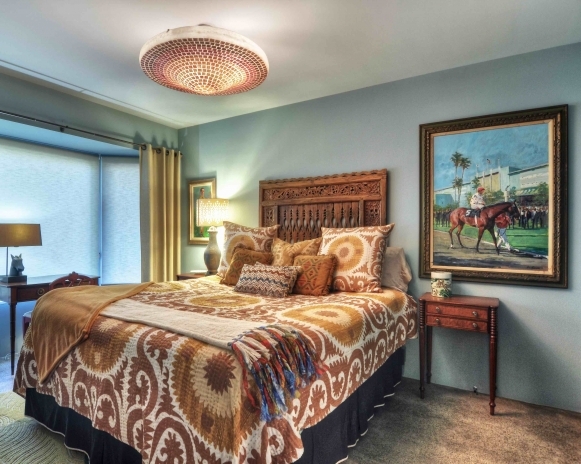 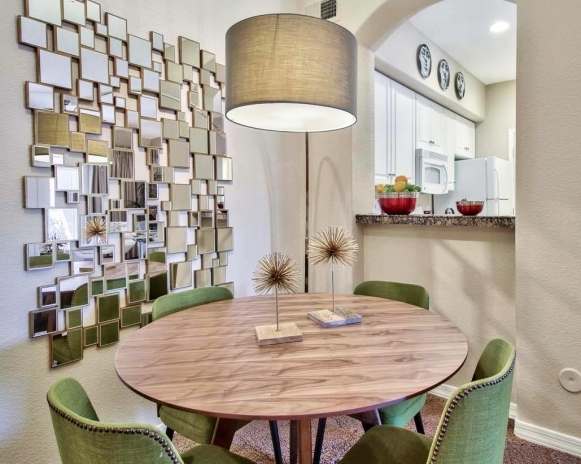 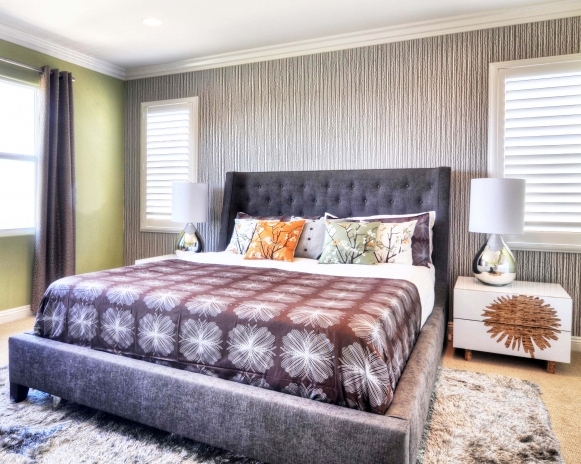 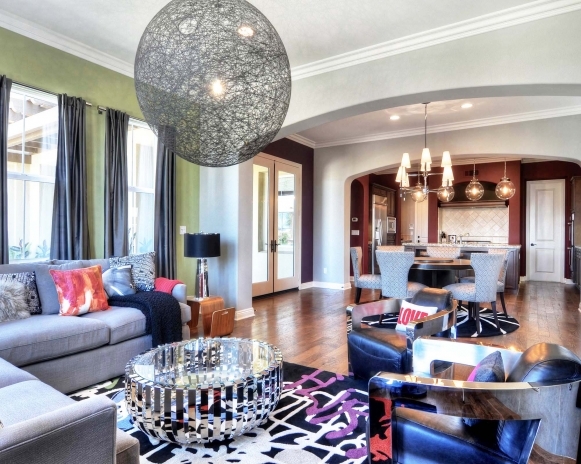 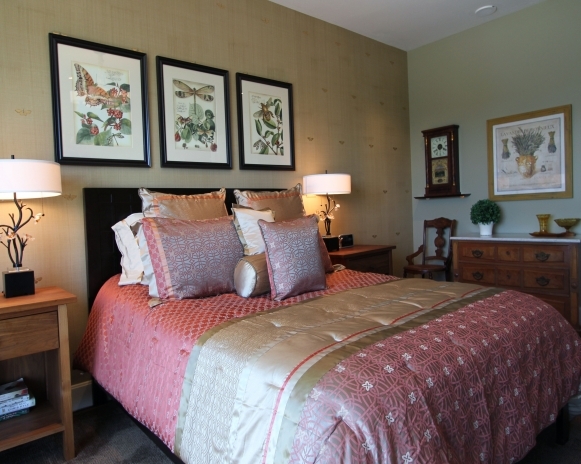 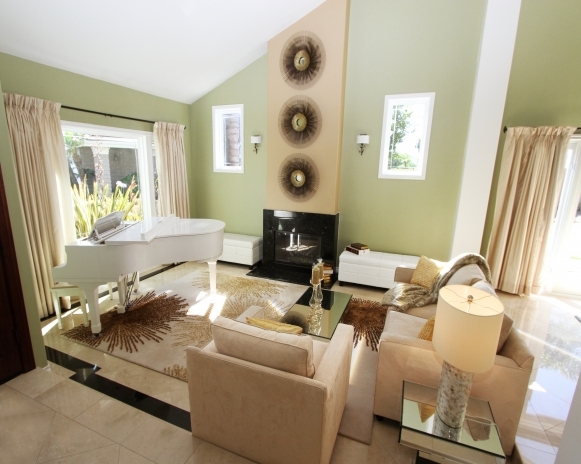 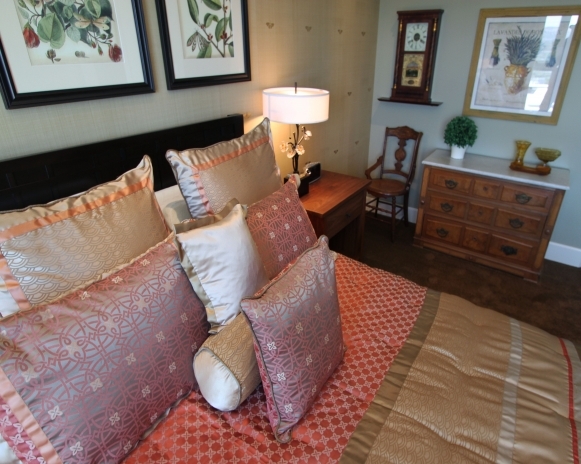 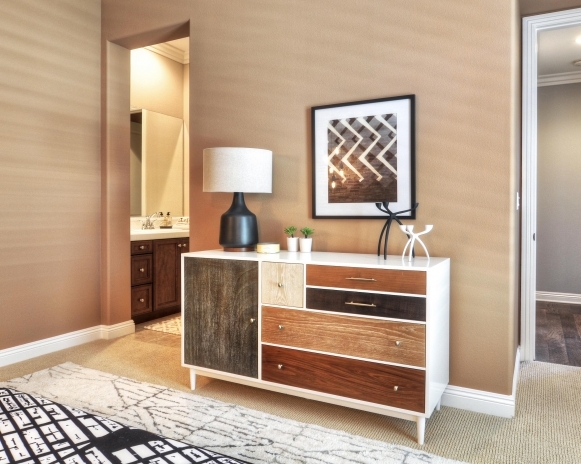 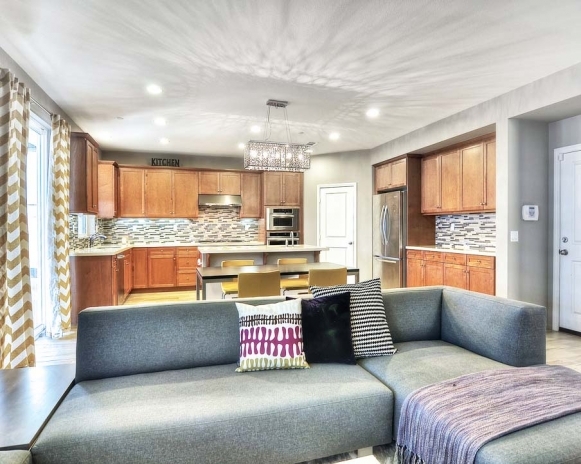 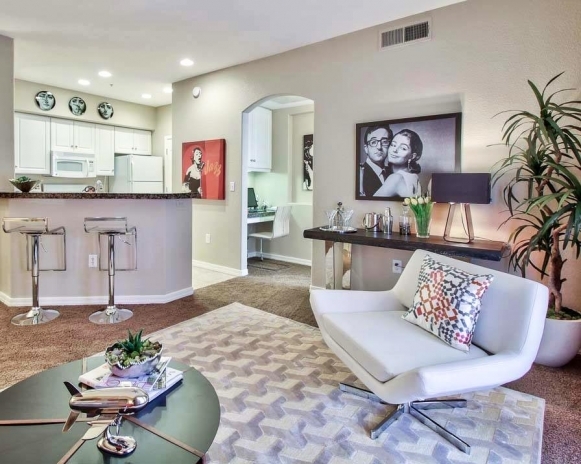 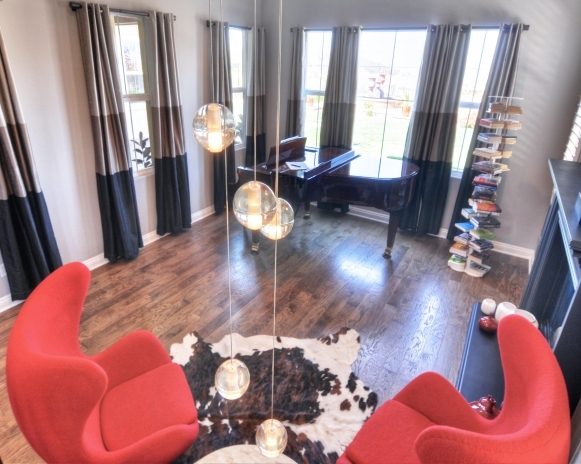 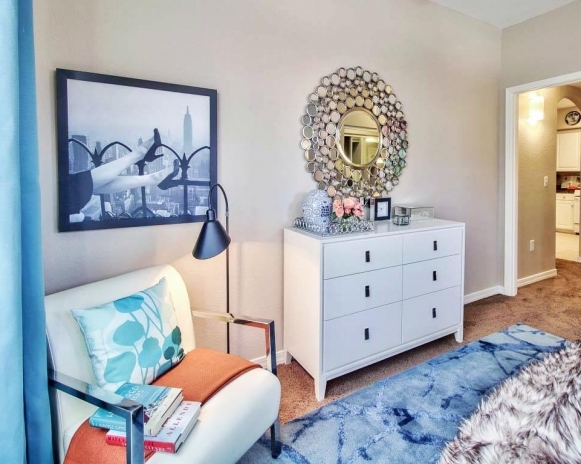 Model home design - theme is Retro Chic. 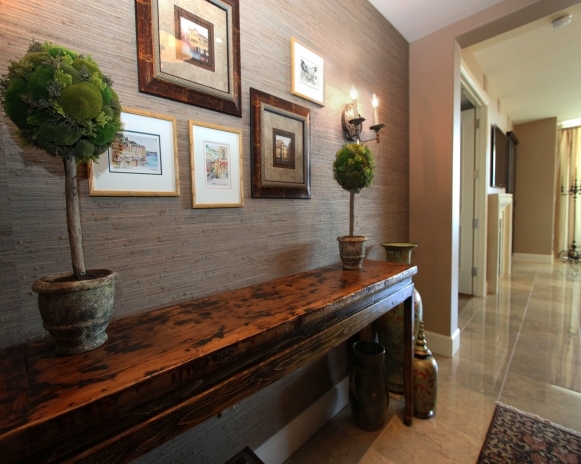 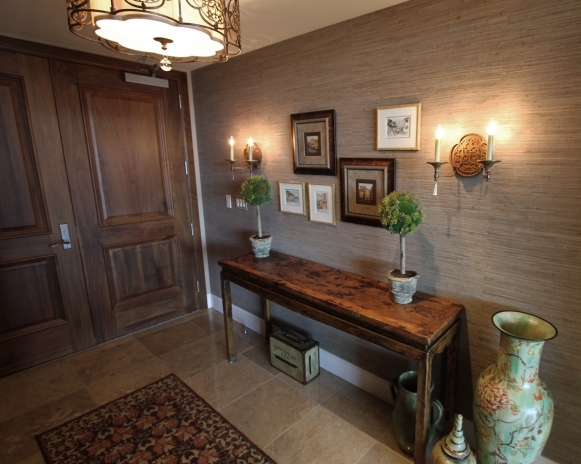 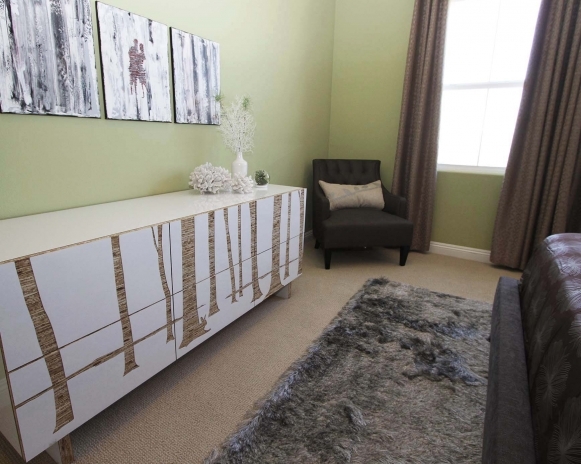 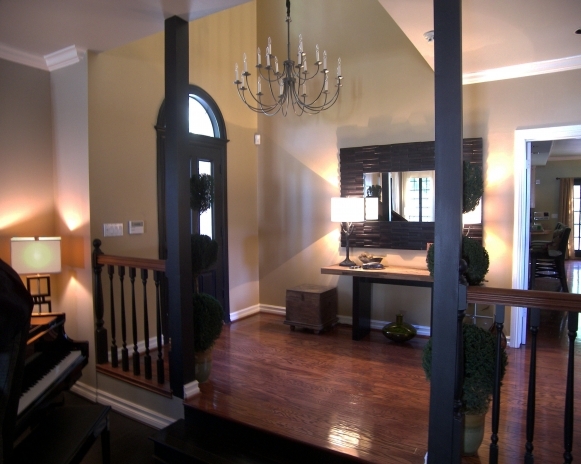 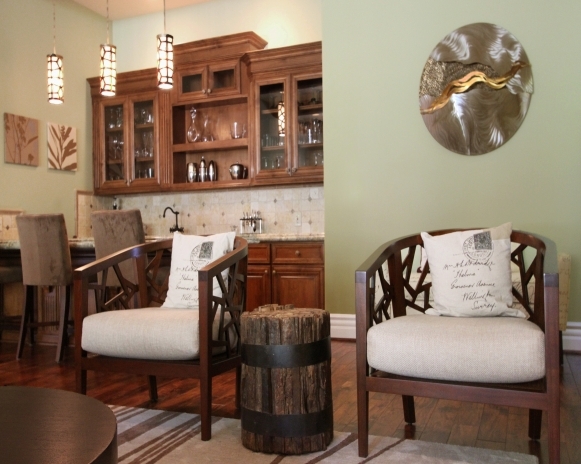 Model home design - theme is Modern Rustic. 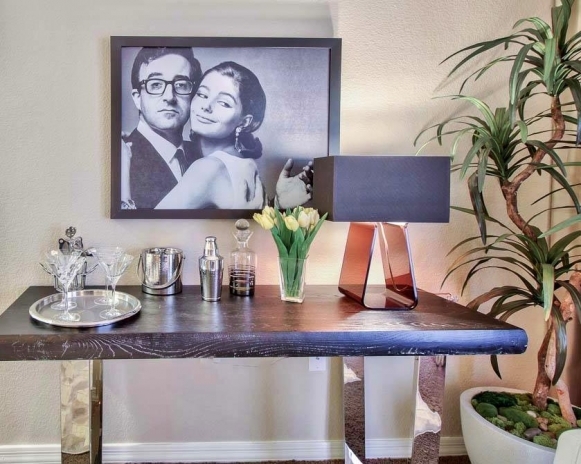 The apartment of a hip and young couple. 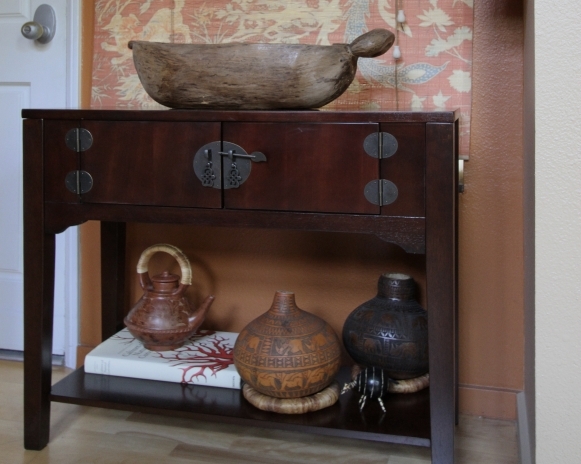 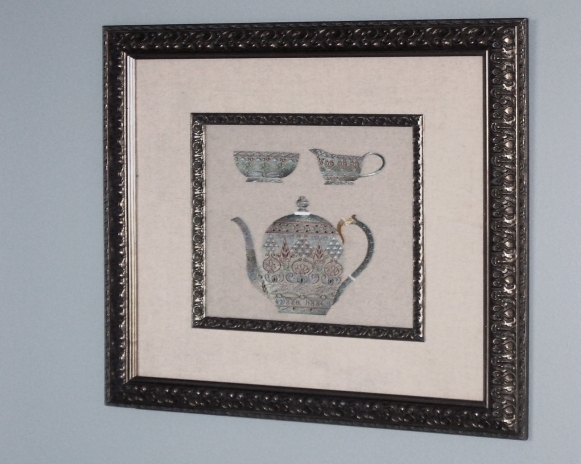 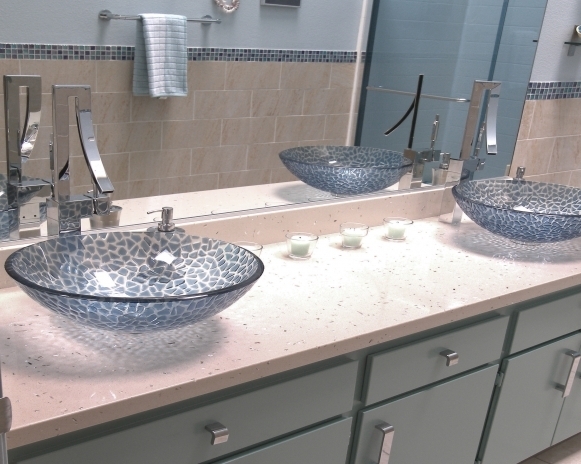 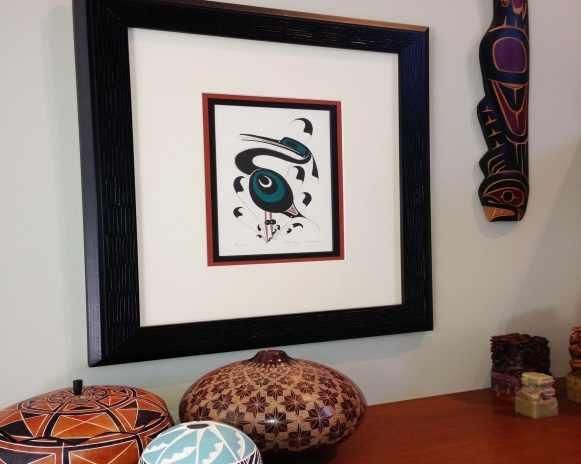 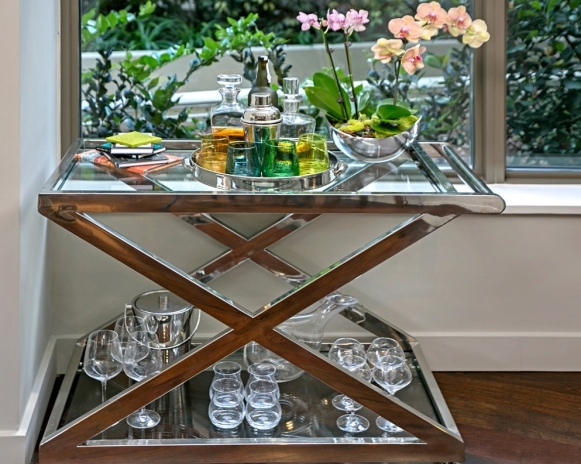 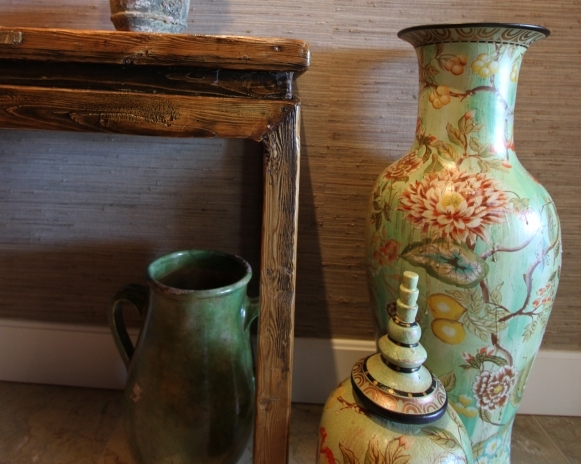 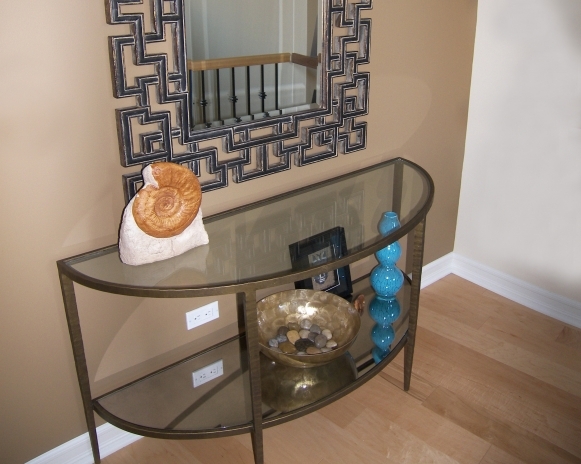 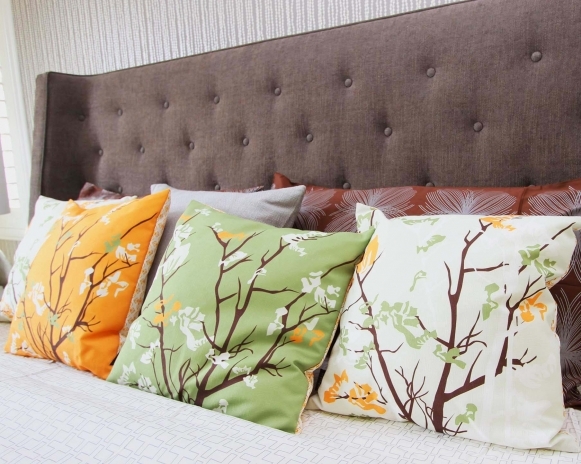 As a result of combining their tastes, we created a mixture of colorful clean lined design with Eastern accents. 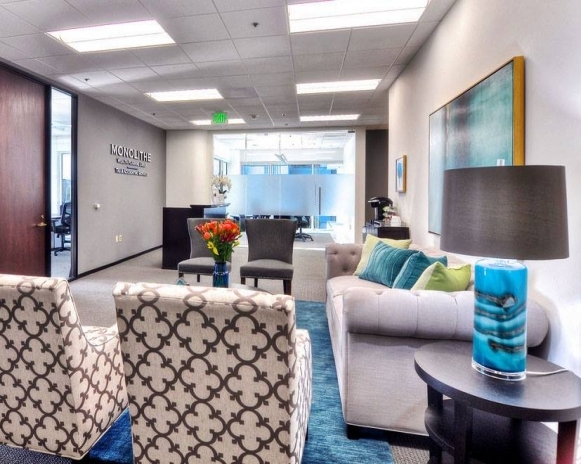 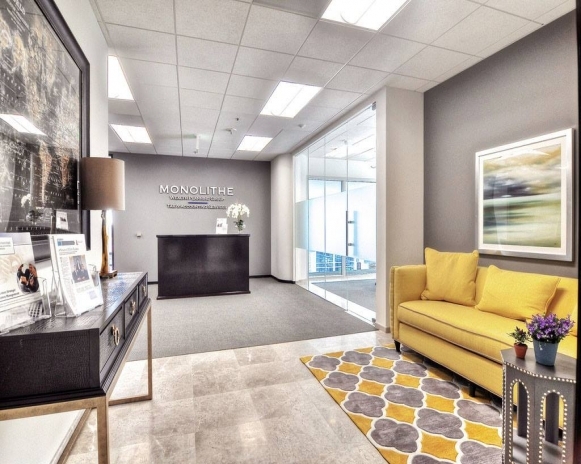 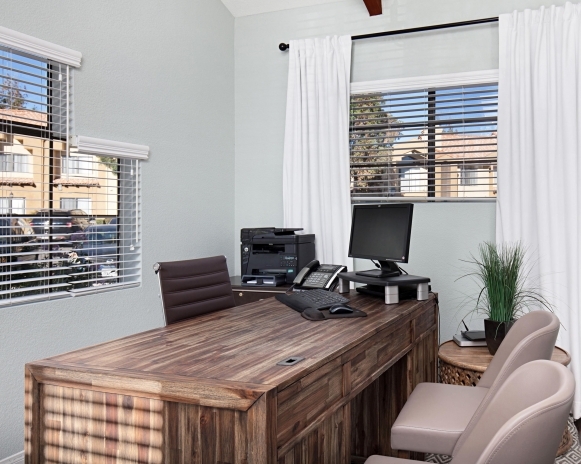 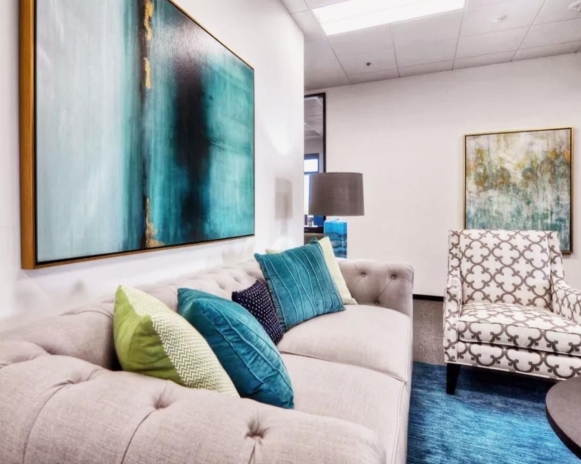 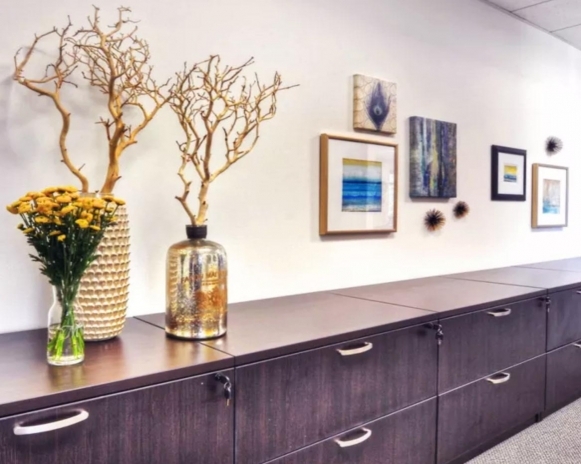 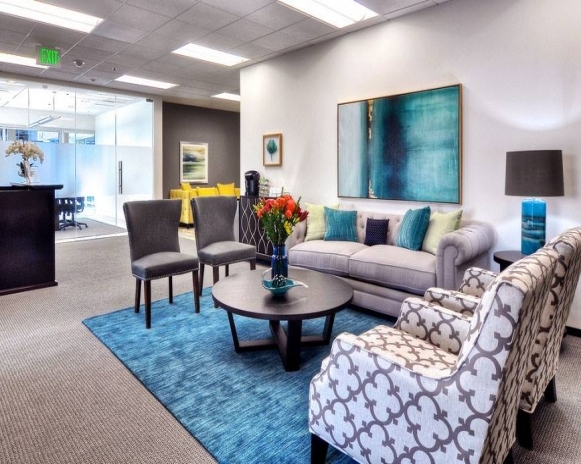 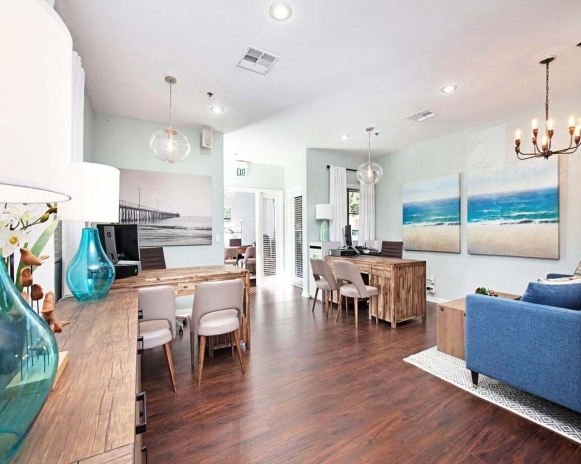 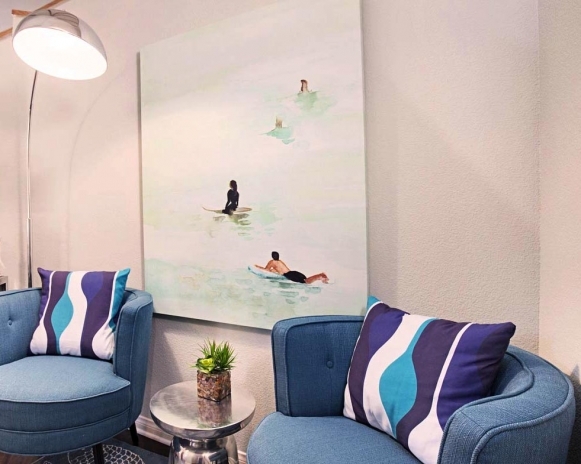 The beach as the the underlaying theme for this commercial office space in Southern California makes for a calming and inviting work environment. 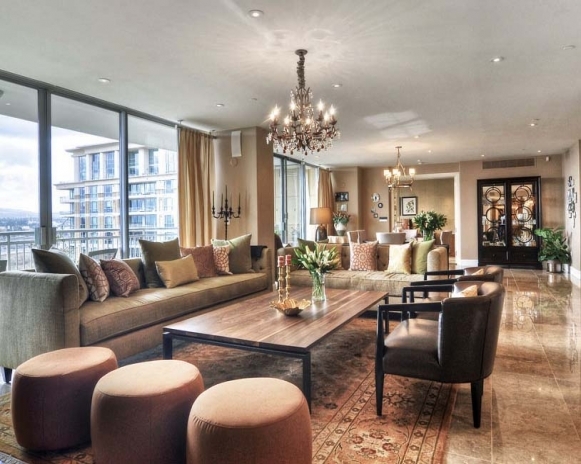 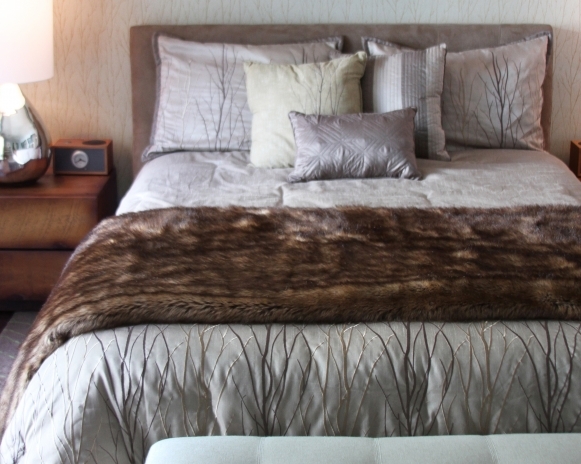 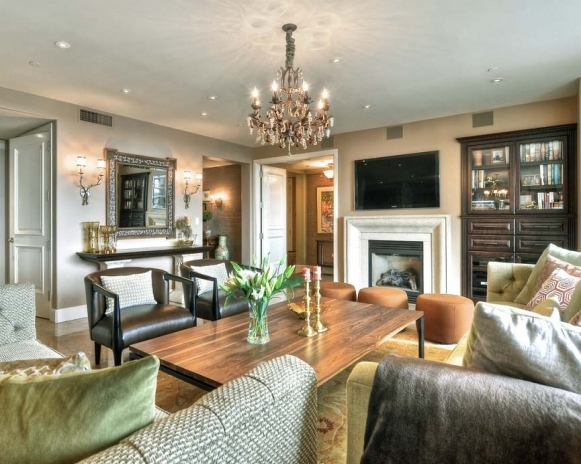 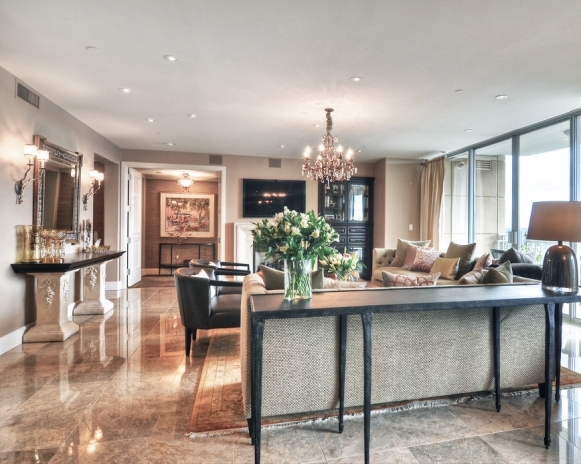 The marriage of old and new is one of the hallmarks of this elegant high rise apartment. 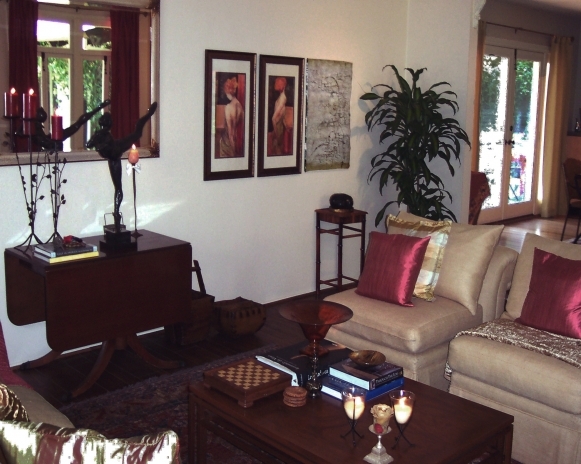 A blend of selected antiques, paired with new transitional furniture, make this a personal, comfortable space for a retired couple. 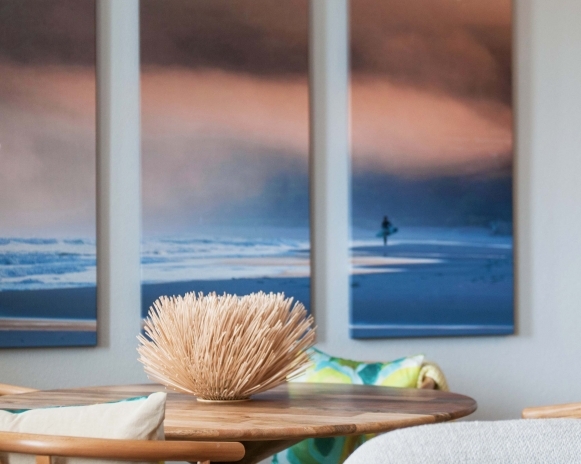 Elegant beach retreat, reflecting the sea, sand and nature. 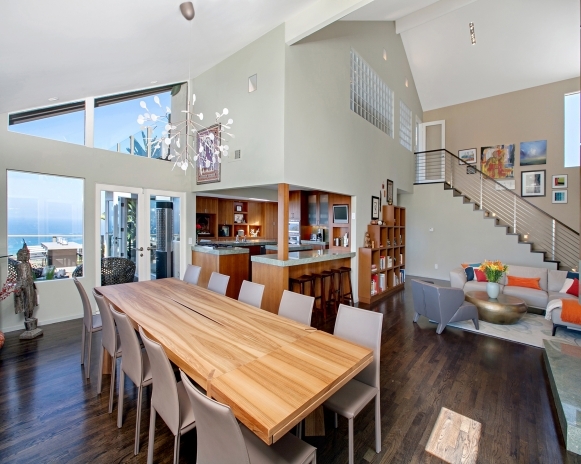 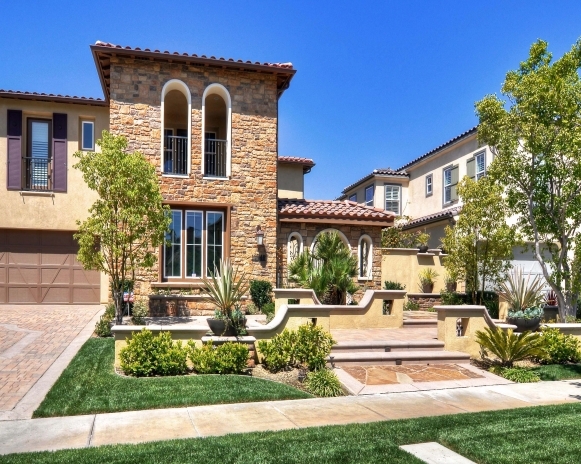 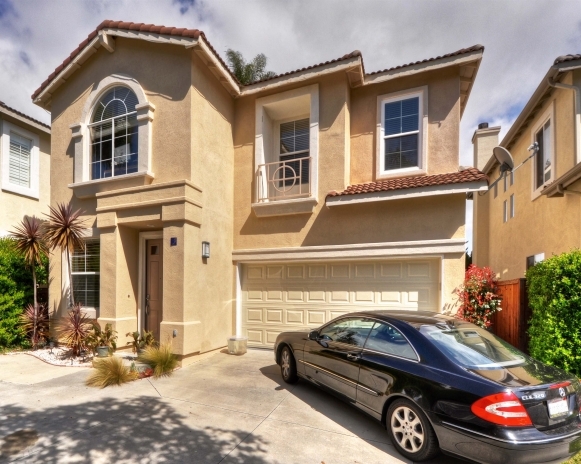 Home of a German/Italian family in a Southern California beach community. 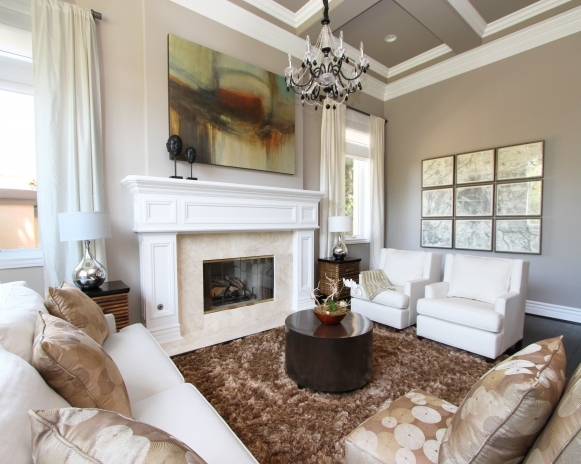 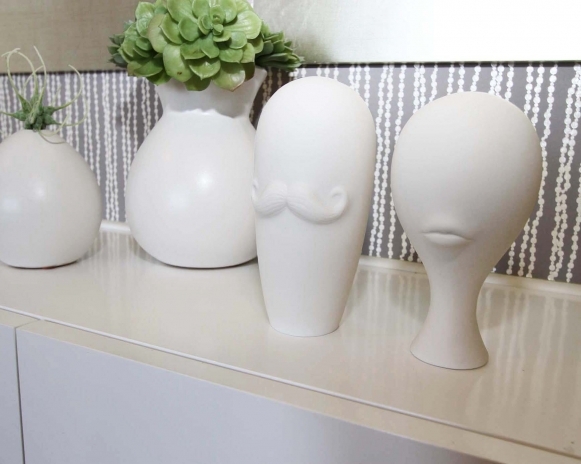 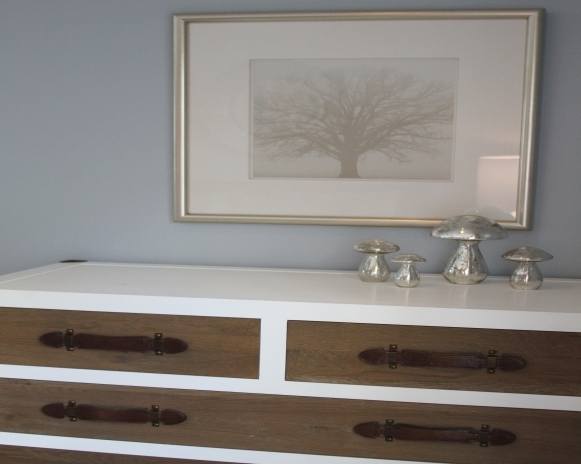 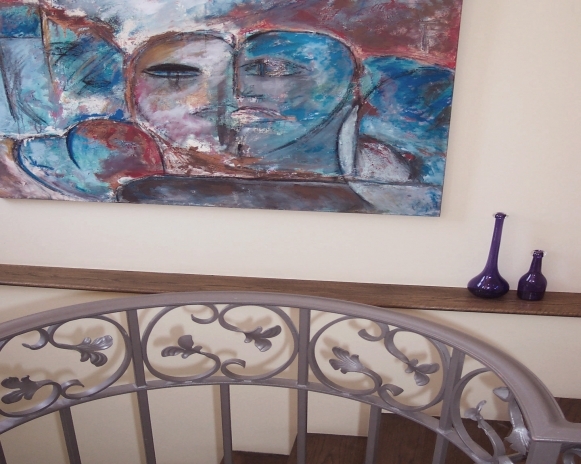 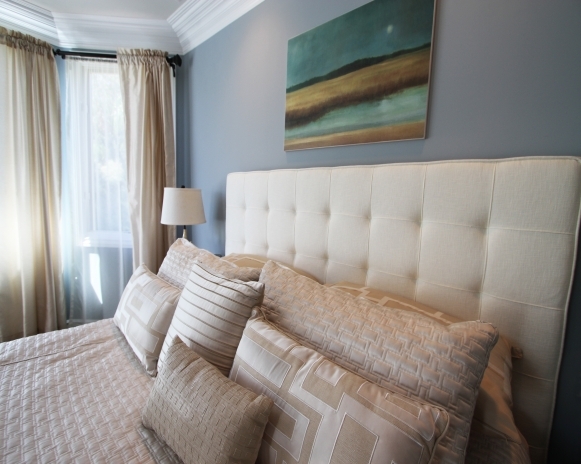 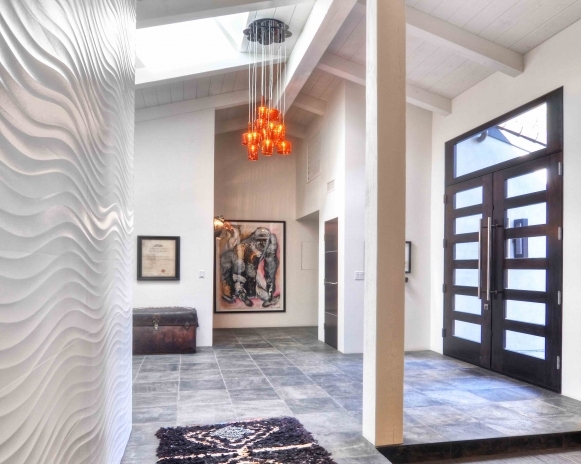 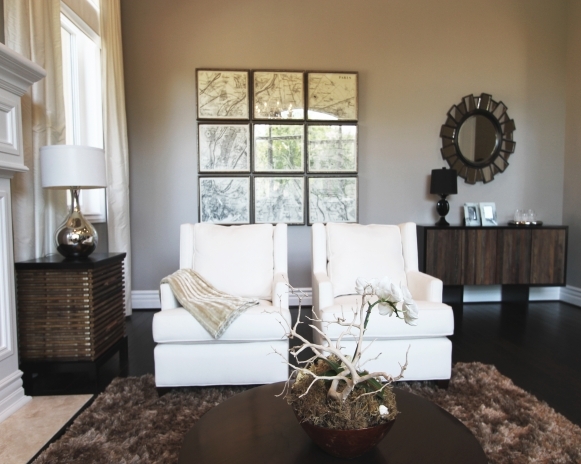 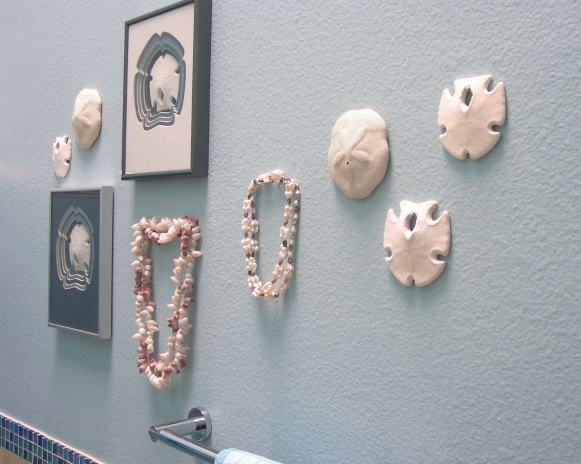 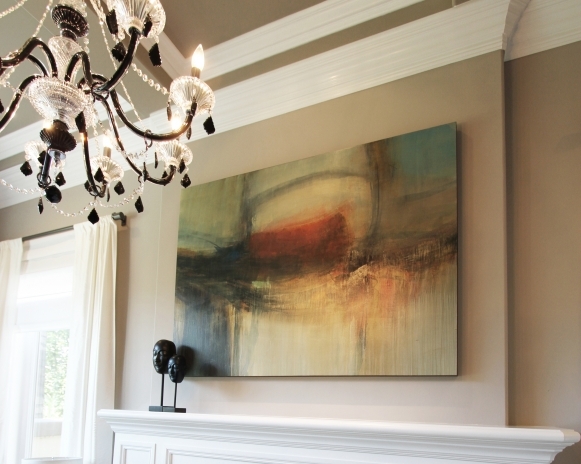 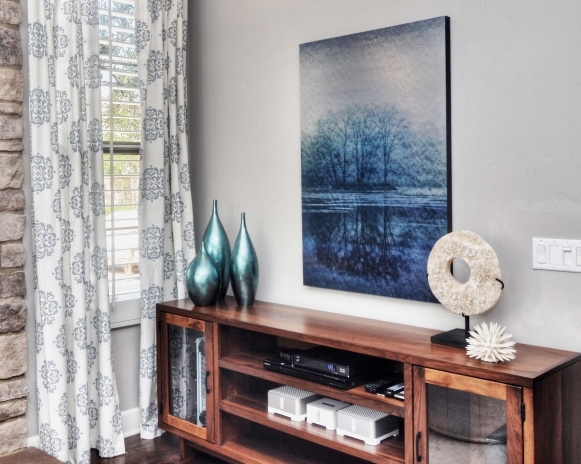 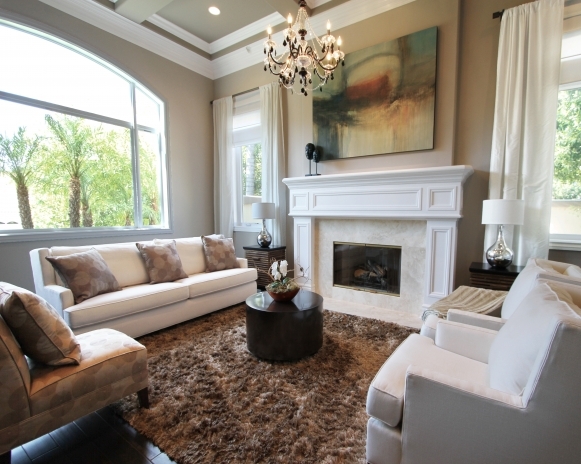 Simple forms, clean lines and restrained ornamentation create a calm and peaceful atmosphere. 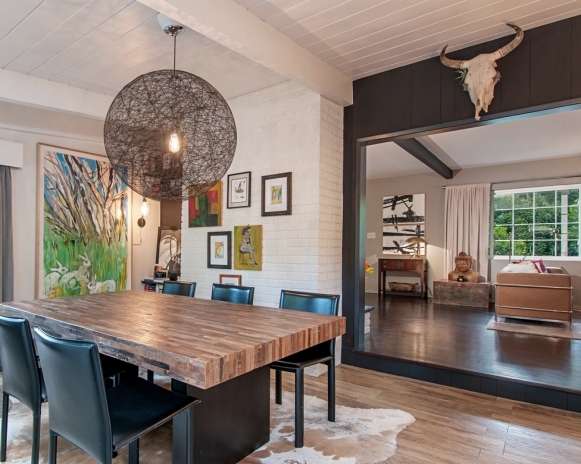 Part contemporary, part rustic modern. 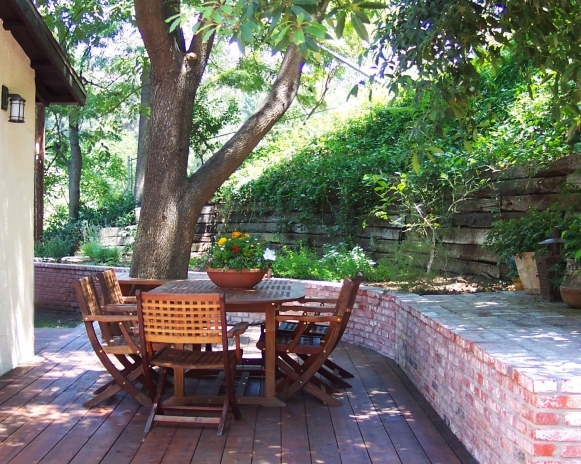 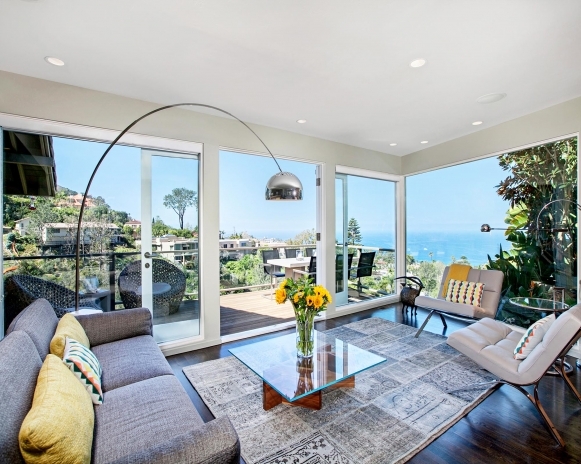 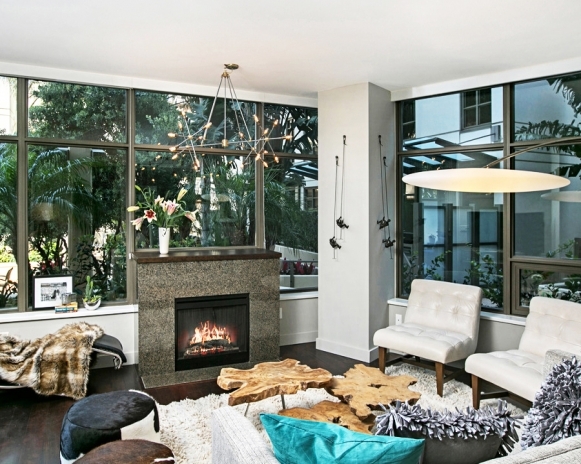 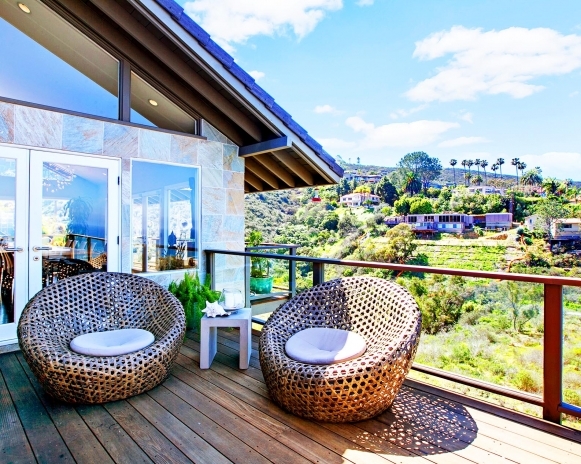 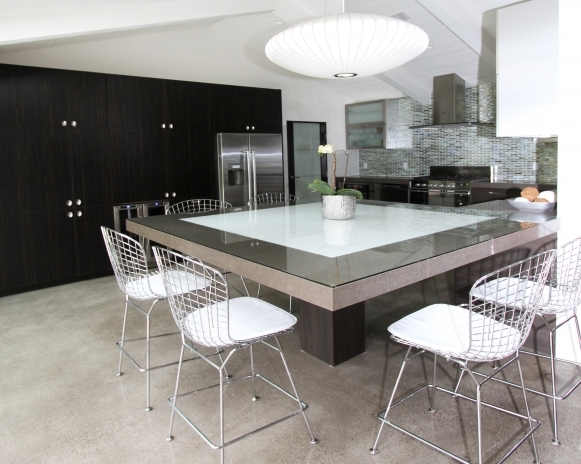 Chic and down-to-earth retreat in the canyon high above Sunset Blvd in Los Angeles. 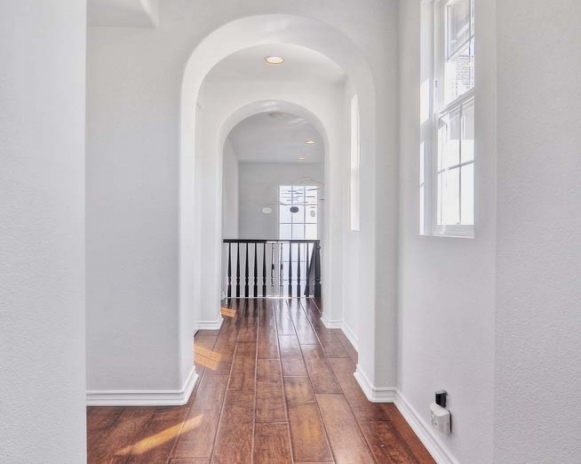 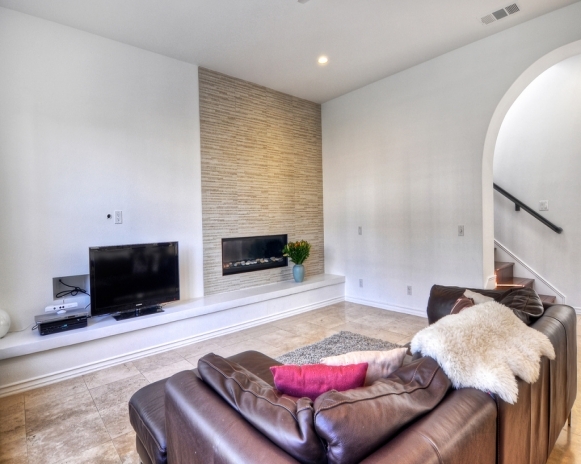 Model home - simple, clean lined and contemporary. 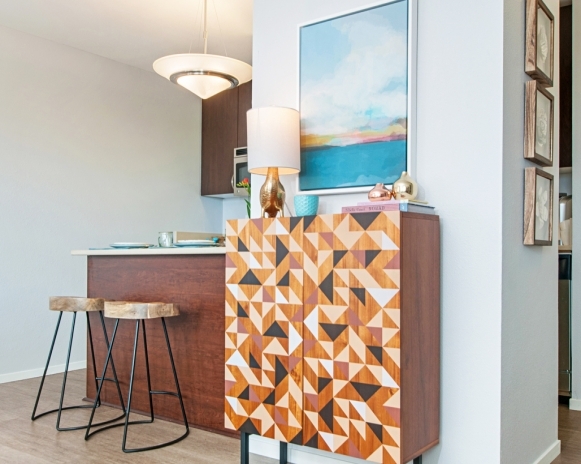 Modern furniture and its careful placement, combined with the creative use of color, pattern and texture, result in a dynamic space with Miami vibe. 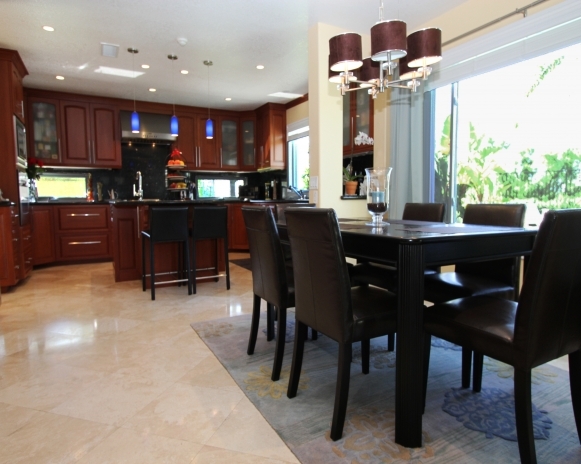 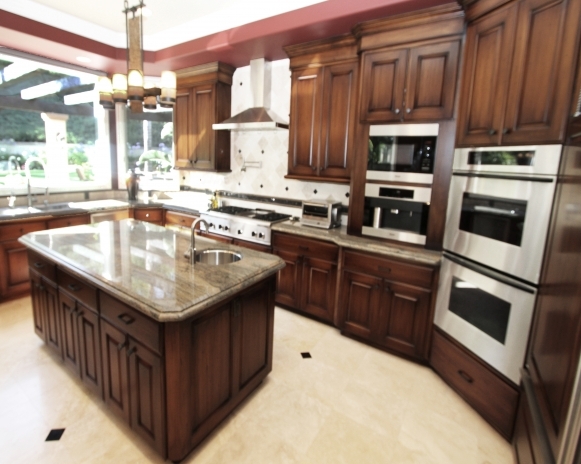 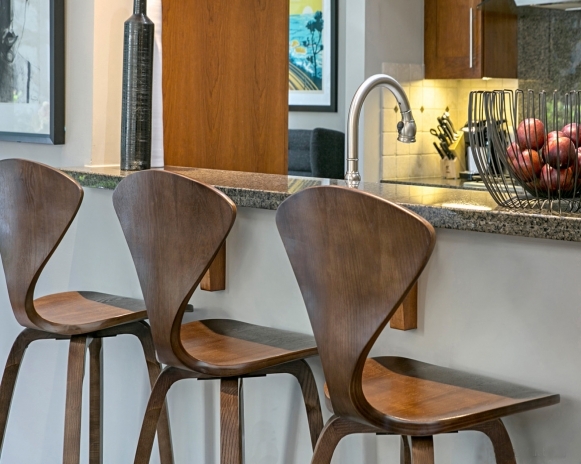 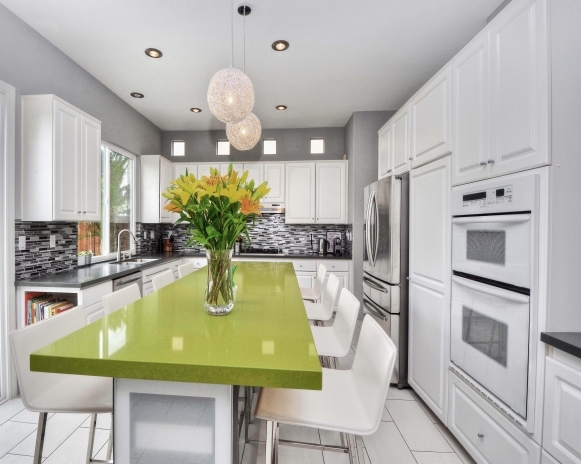 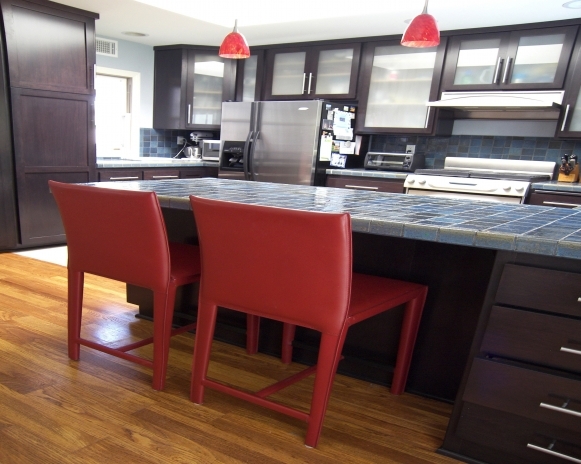 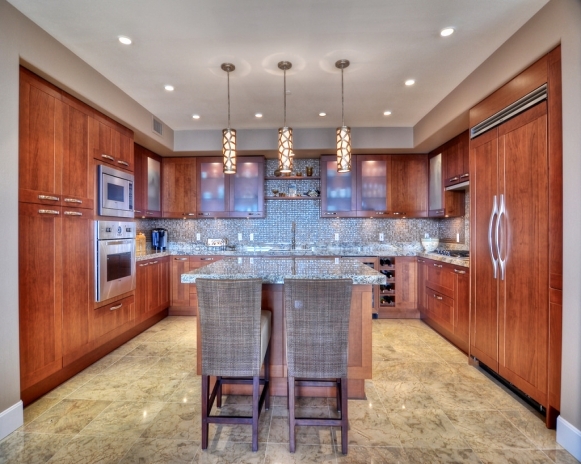 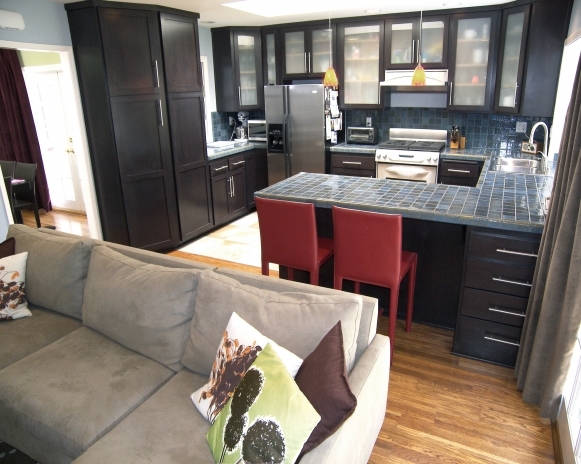 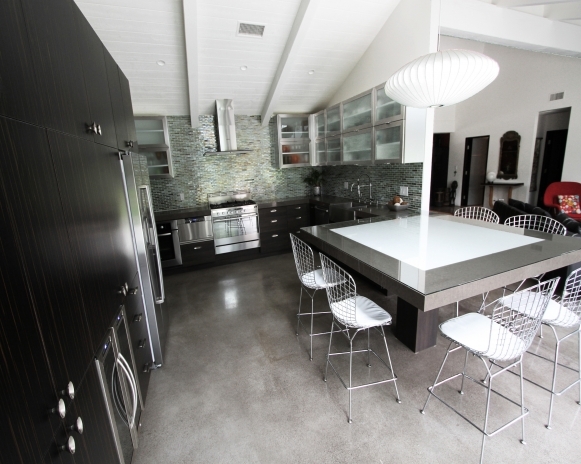 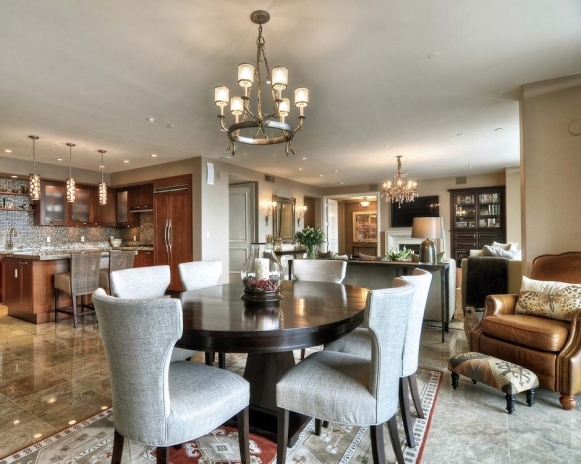 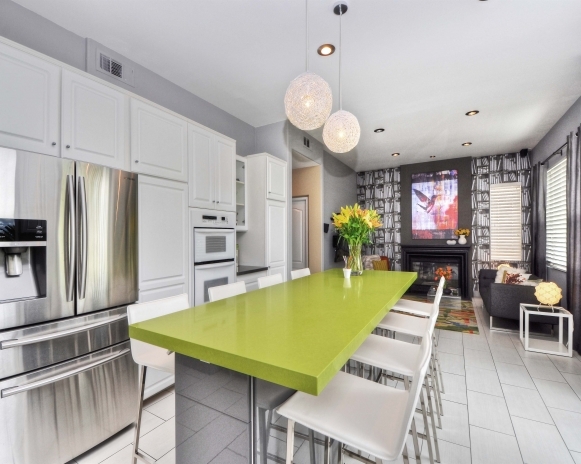 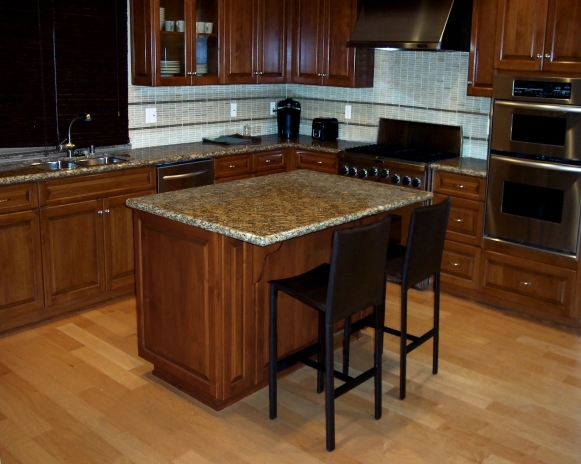 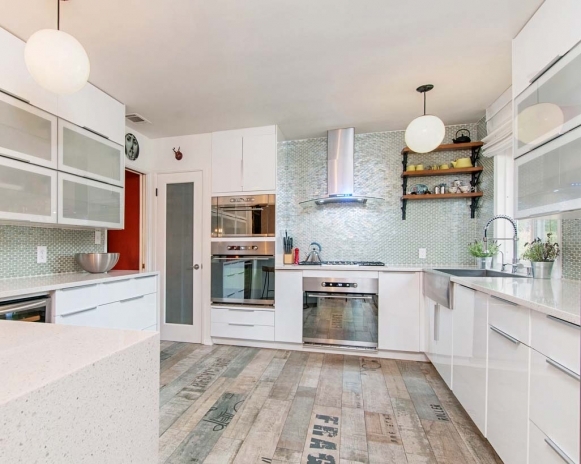 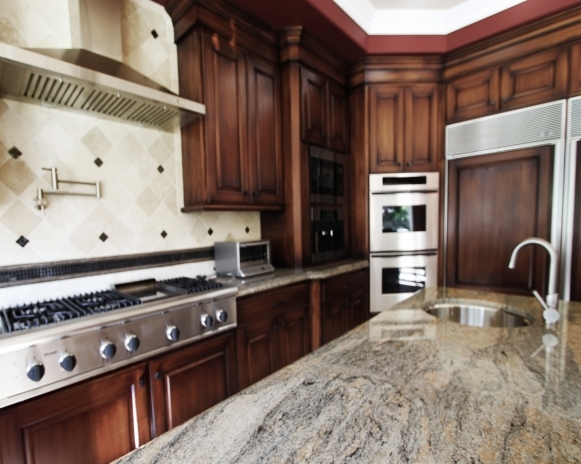 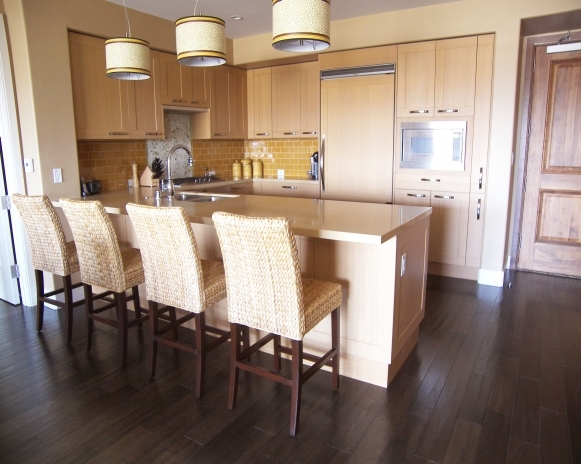 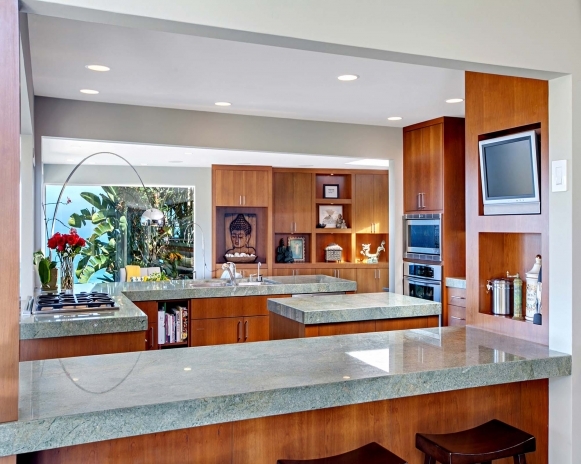 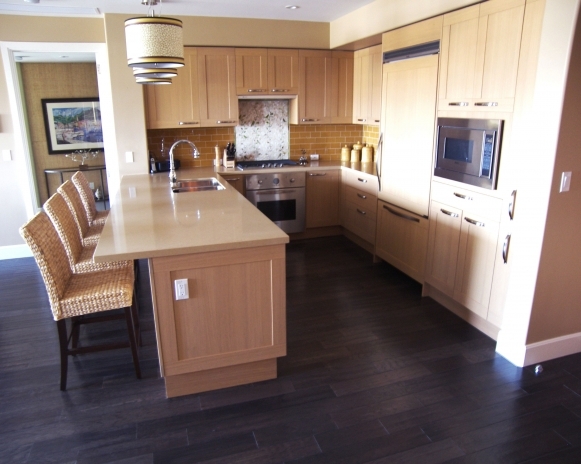 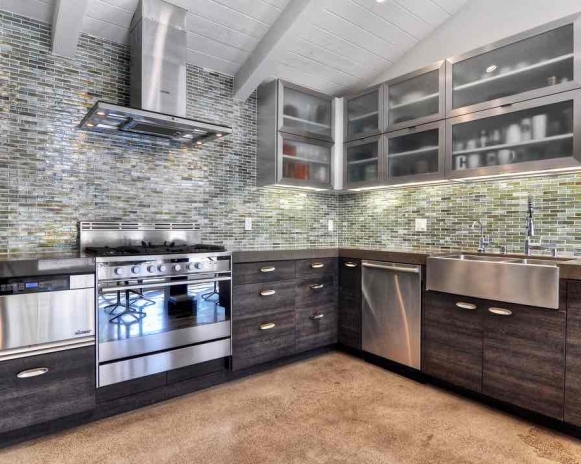 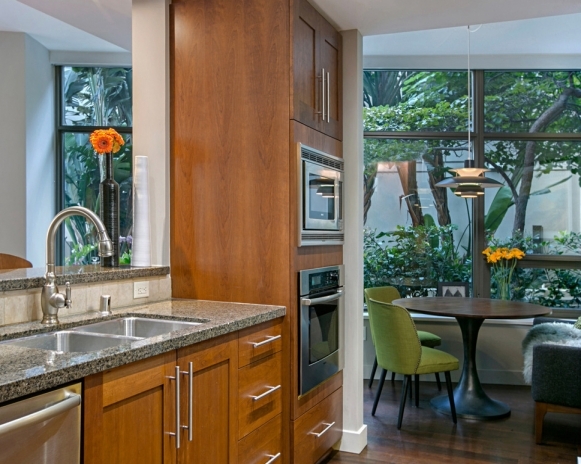 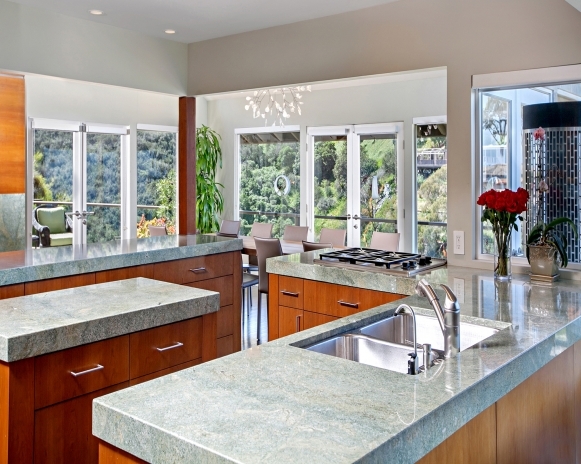 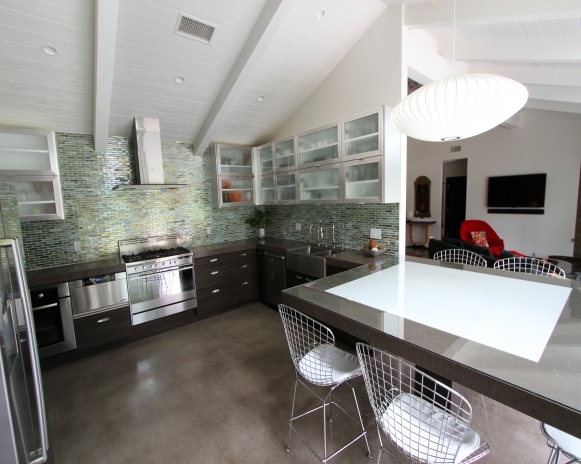 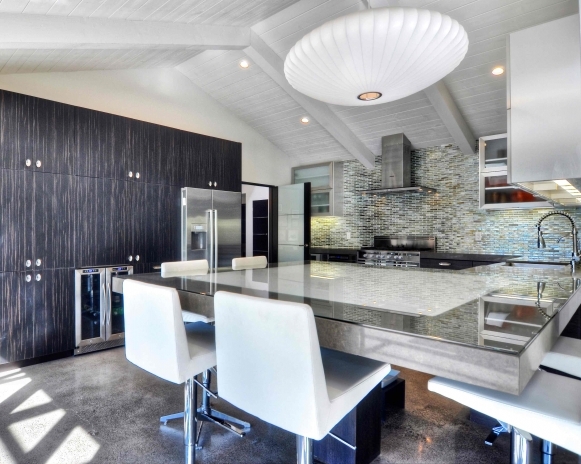 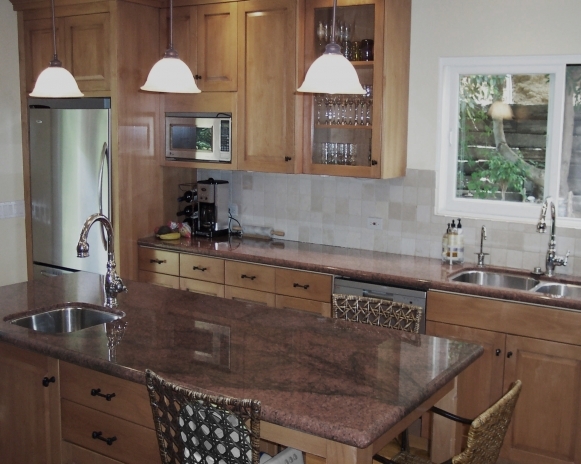 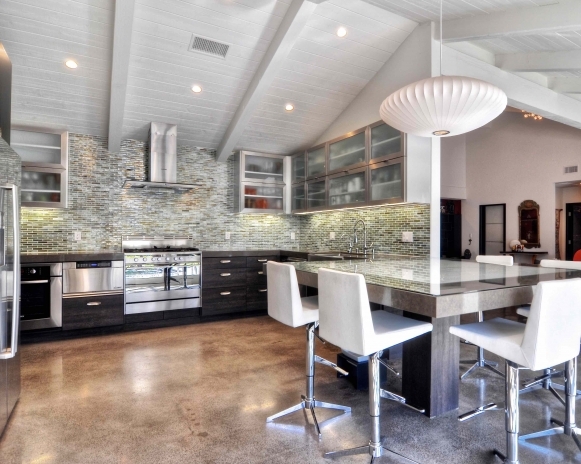 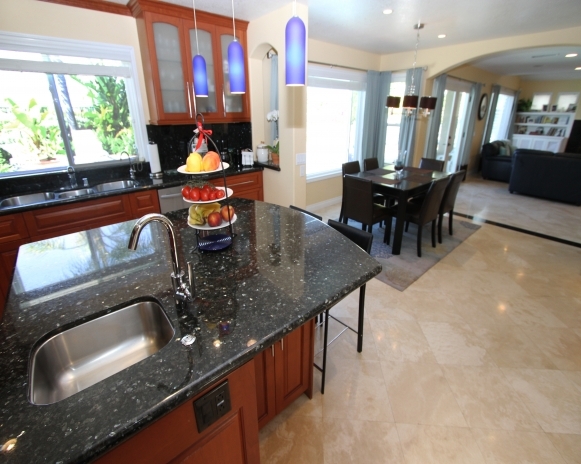 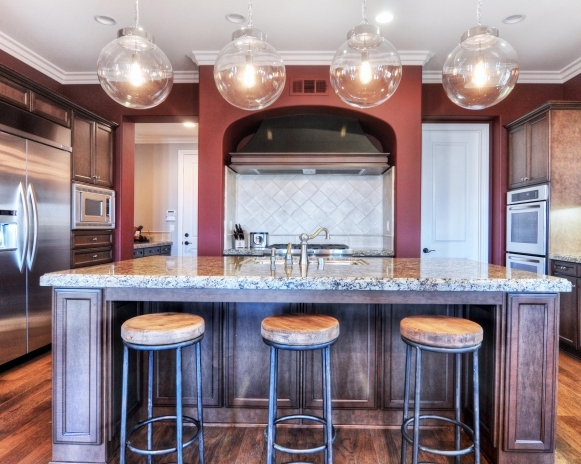 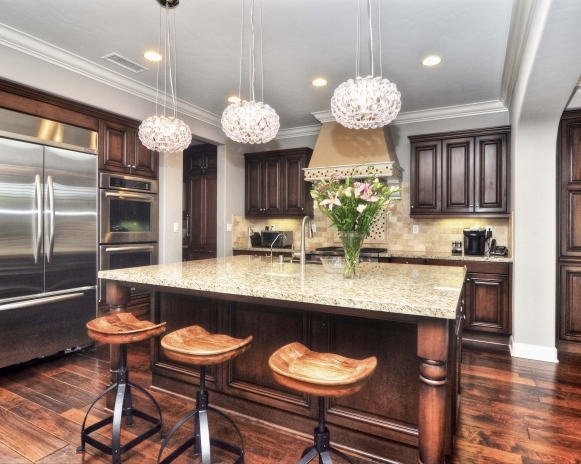 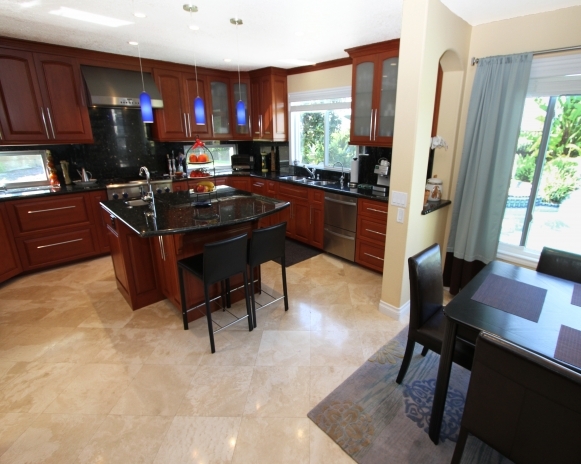 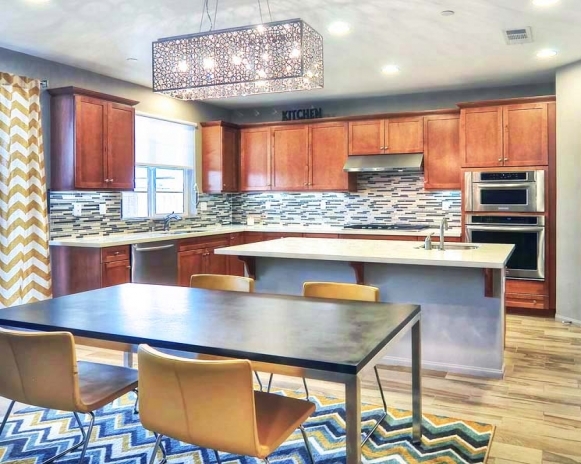 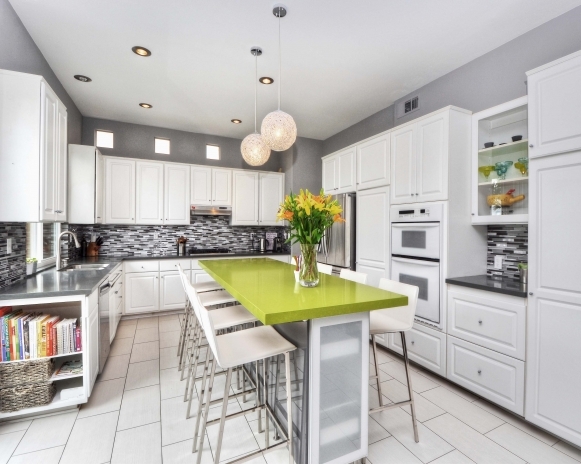 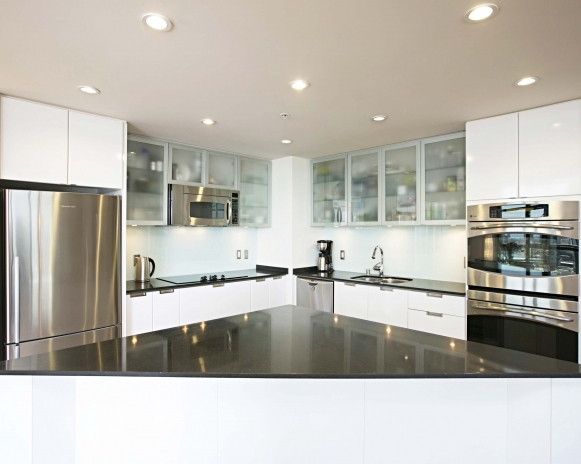 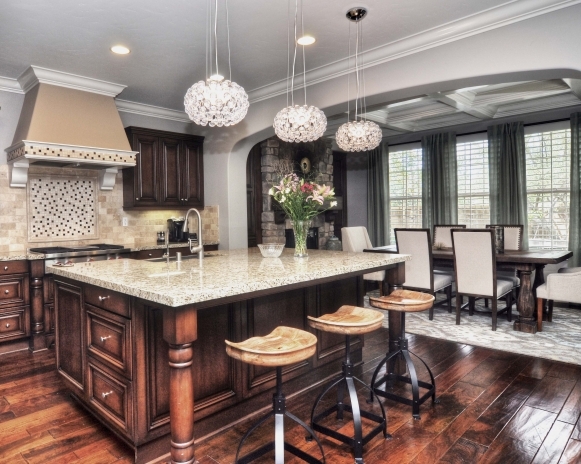 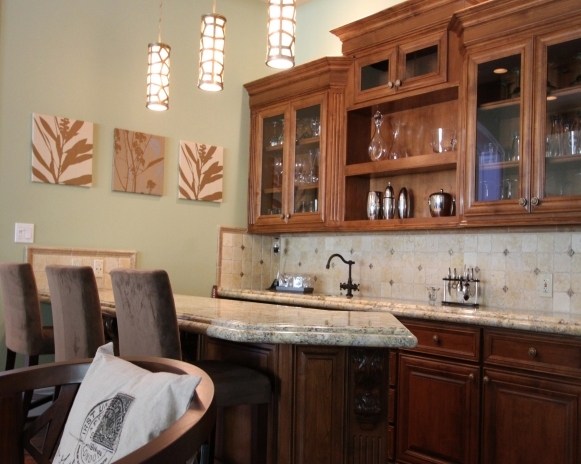 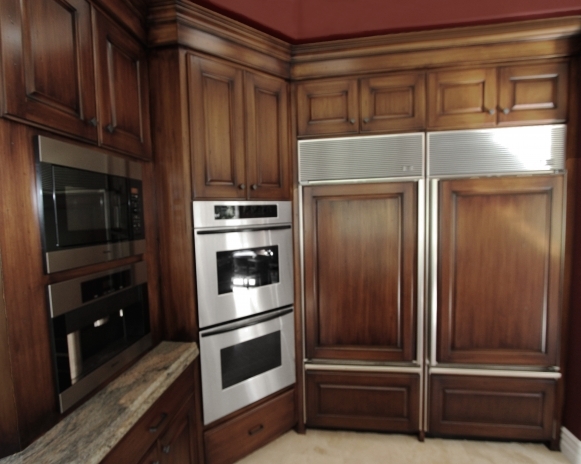 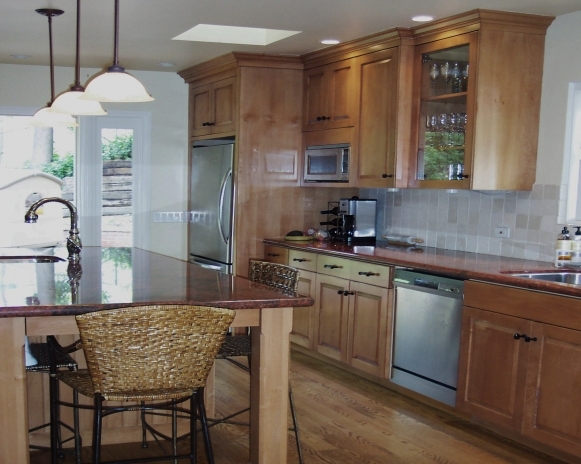 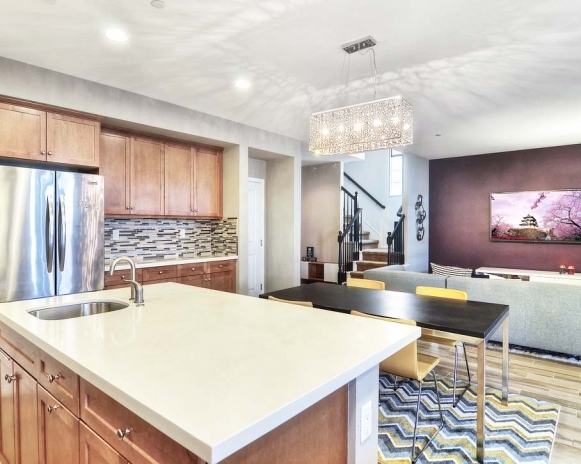 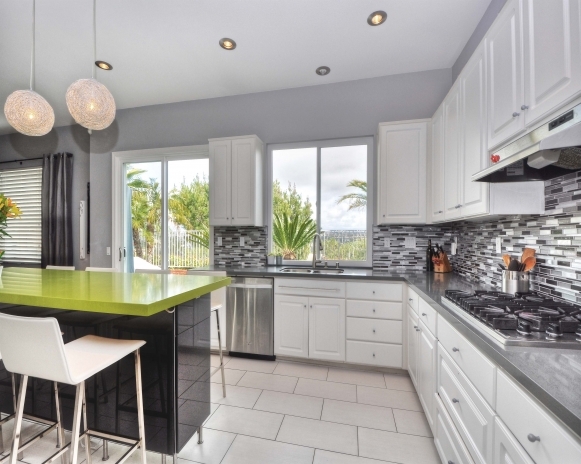 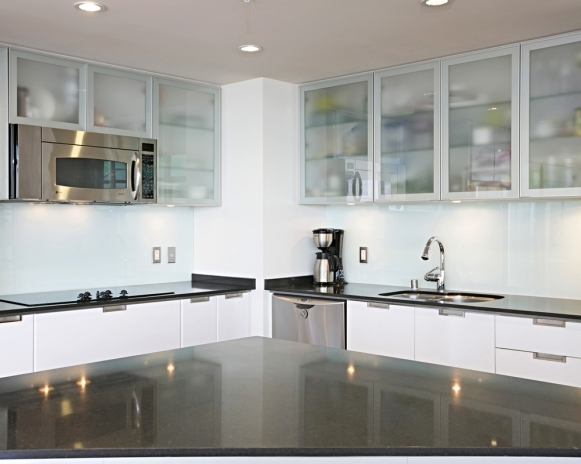 Modern, open and airy kitchen with custom designed cabinetry and large center island with seating for eight. 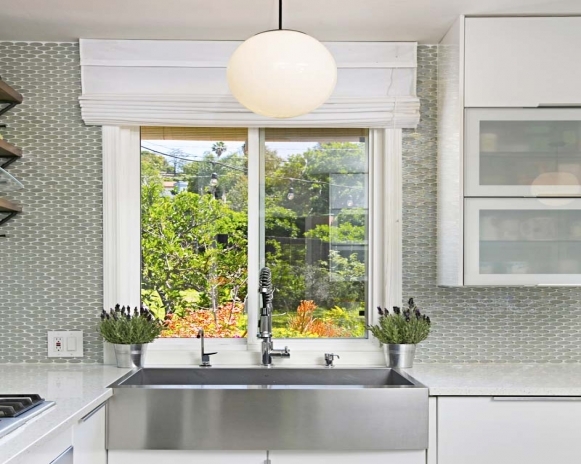 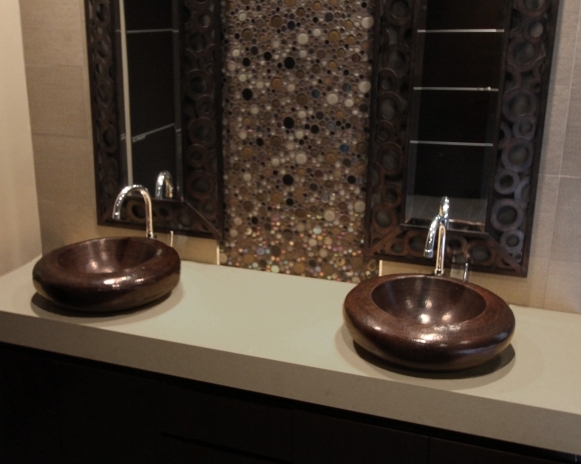 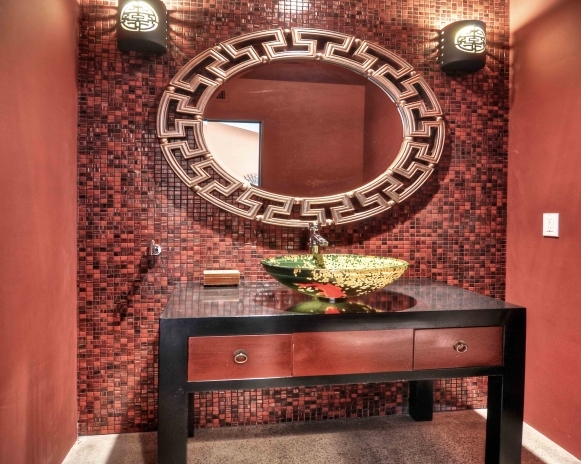 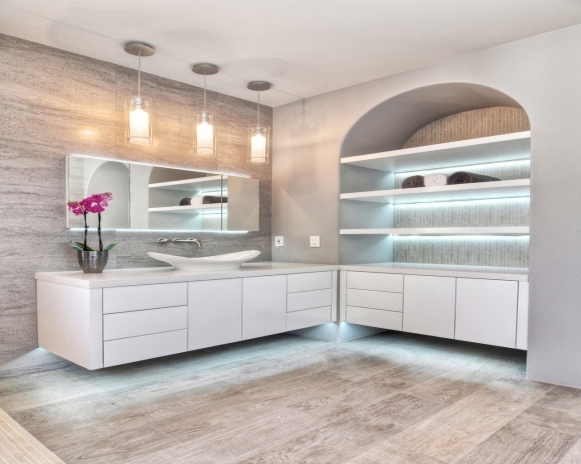 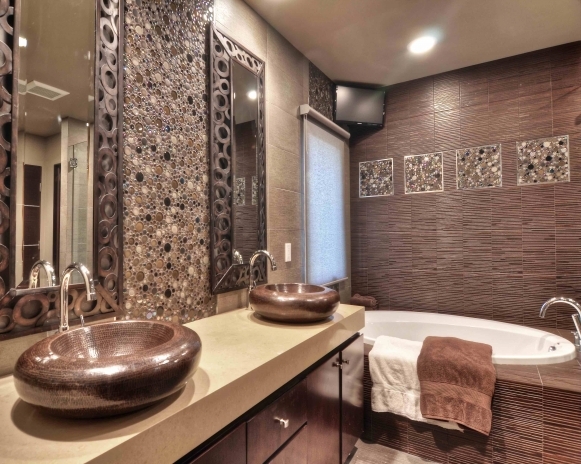 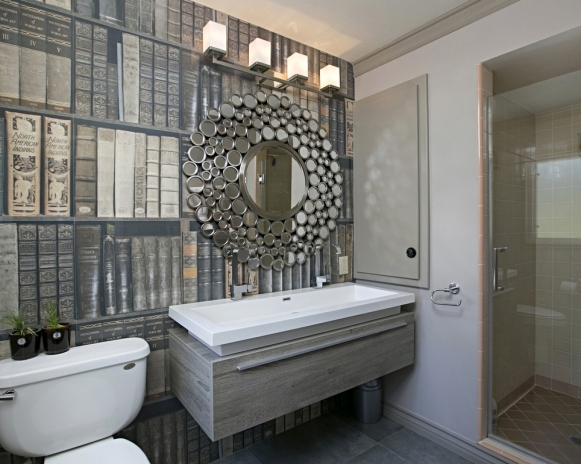 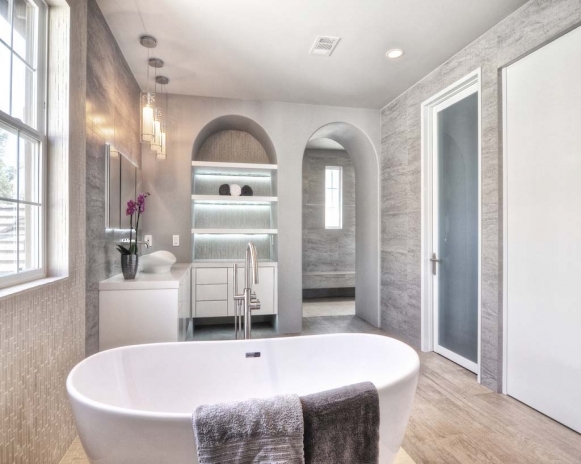 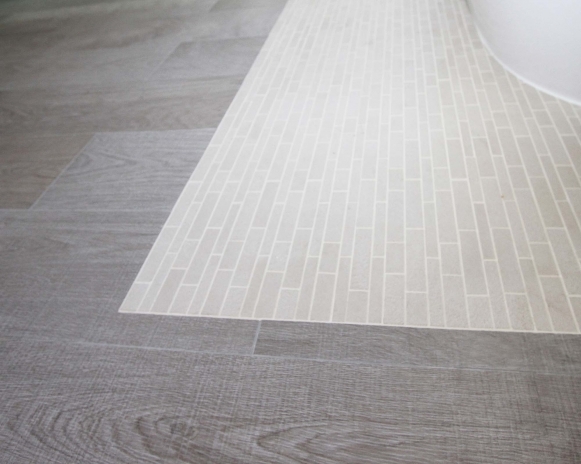 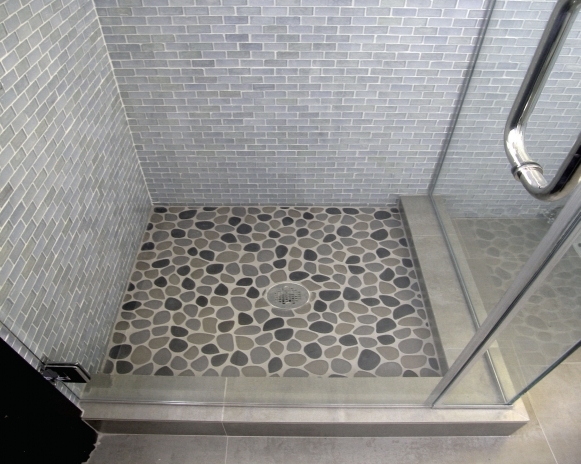 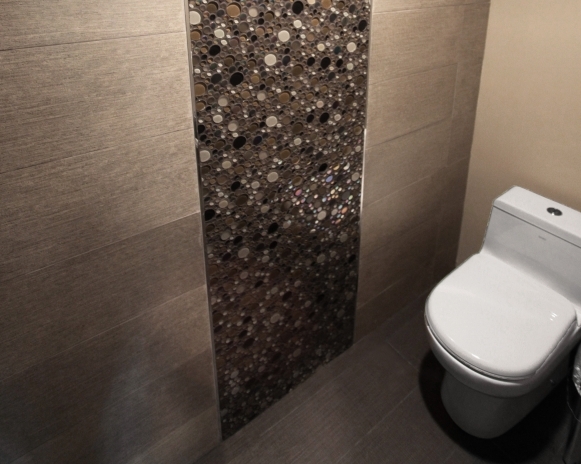 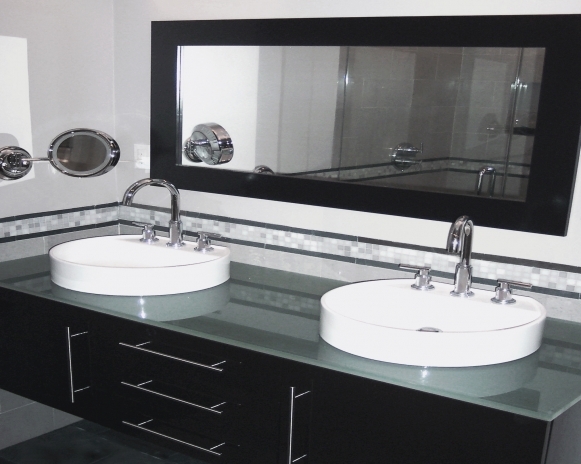 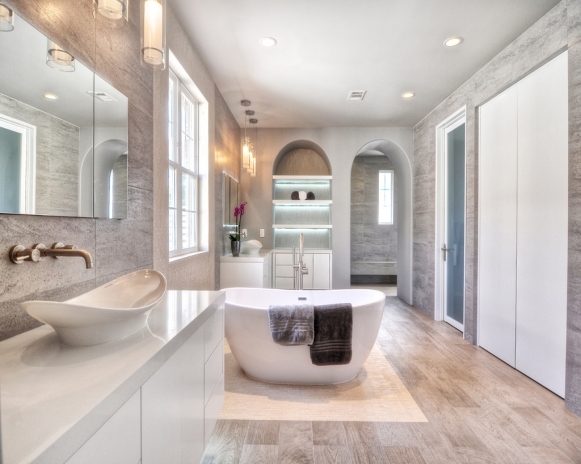 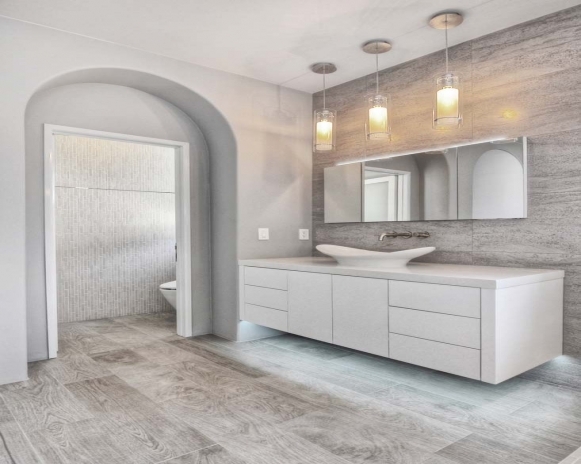 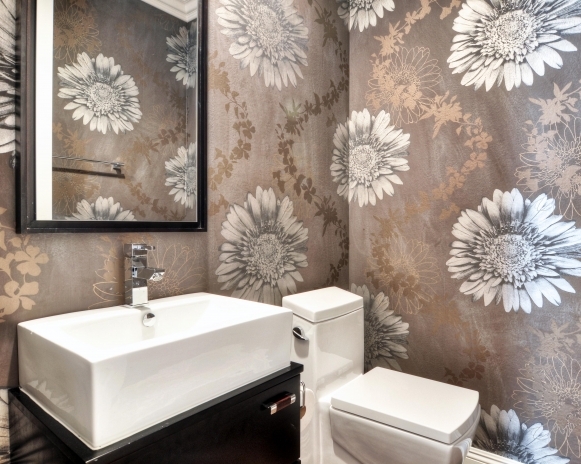 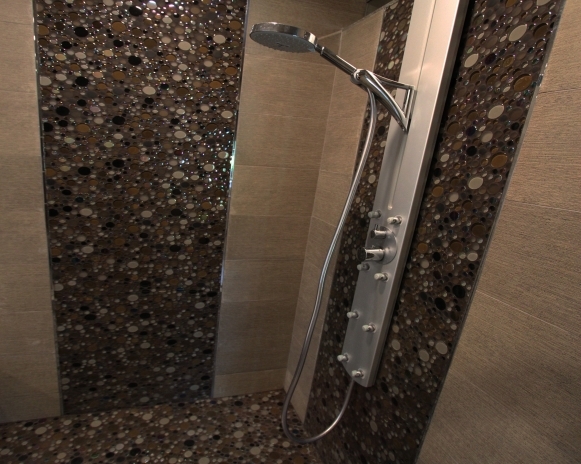 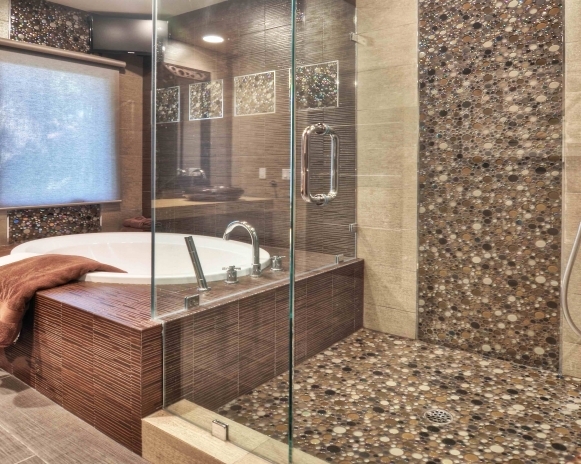 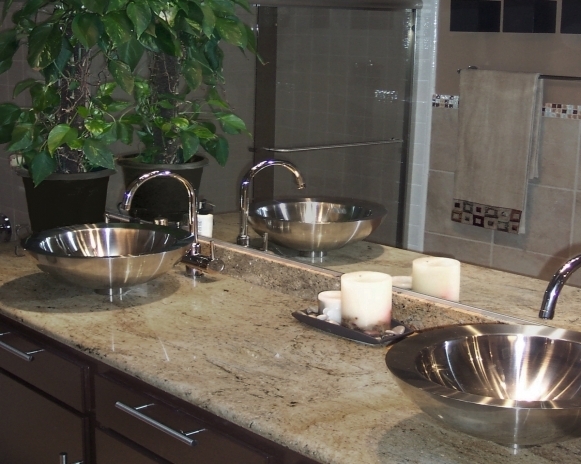 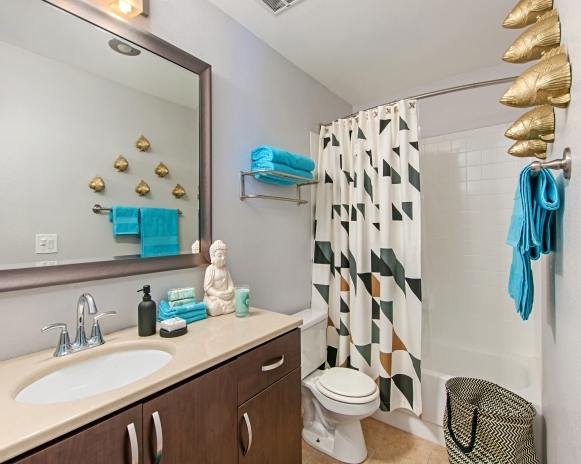 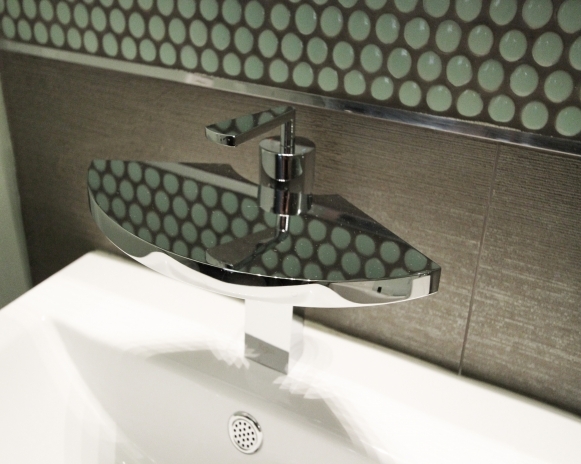 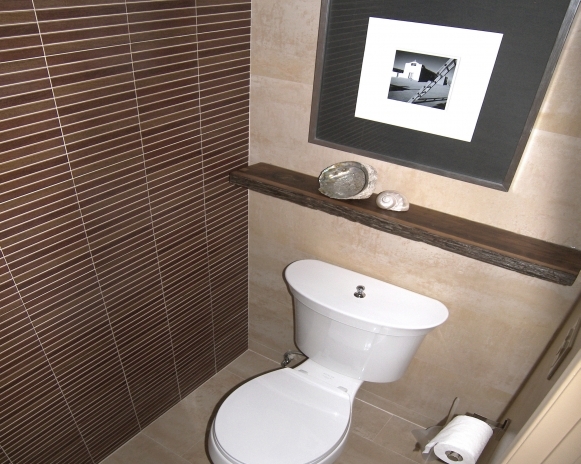 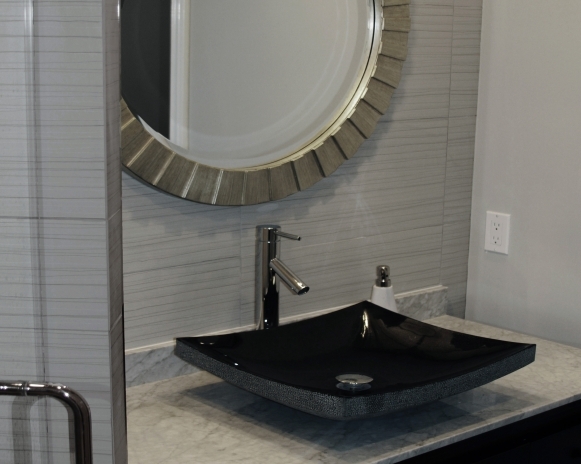 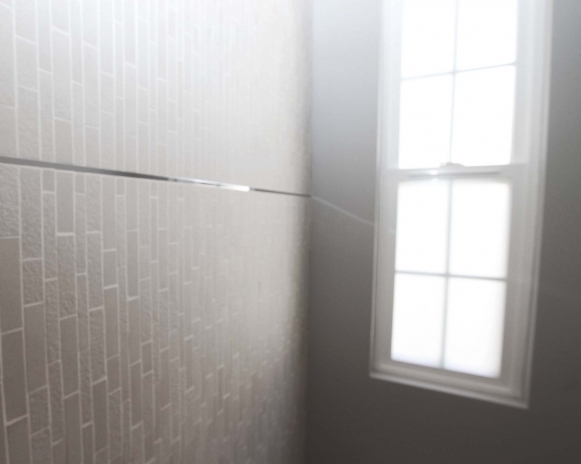 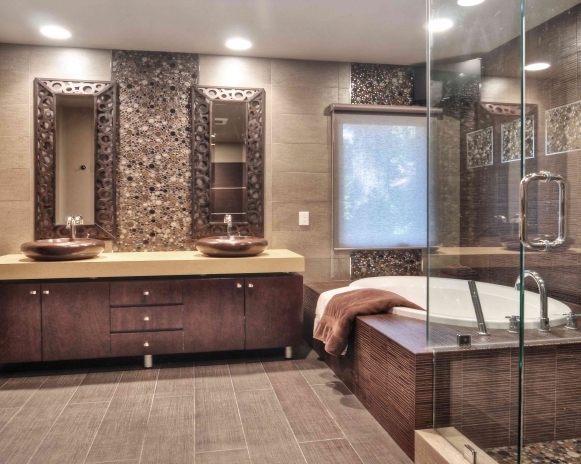 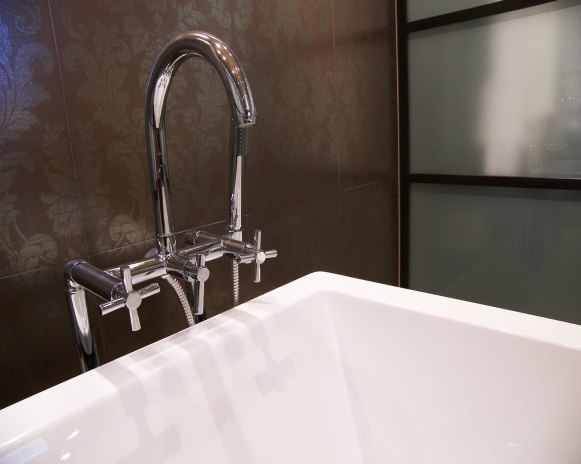 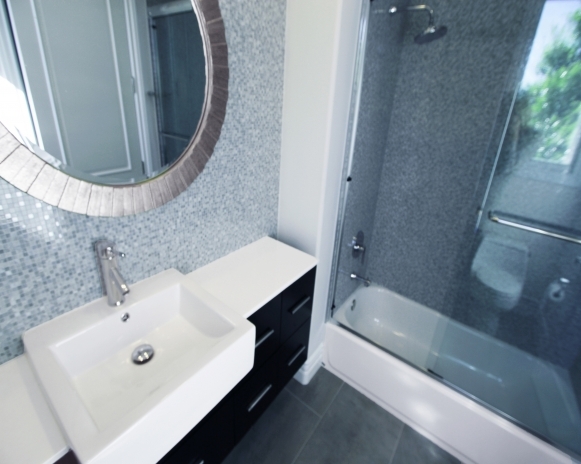 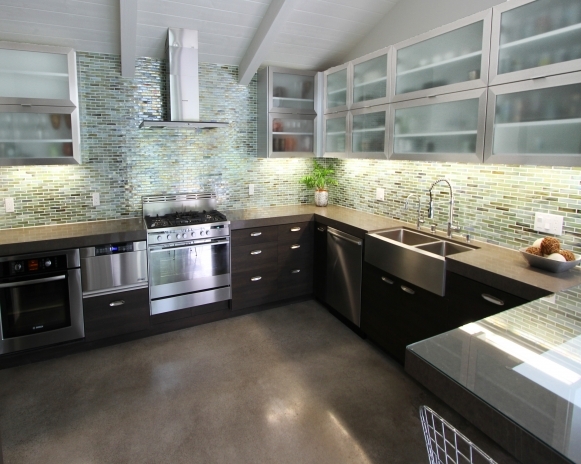 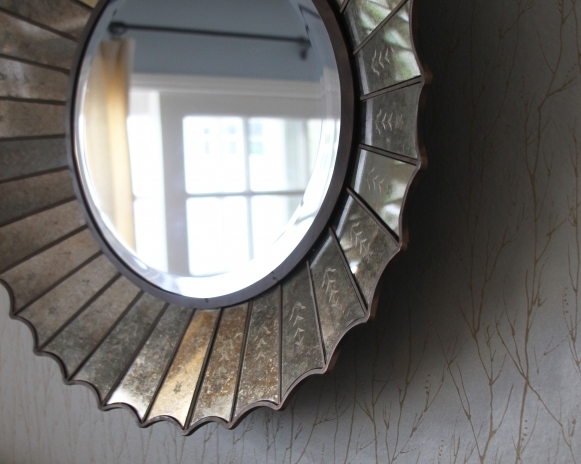 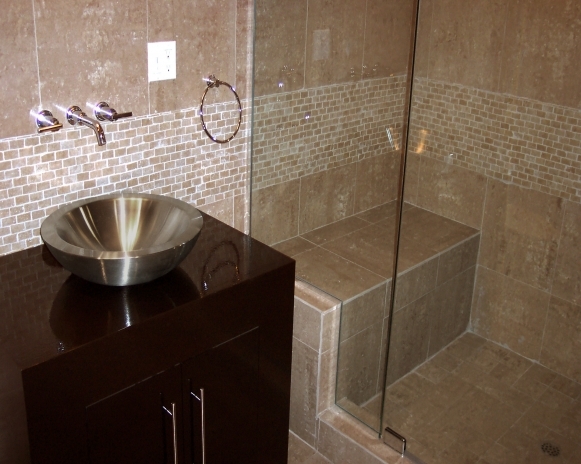 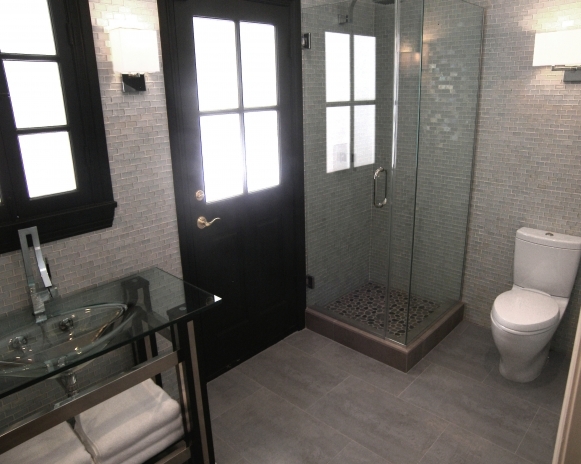 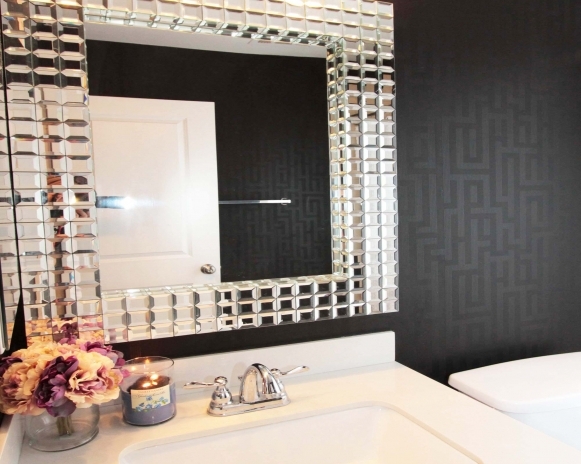 Glamorous, contemporary, feminine - metallic tile surfaces make this Hollywood bathroom shine. 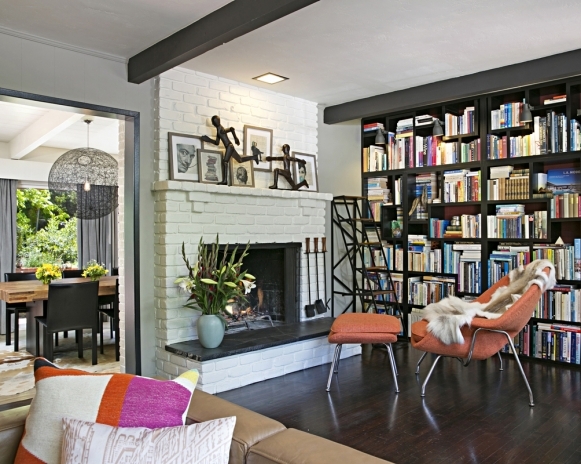 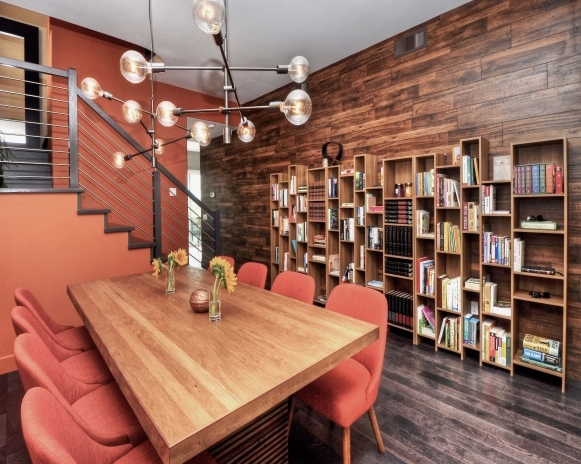 An urban, warm and eclectic ambience emanates from this residence. 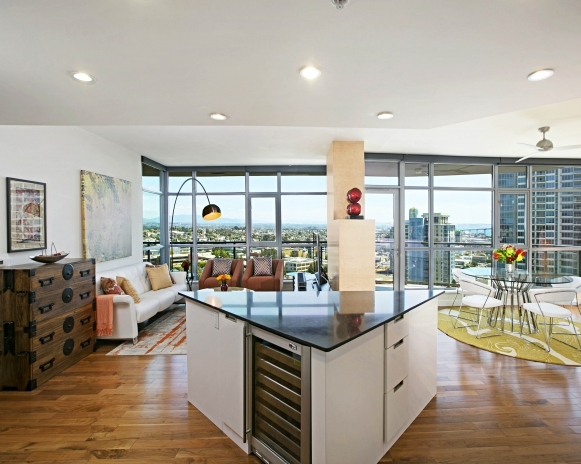 It has been reconfigured to make contemporary, loft-scale living spaces. 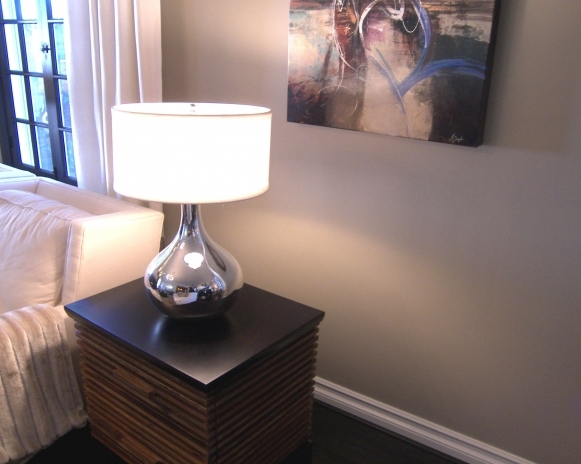 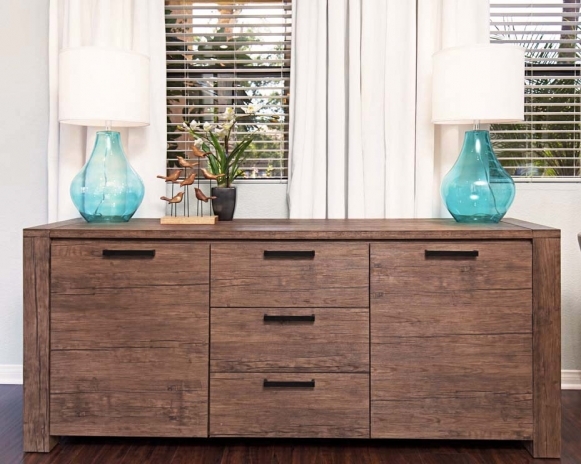 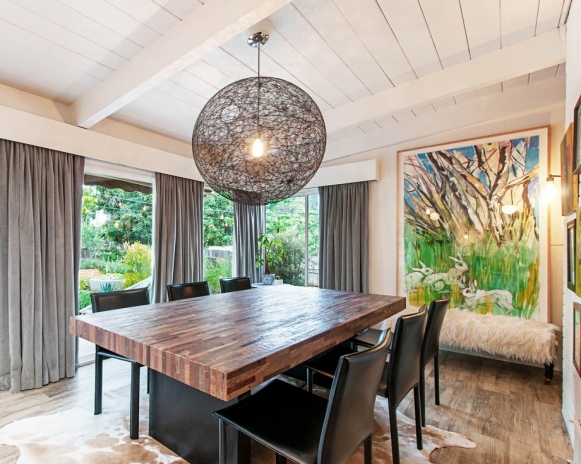 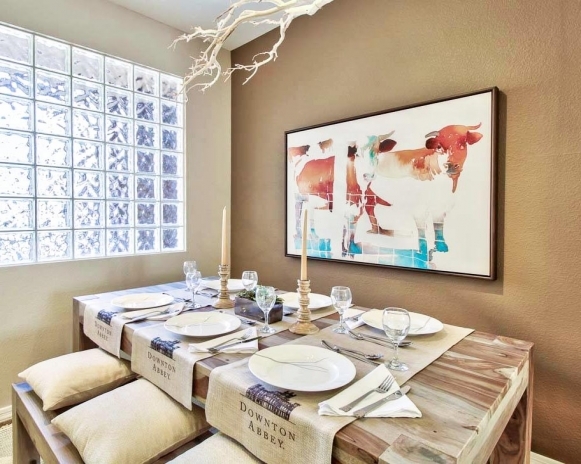 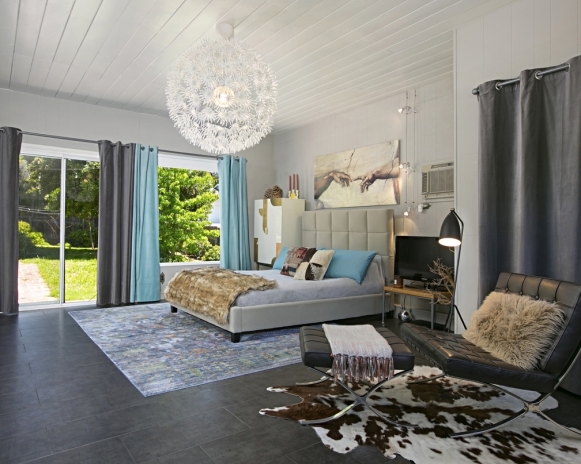 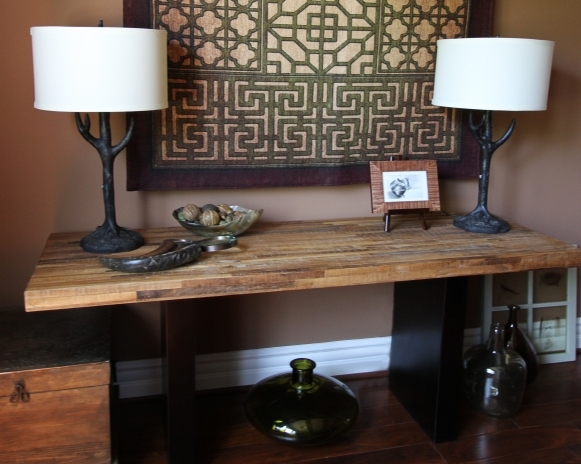 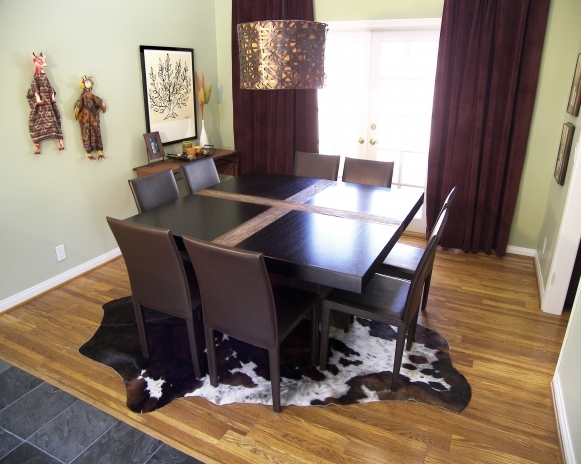 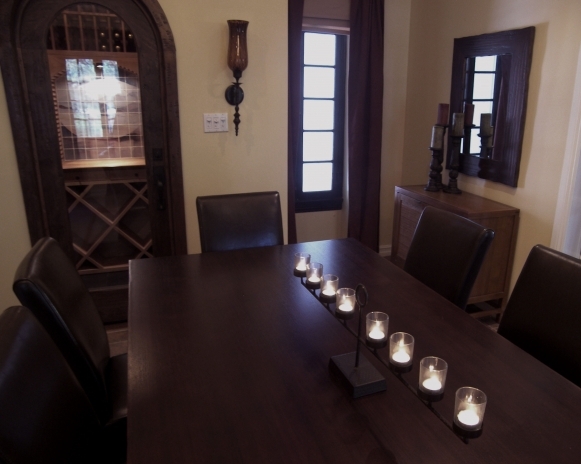 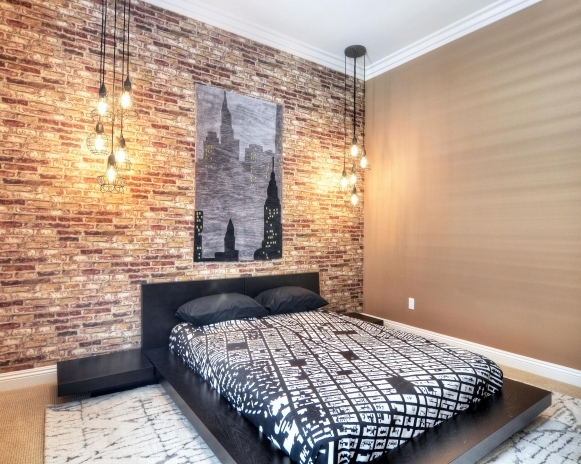 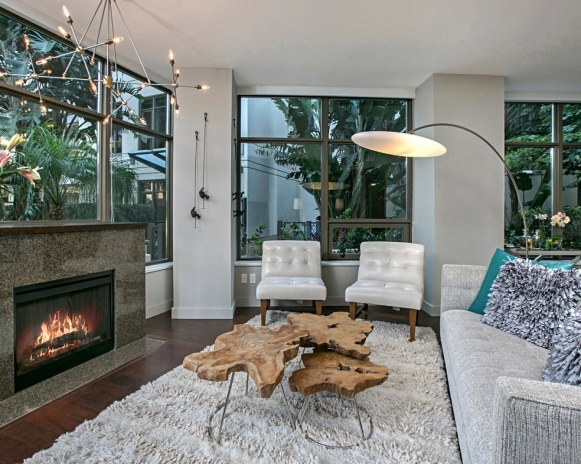 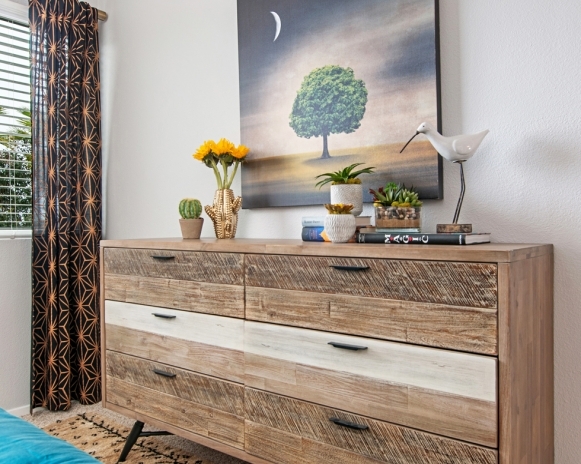 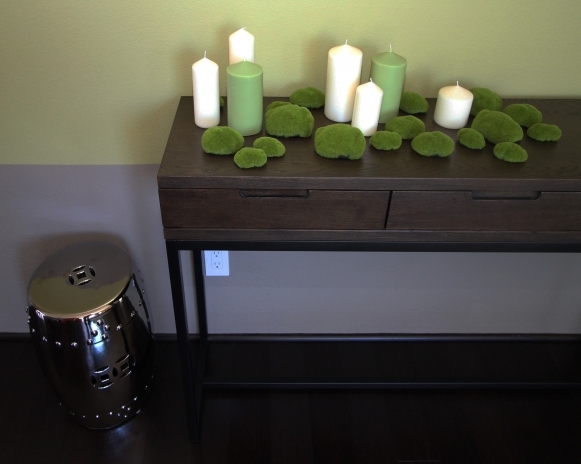 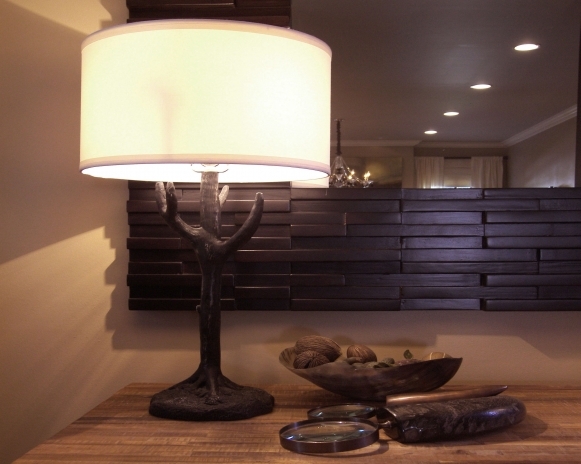 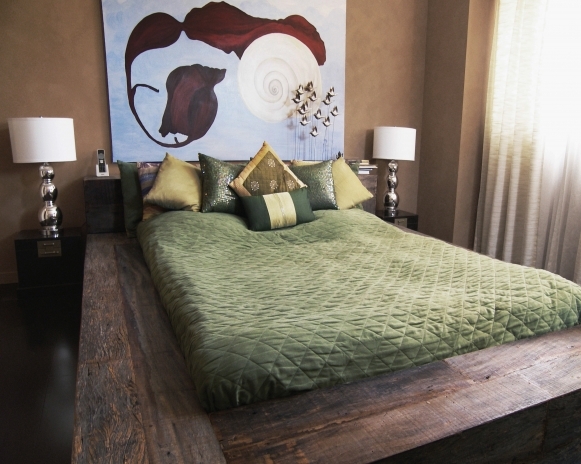 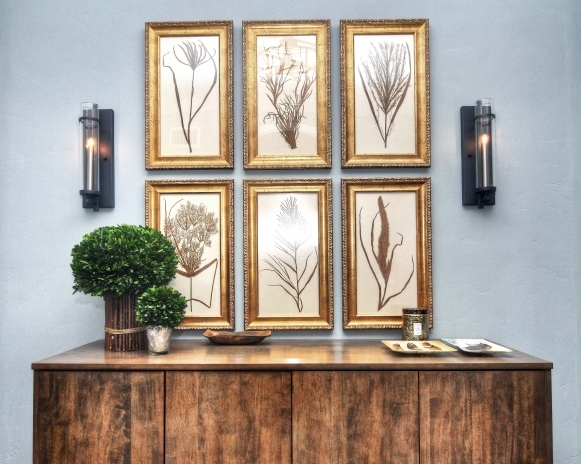 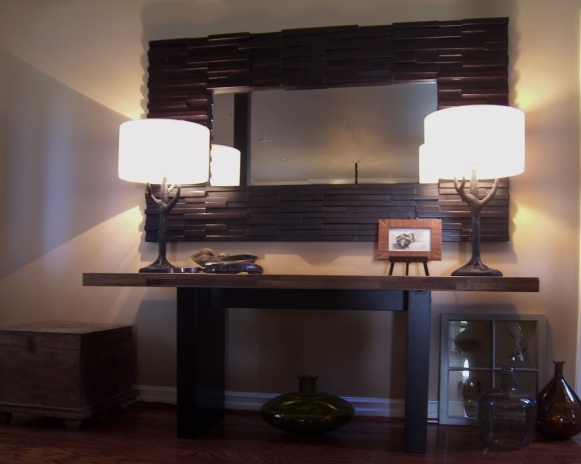 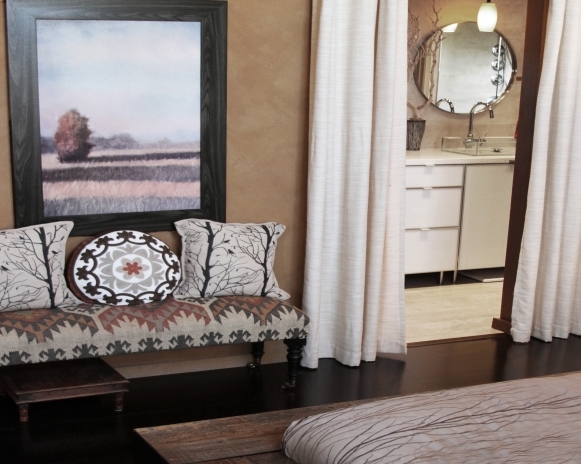 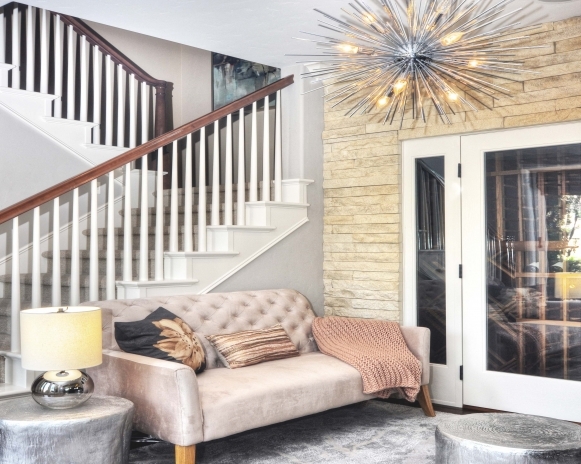 Contemporary style mixed with a down-to-earth modern rustic look. 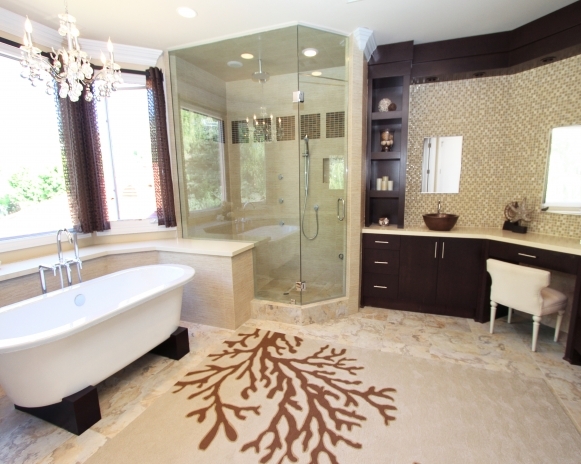 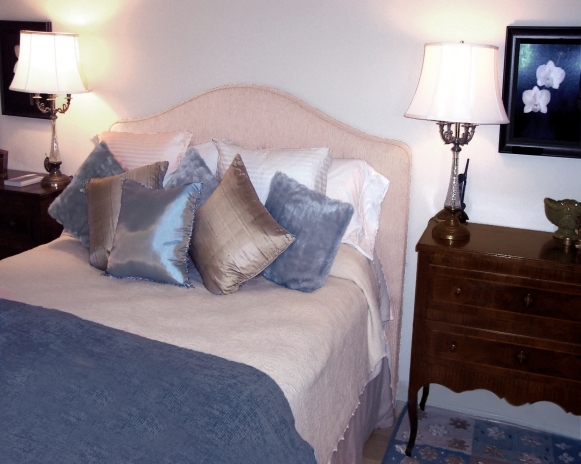 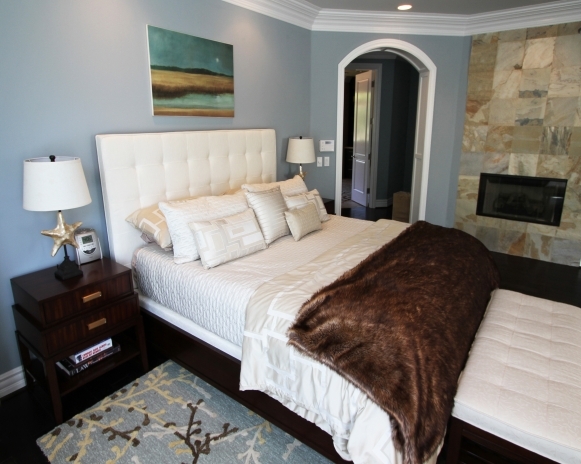 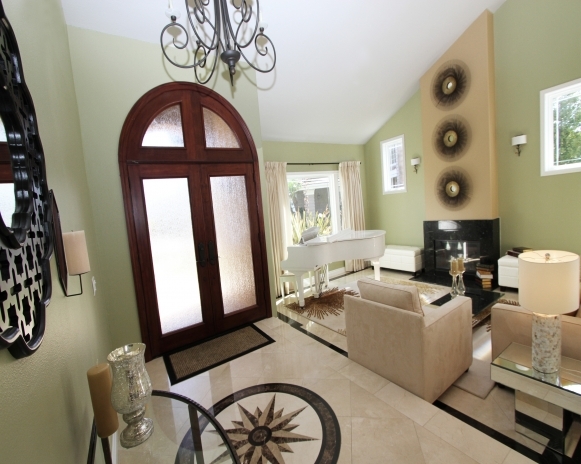 Master bedroom with ensuite bathroom, reminiscent of the South of France. 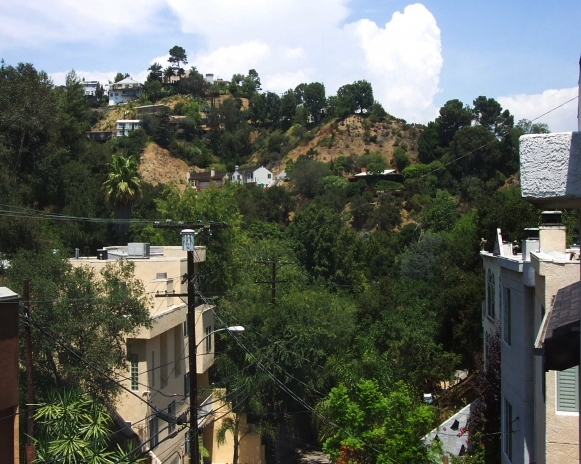 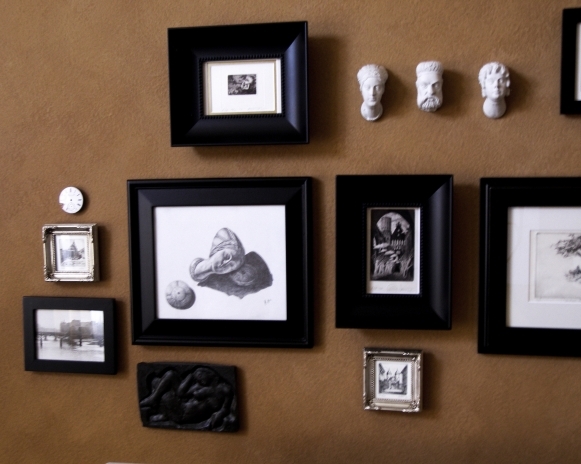 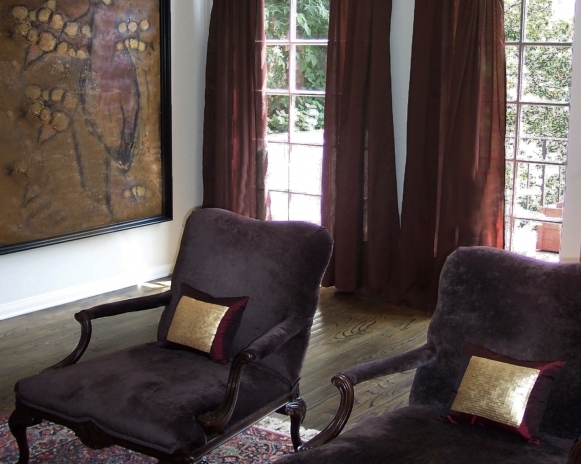 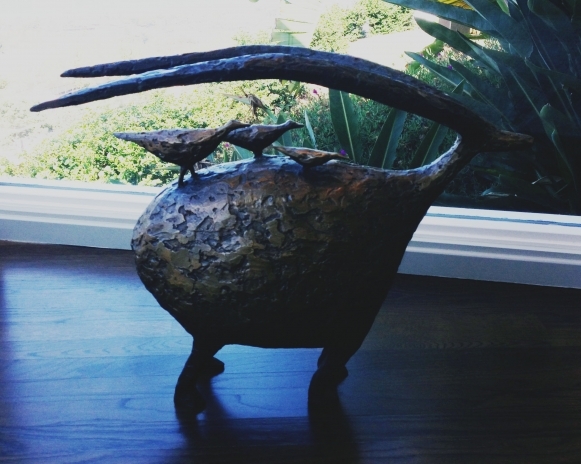 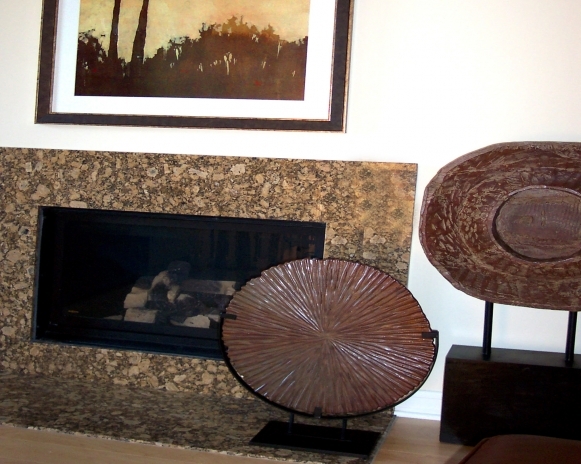 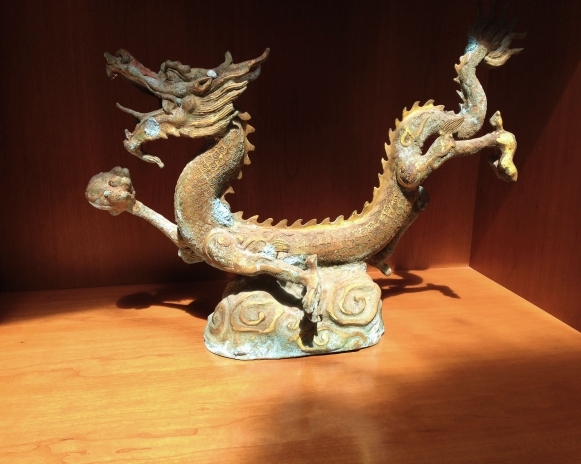 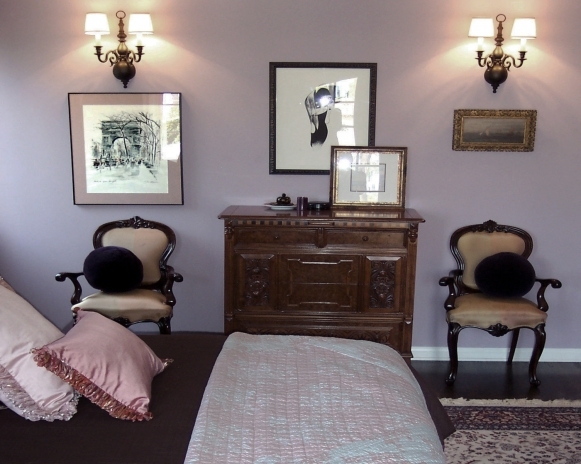 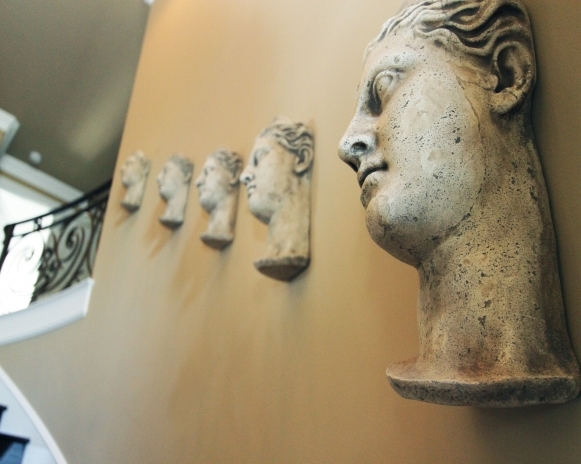 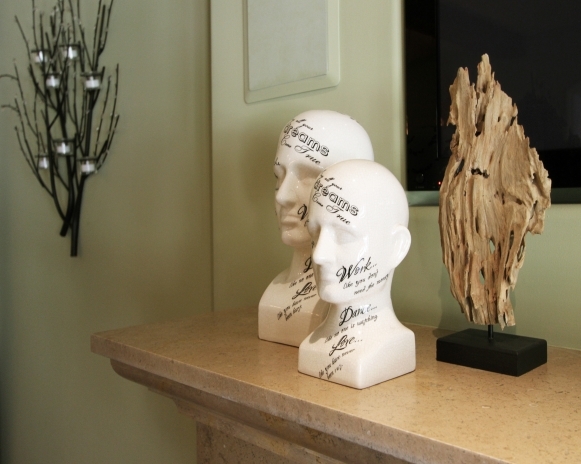 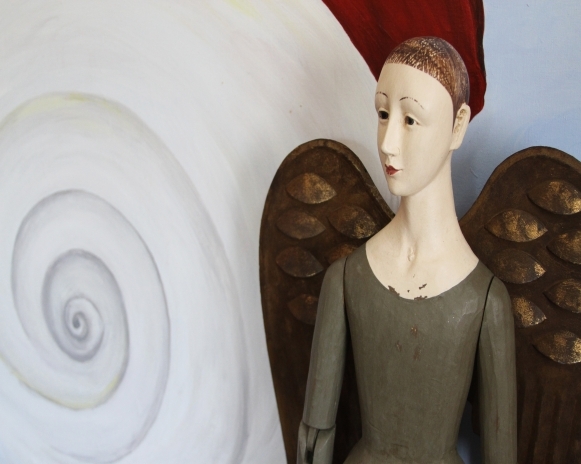 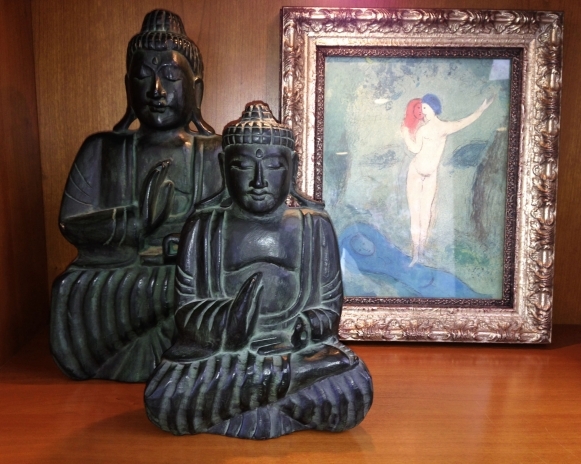 Home of a Hollywood art and antiques collector. 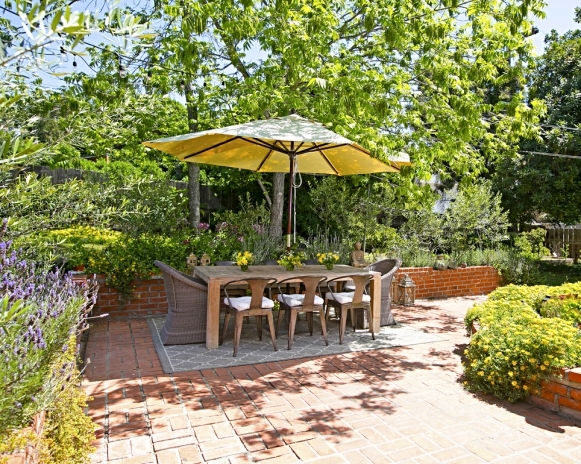 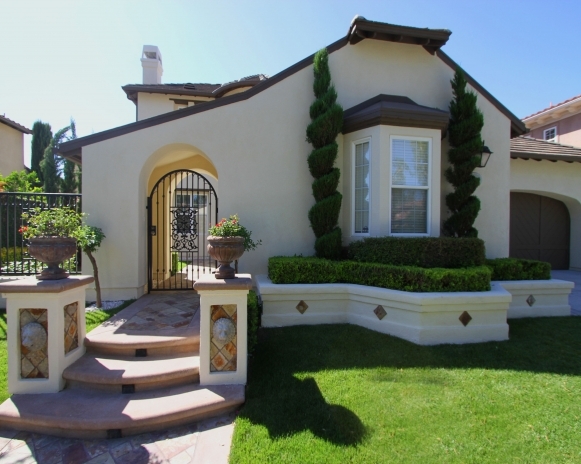 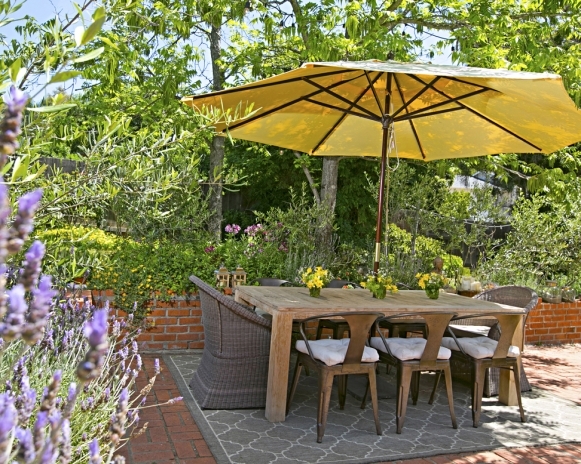 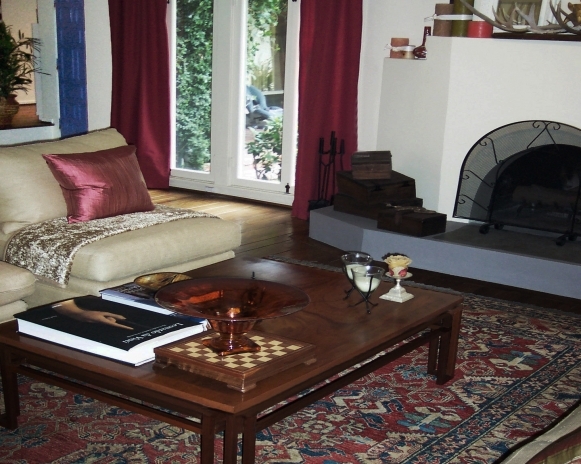 The charming Spanish style house has been updated for contemporary living. 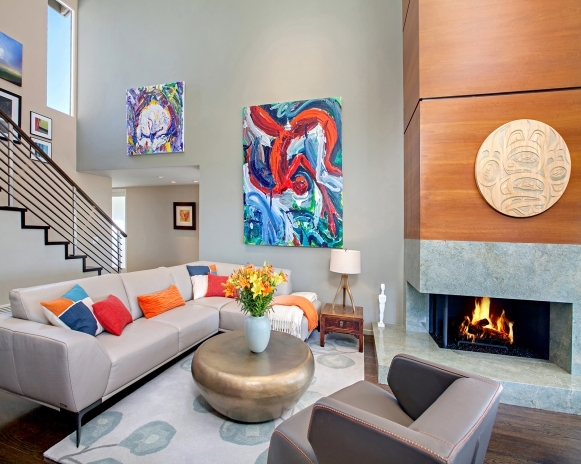 The colors and textures of earth and natural elements exude a sense of peace and stability in this Los Angeles home. 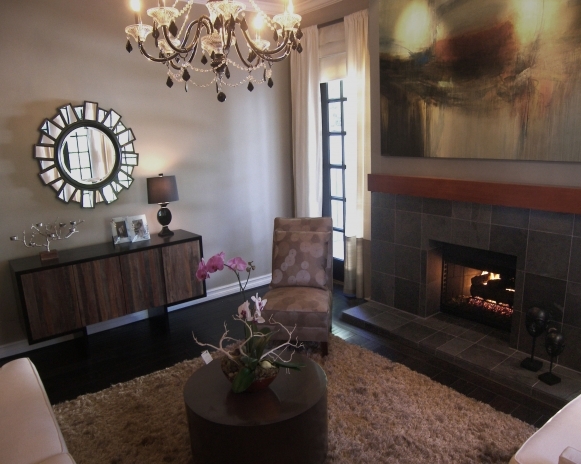 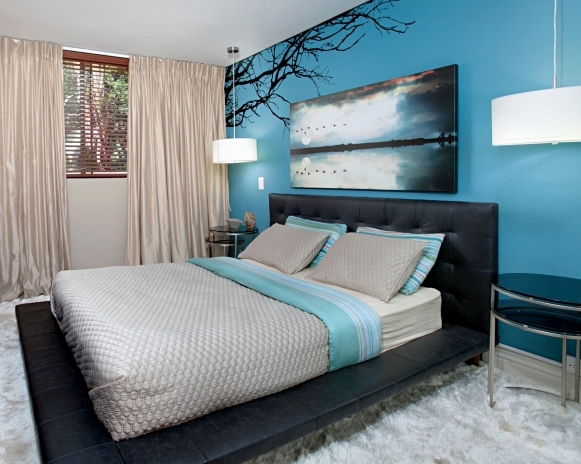 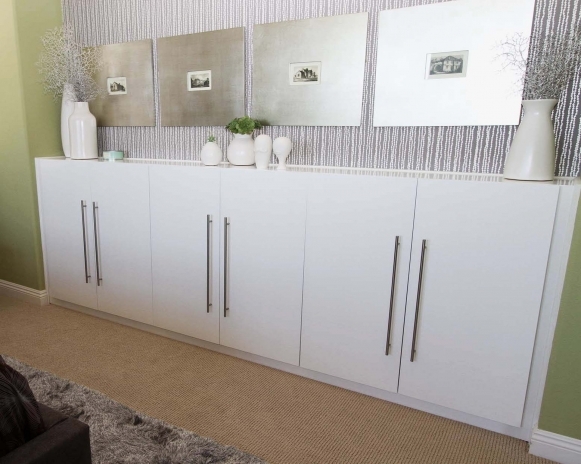 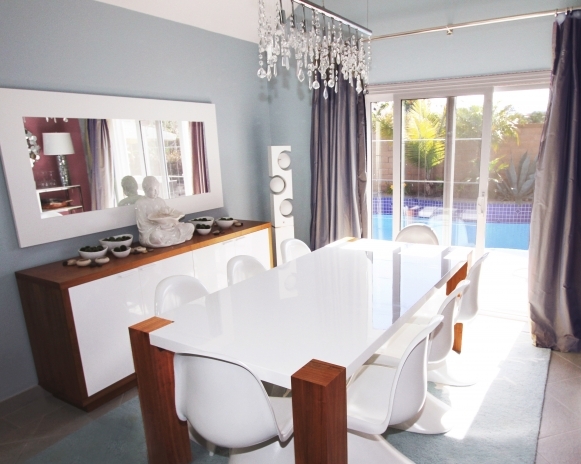 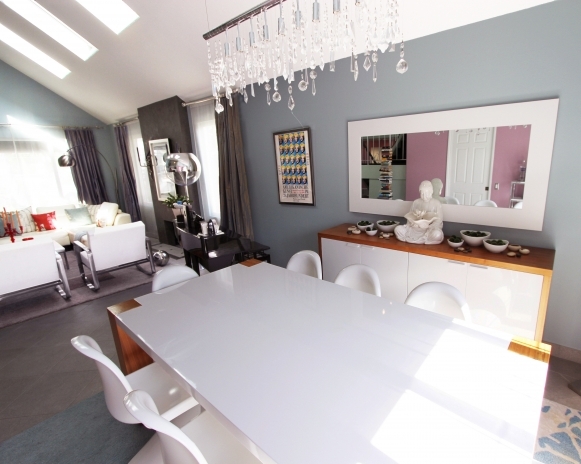 An elegant family home with a naturally tranquil and soothing atmosphere. 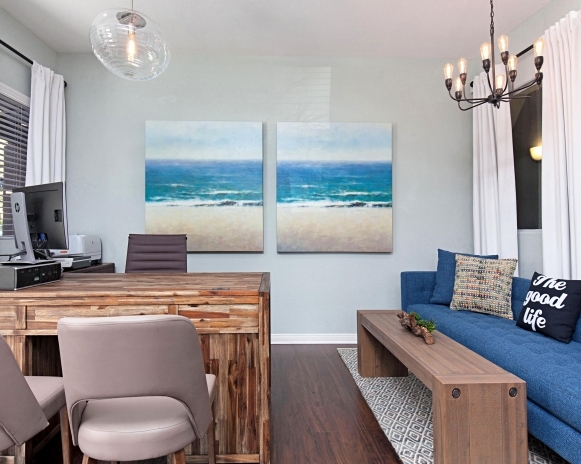 Model home design of an oceanfront townhouse. 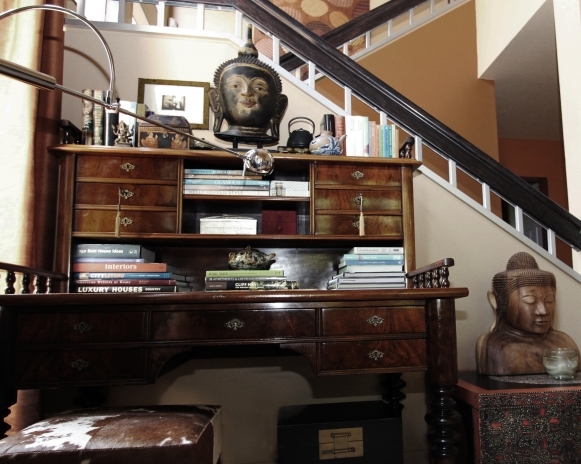 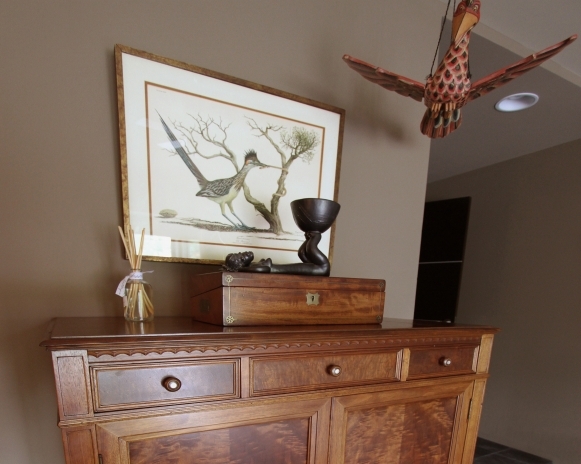 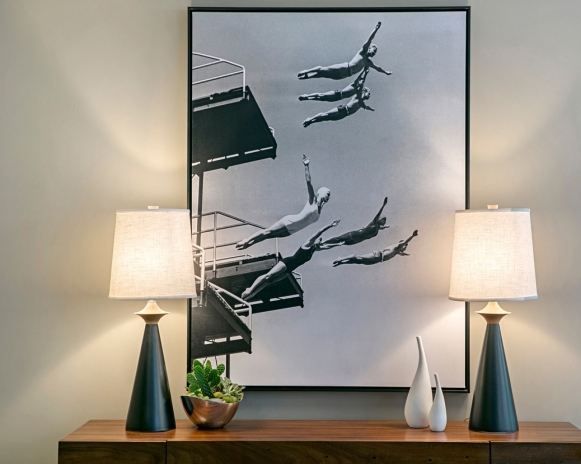 While the architecture of the high rise building required a contemporary approach, the home owners preferred a warm and homey traditional atmosphere with space for their antiques and collected items. 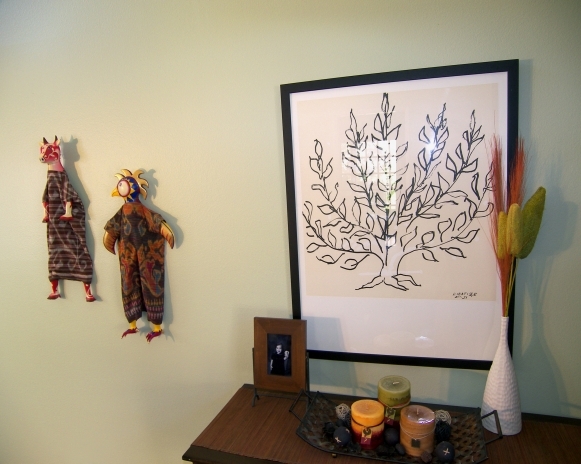 We married the two. 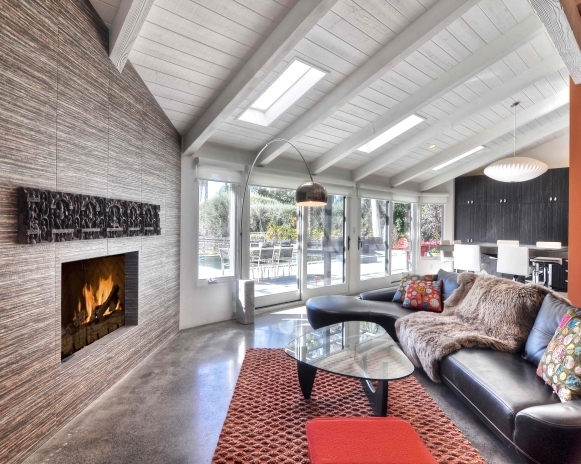 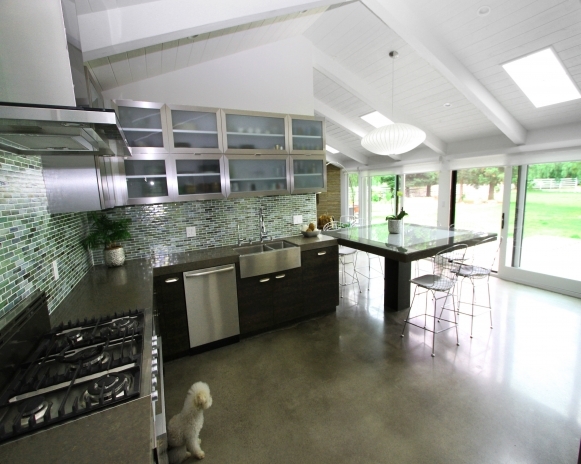 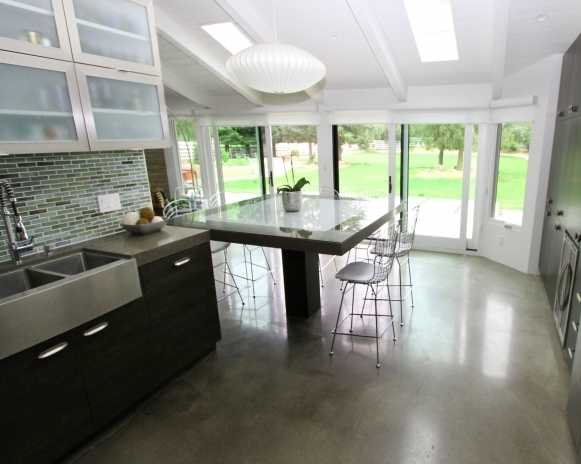 A single story Ranch House has been reshaped for contemporary living. 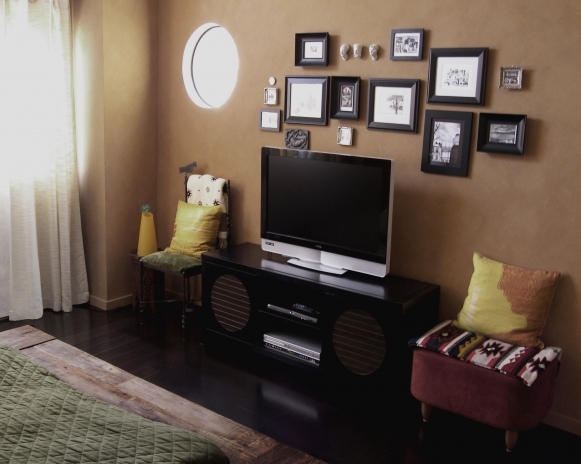 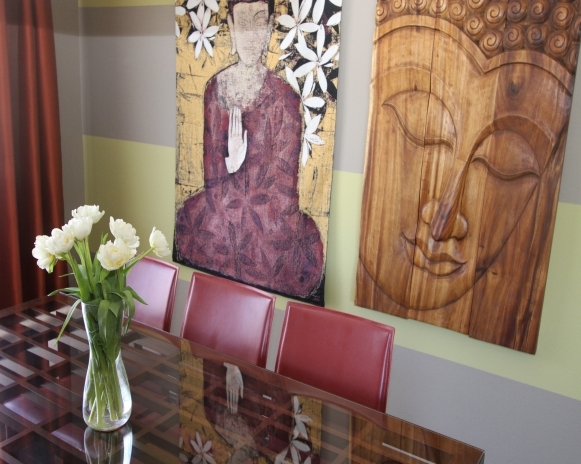 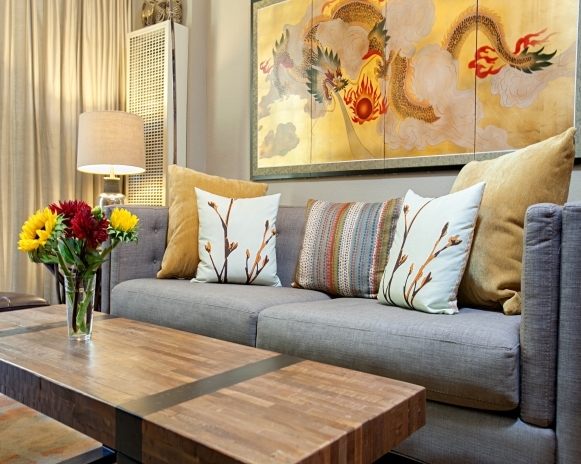 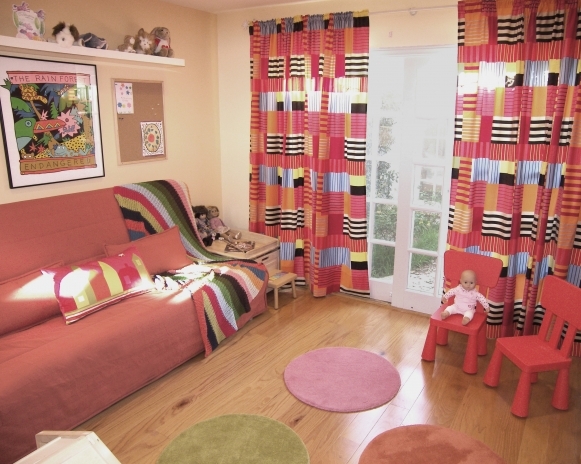 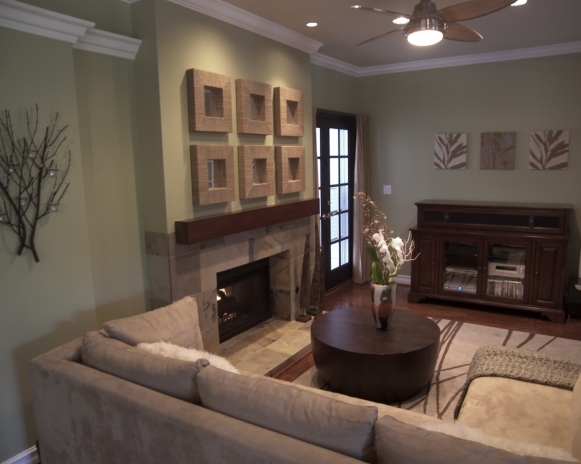 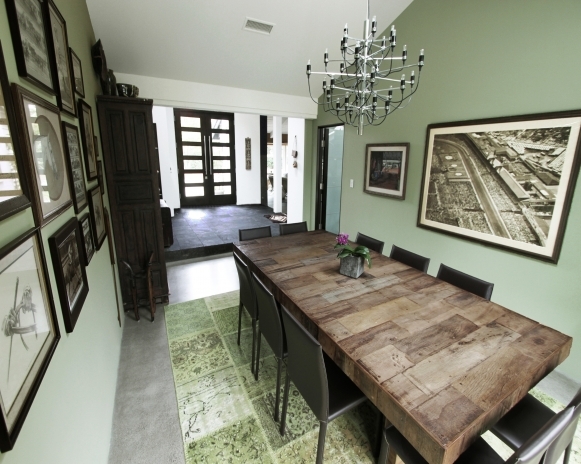 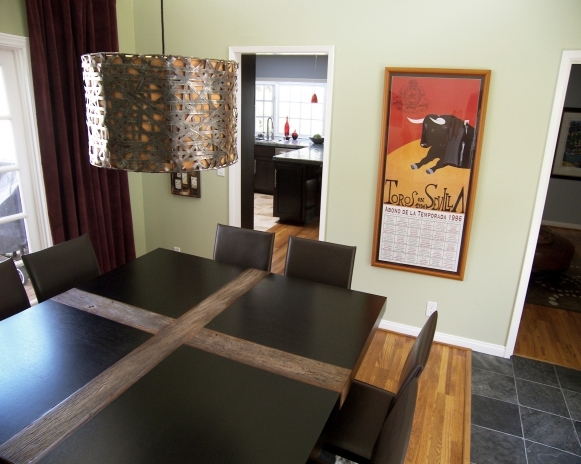 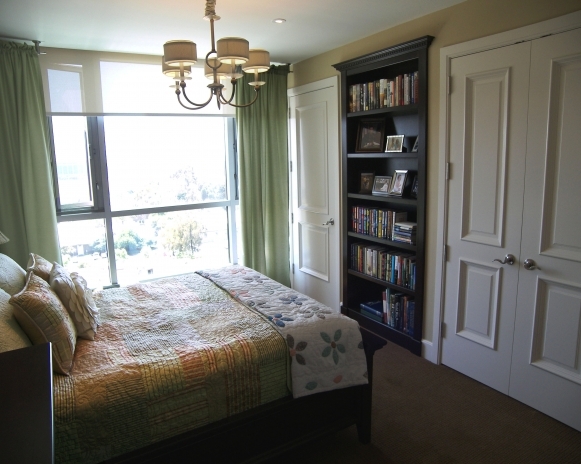 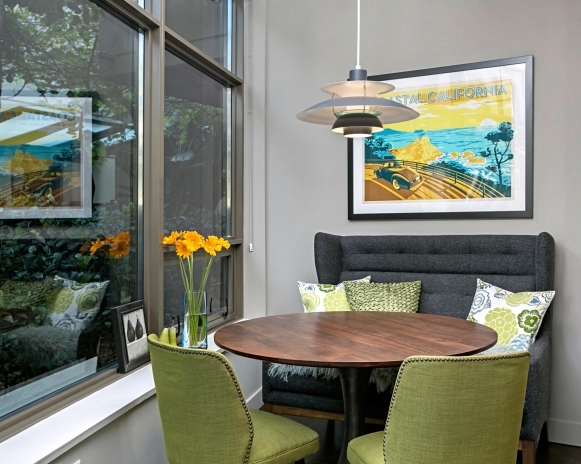 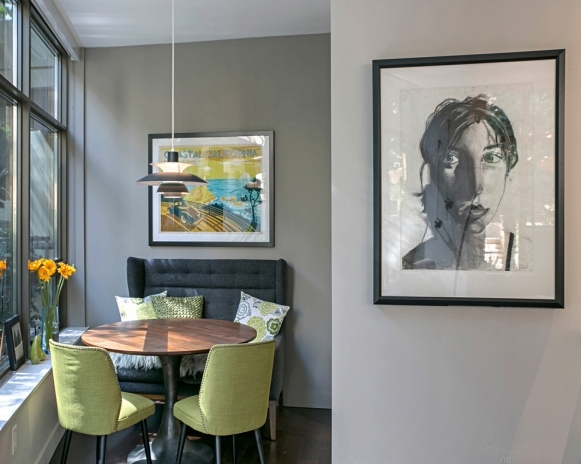 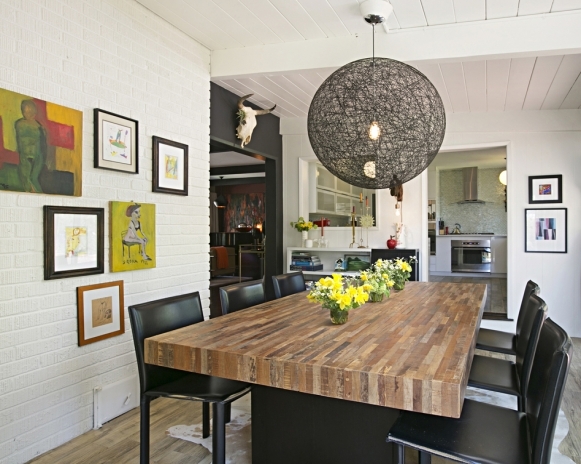 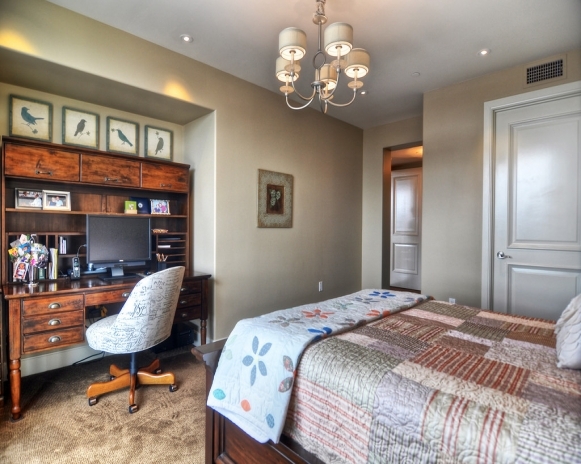 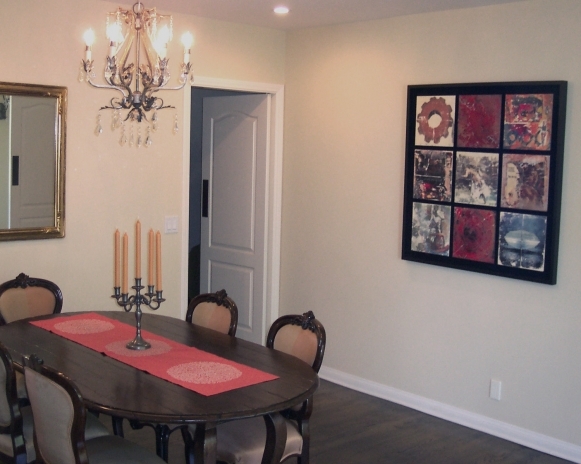 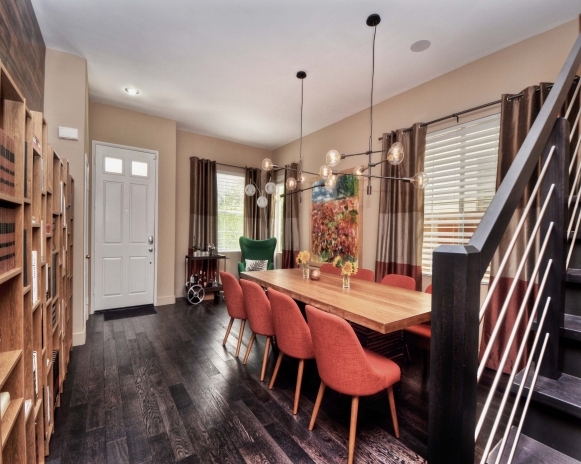 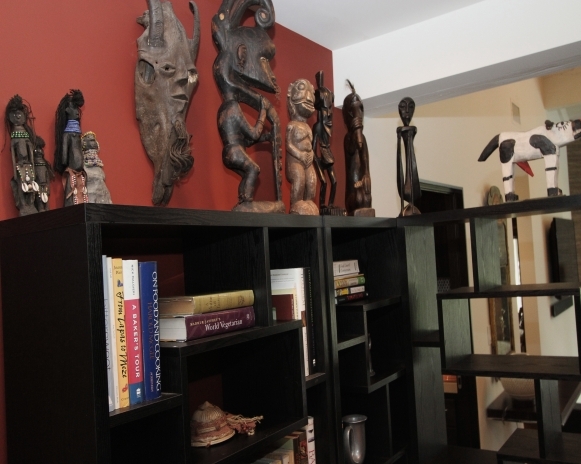 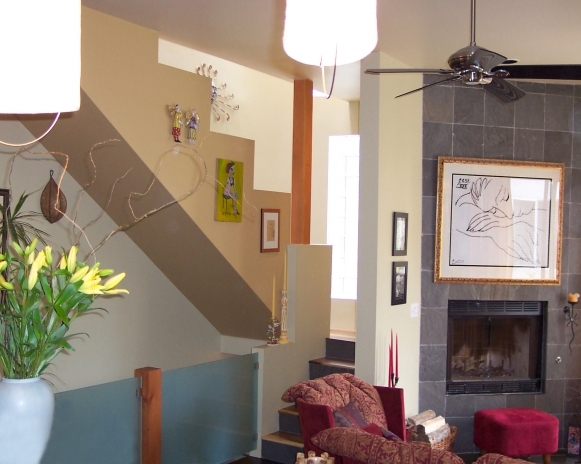 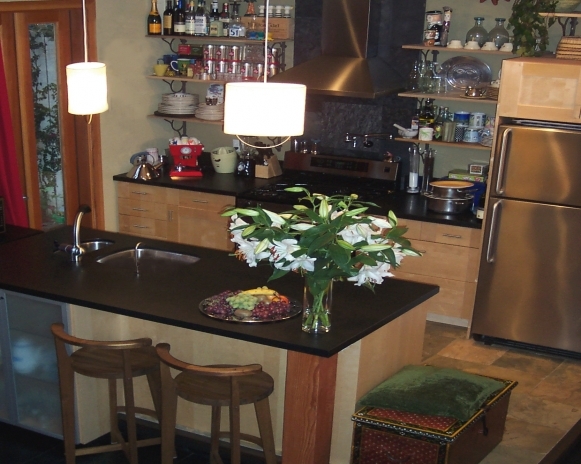 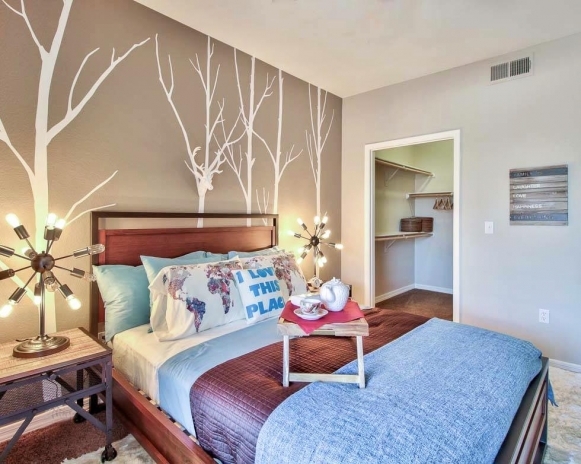 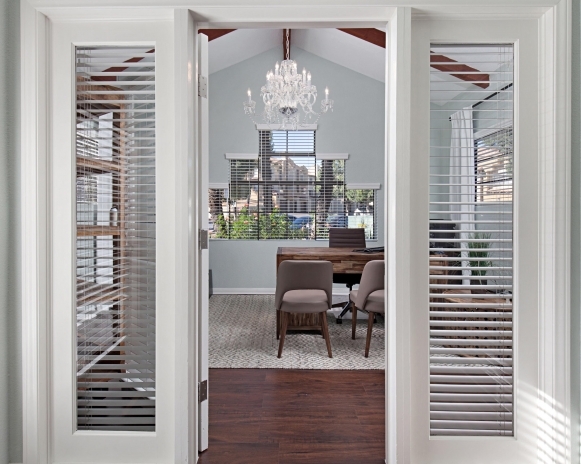 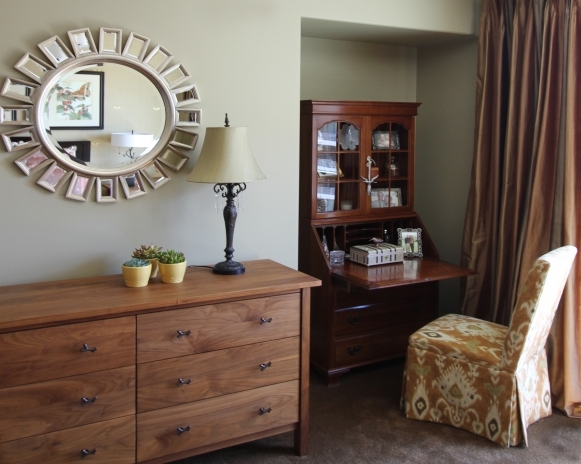 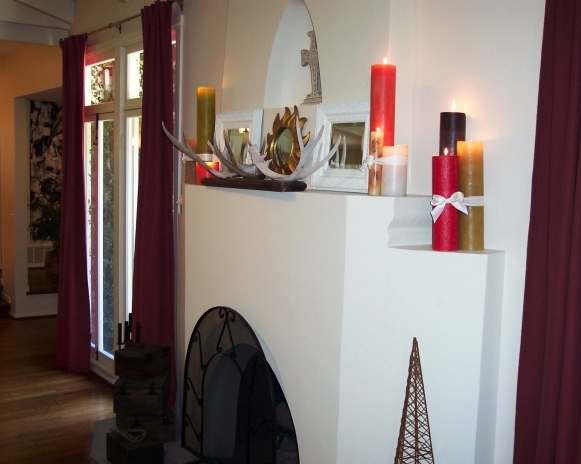 A homey, eclectic environment has been created for a family with young children. 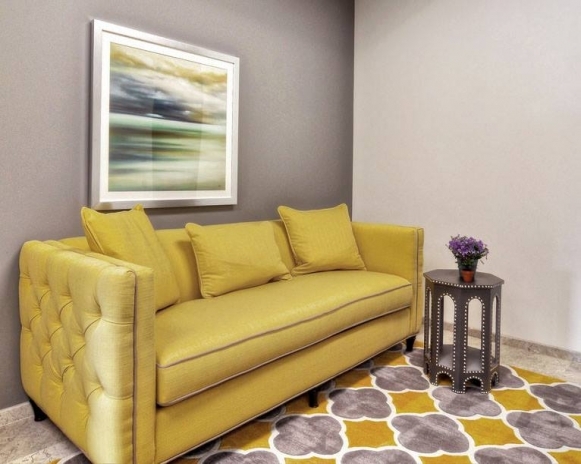 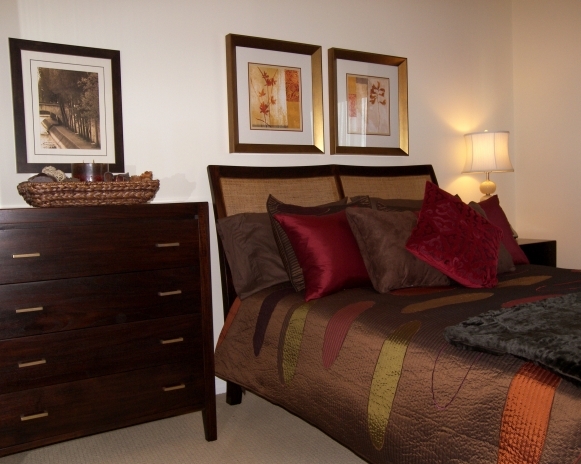 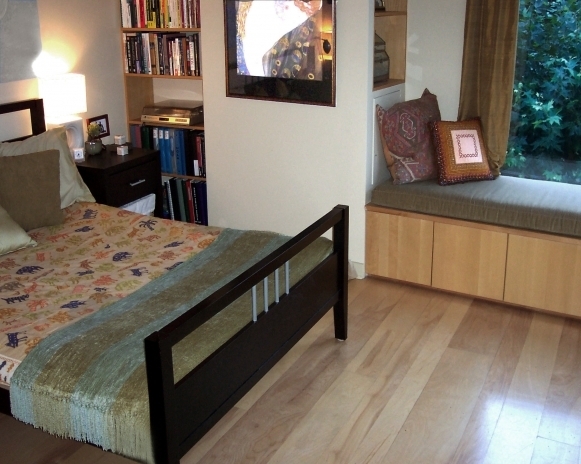 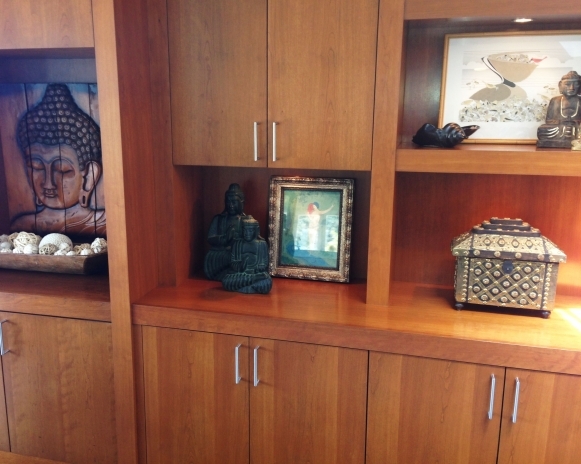 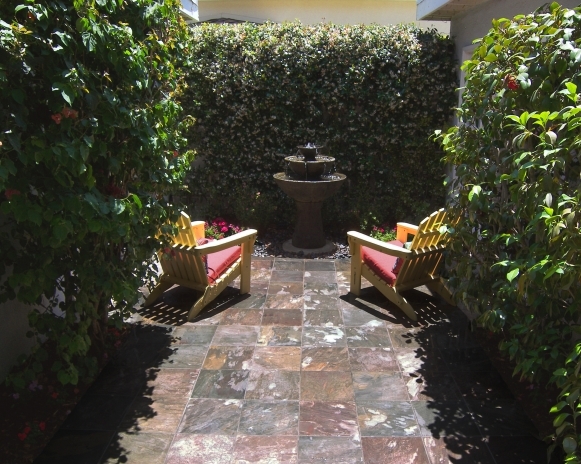 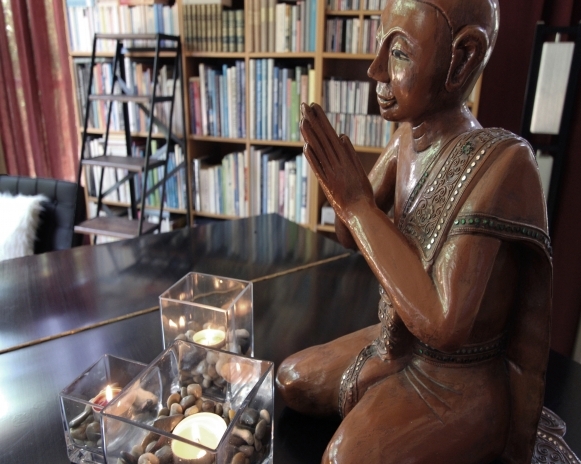 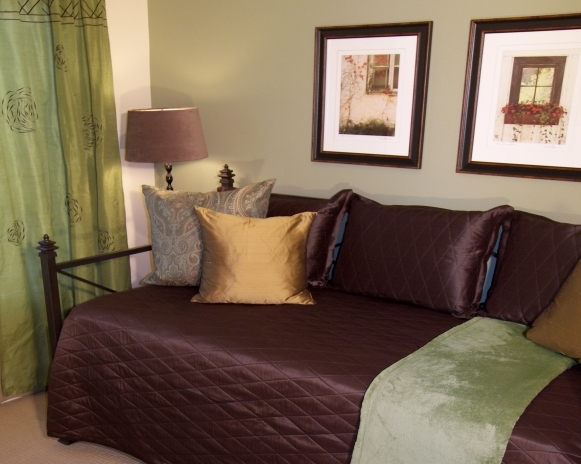 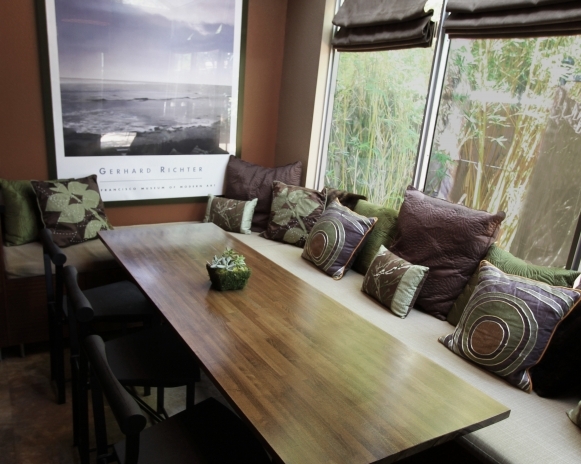 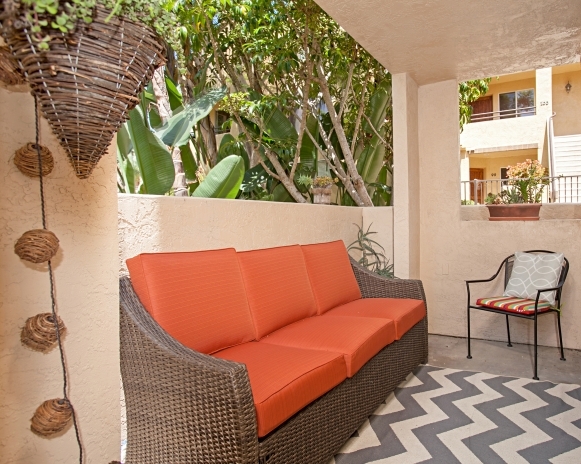 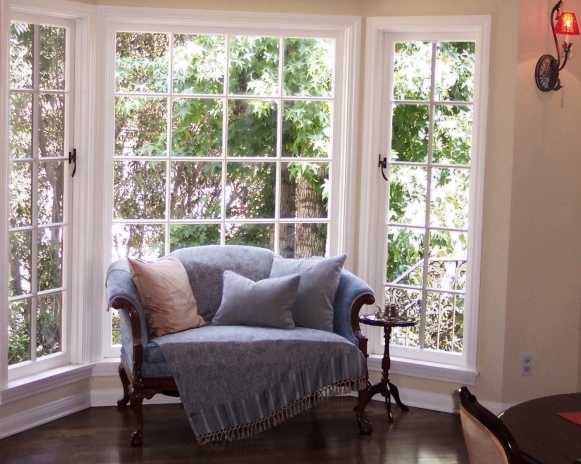 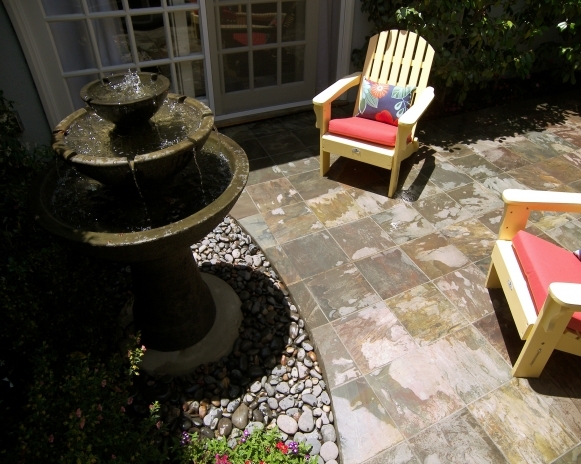 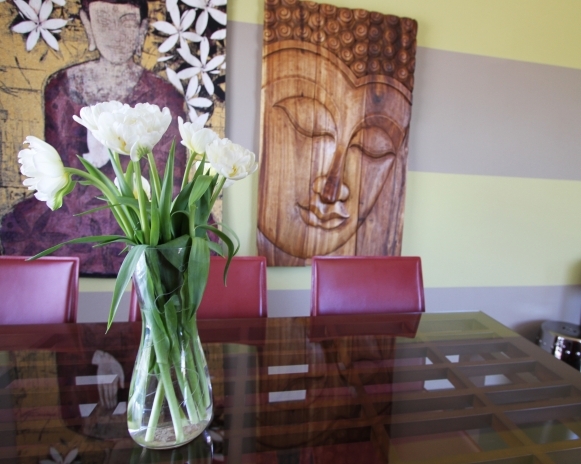 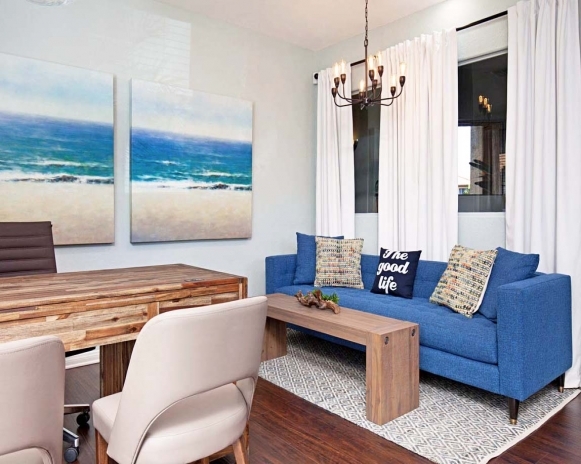 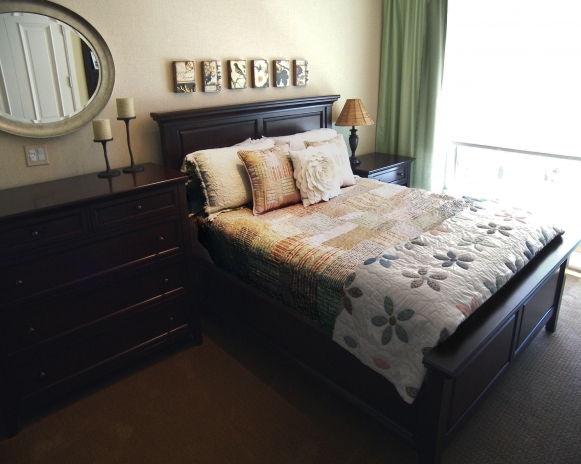 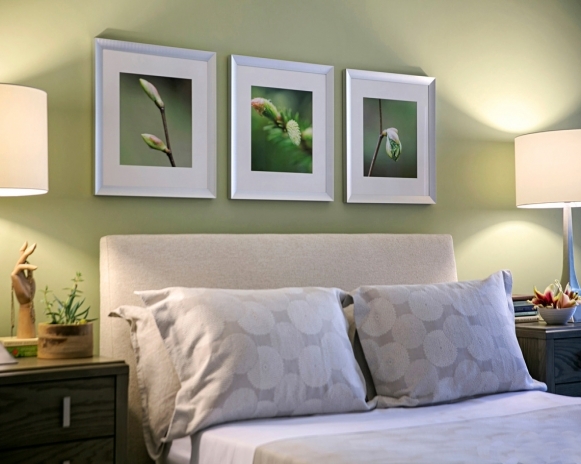 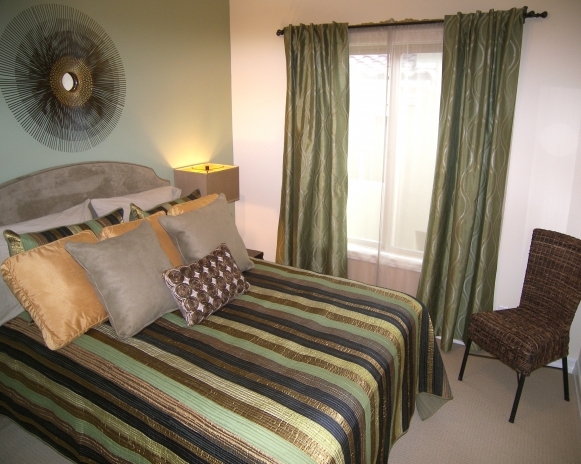 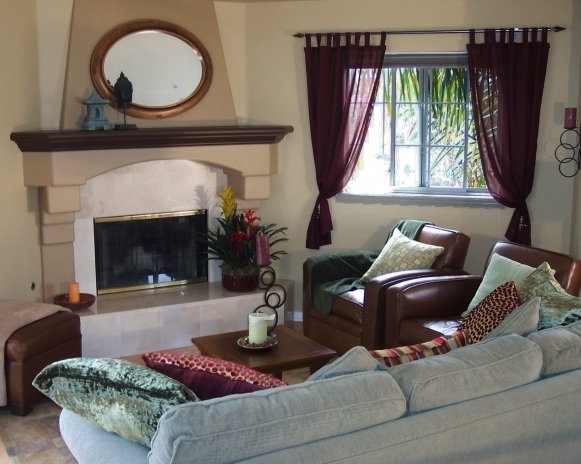 A comfortable and inviting space designed to radiate peace and inspiration. 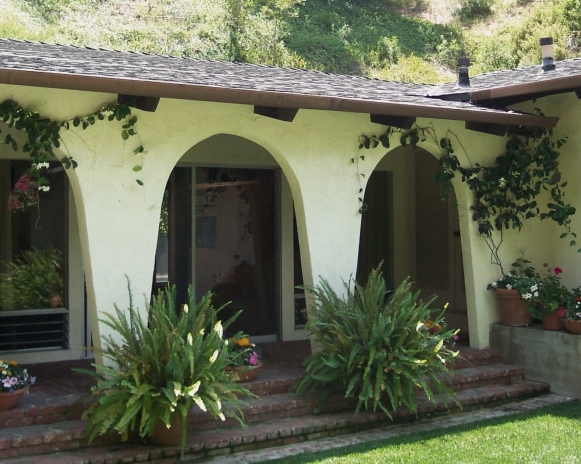 Secluded traditional Spanish style residence in the Hollywood Hills. 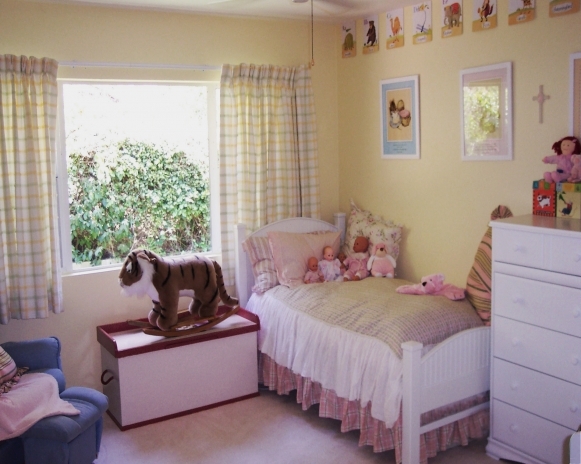 Home of a family with young children. 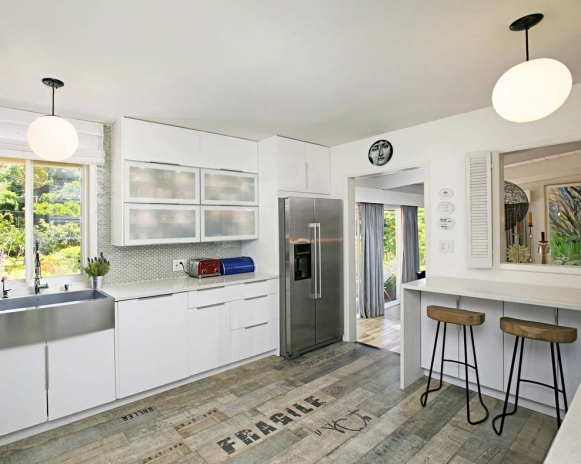 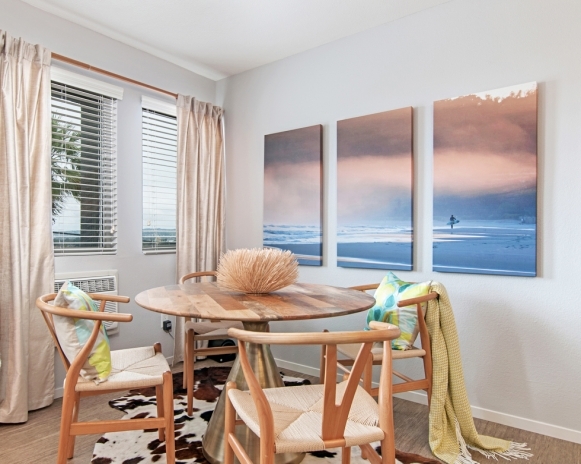 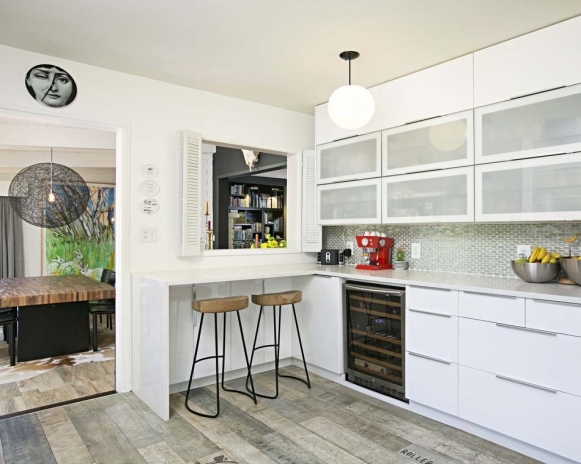 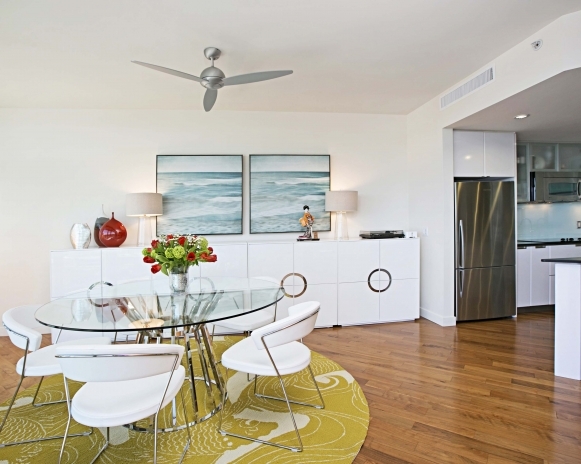 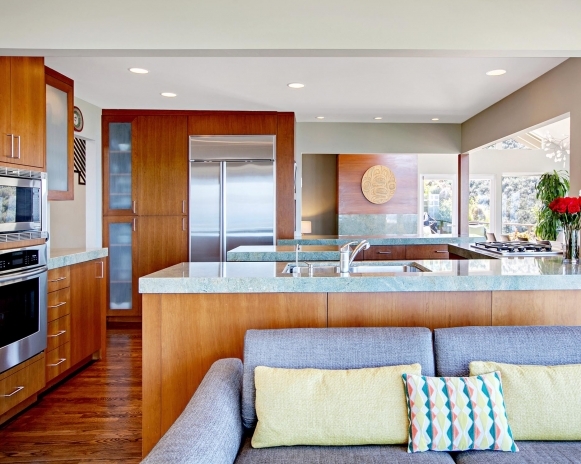 Remix, redesign and partial renovation of a beach close townhouse. 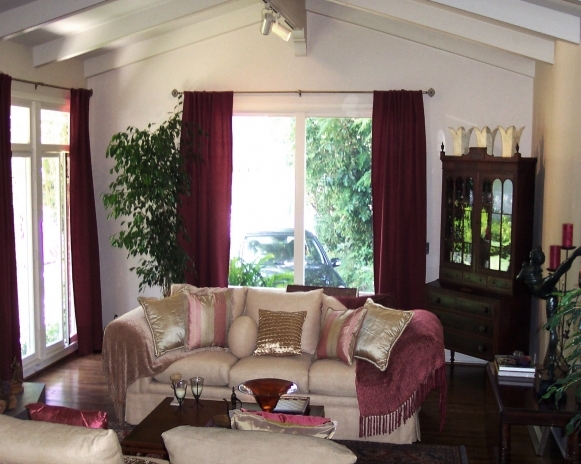 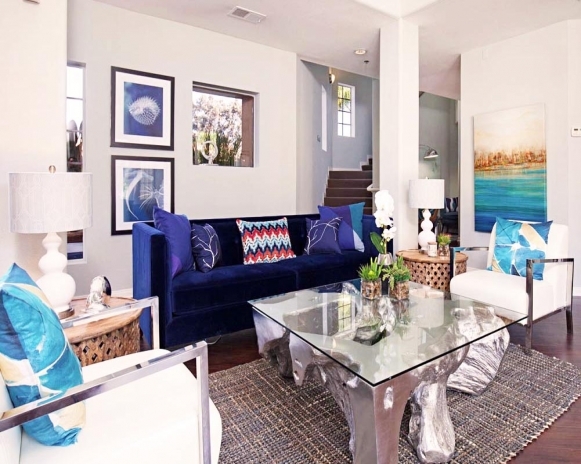 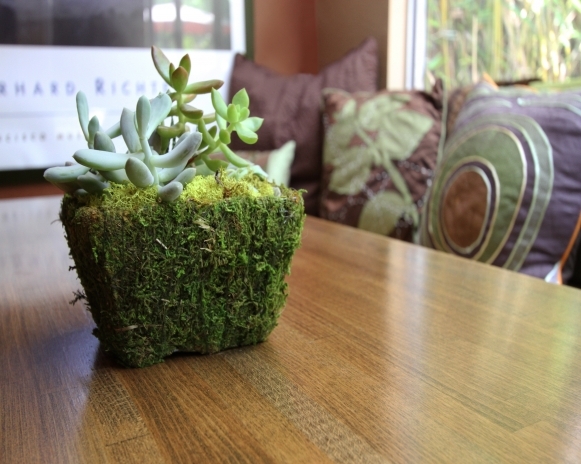 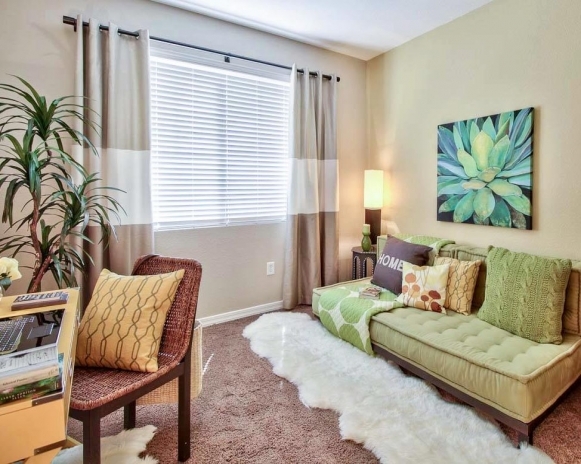 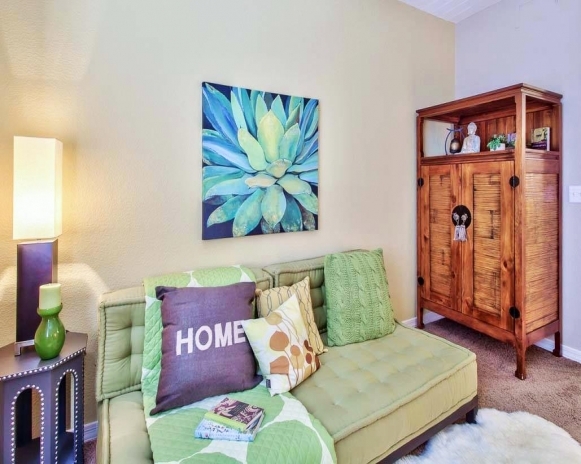 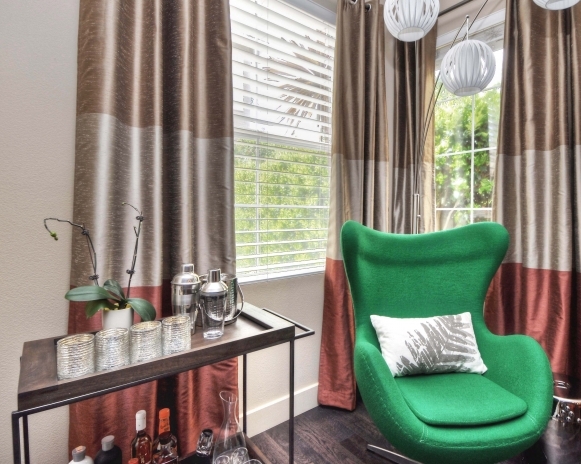 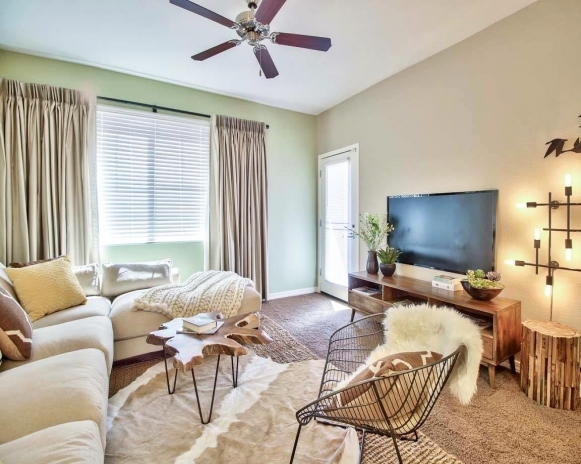 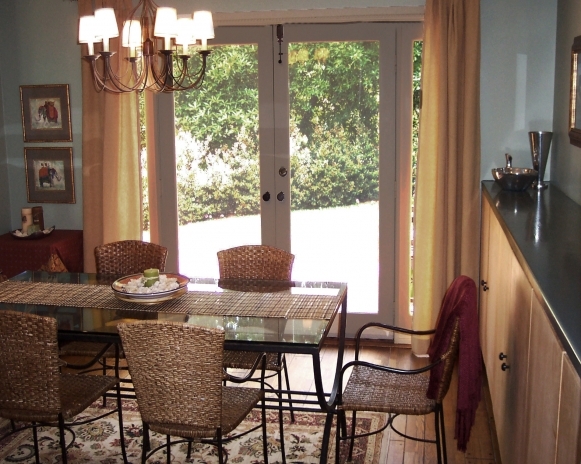 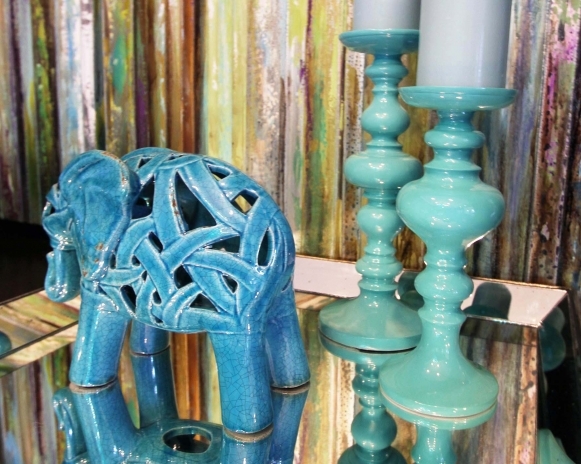 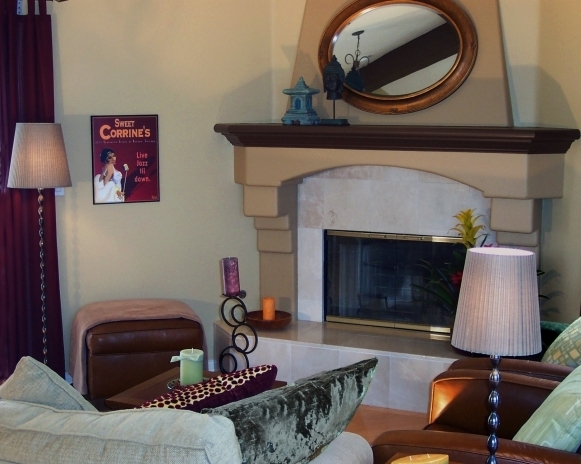 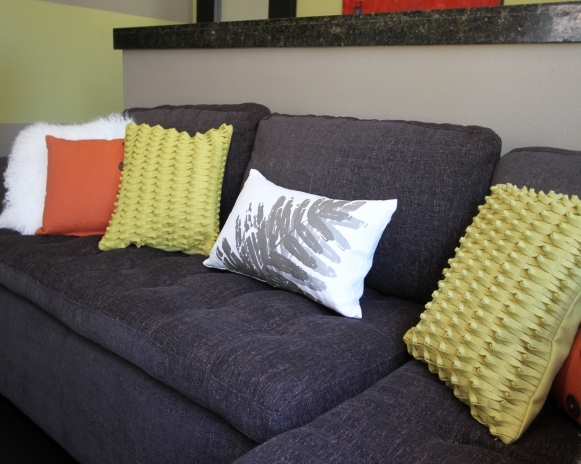 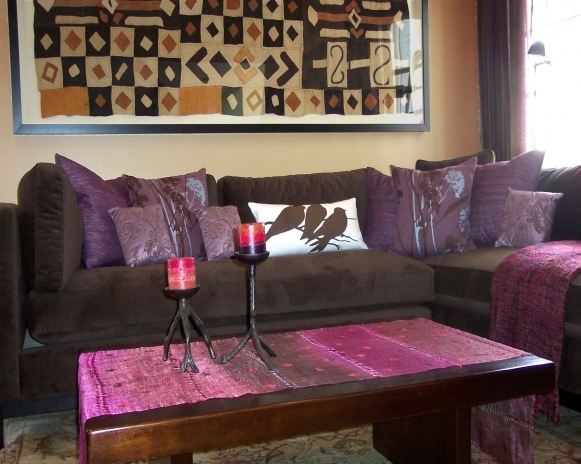 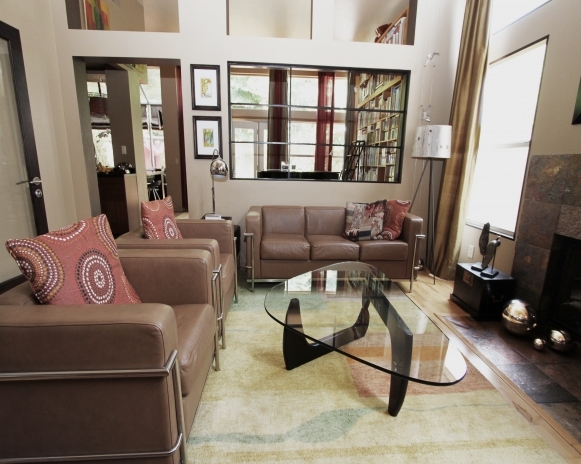 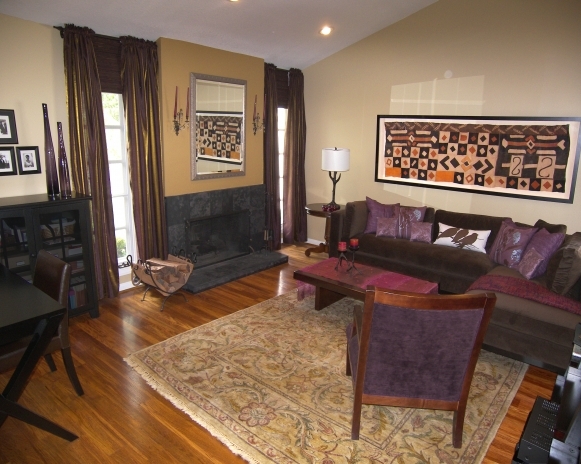 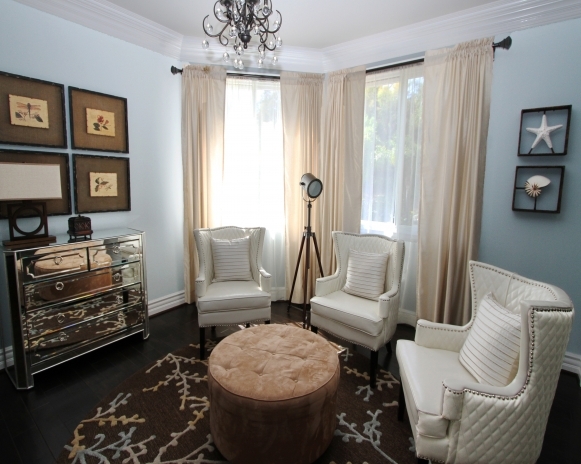 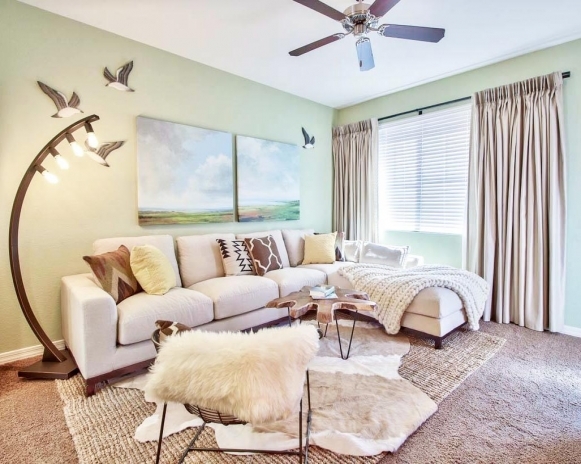 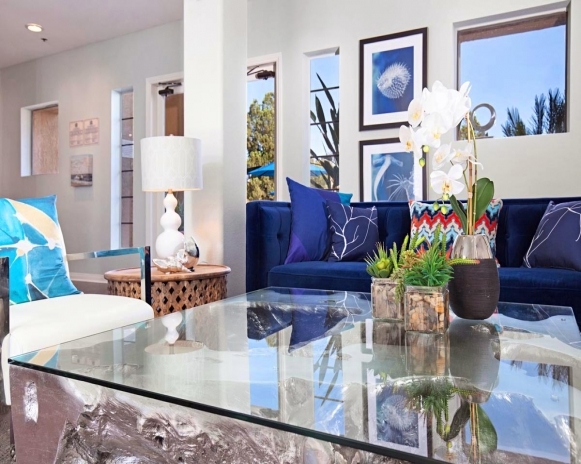 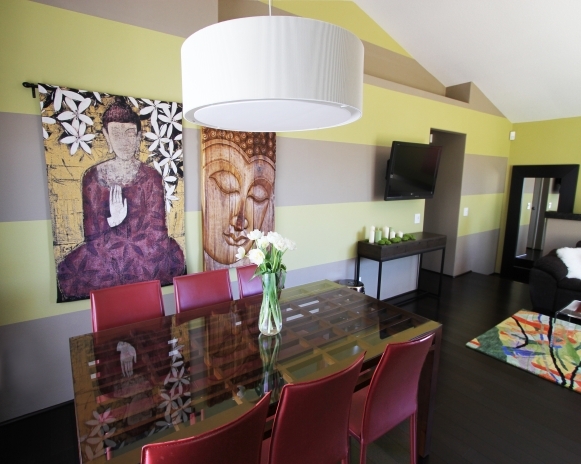 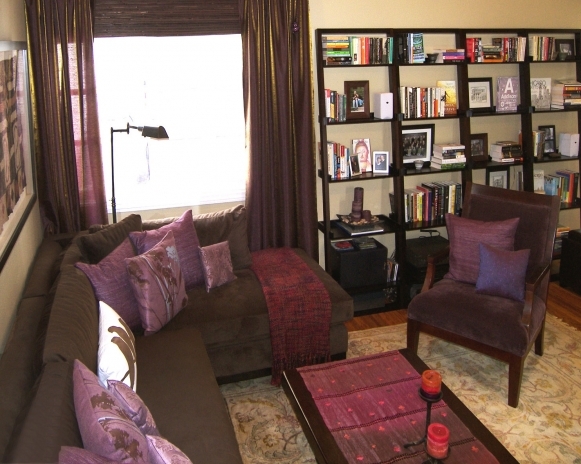 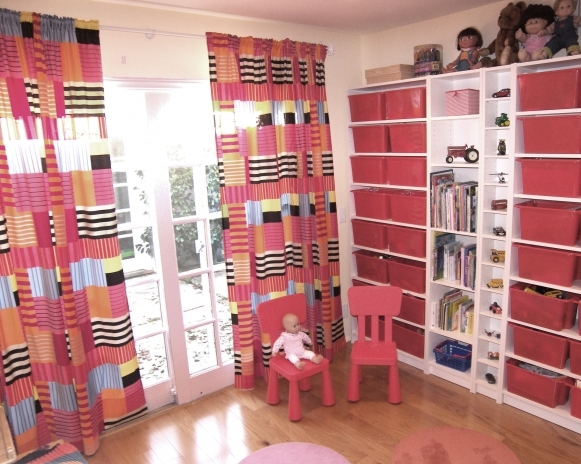 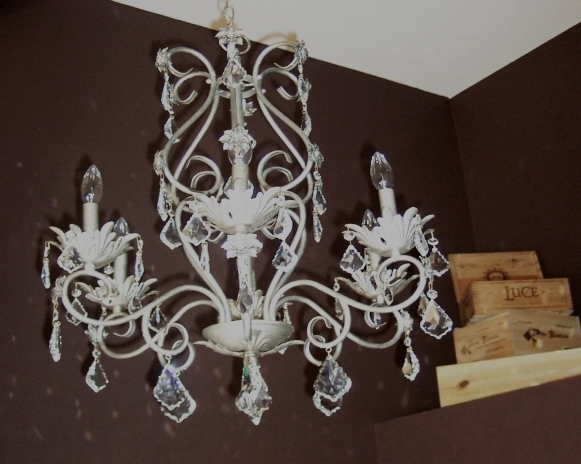 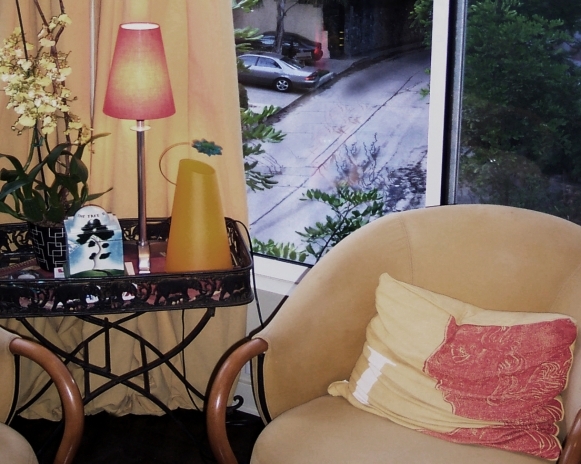 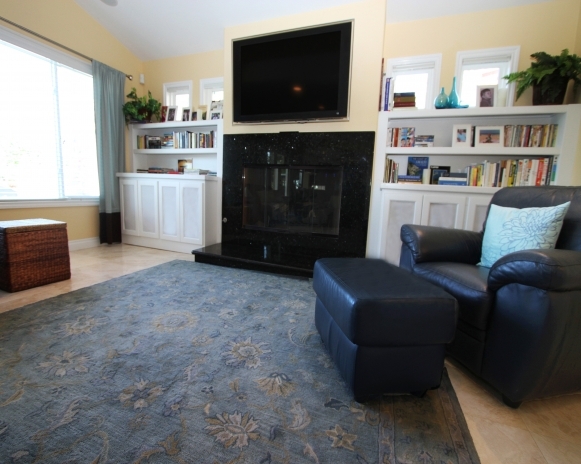 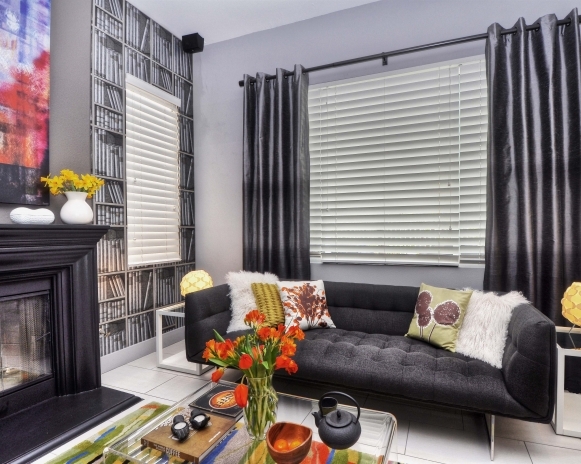 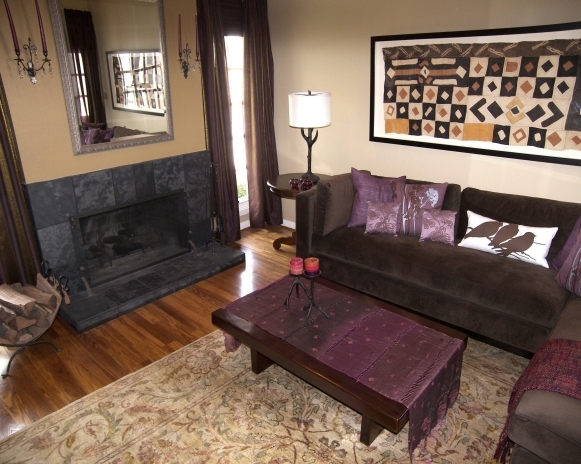 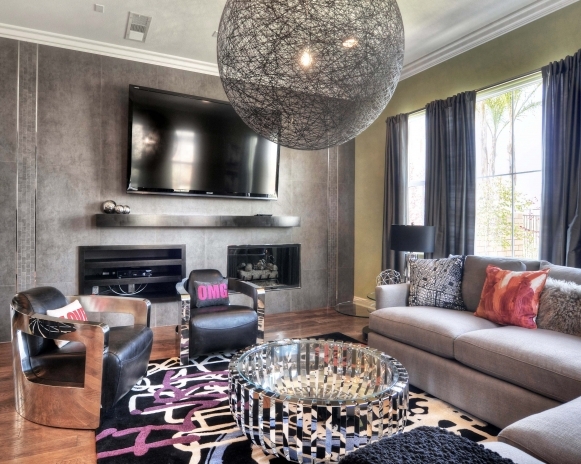 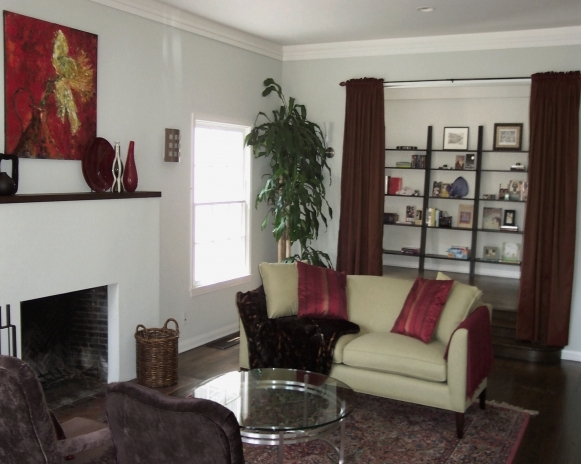 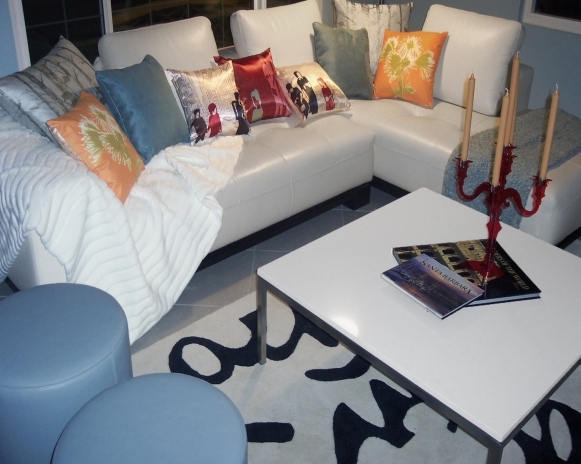 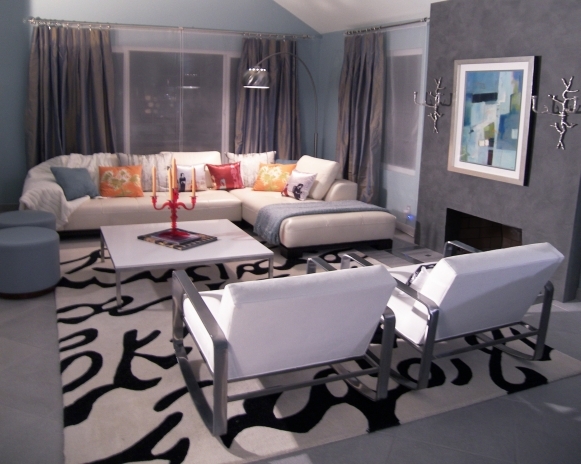 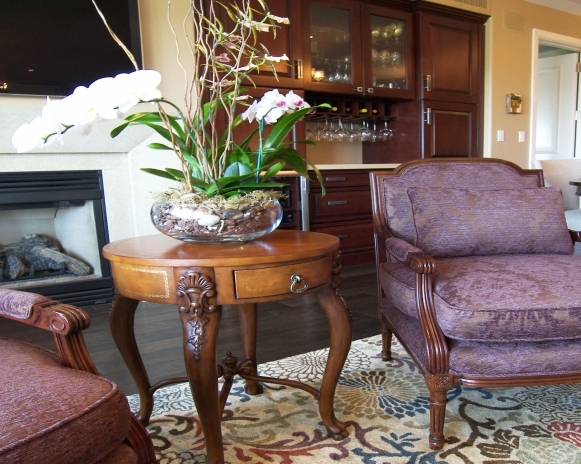 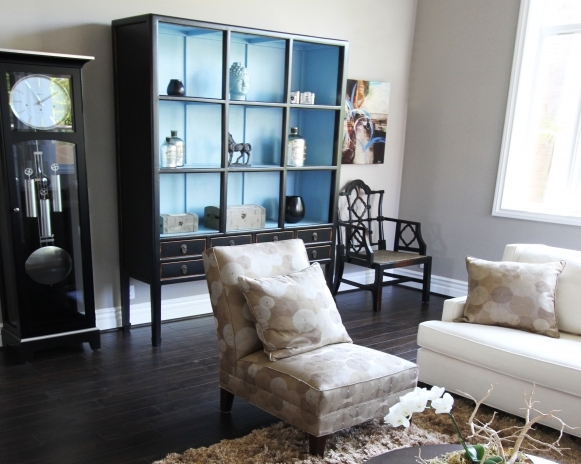 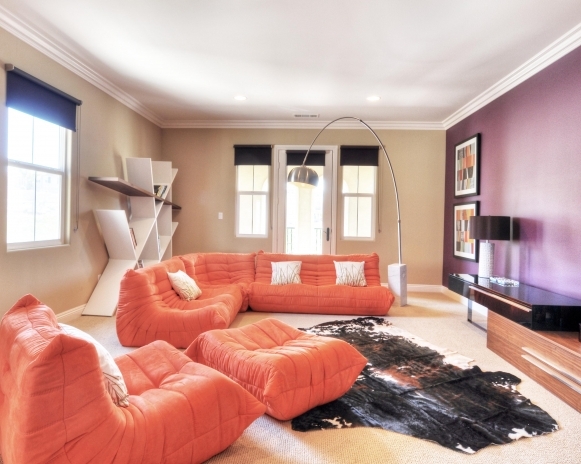 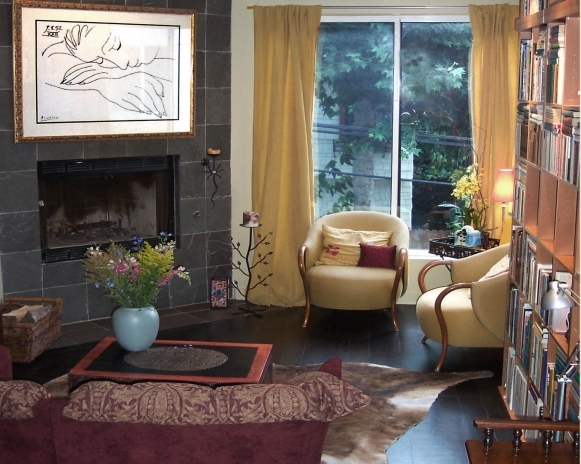 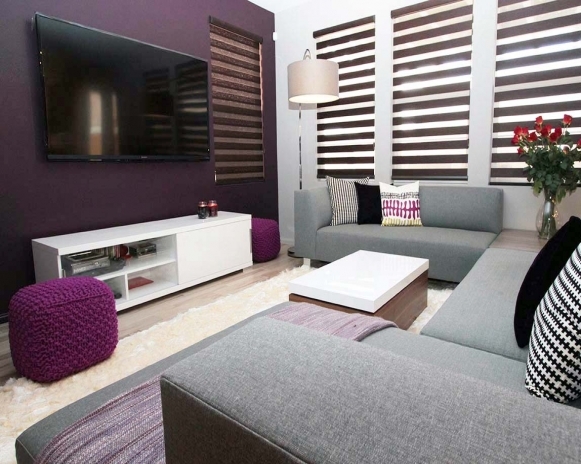 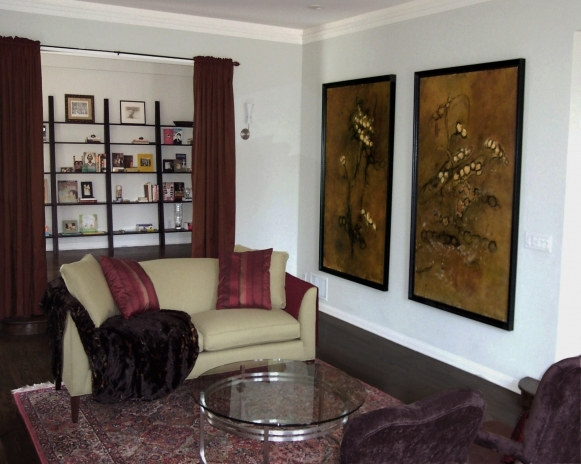 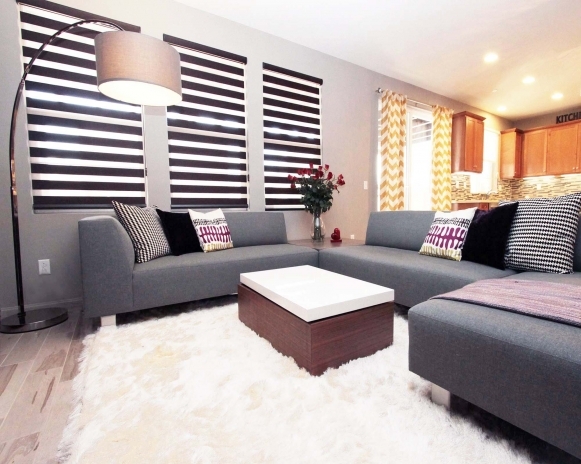 The female owner was looking for a colorful and fun space for relaxing and entertaining. 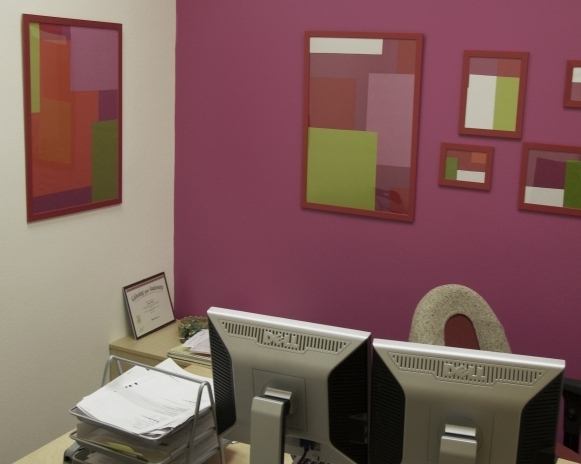 Color therapy for a high tech company. 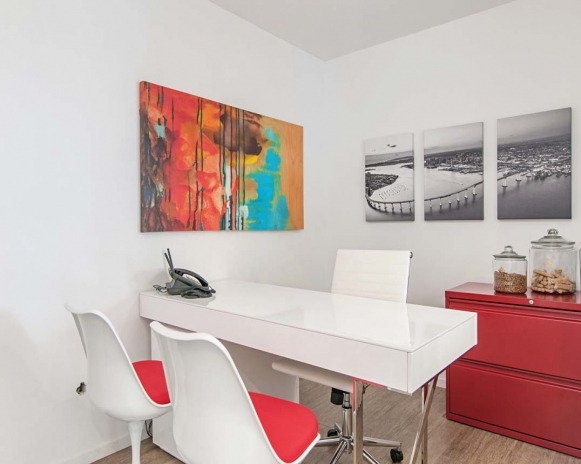 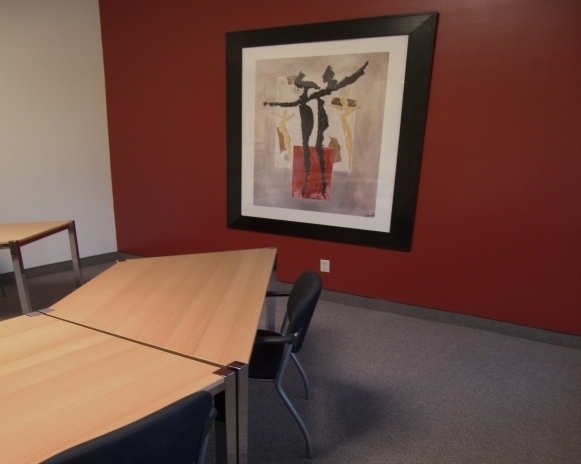 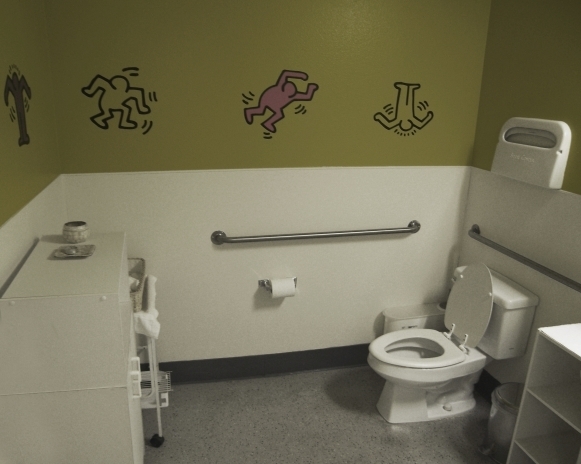 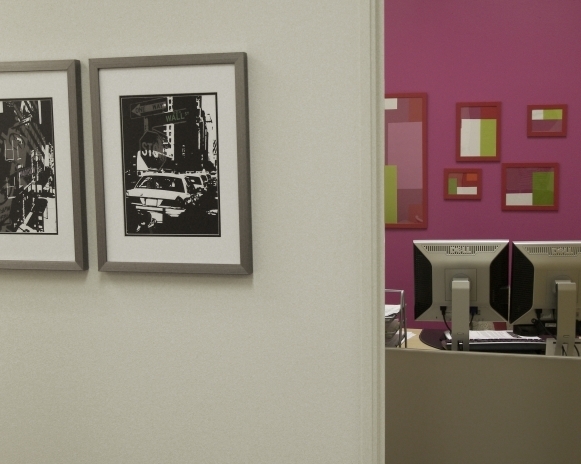 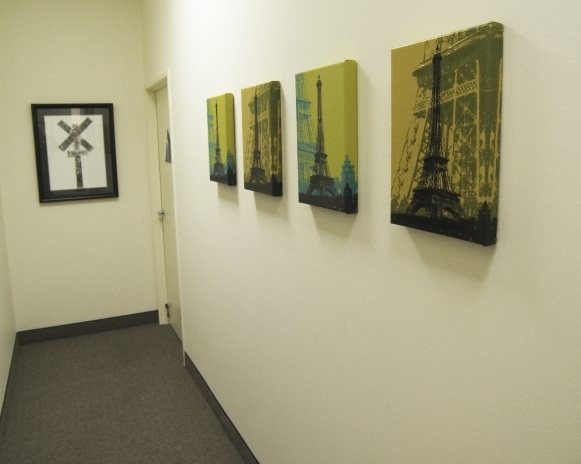 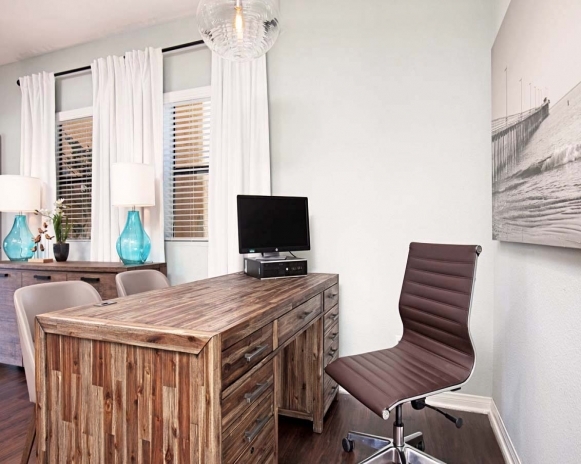 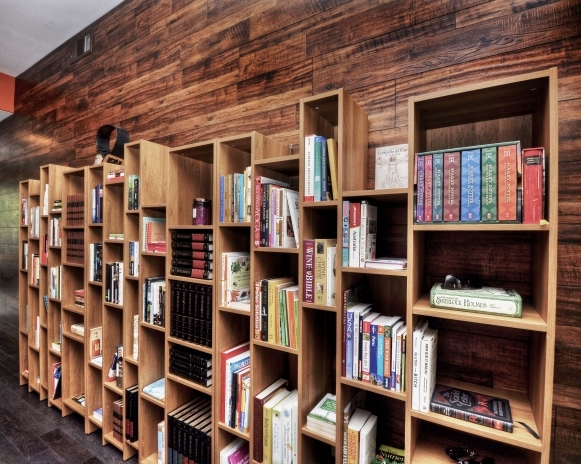 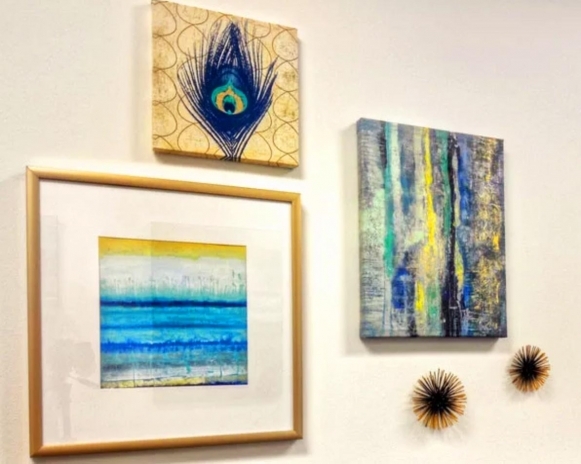 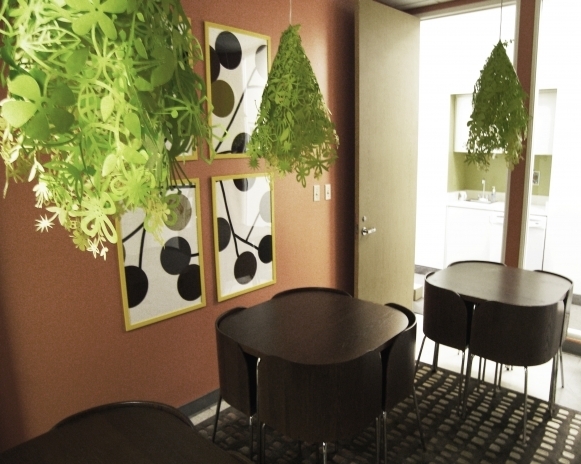 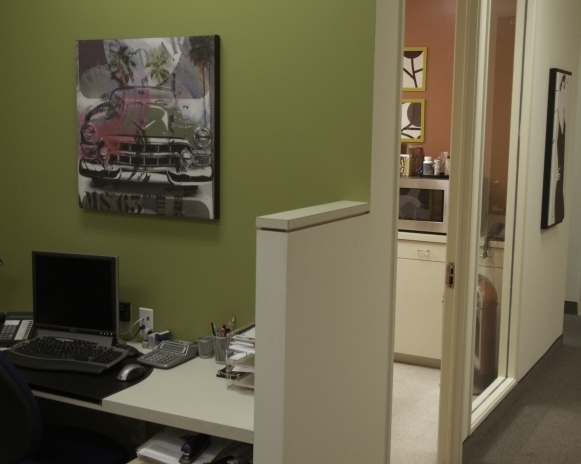 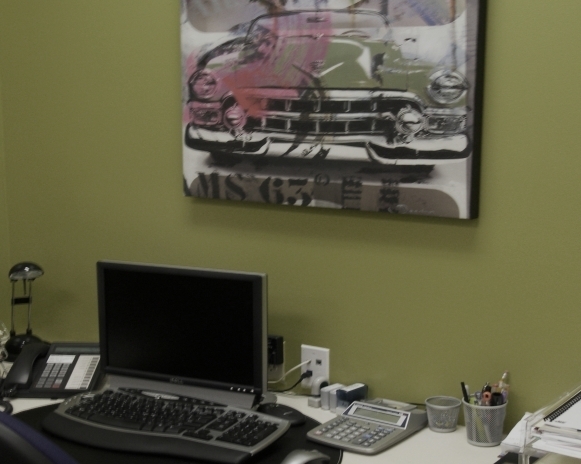 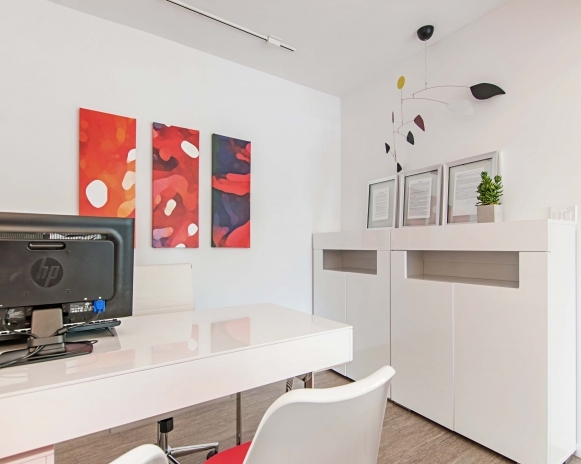 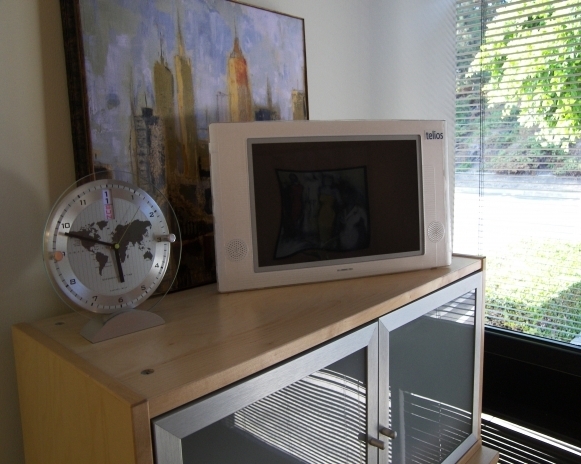 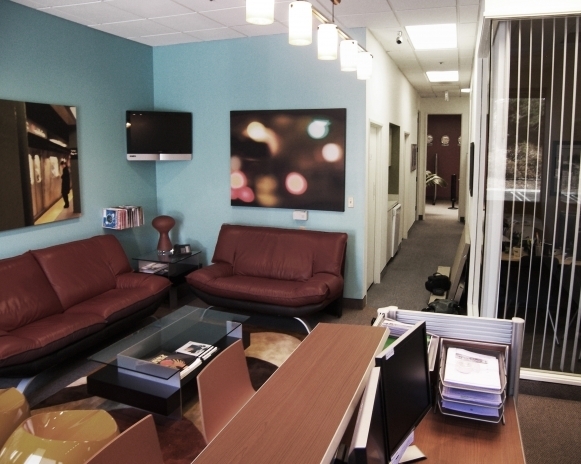 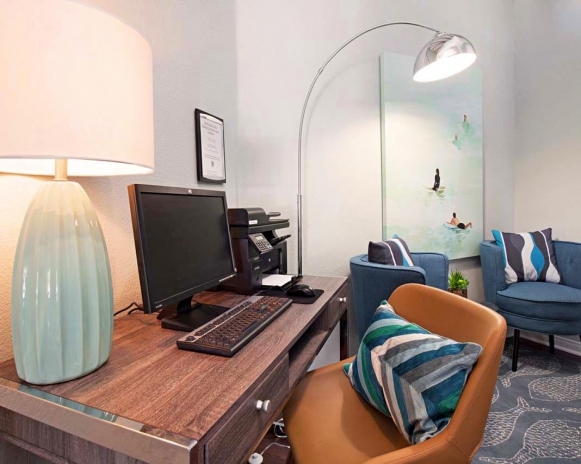 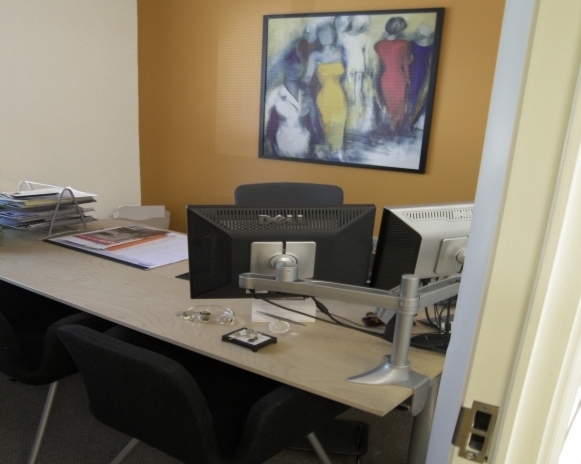 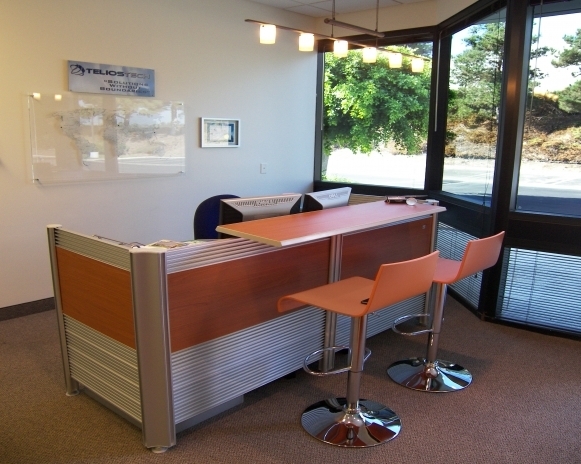 The management was looking for a fun and vibrant work space for its young team.